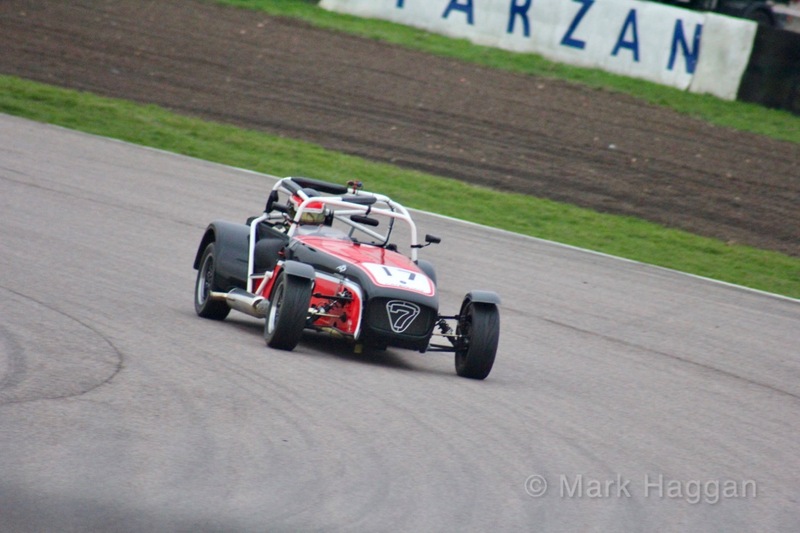 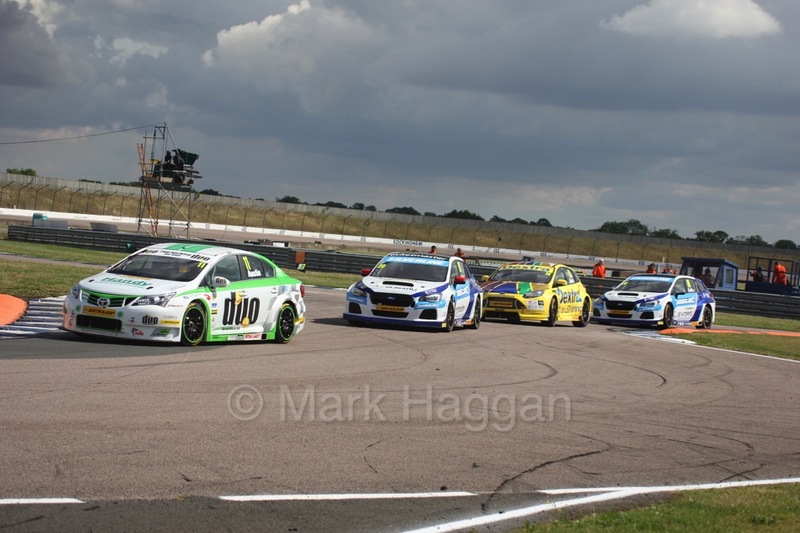 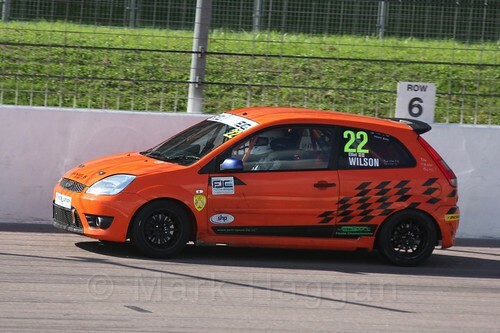 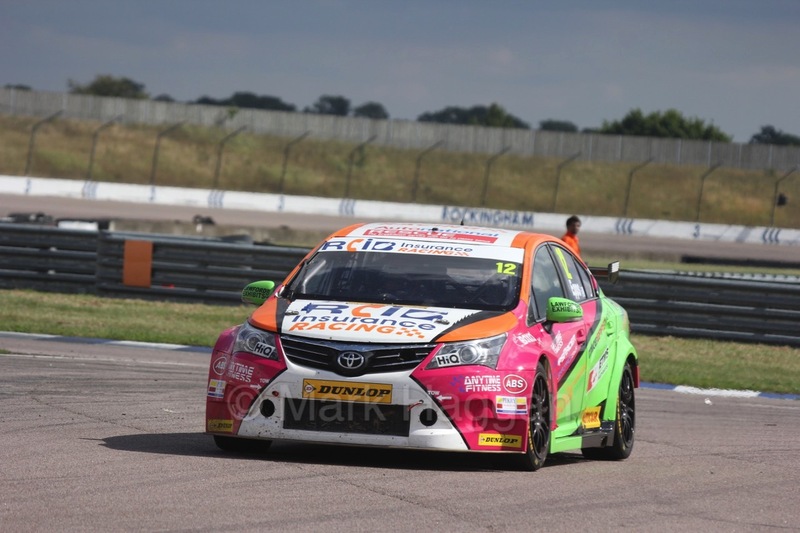 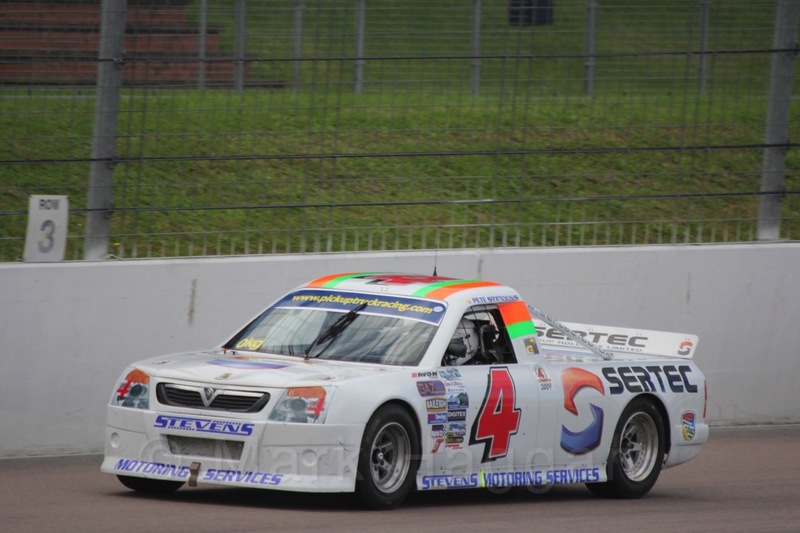 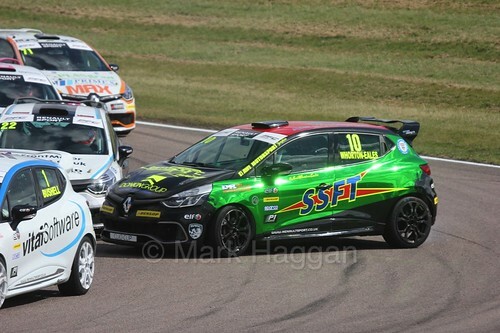 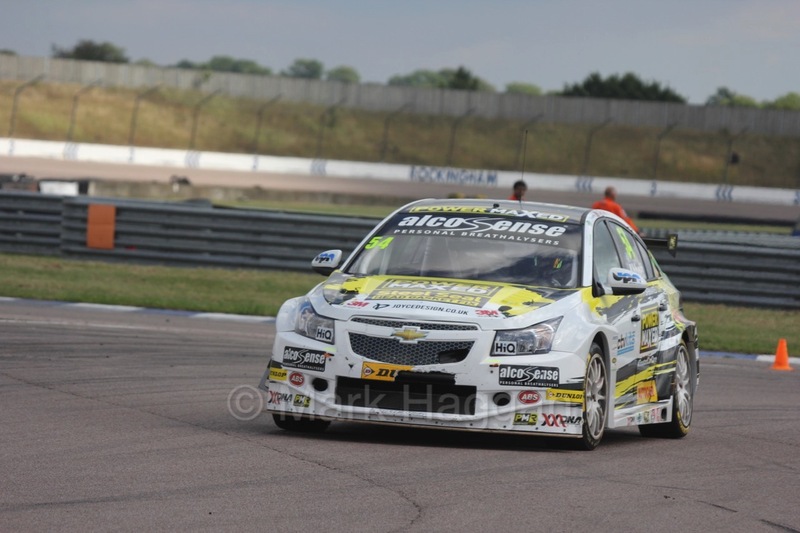 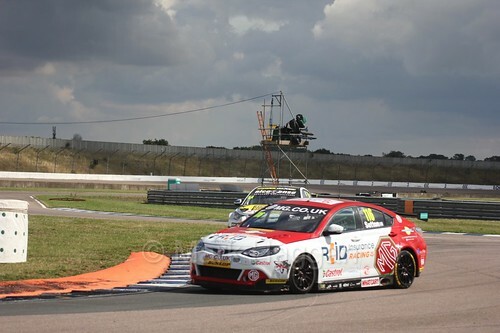 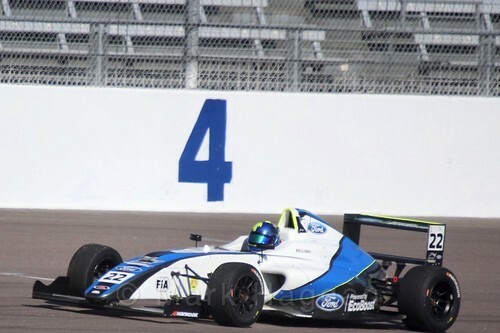 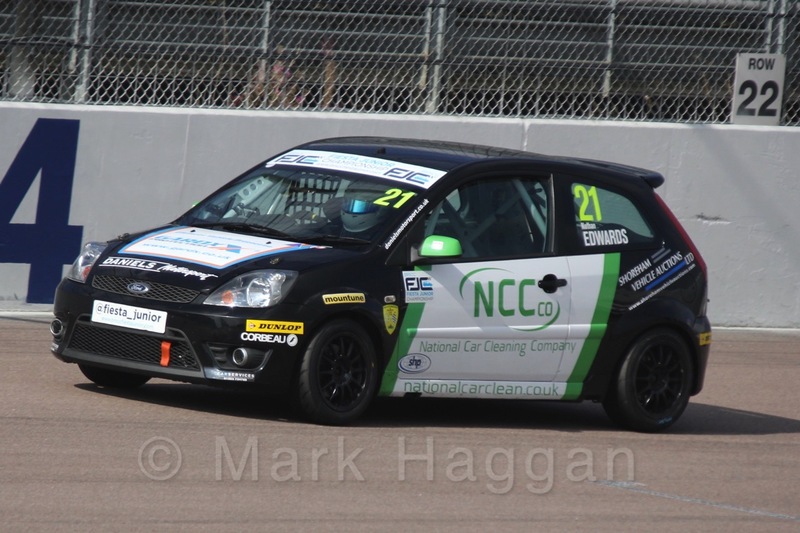 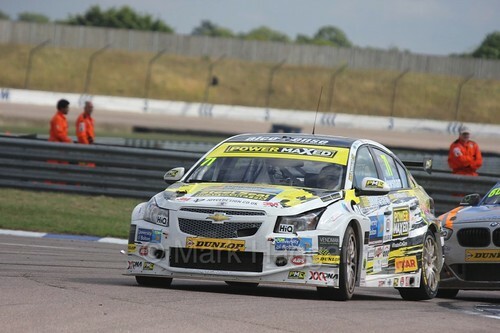 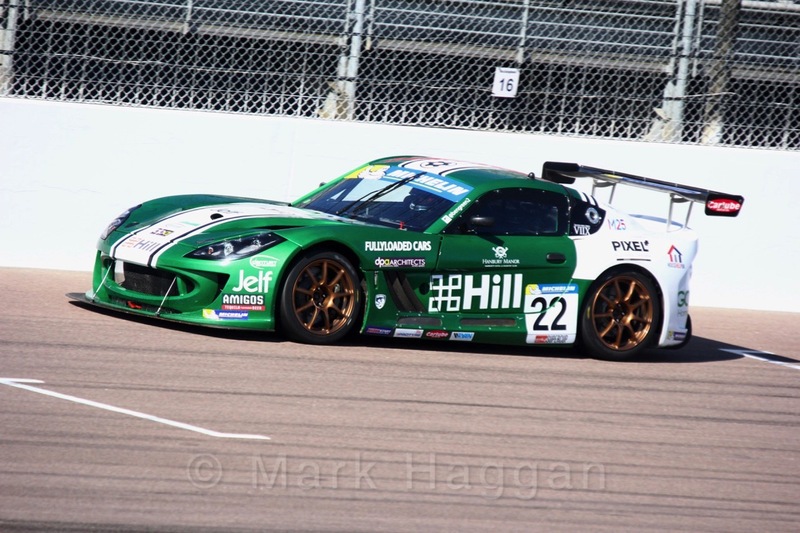 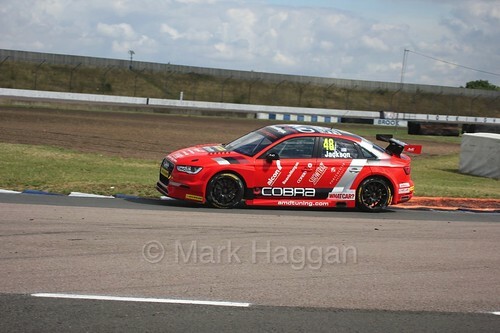 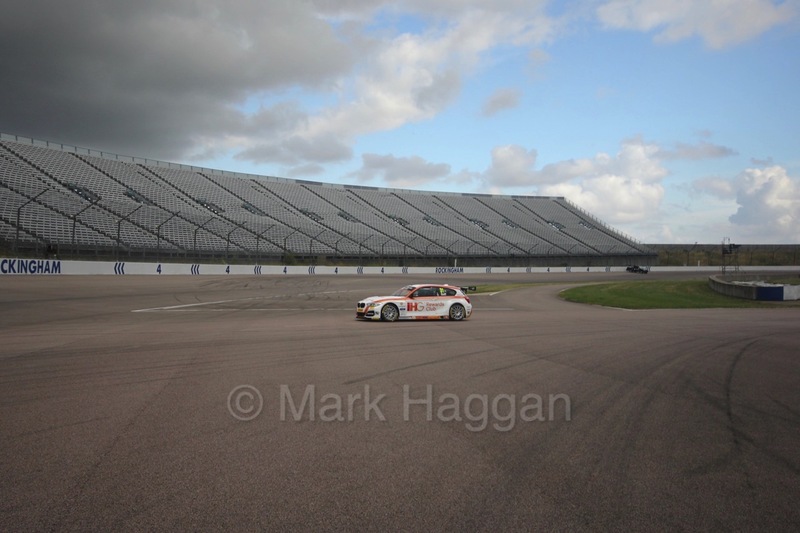 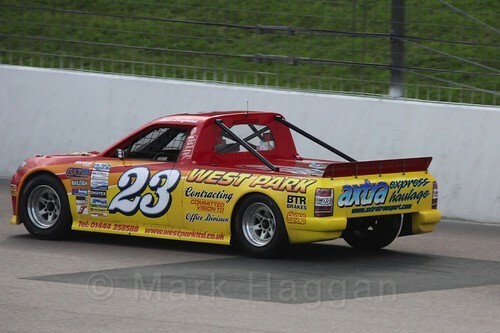 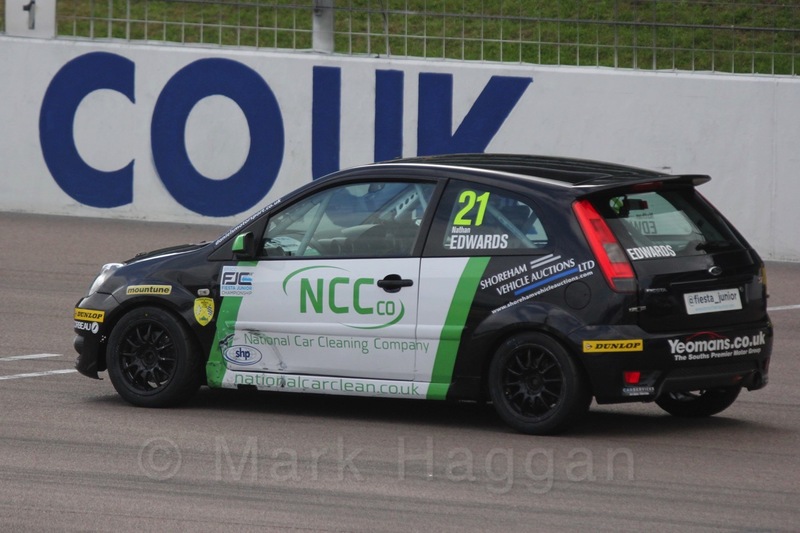 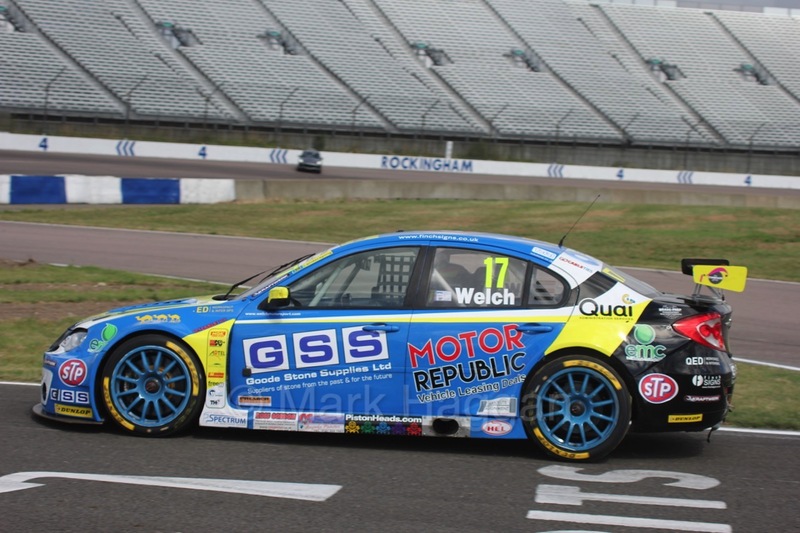 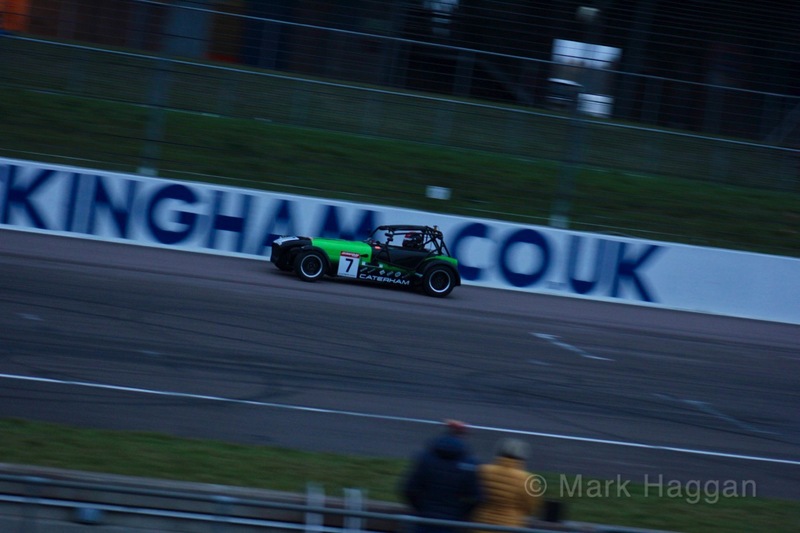 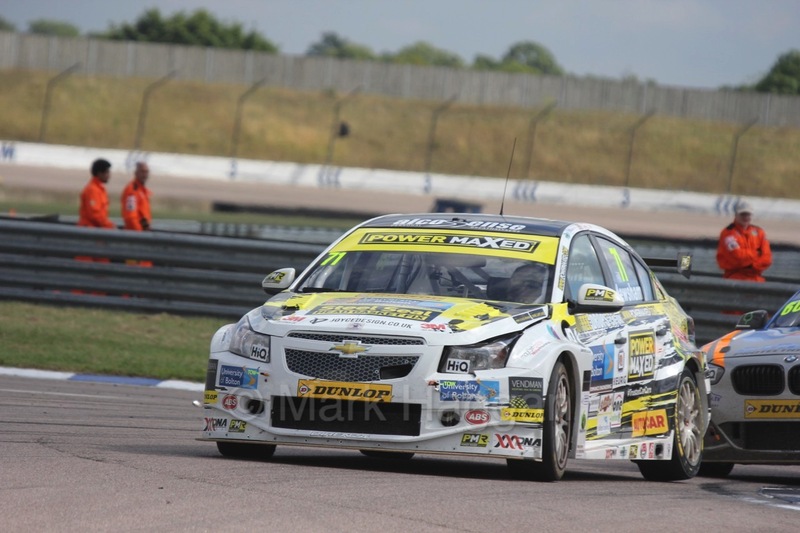 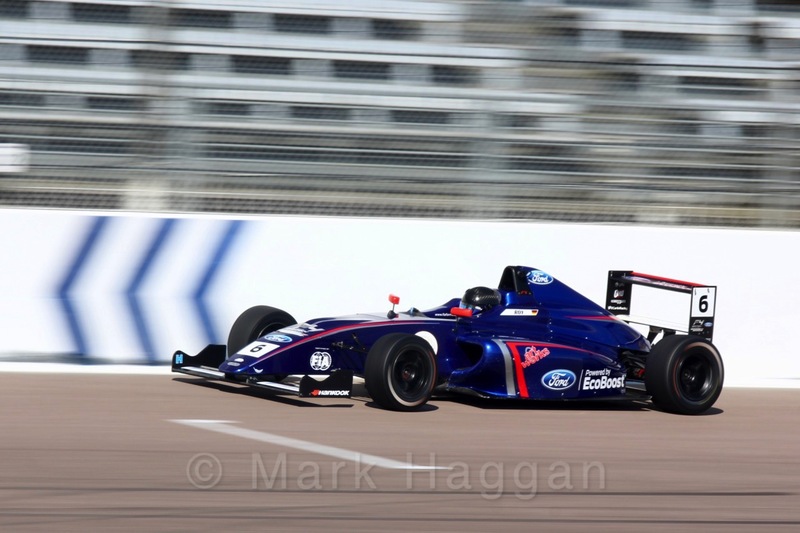 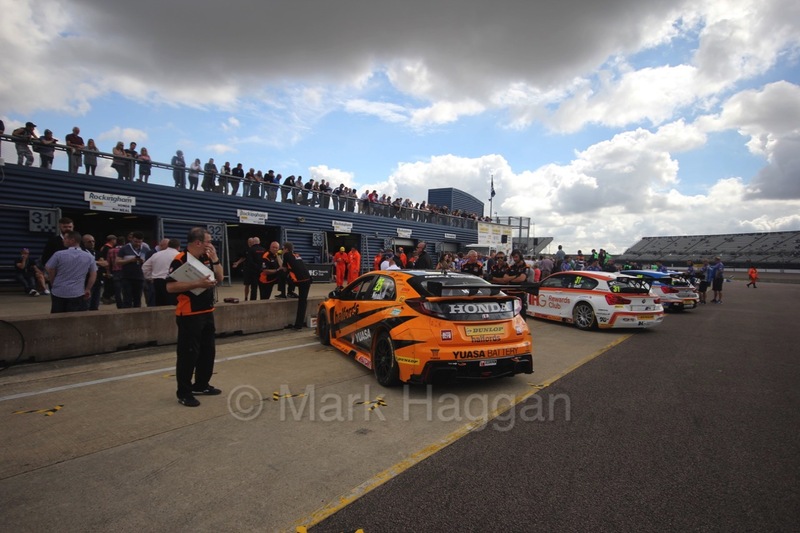 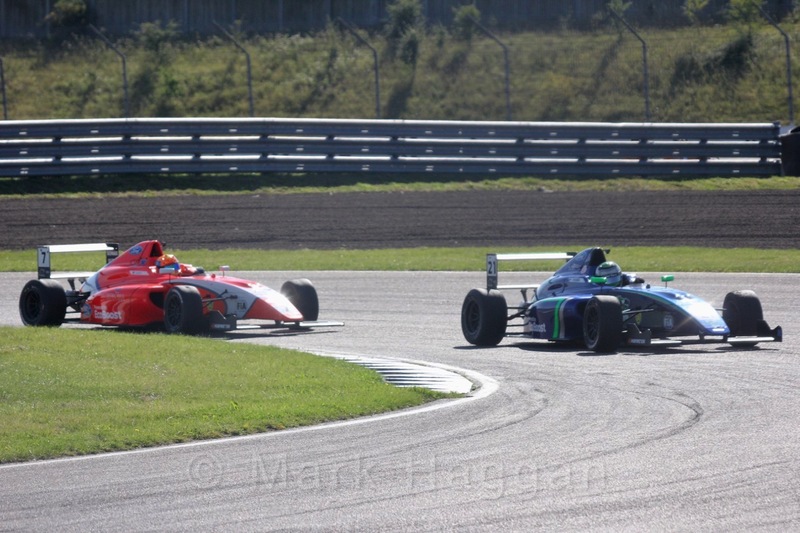 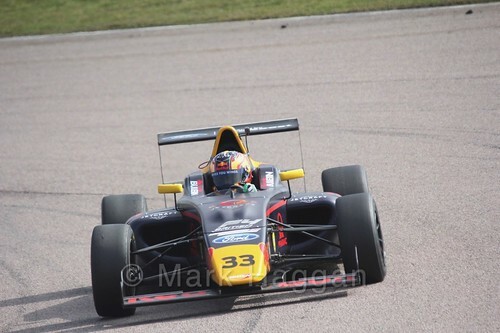 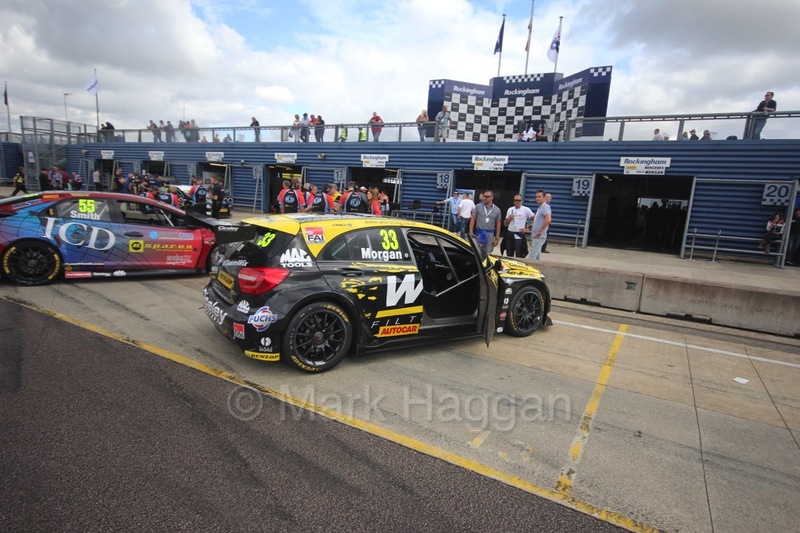 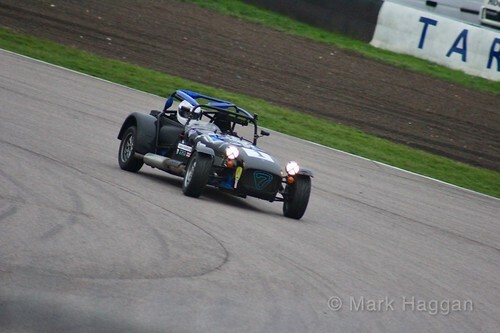 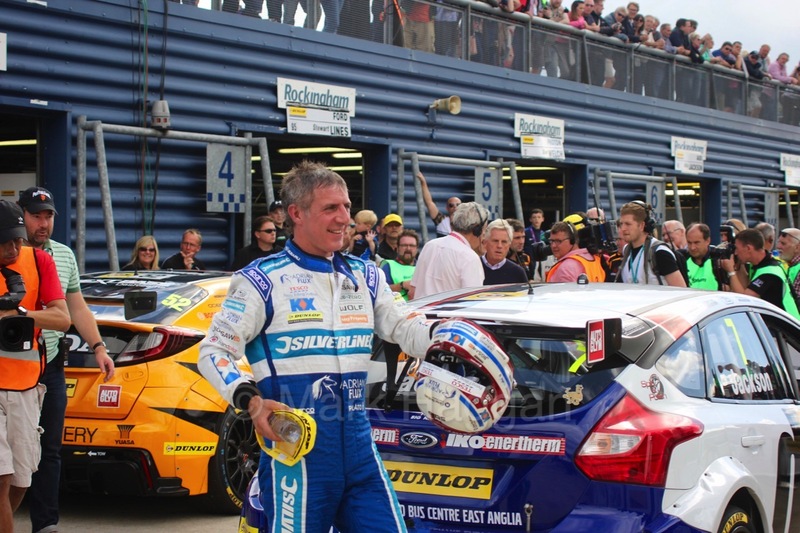 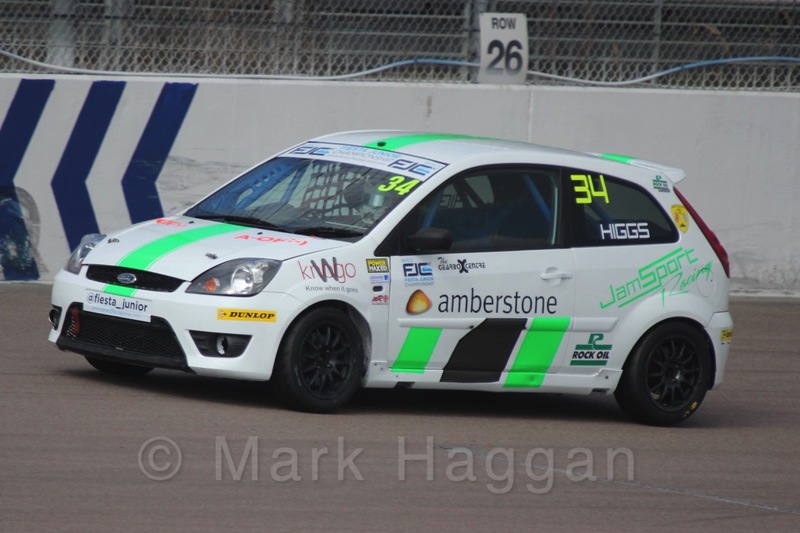 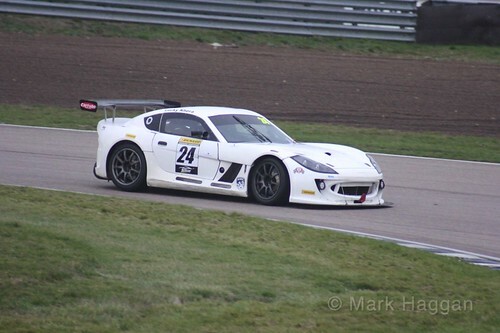 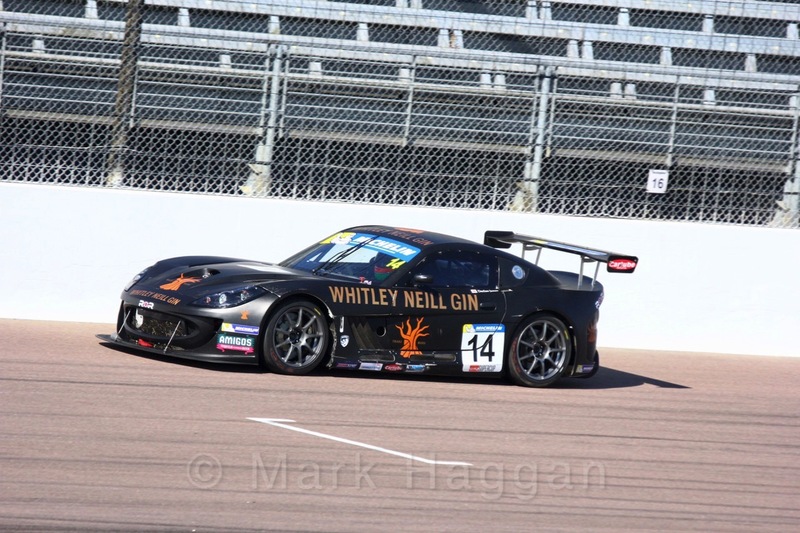 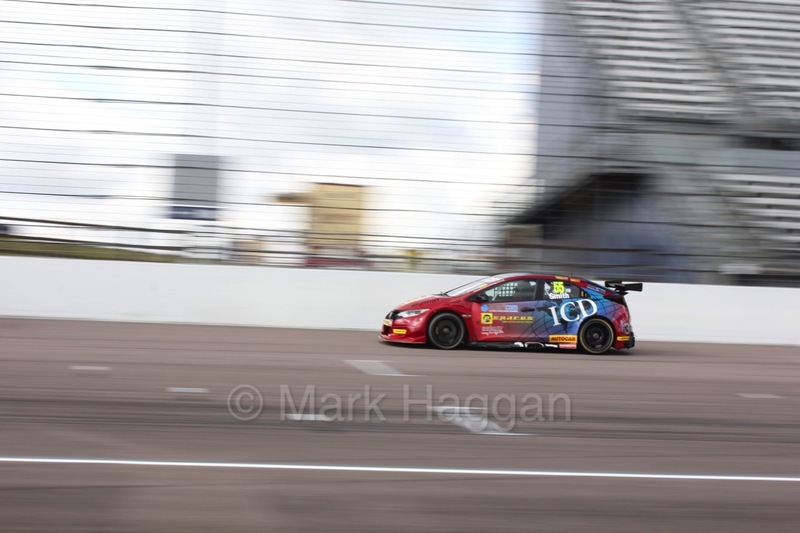 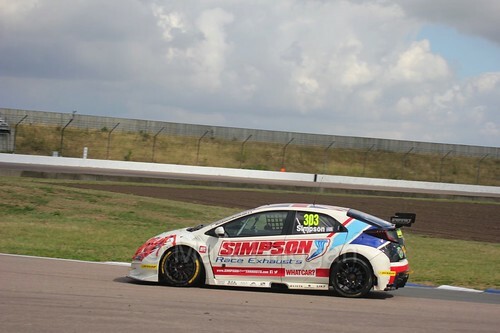 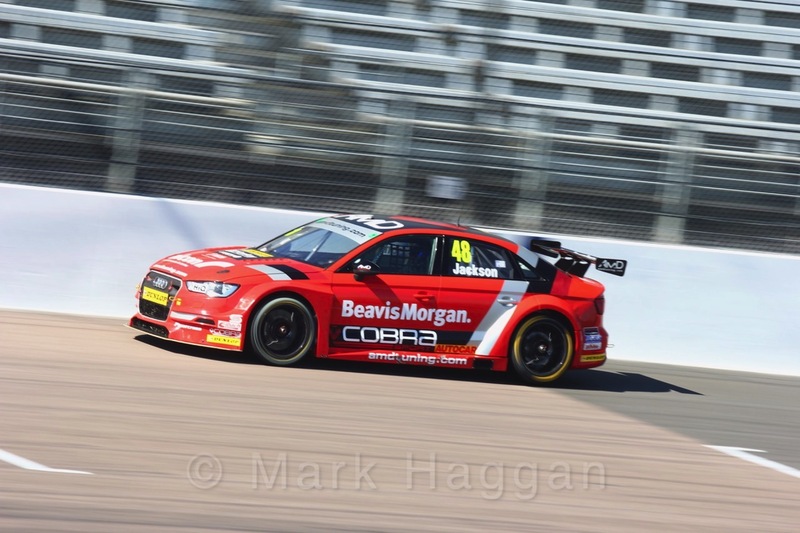 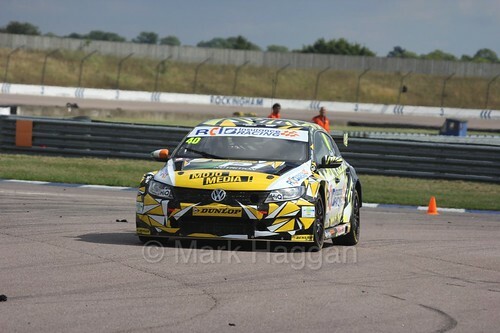 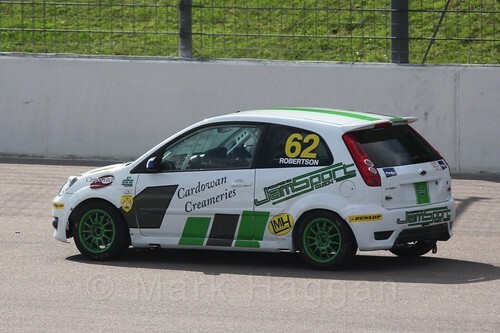 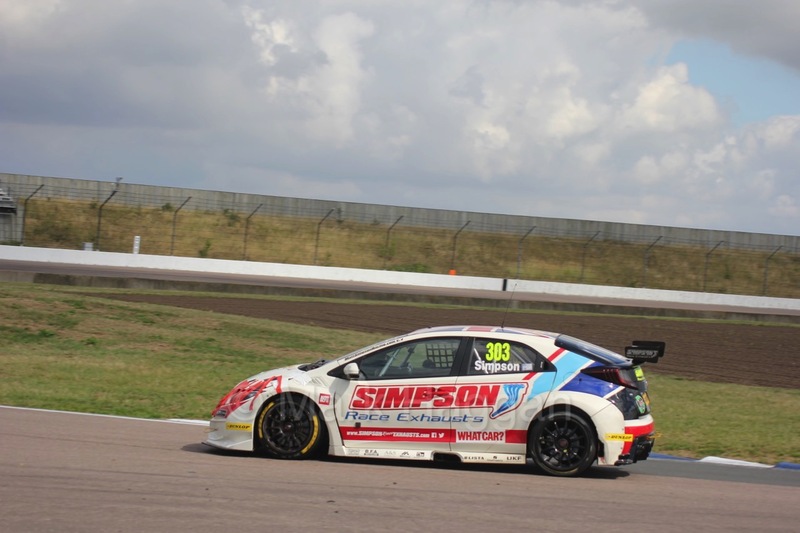 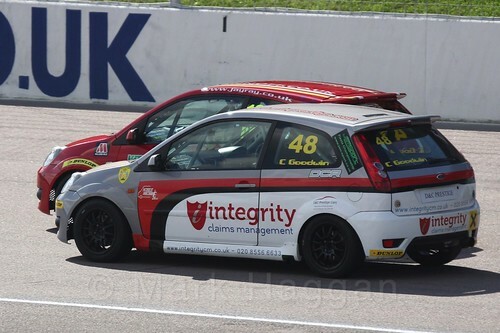 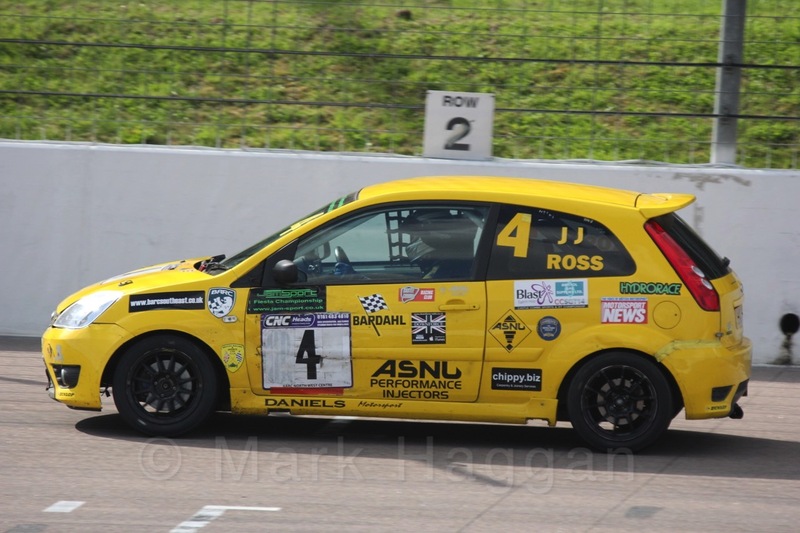 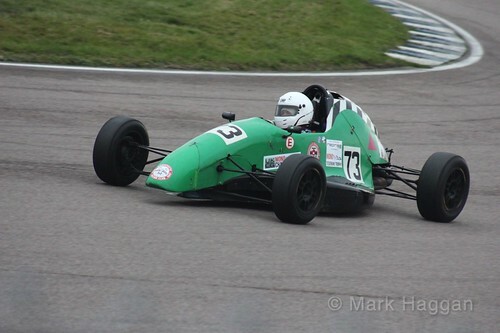 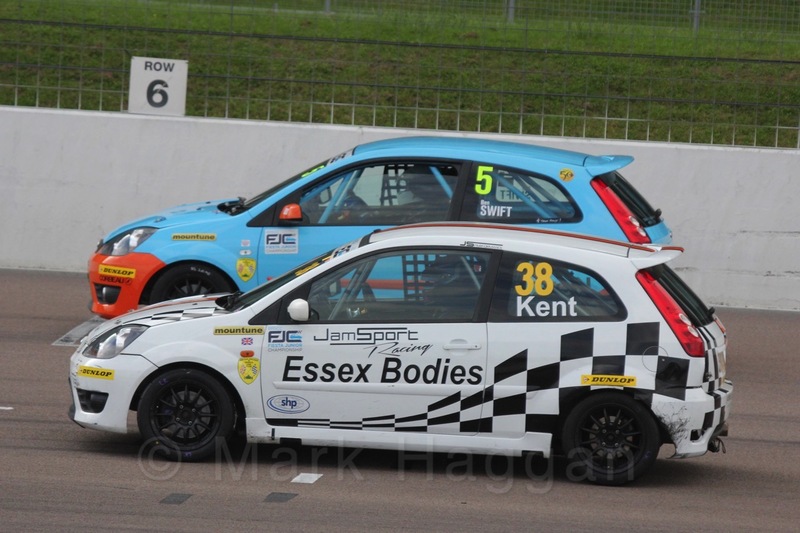 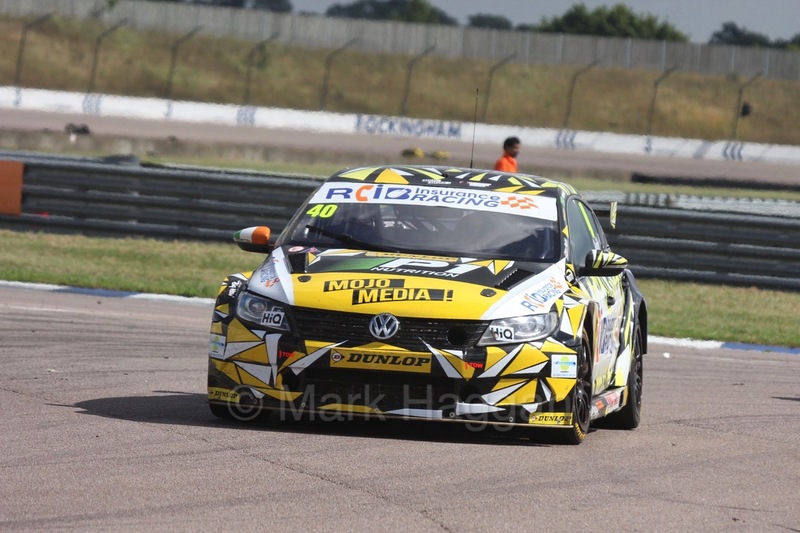 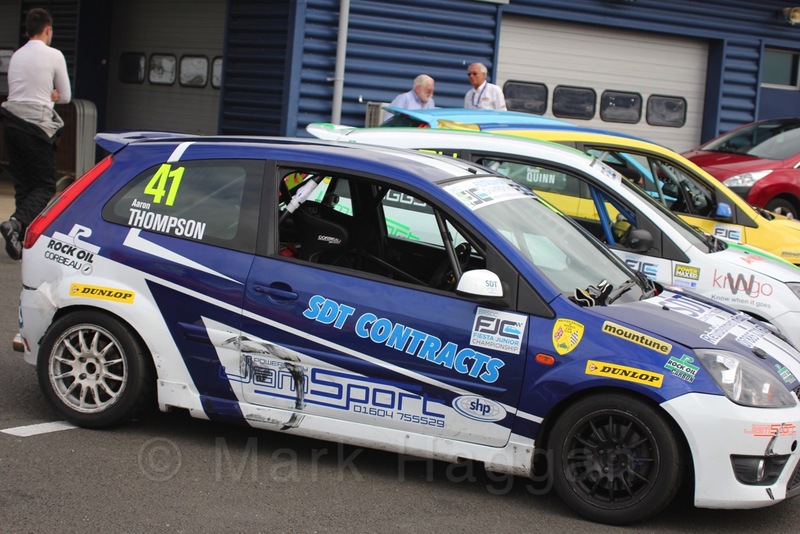 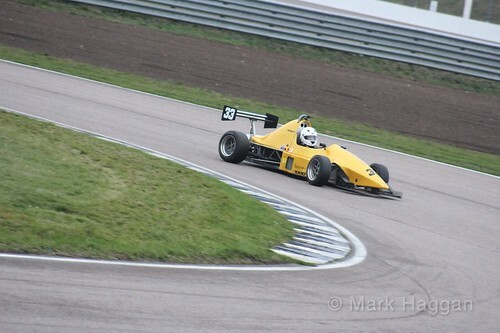 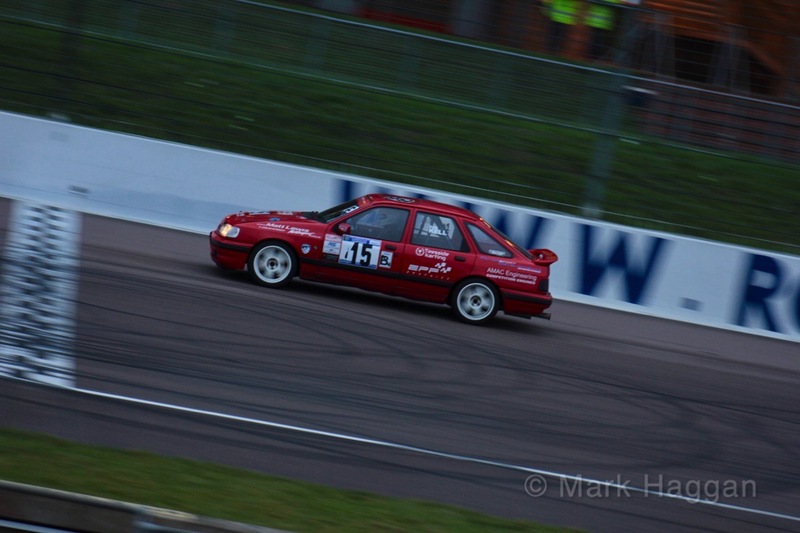 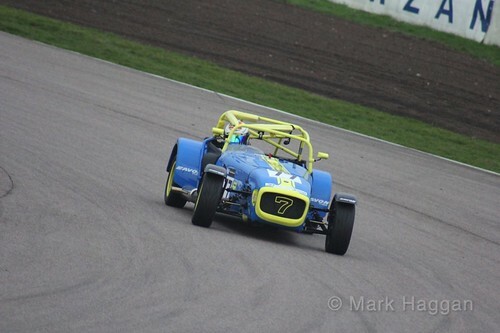 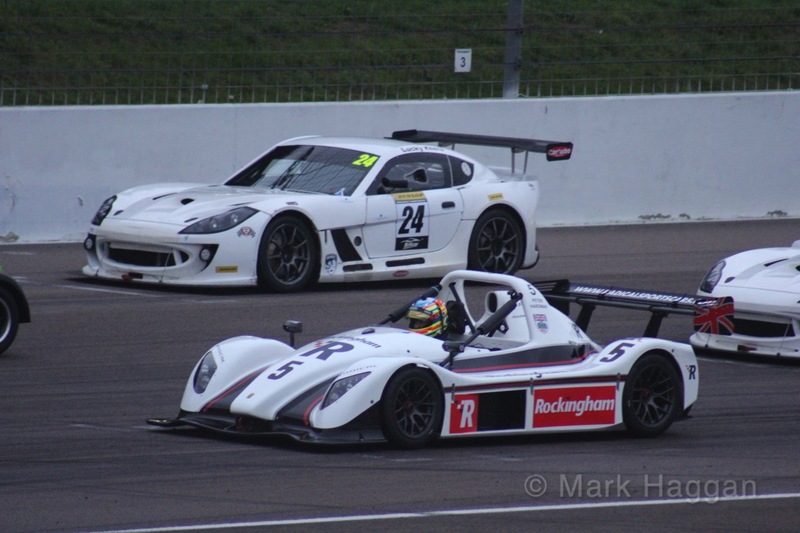 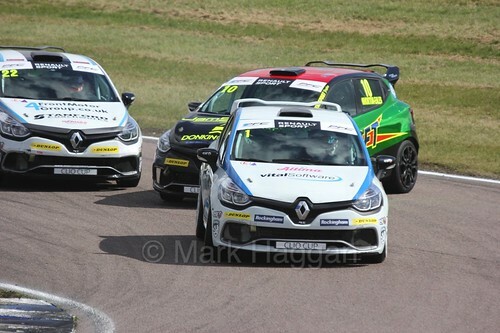 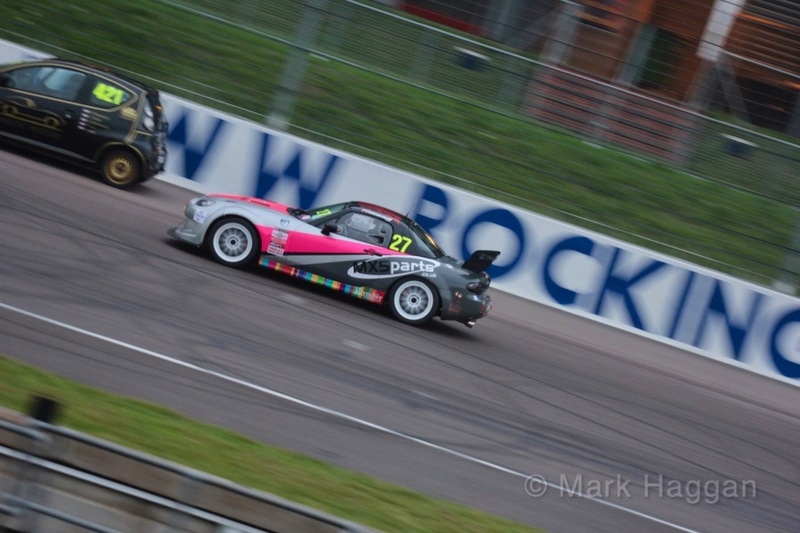 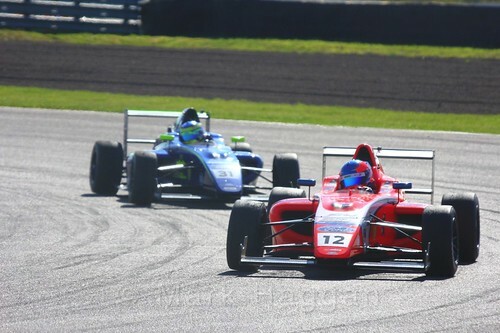 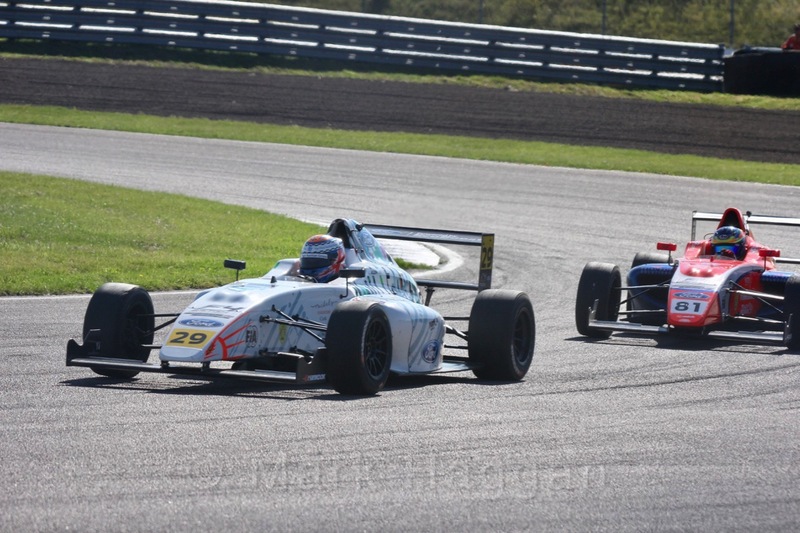 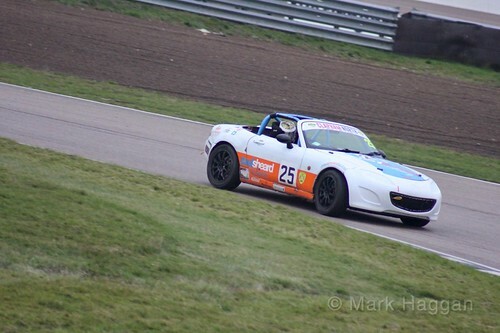 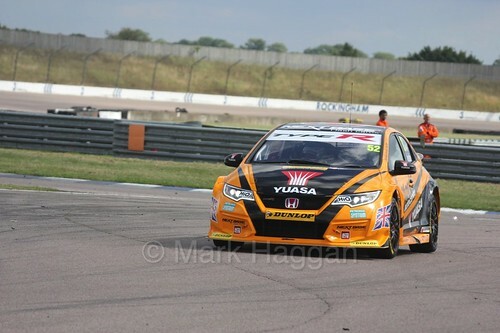 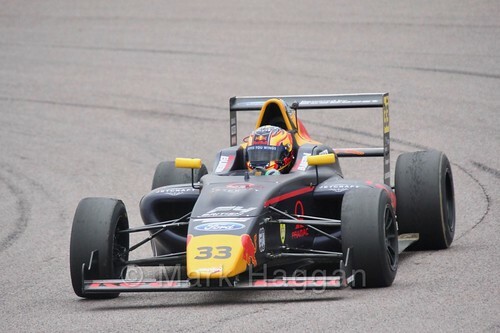 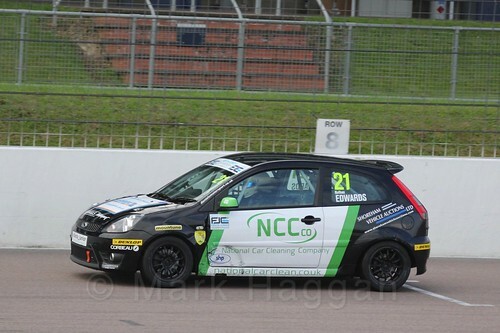 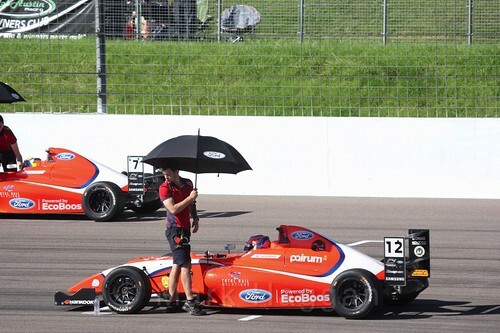 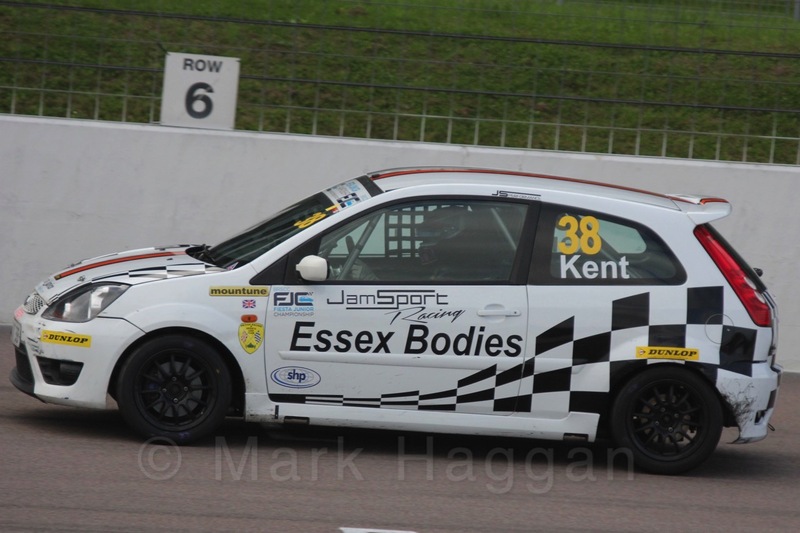 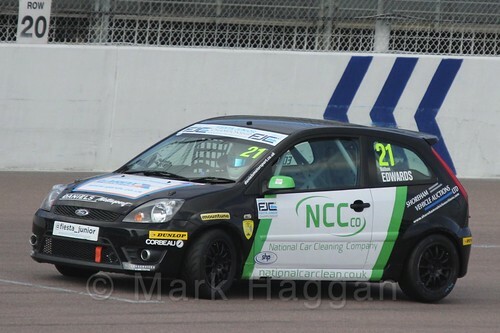 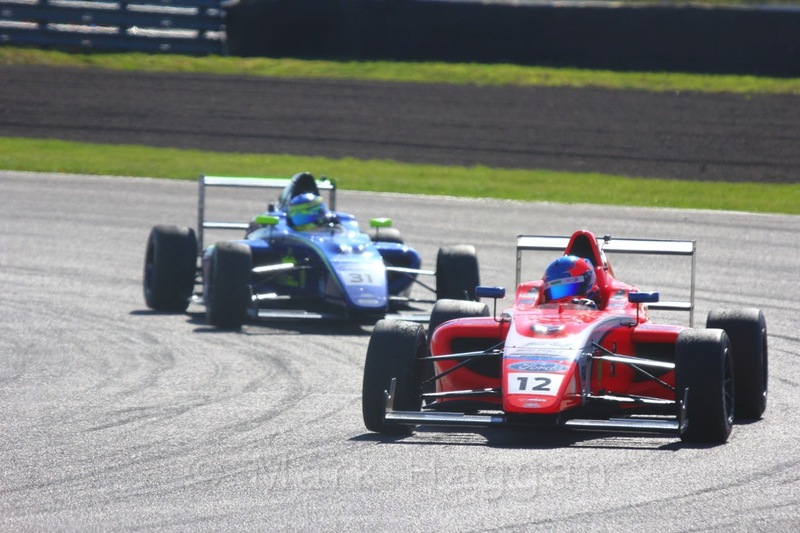 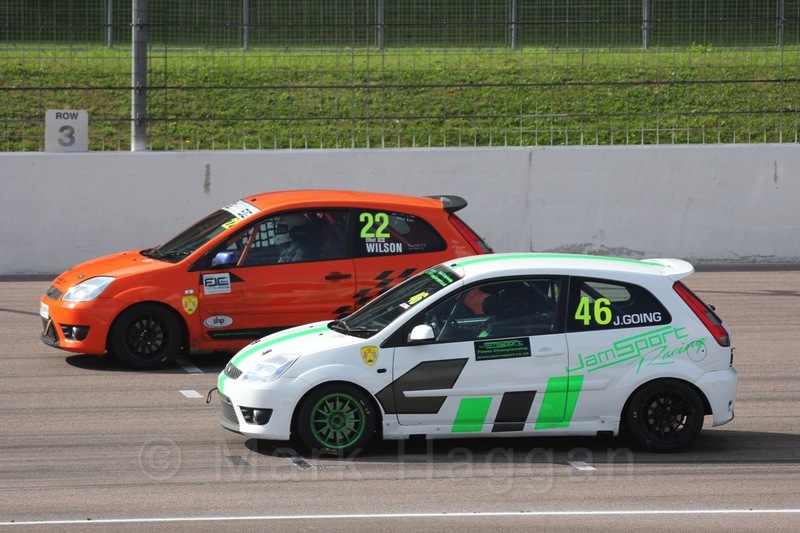 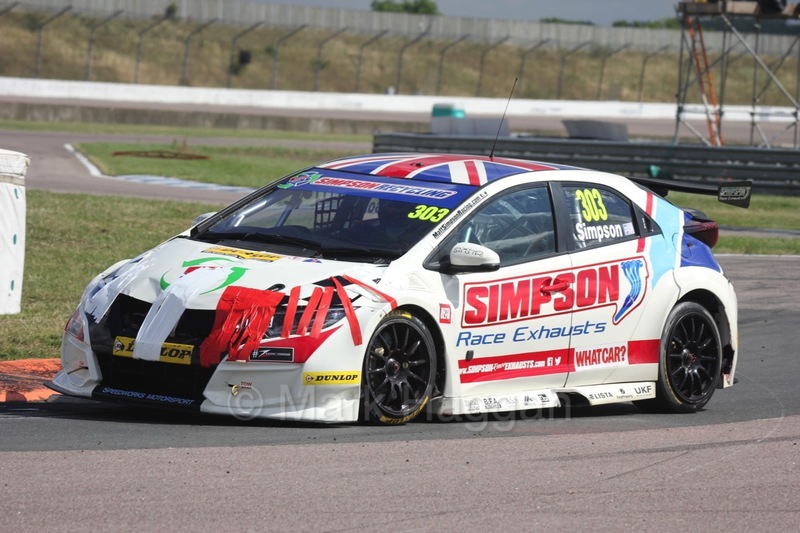 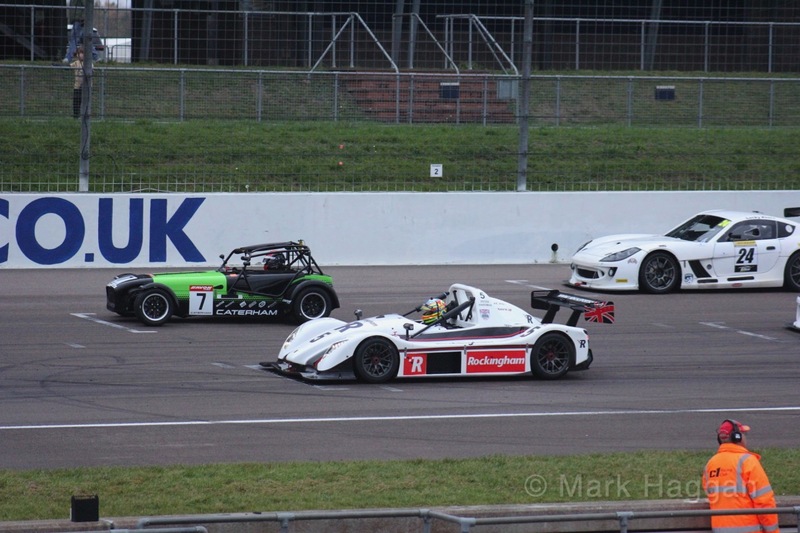 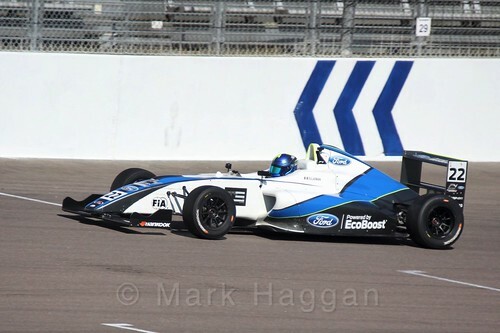 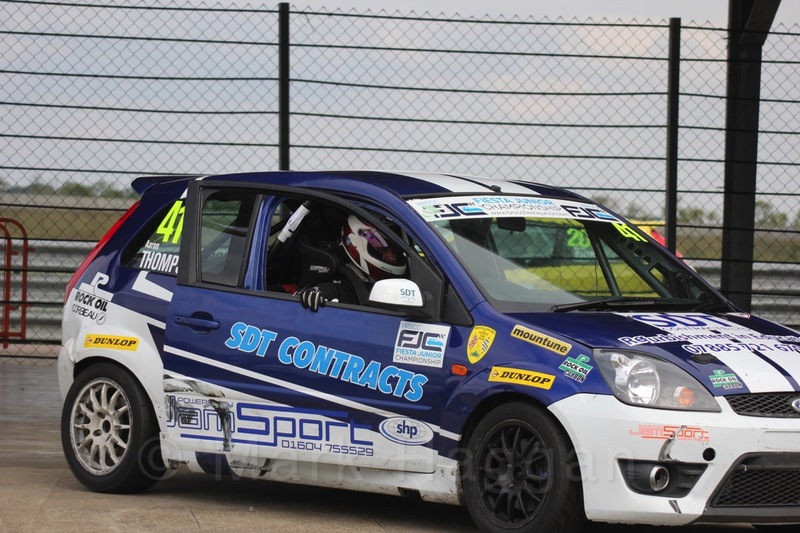 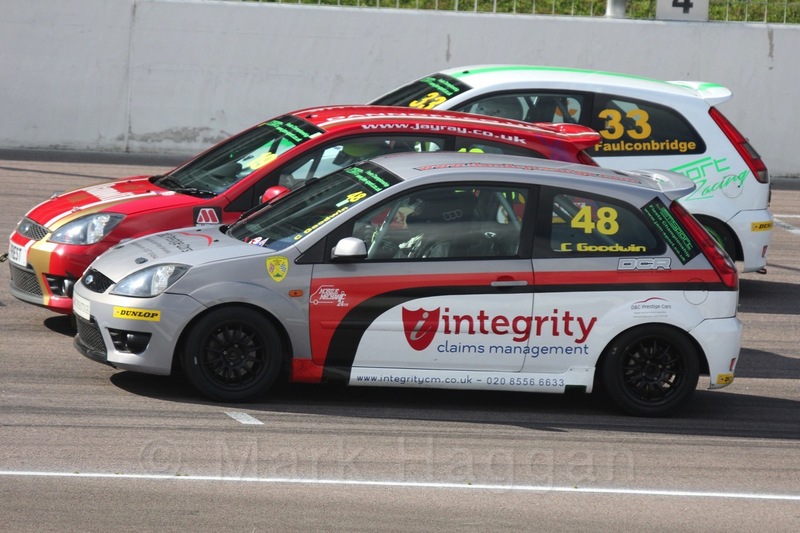 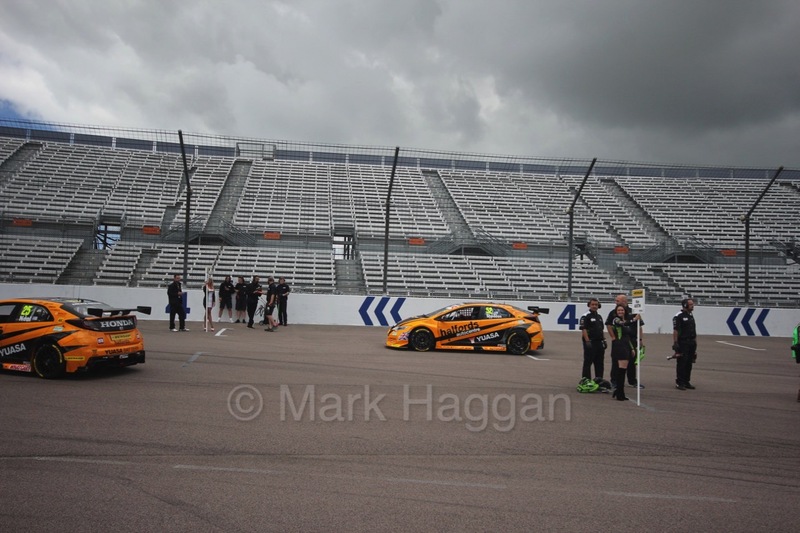 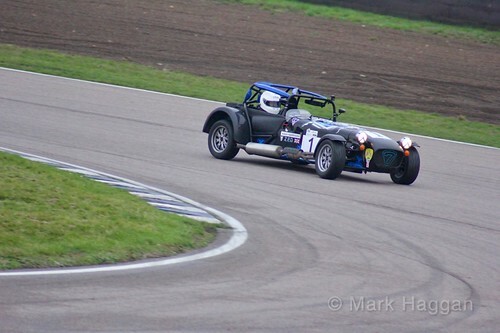 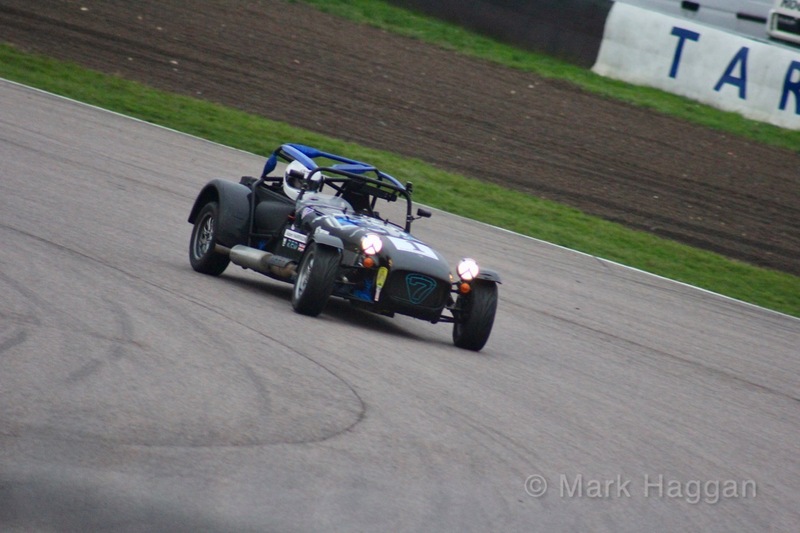 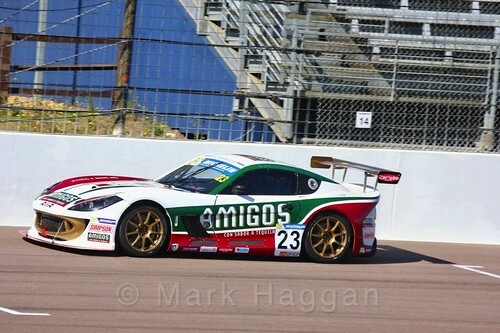 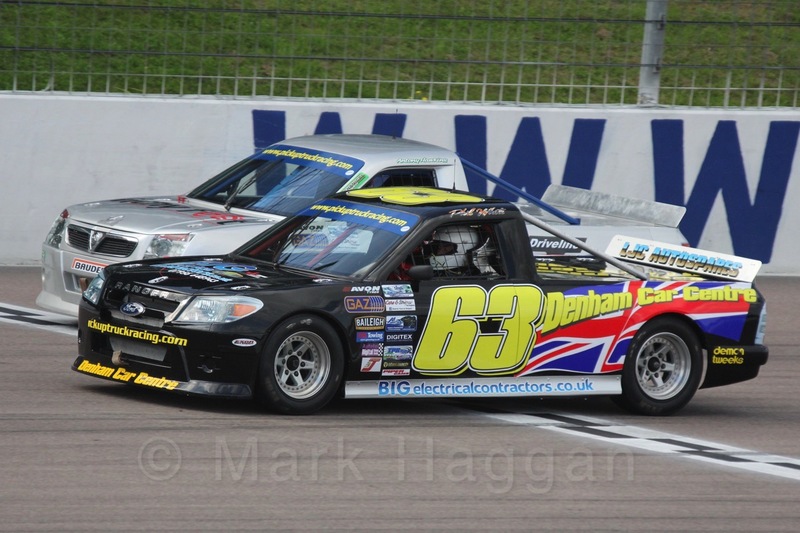 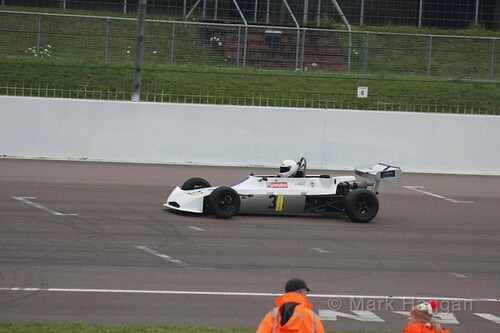 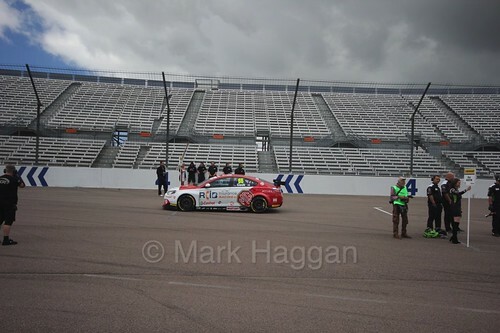 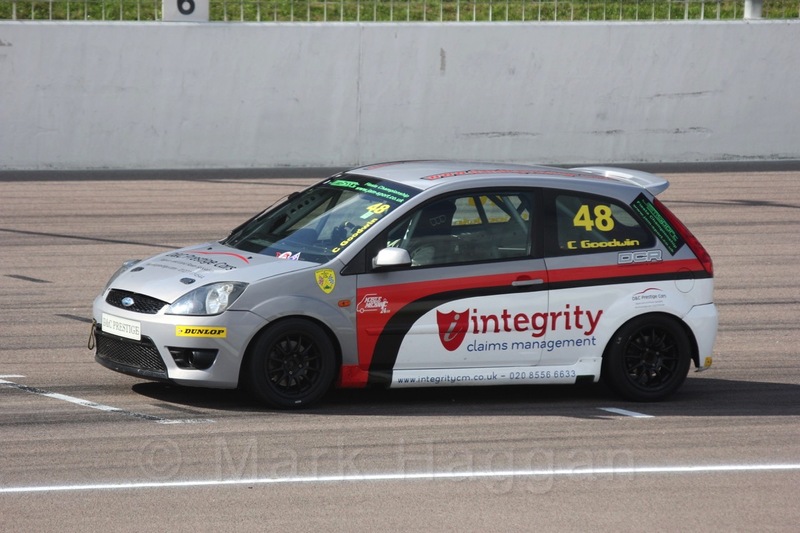 As we enter 2019, one of the old friends not joining us for the next motor racing season is Rockingham Motor Speedway, which hosted its last race on the 24th November last year. 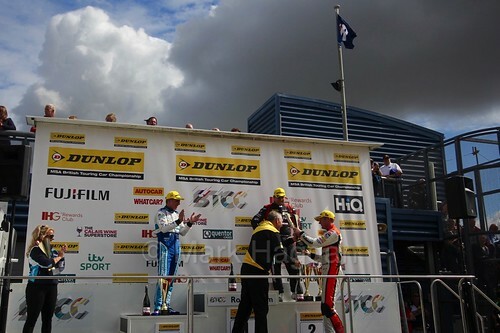 Rockingham has been a venue for motorsport in the UK since it opened back on the 26th May 2001, with multiple configurations that allowed both oval and circuit racing. 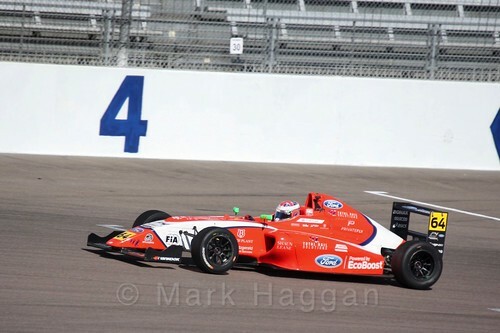 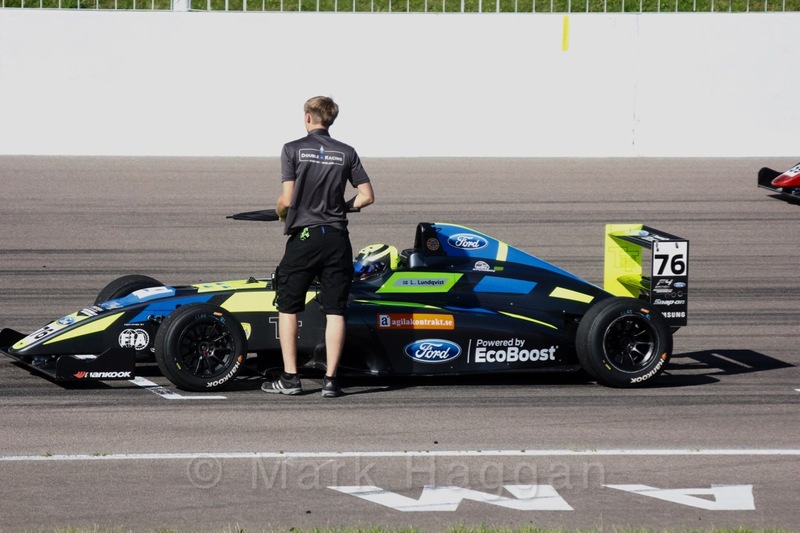 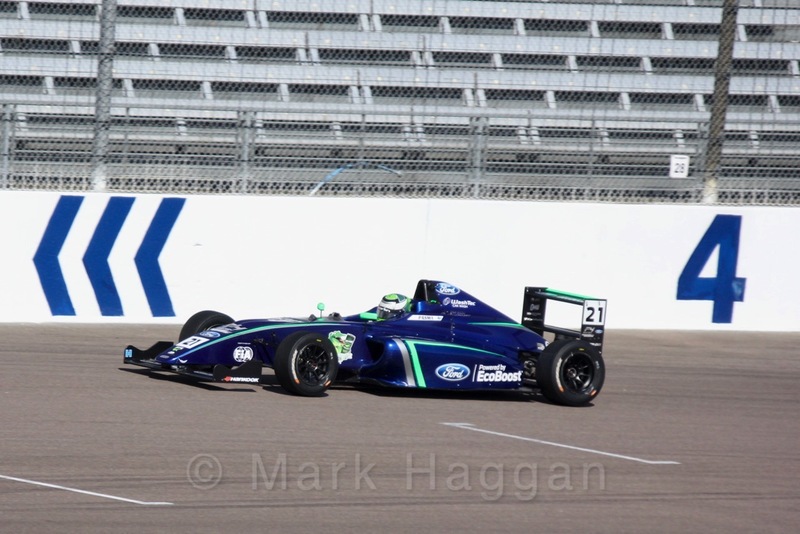 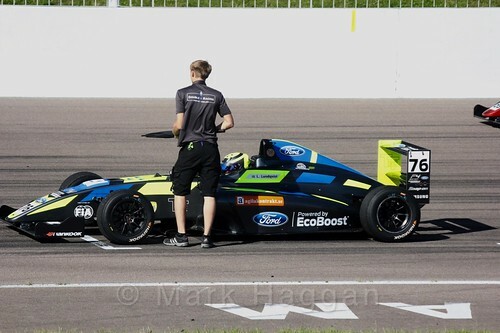 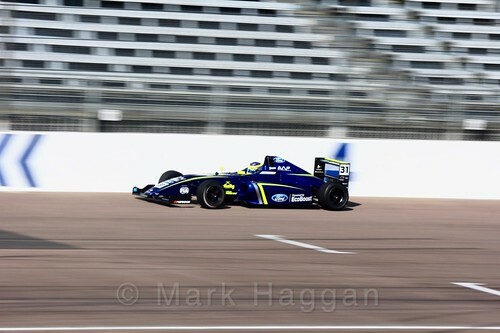 Early in its life, Tony Kanaan set the fastest time on the oval circuit with a lap of 24.719 seconds in Champ Car in September 2001, a record that stayed until Rockingham closed. 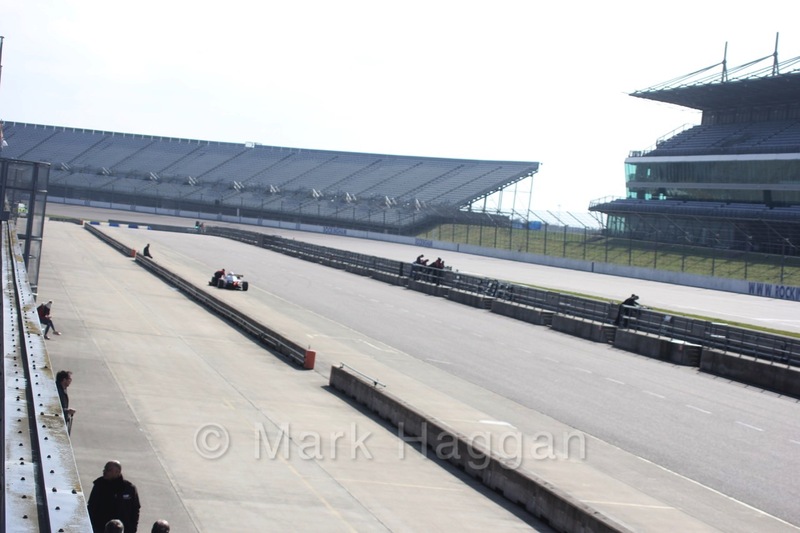 The track attracted visiting series from North America in the early days, with Gil de Ferran and Dario Franchitti both claiming wins in the CART Championship, as well as plenty of domestic race series, seeing wins for future Formula One drivers Nelson Piquet Jr, Marcus Ericsson, Jean-Eric Vergne, Felipe Nasr, Kevin Magnussen and Lando Norris, as well as some fantastic BTCC races over the years. 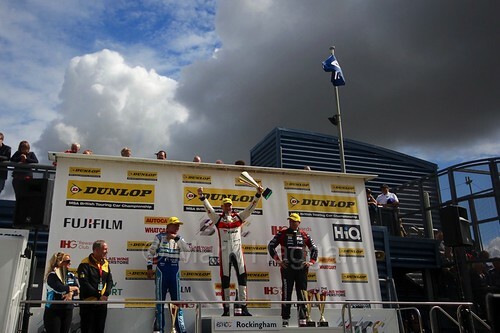 The circuit also held rounds of the British Superbike Championship for a few years, and was even home to rally events. 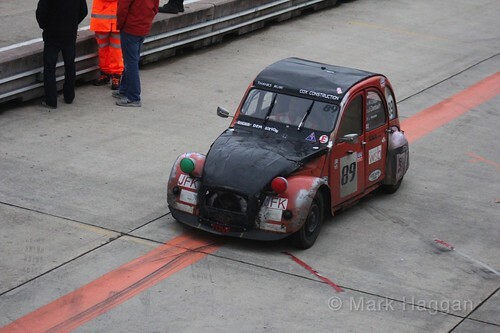 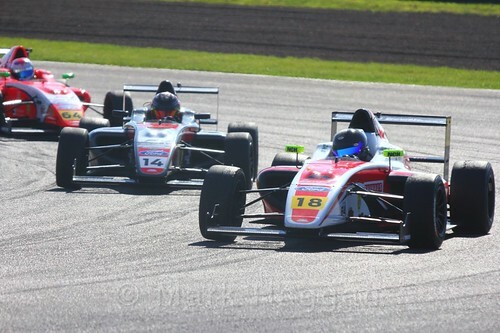 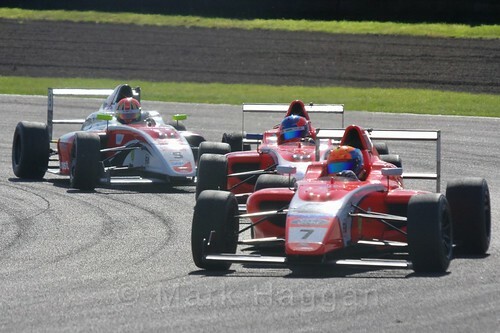 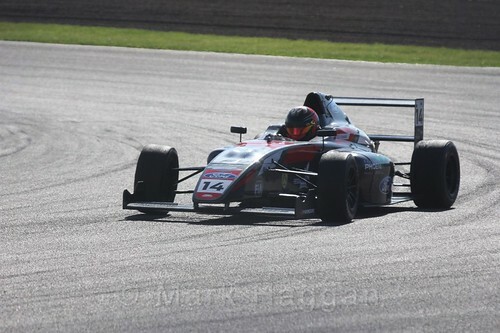 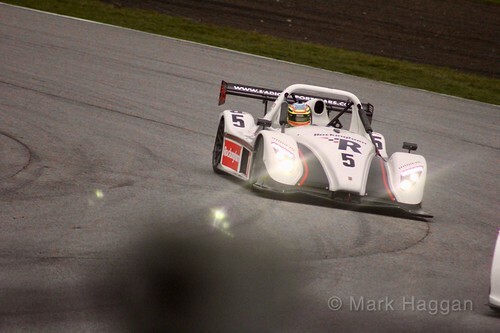 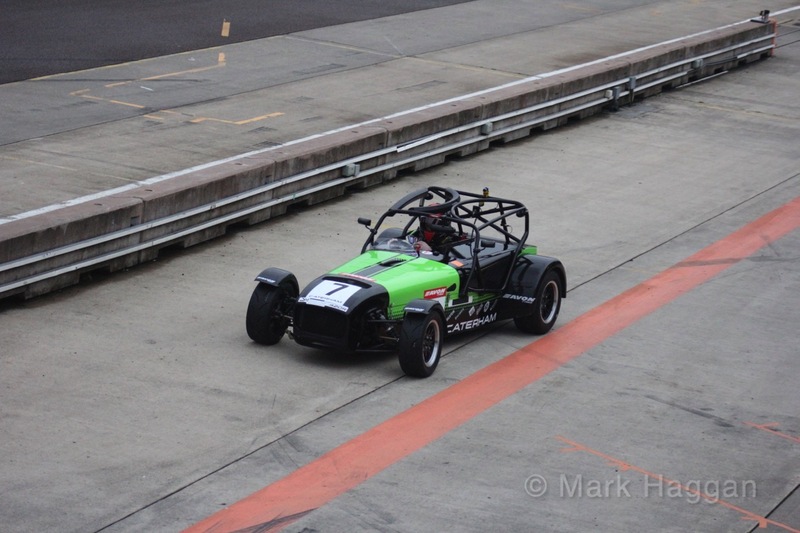 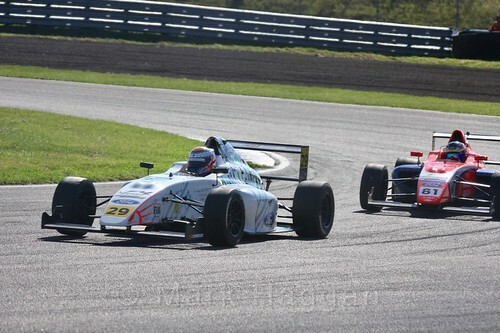 The circuit has also been used for pre-season testing for various series. 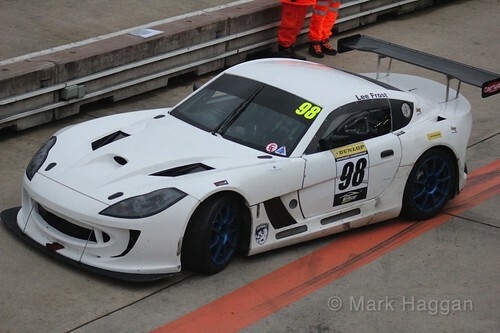 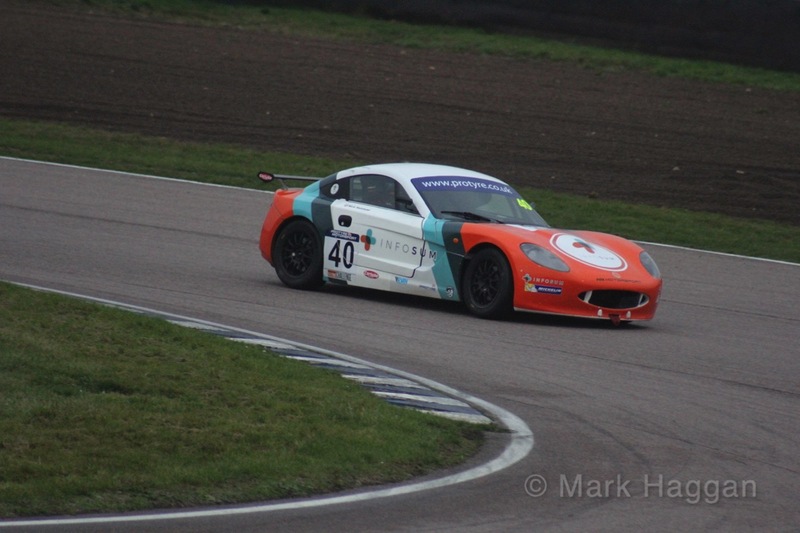 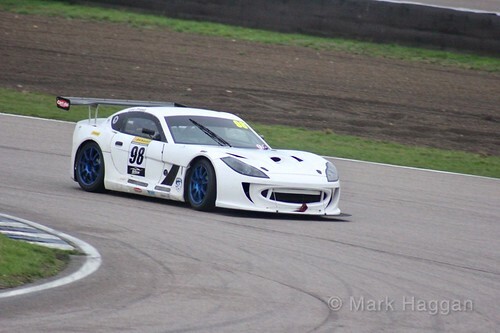 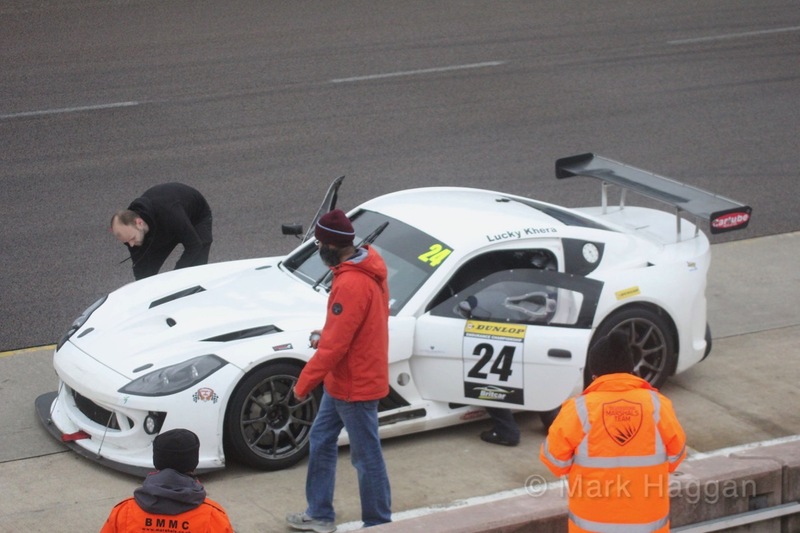 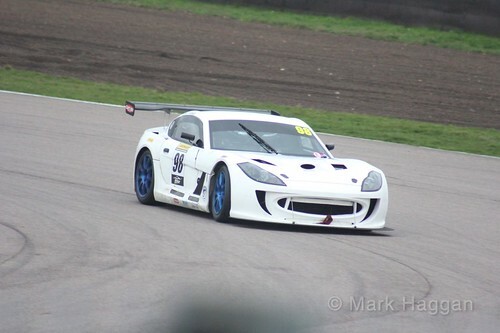 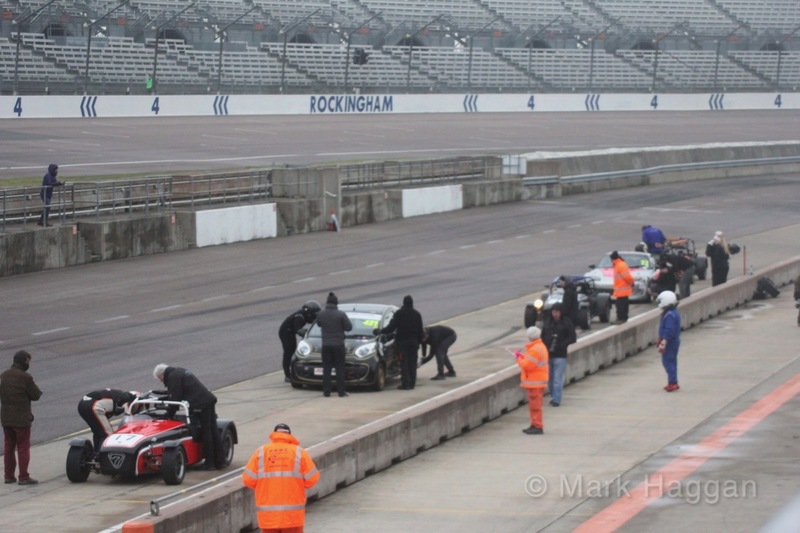 I remember the pre-season Ginetta Junior and Fiesta Junior test session in 2017 being particularly dark and cold, but as exciting as ever. 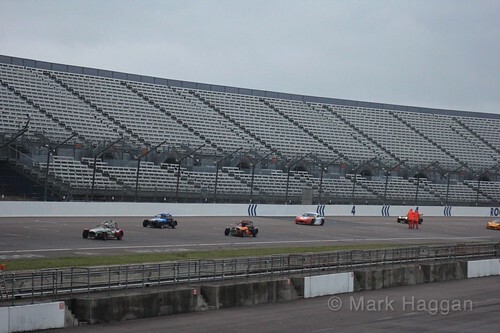 Rockingham’s set up meant that you could see pretty much the whole circuit either from the huge main grandstand or from the roof of the pits. 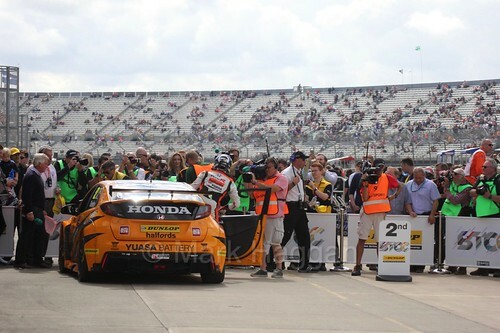 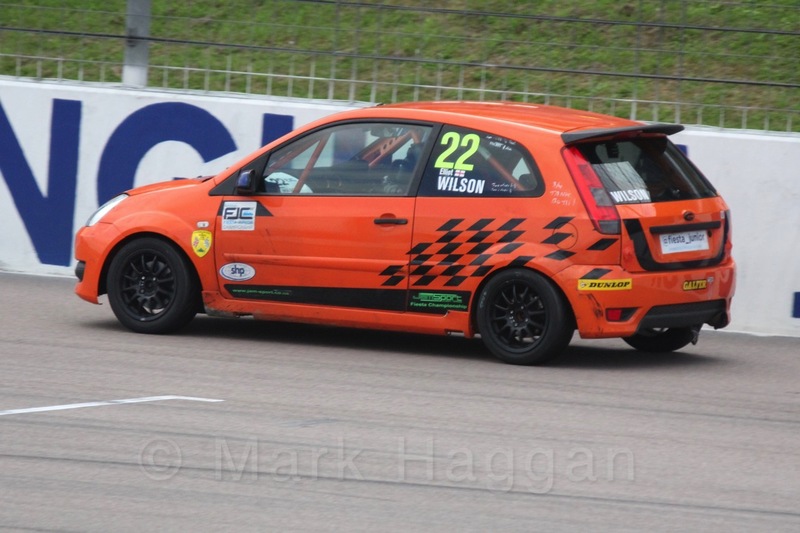 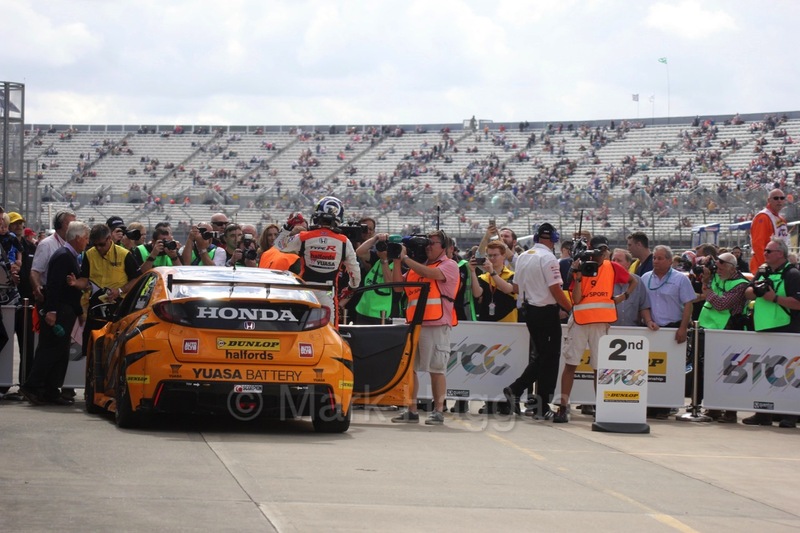 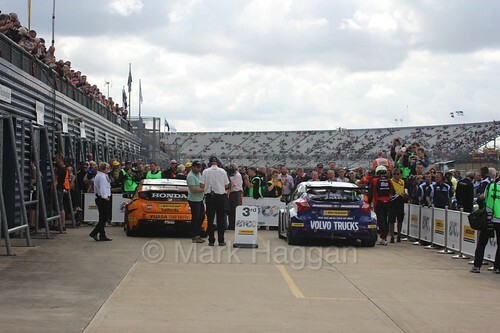 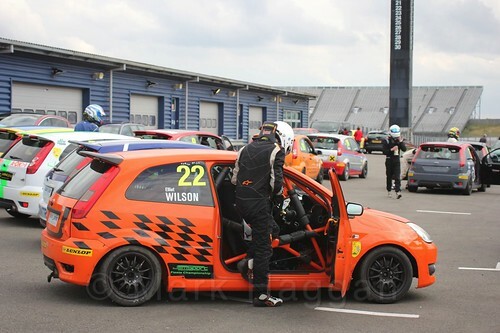 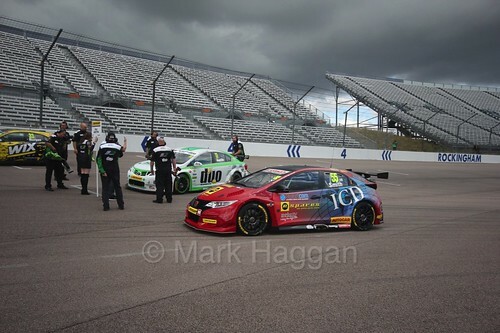 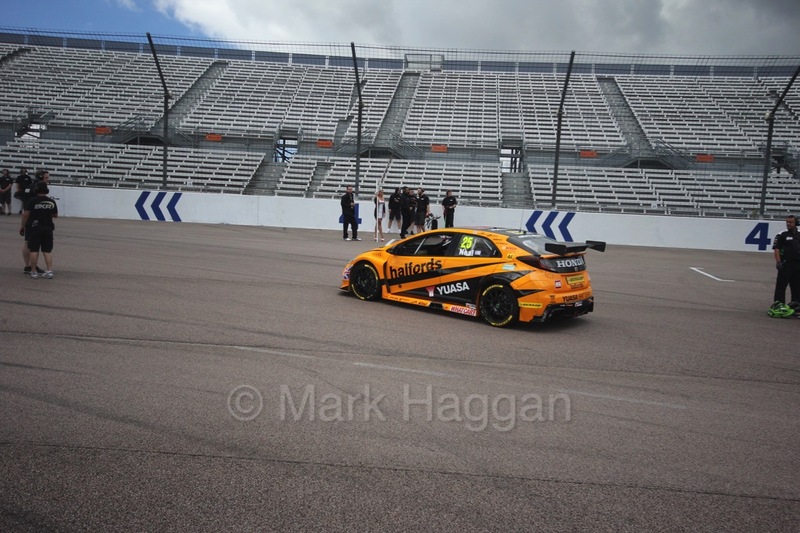 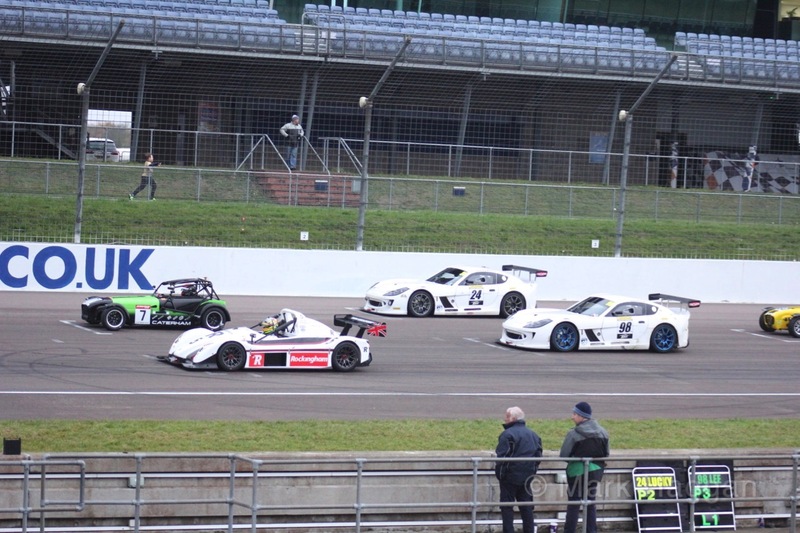 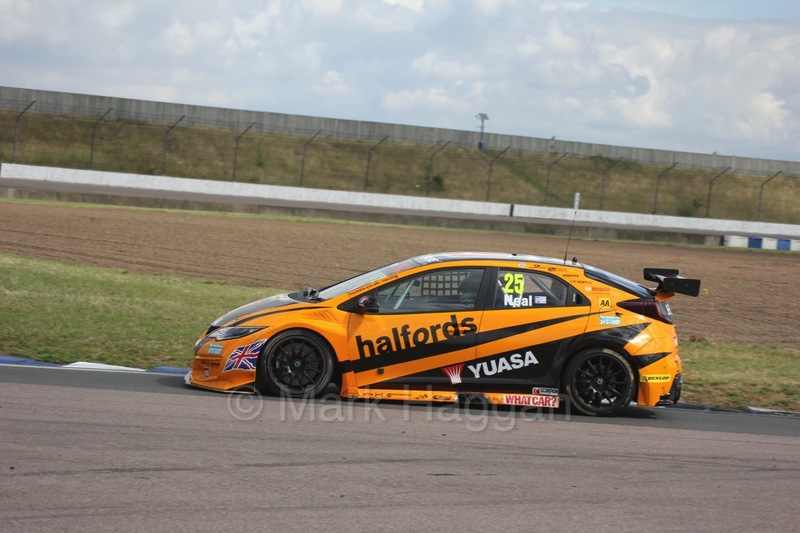 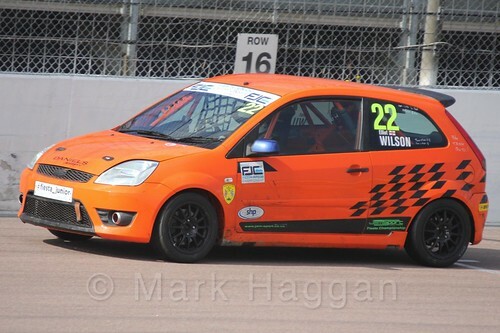 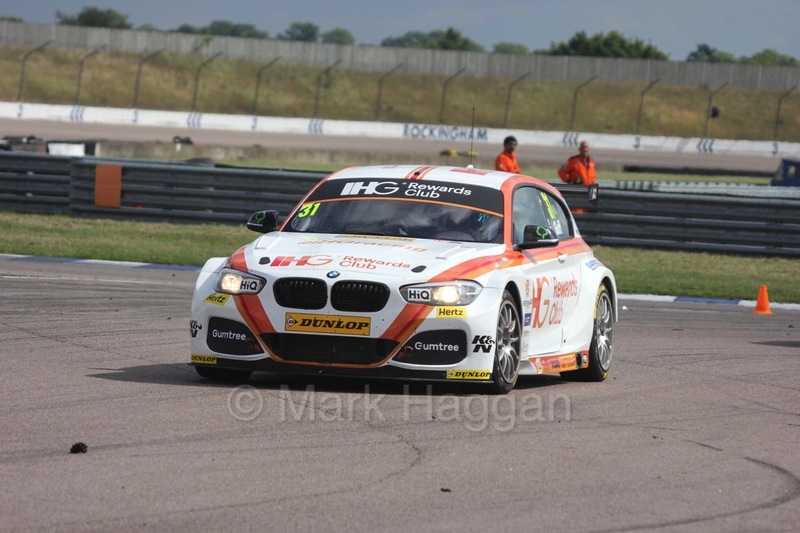 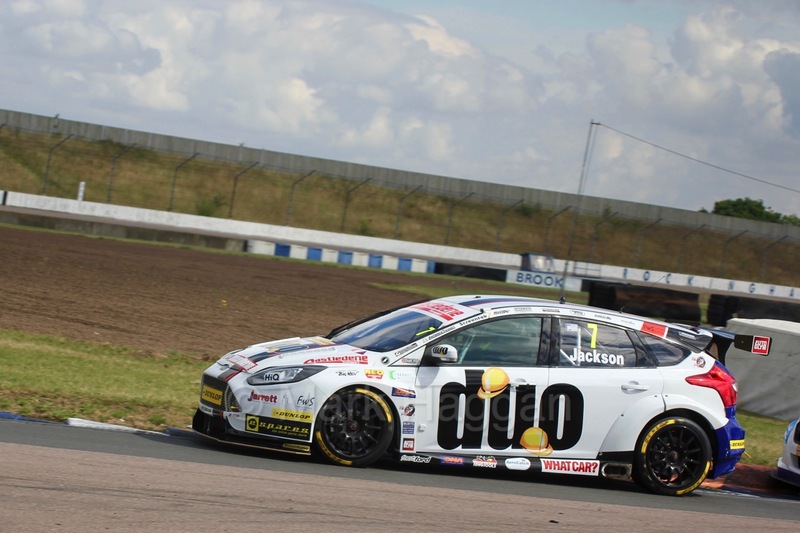 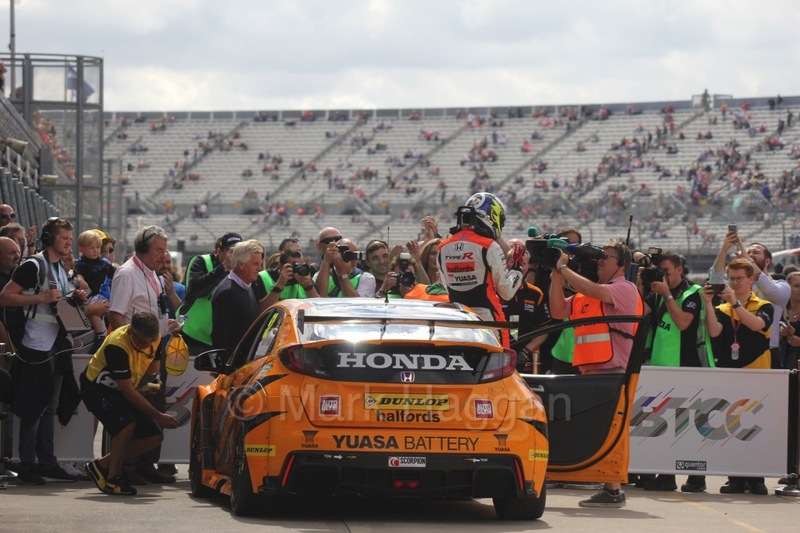 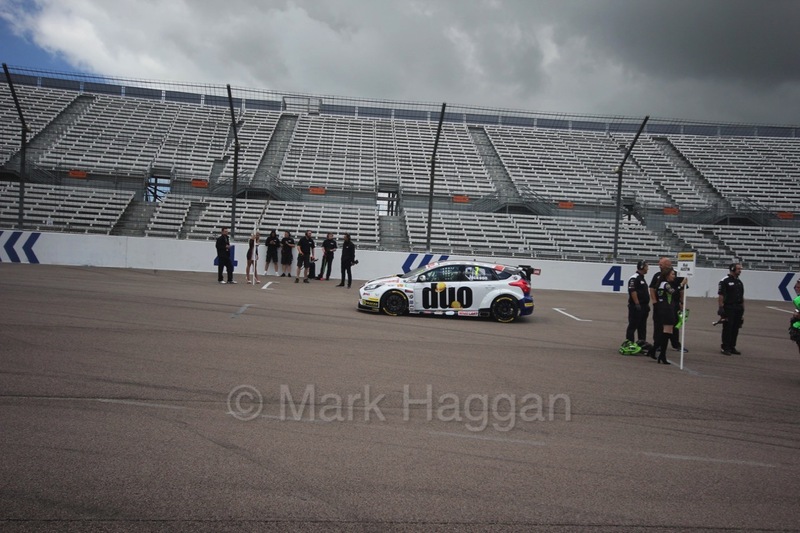 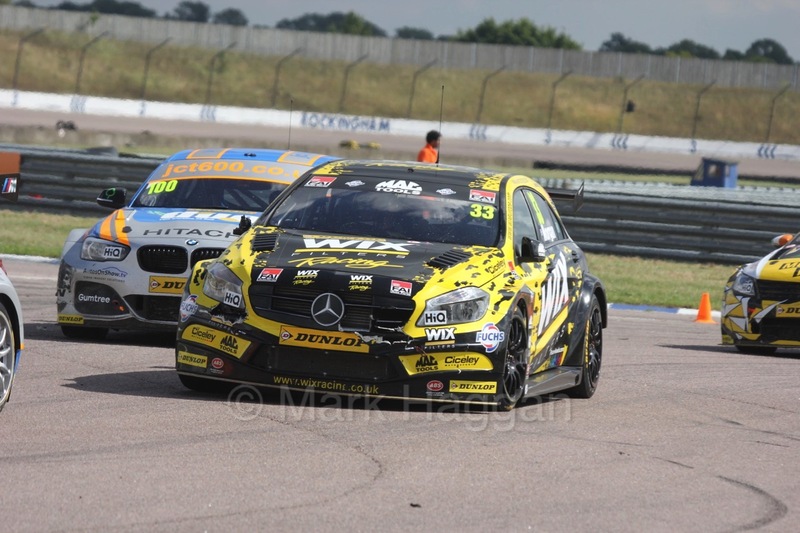 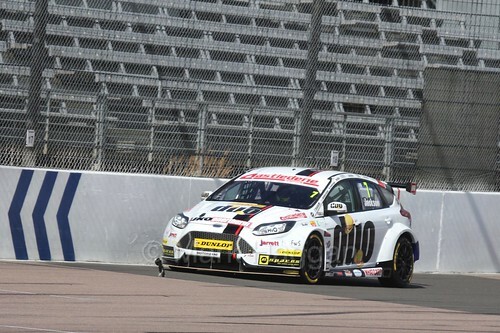 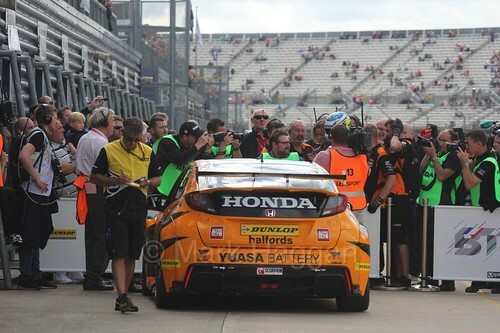 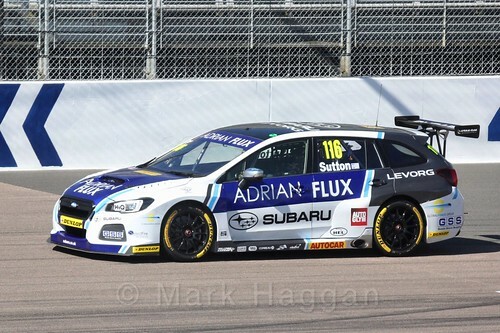 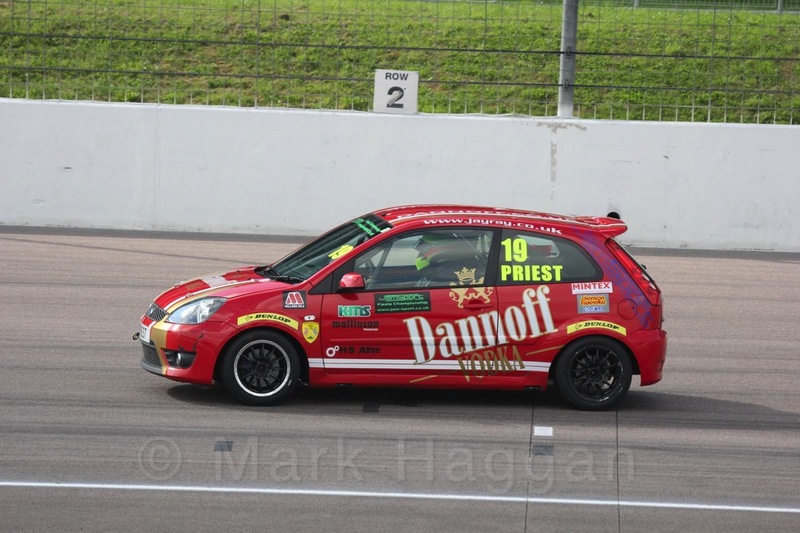 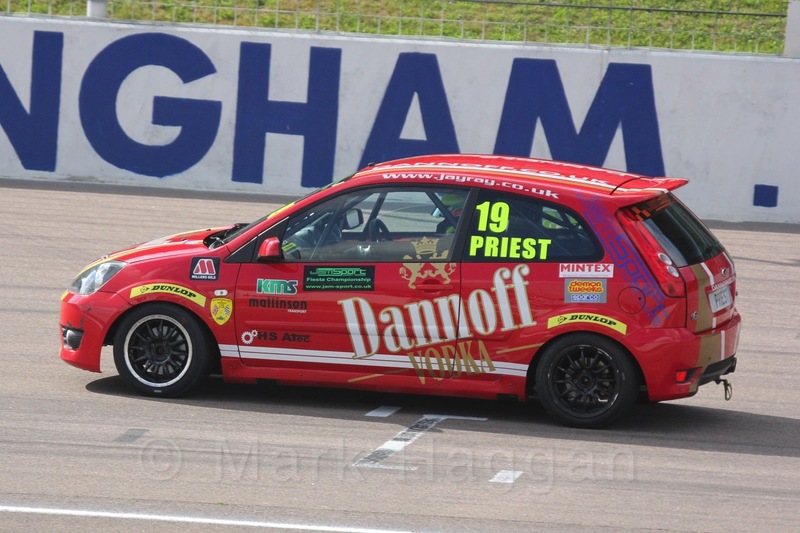 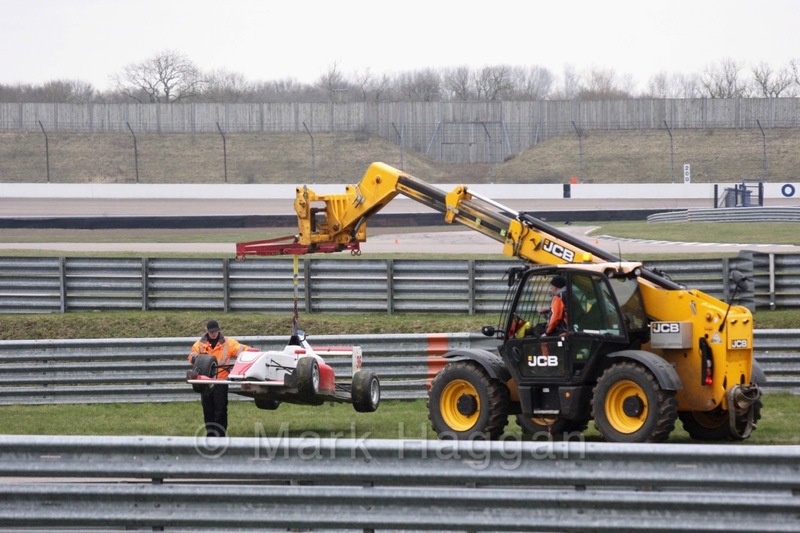 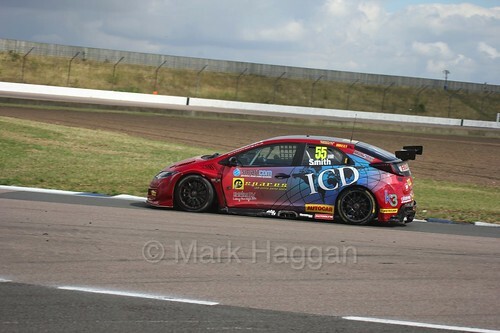 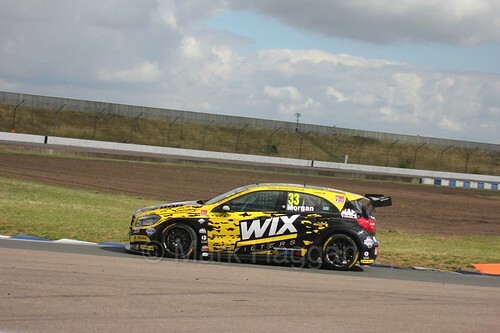 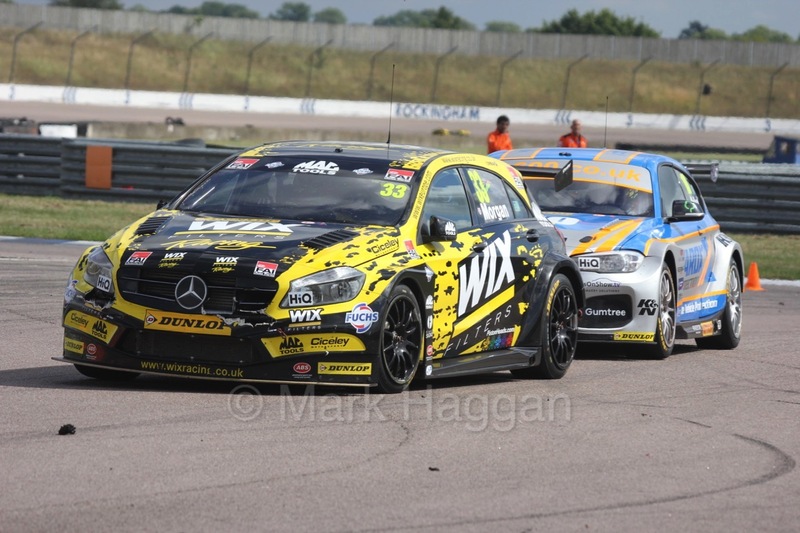 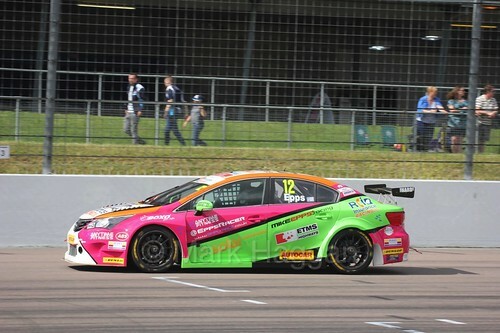 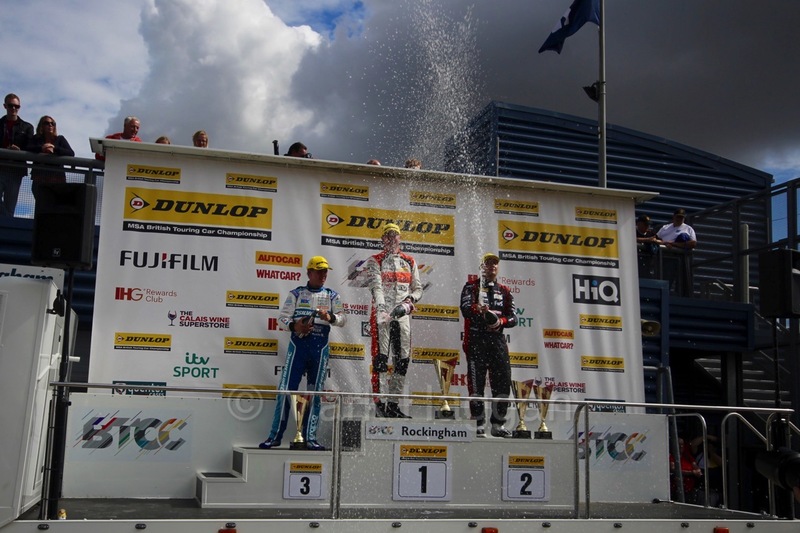 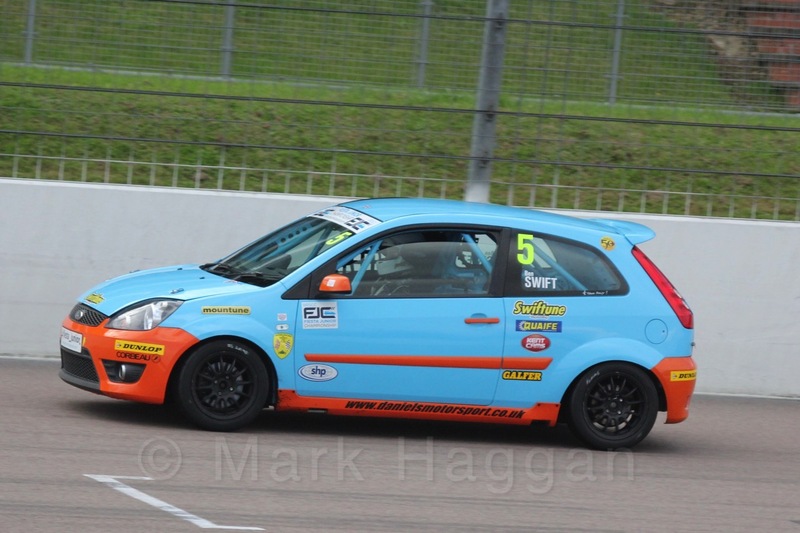 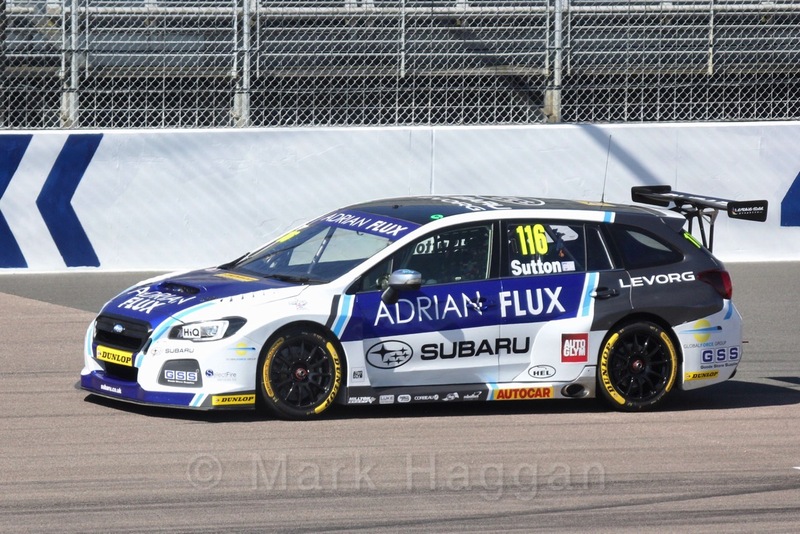 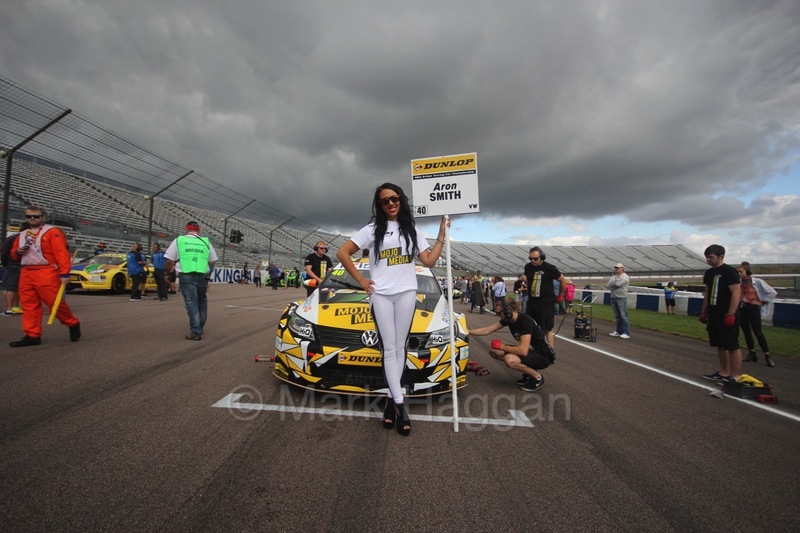 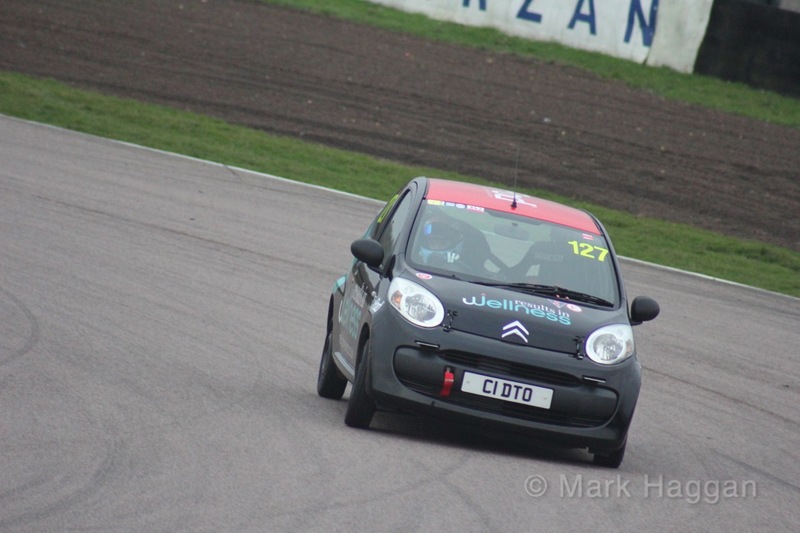 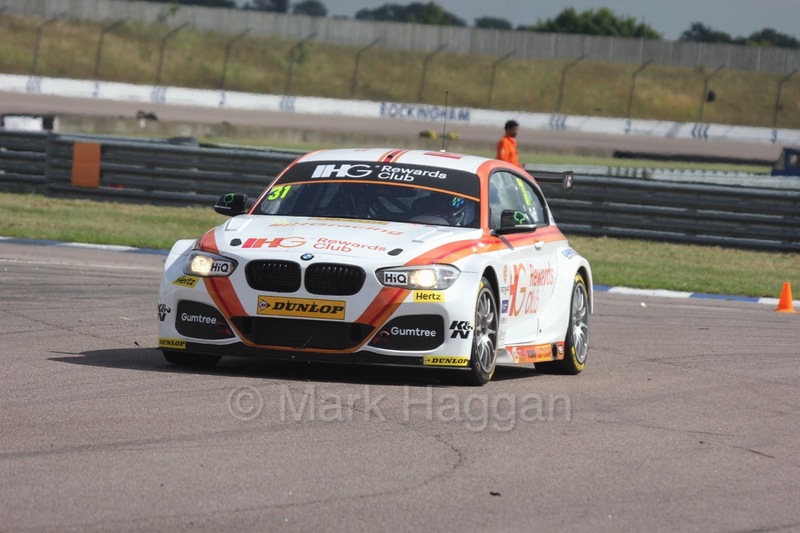 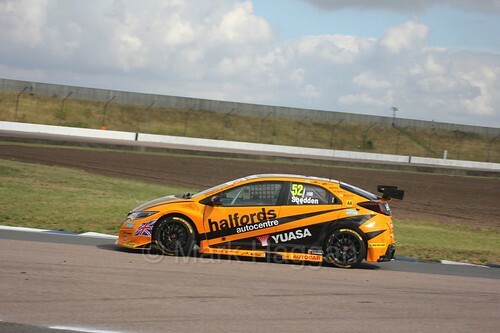 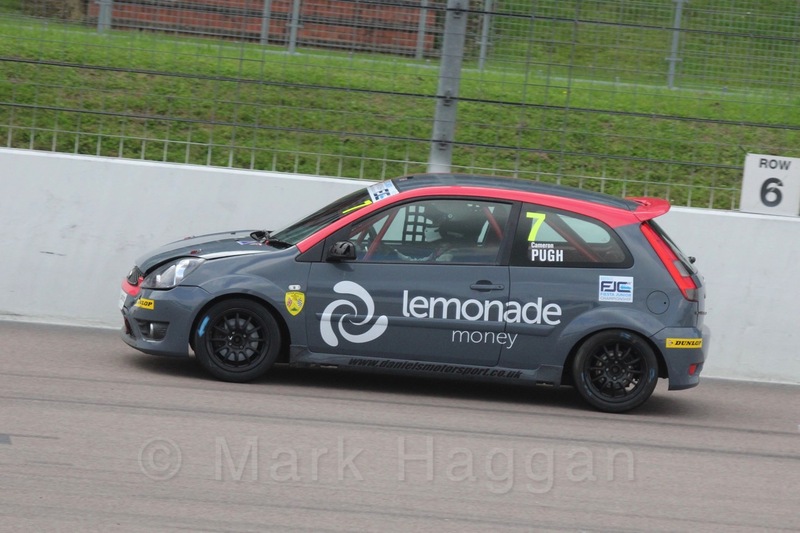 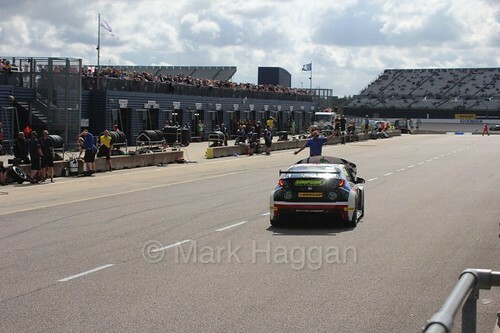 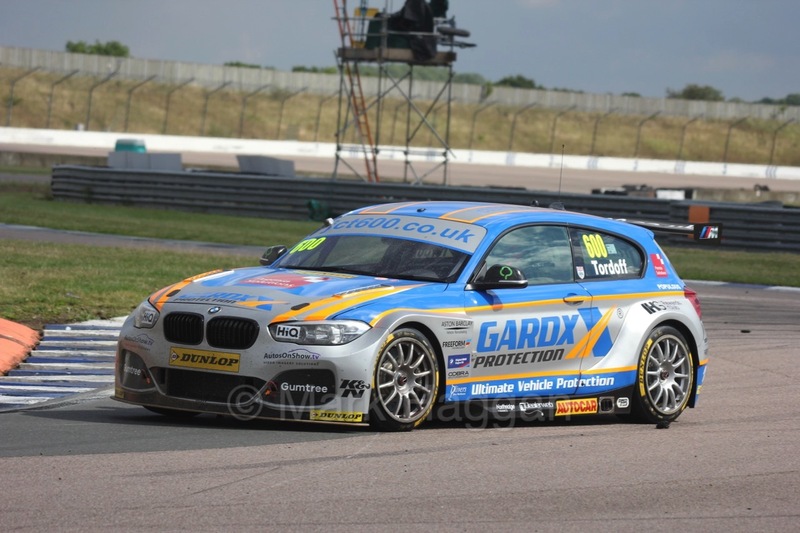 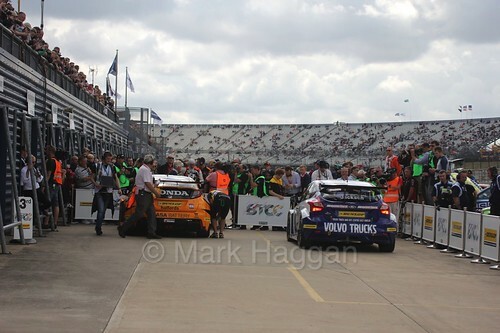 In 2018, it was announced the the circuit would cease to be a race track and would instead become a logistics hub for the UK car industry, and on the 24th November, the final race event was held at Rockingham. There were various cars from various series there, racing against each other, with plenty of people on hand to say goodbye to the circuit. 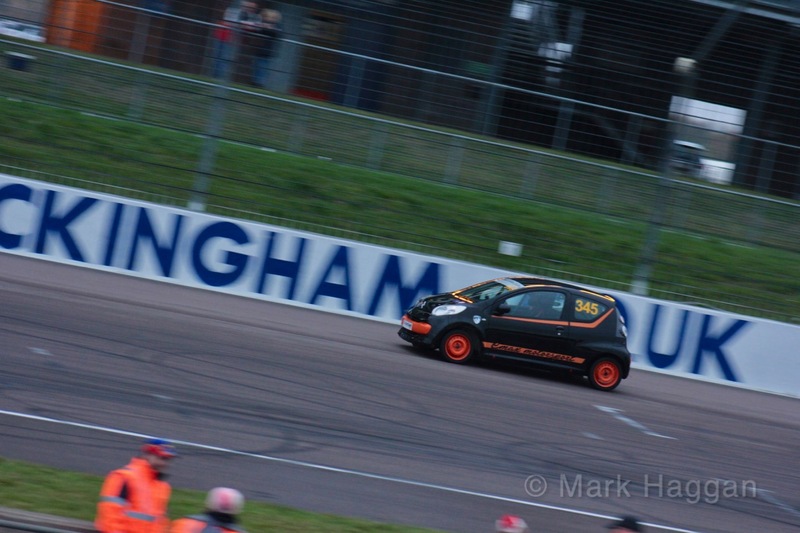 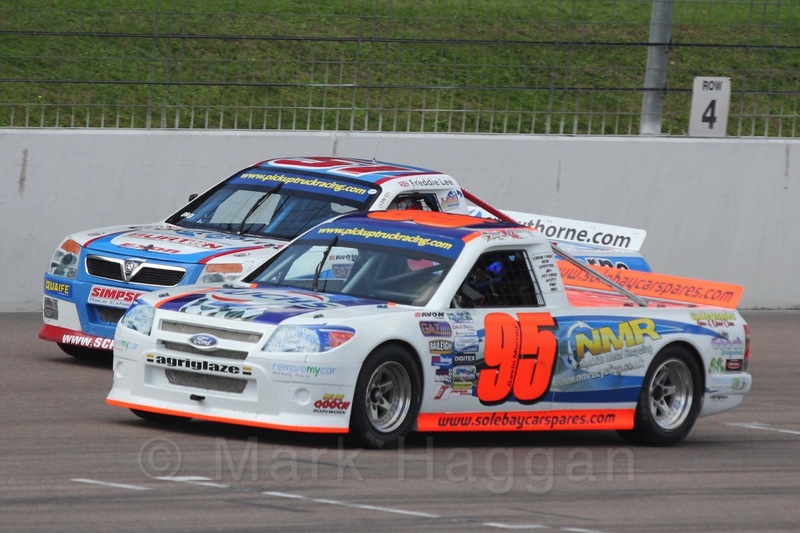 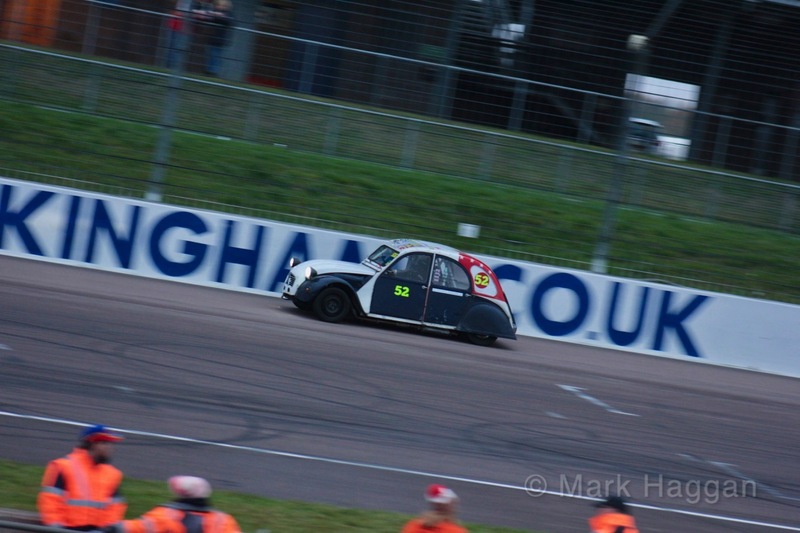 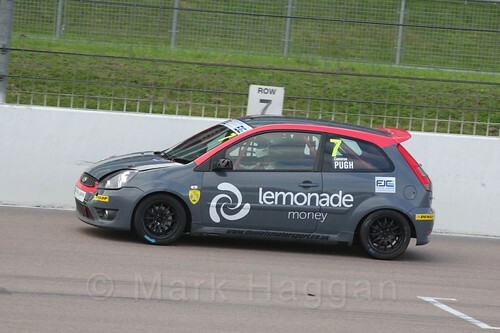 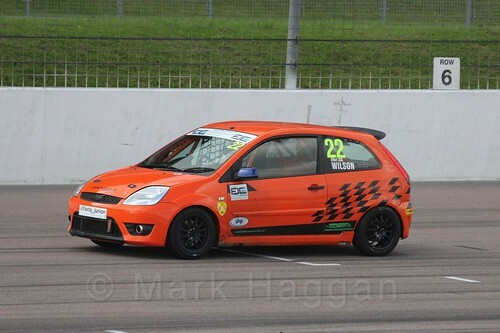 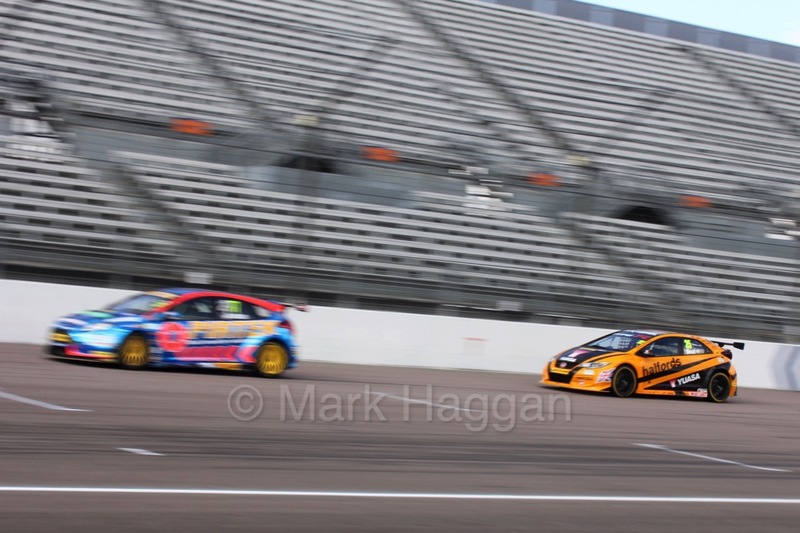 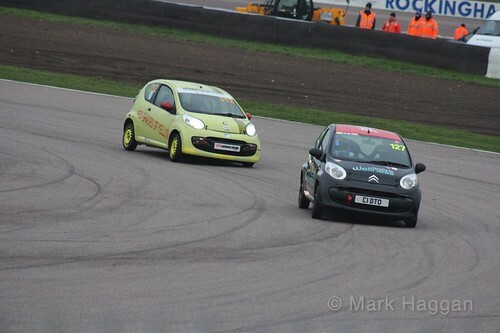 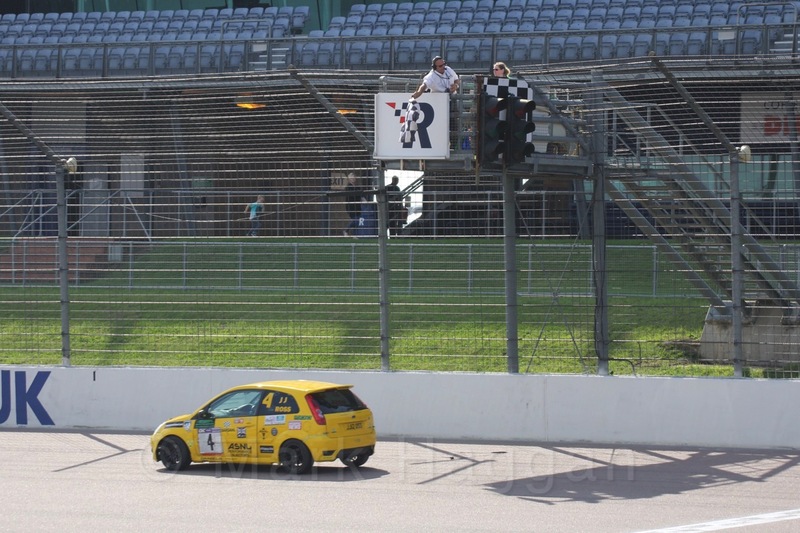 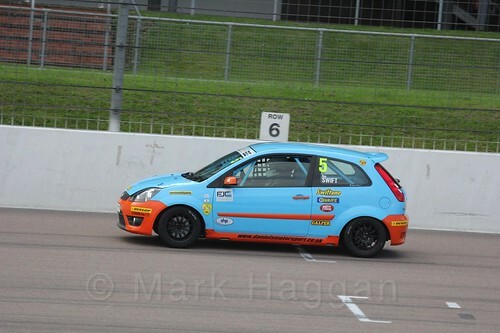 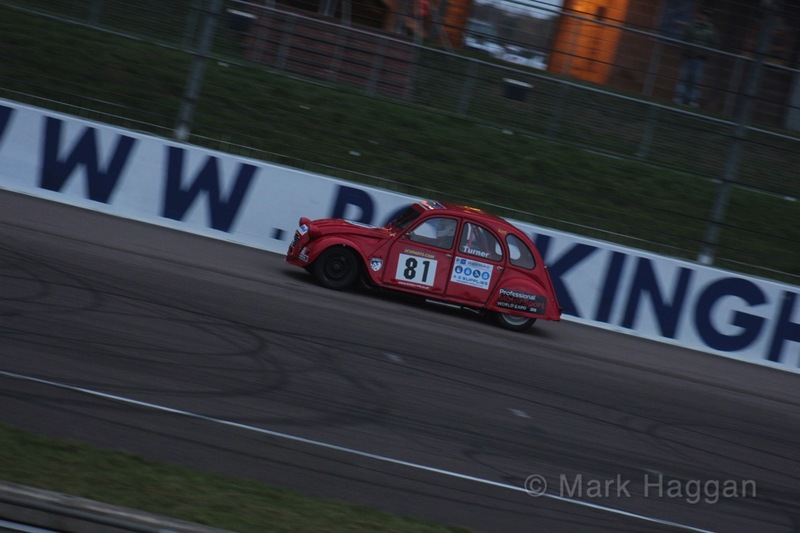 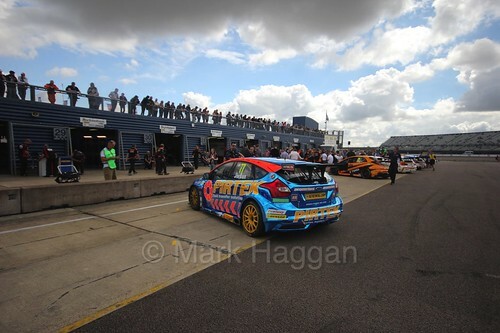 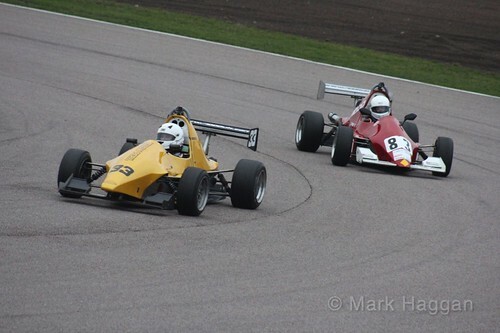 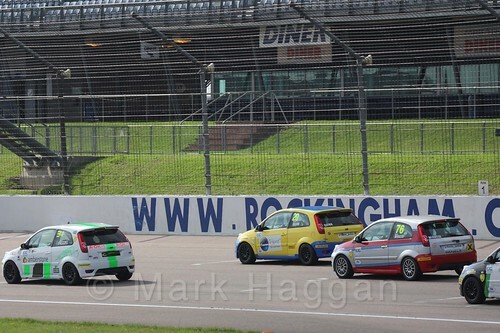 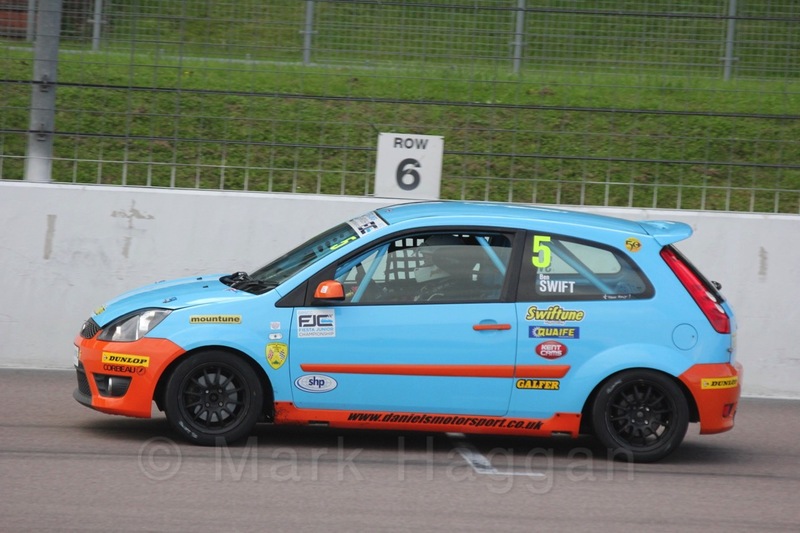 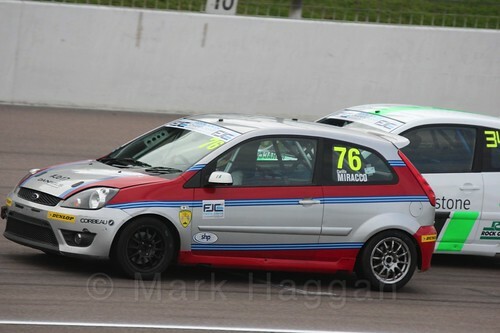 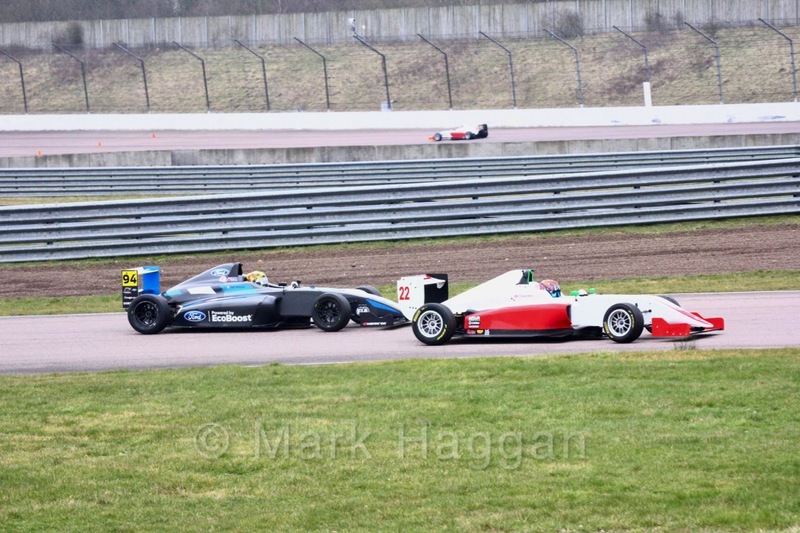 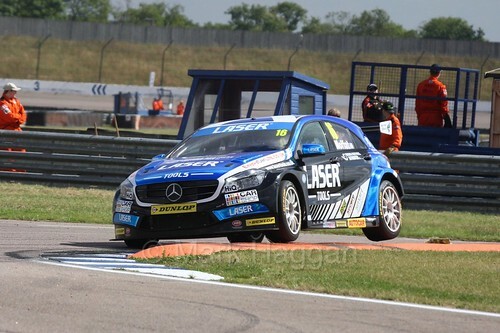 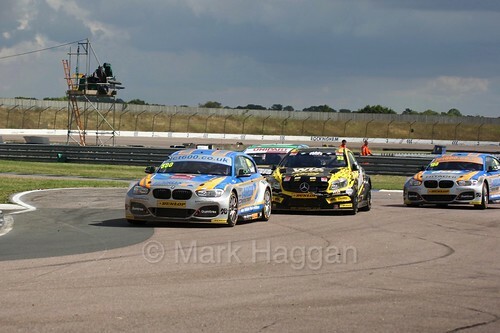 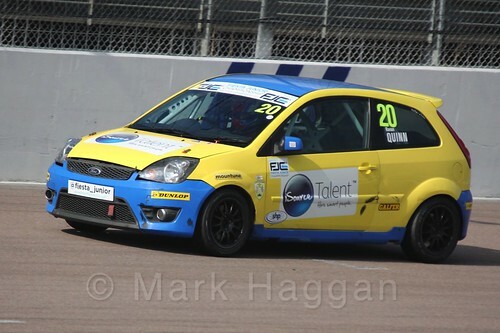 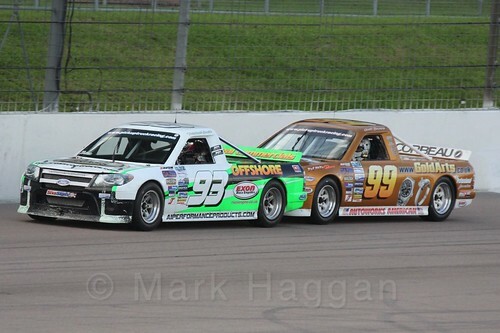 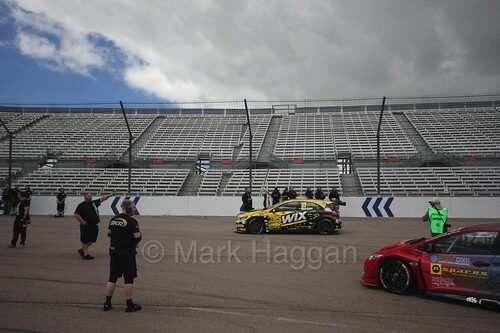 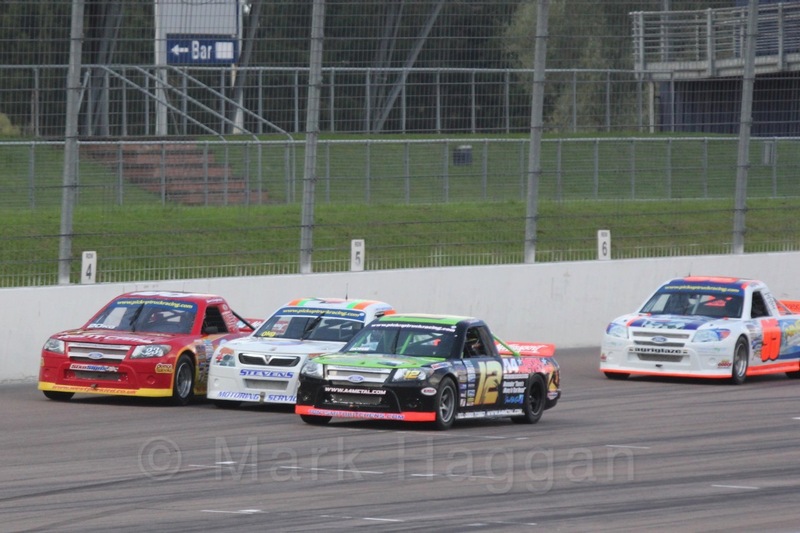 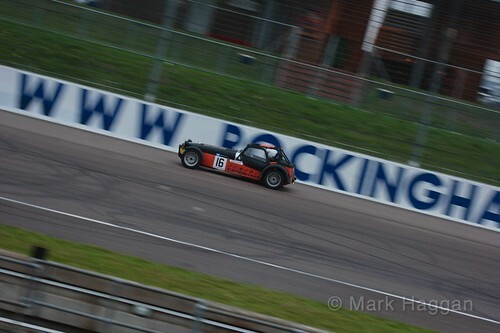 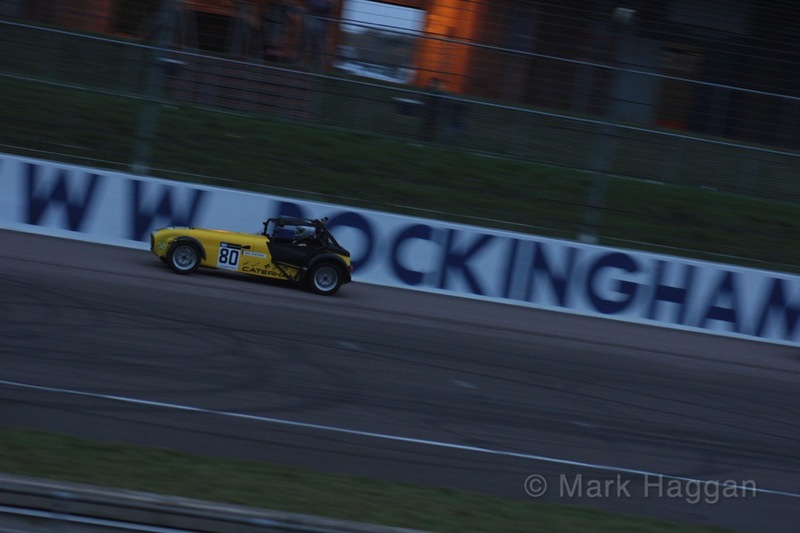 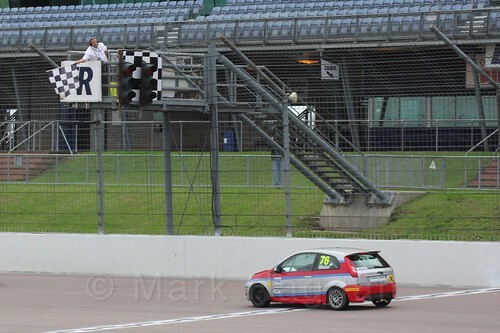 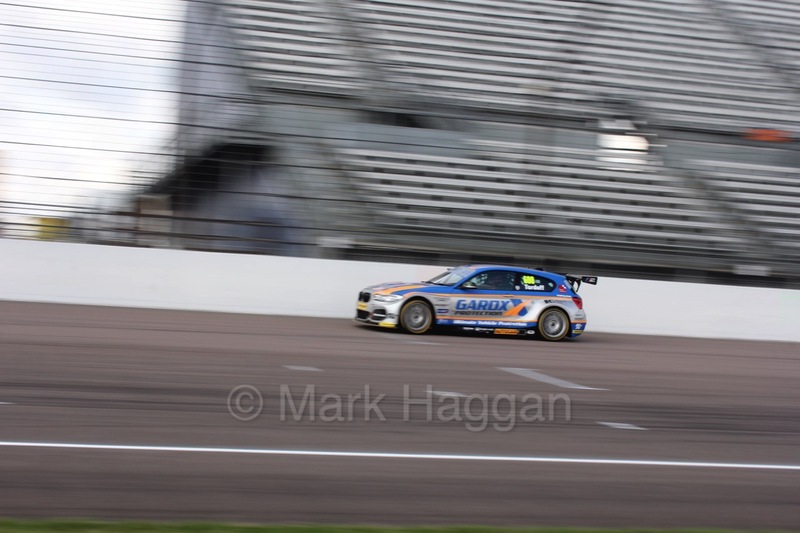 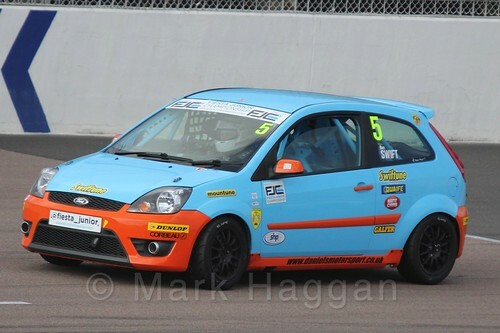 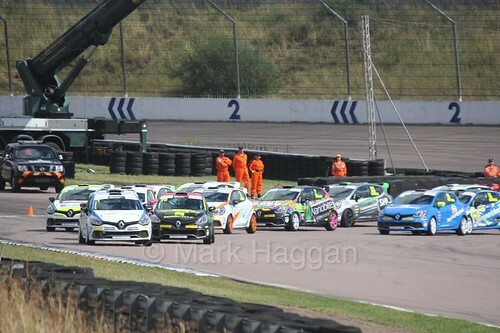 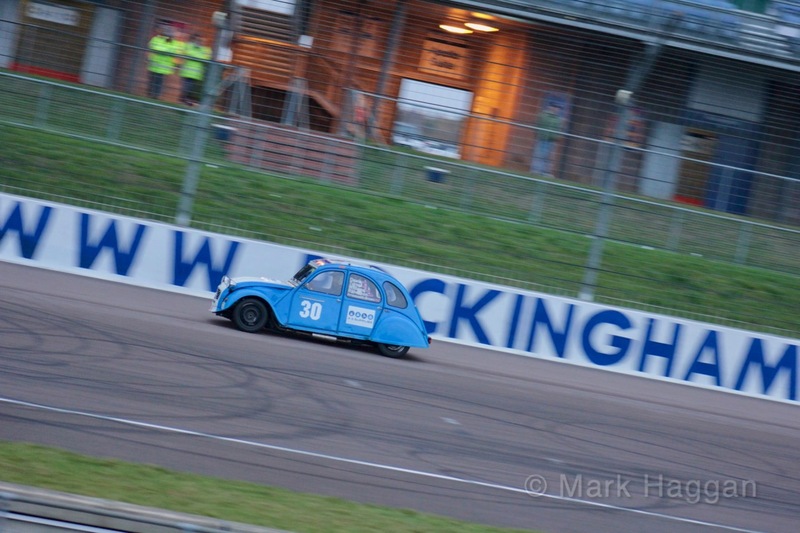 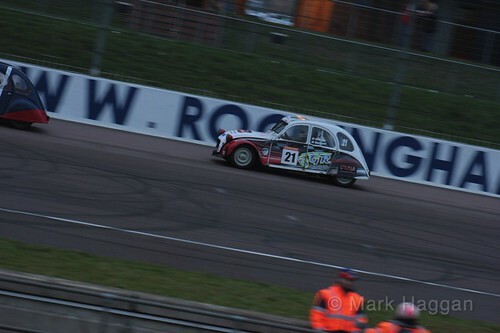 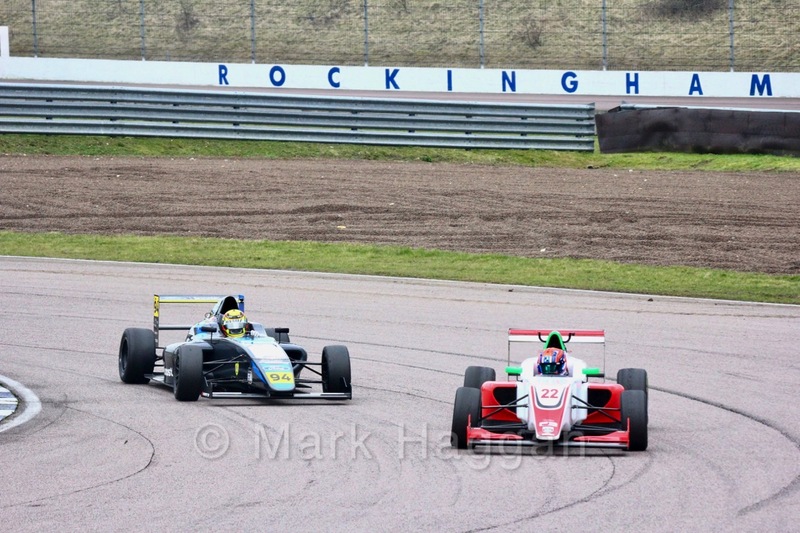 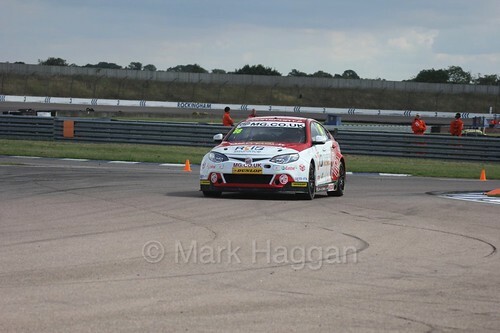 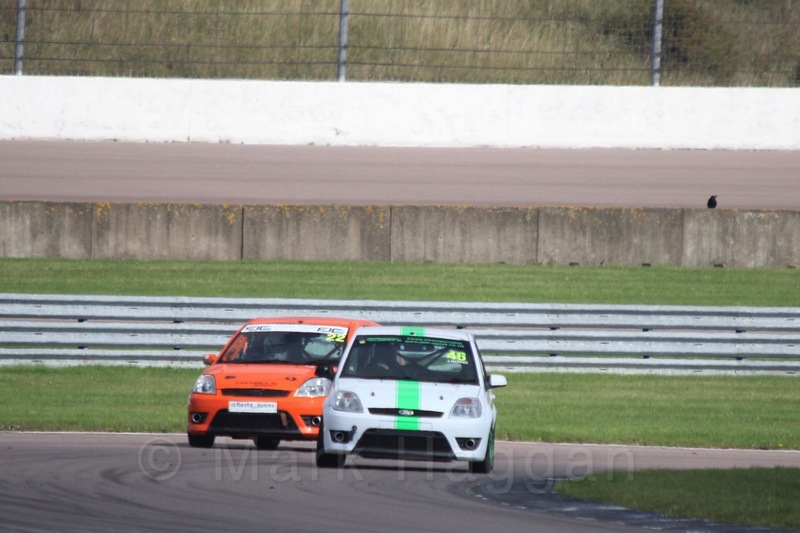 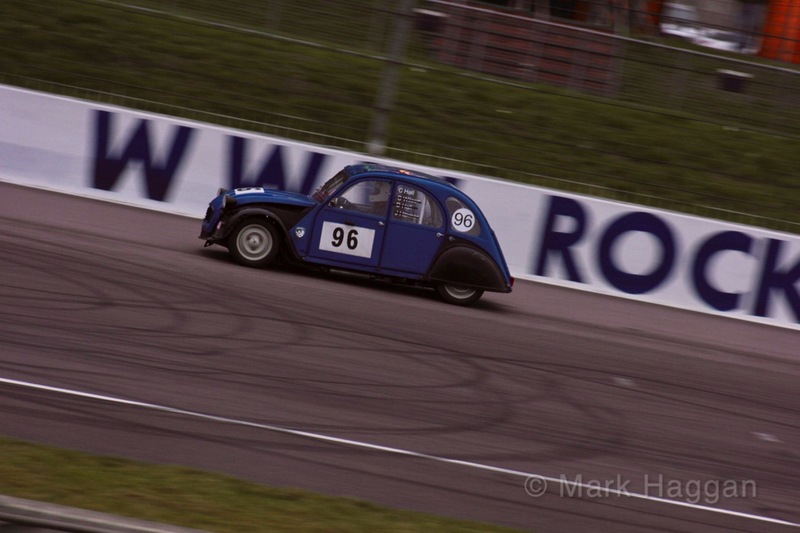 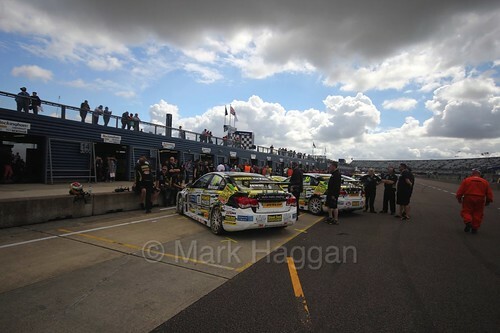 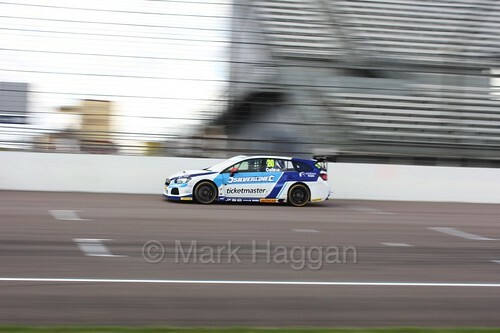 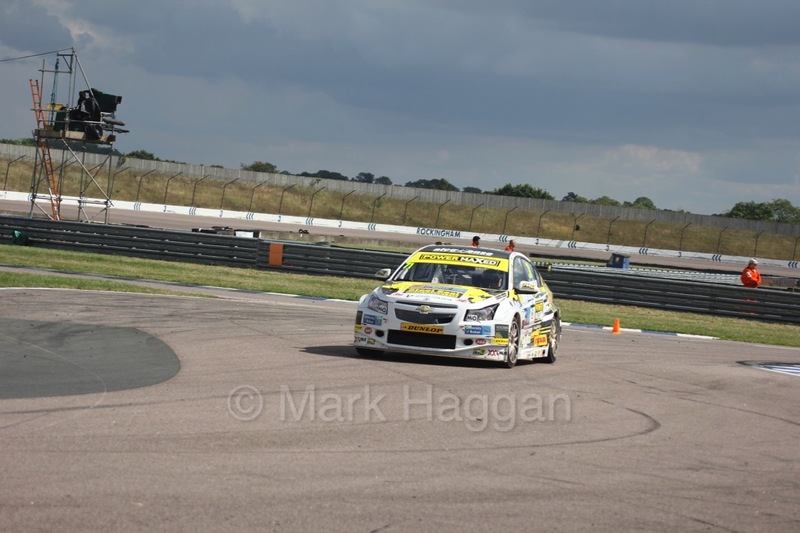 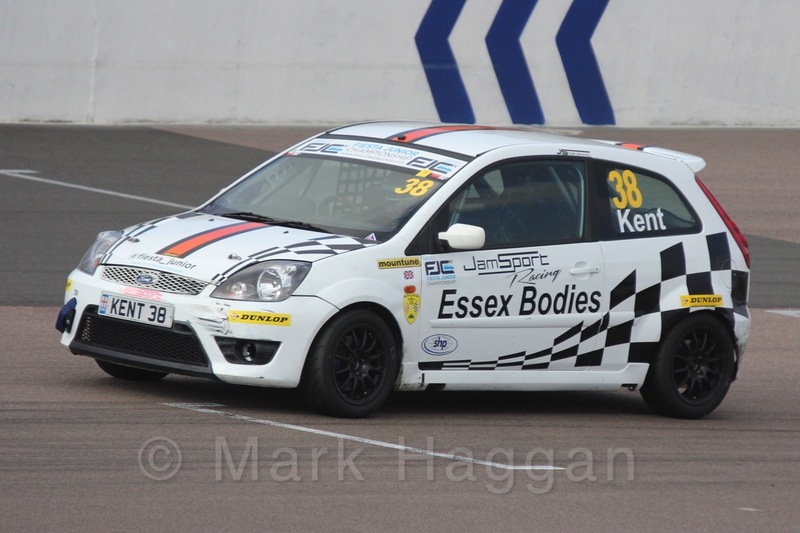 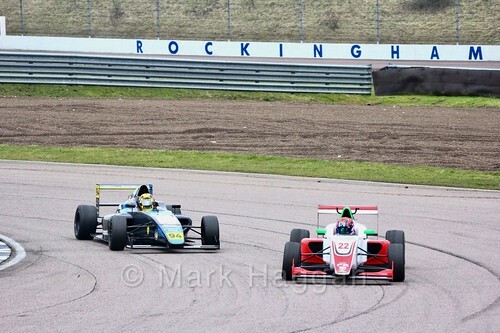 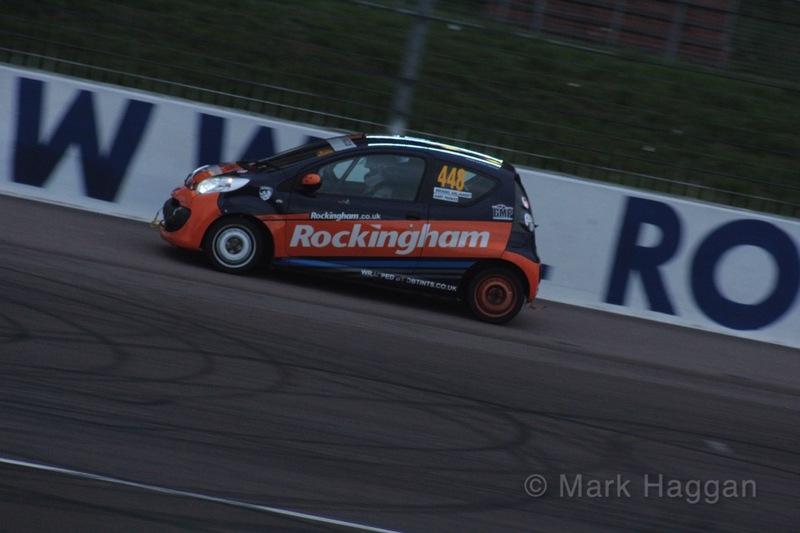 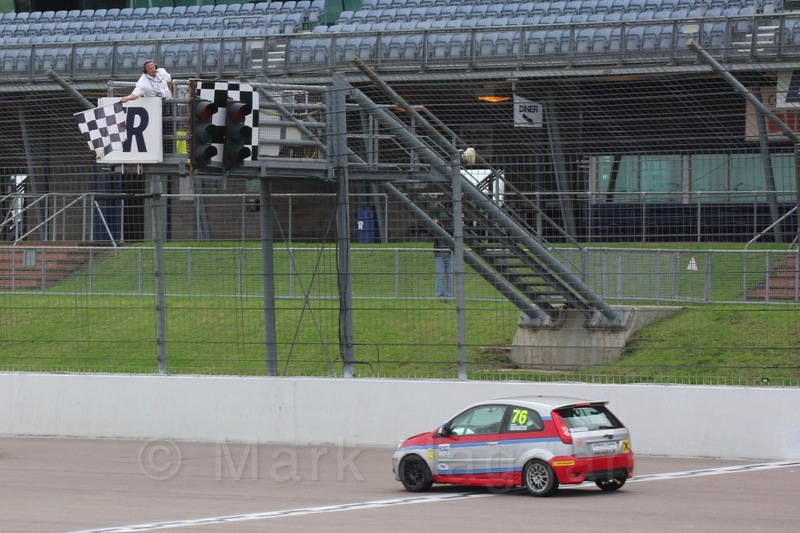 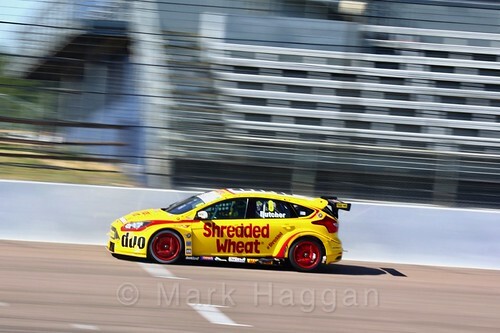 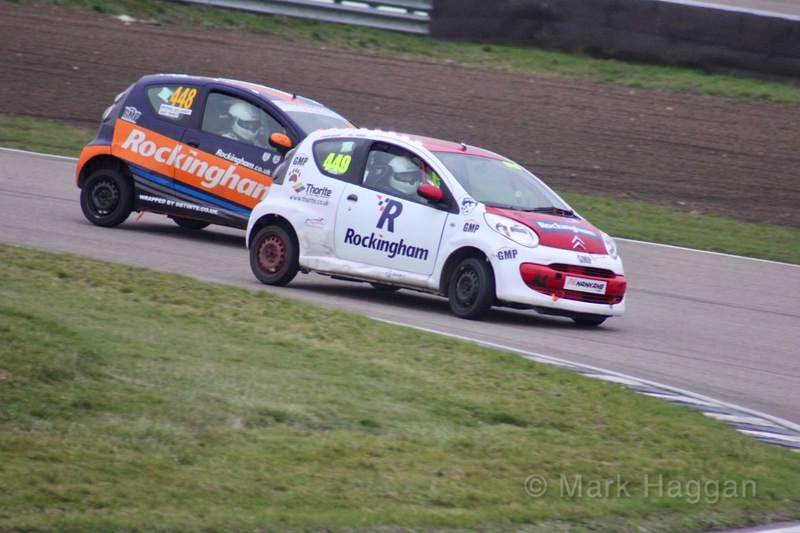 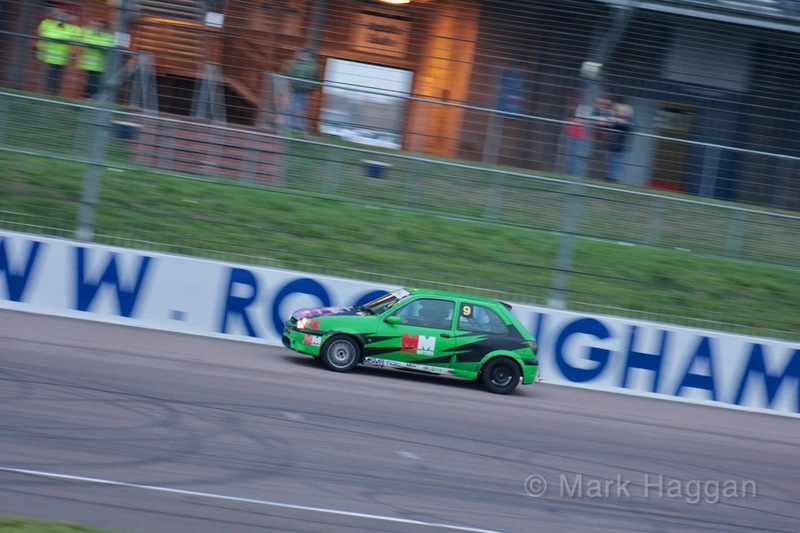 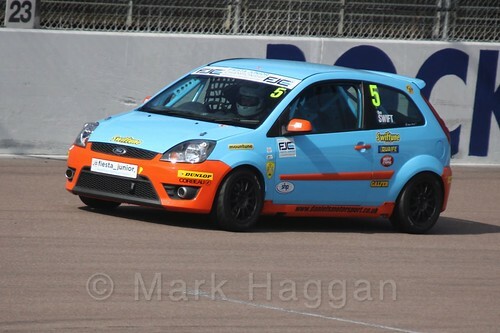 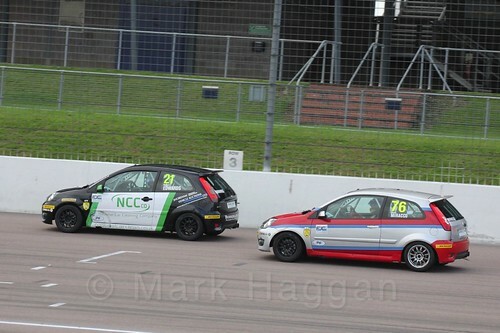 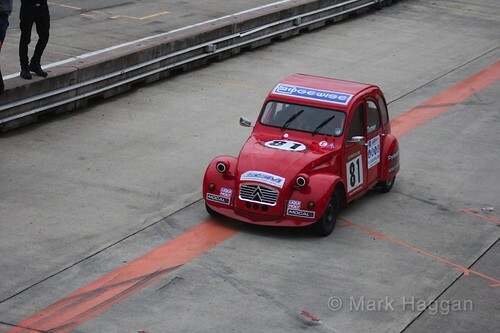 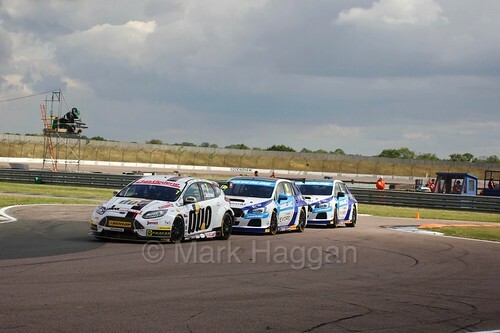 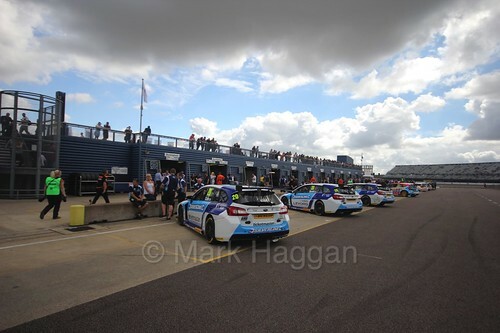 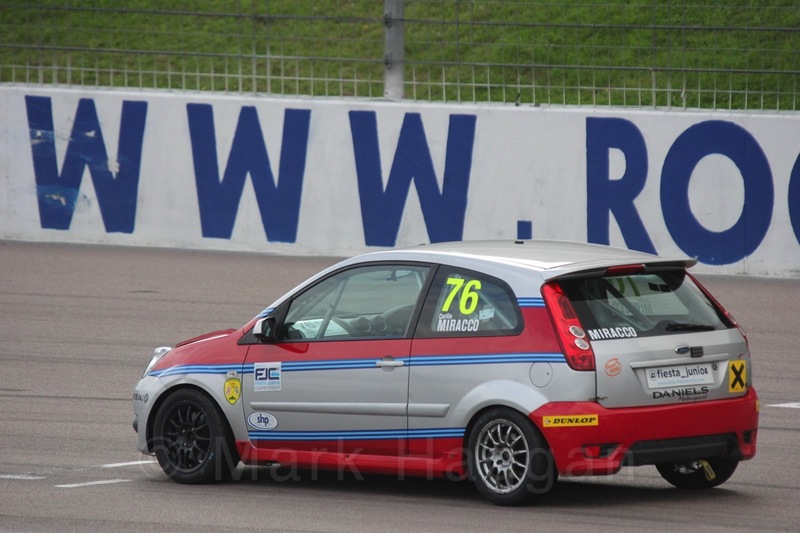 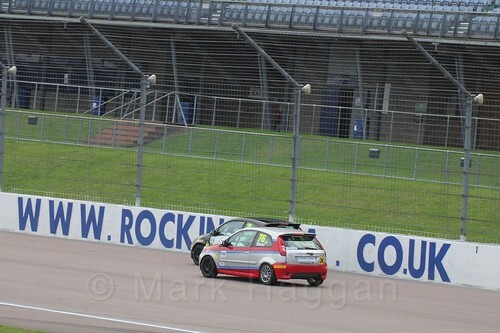 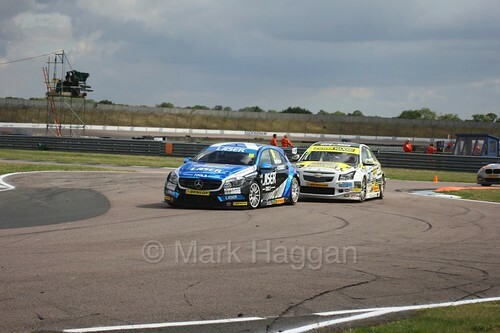 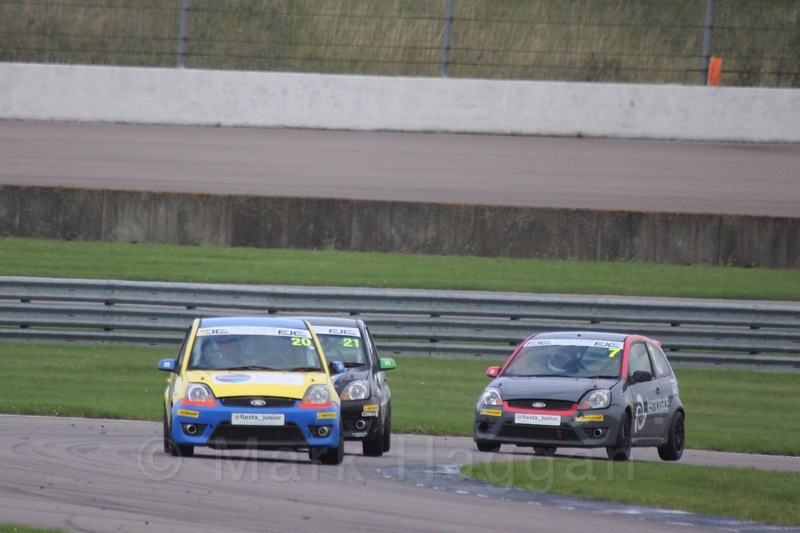 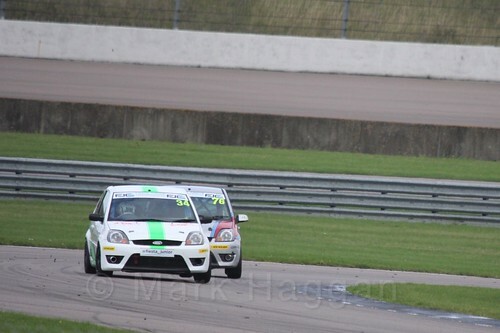 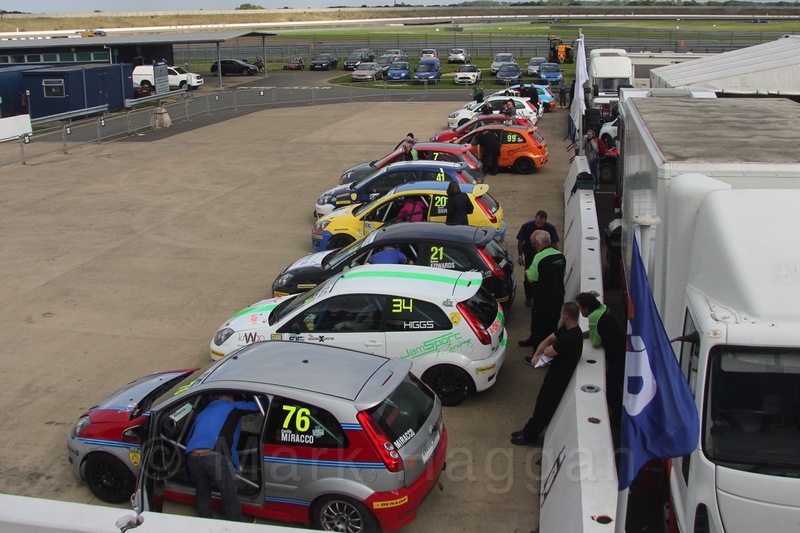 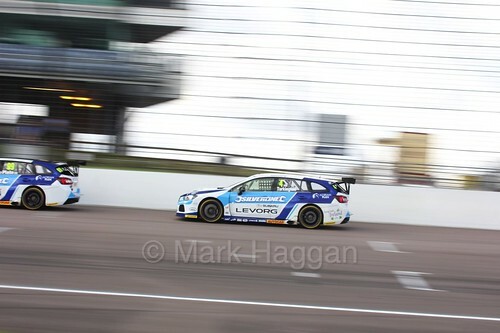 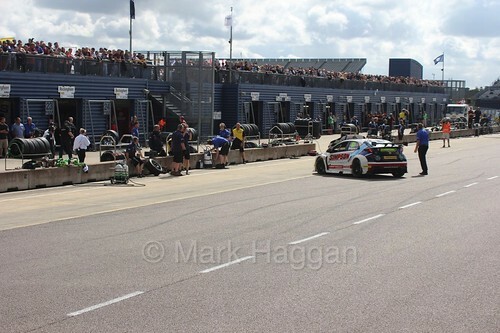 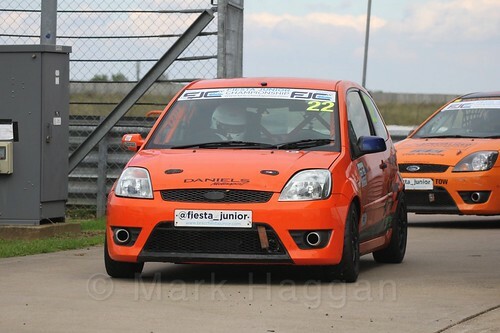 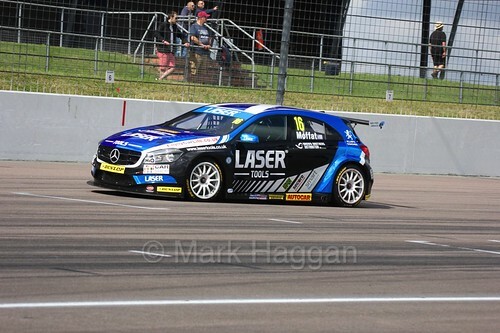 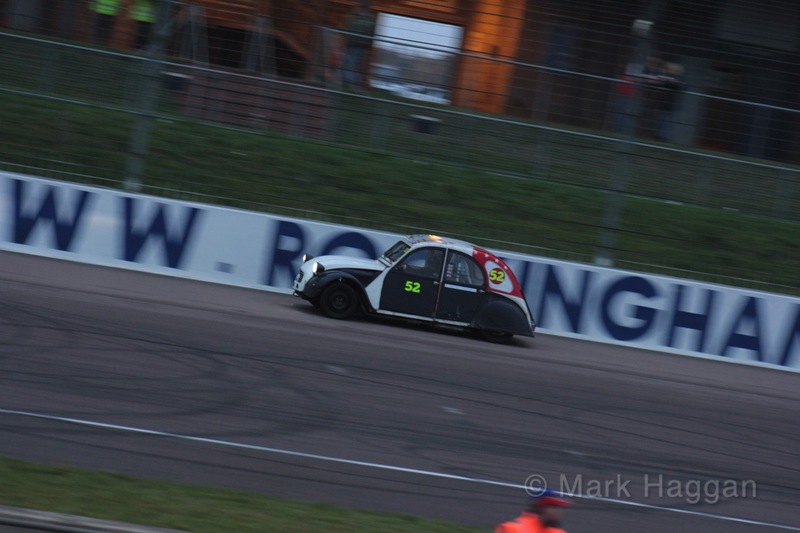 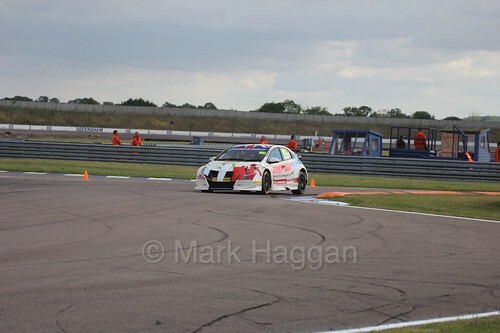 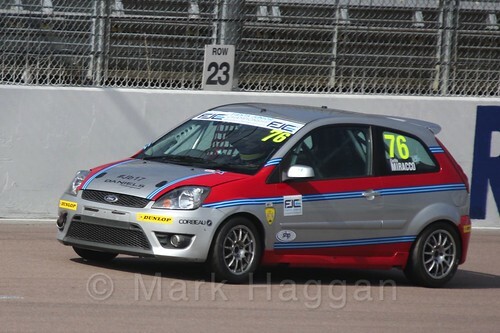 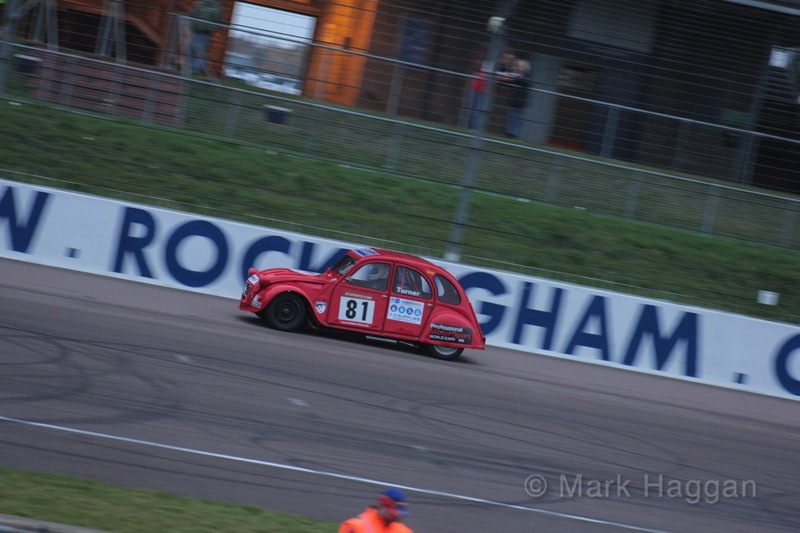 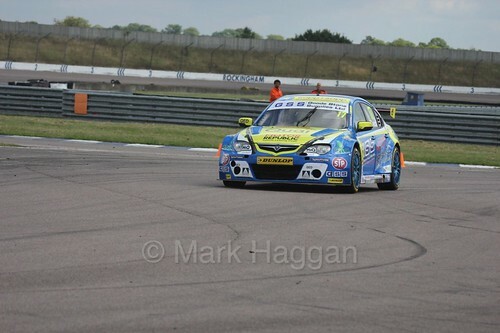 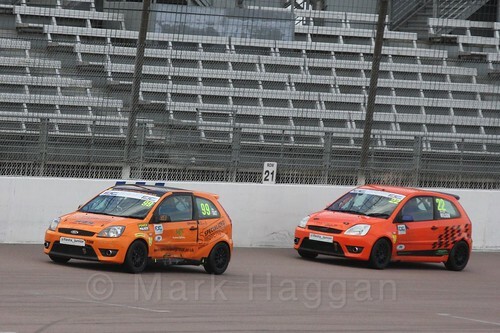 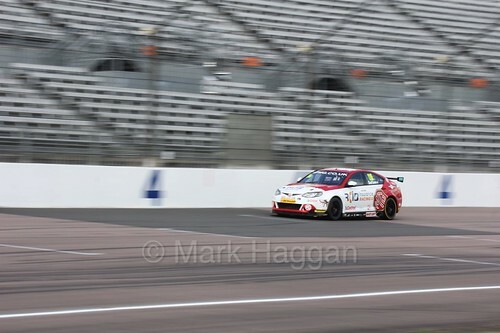 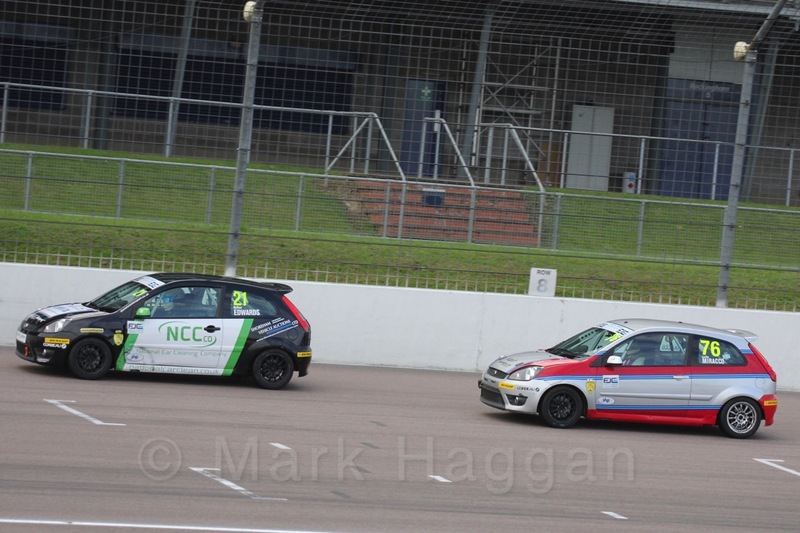 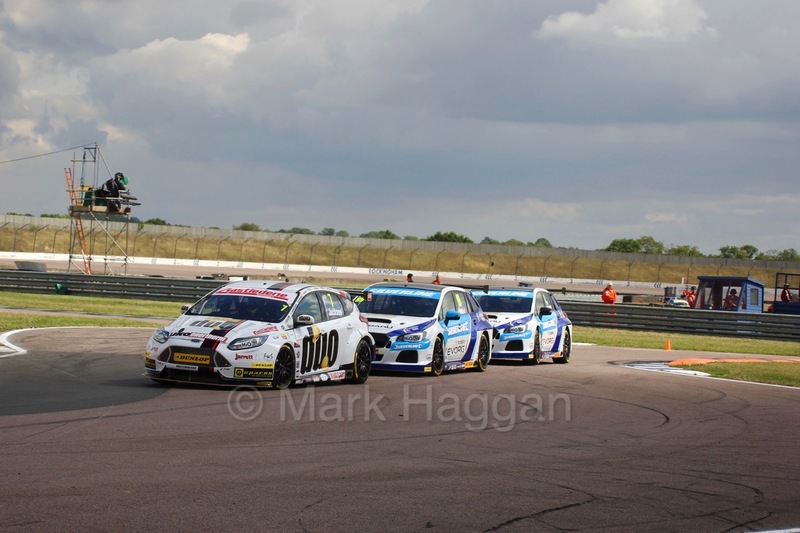 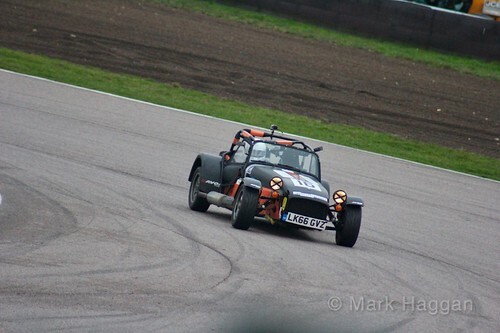 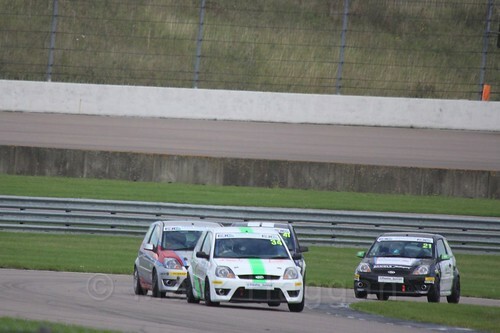 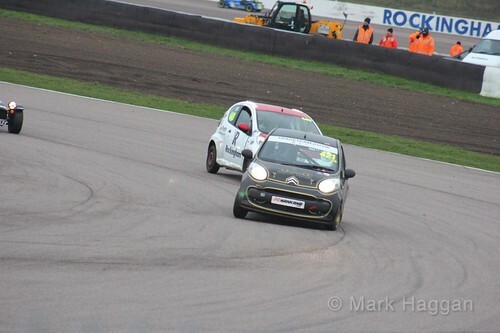 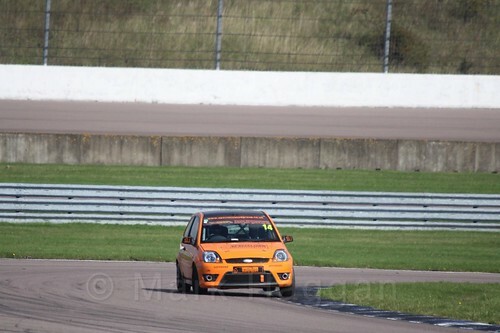 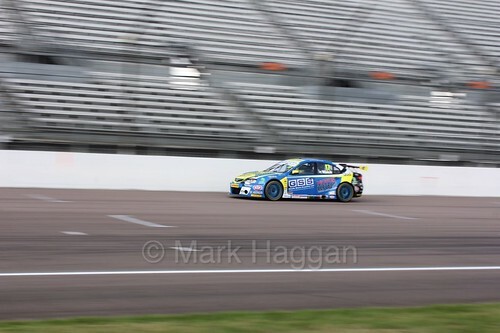 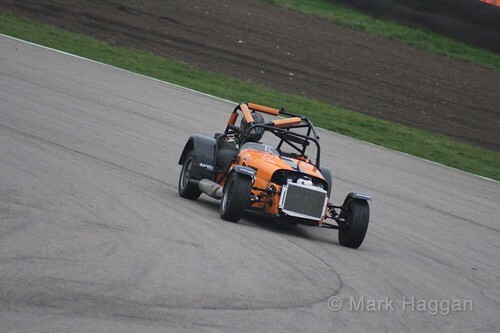 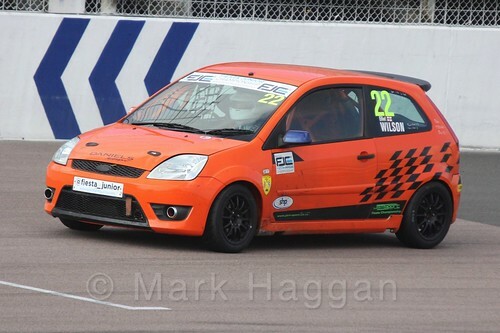 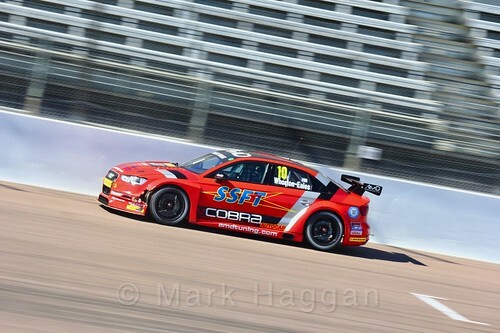 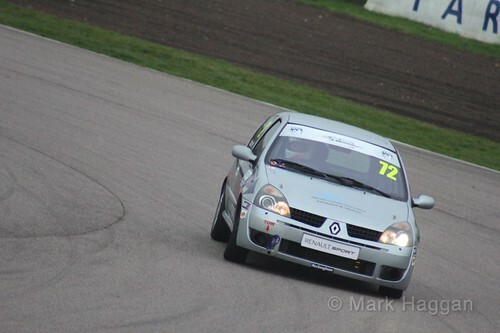 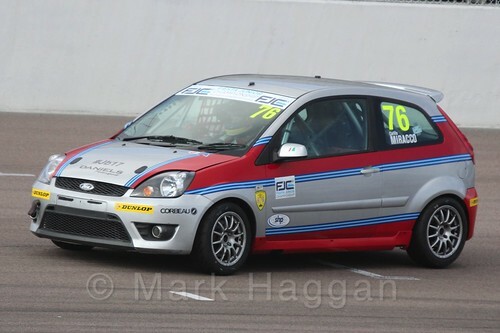 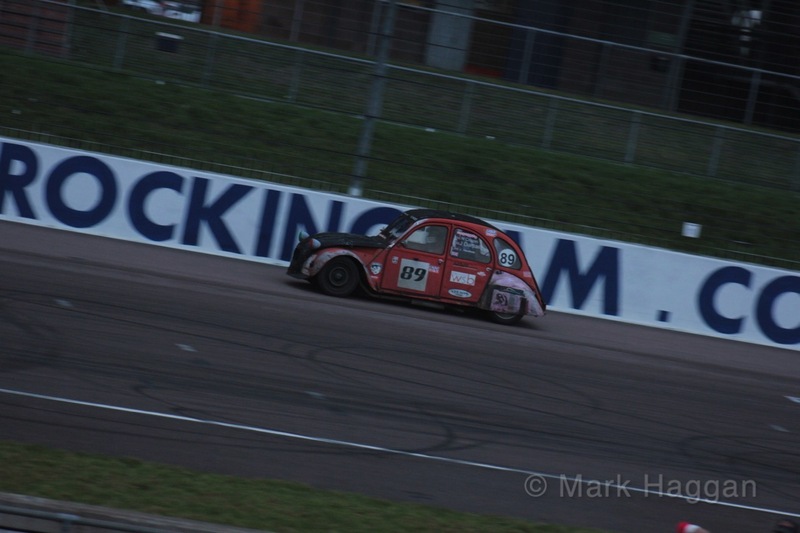 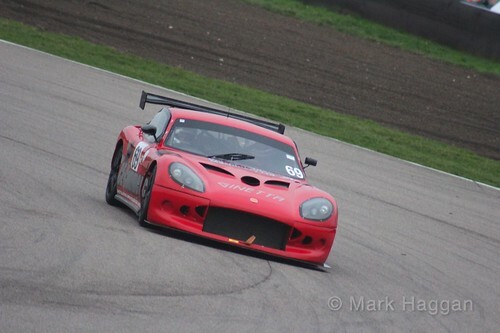 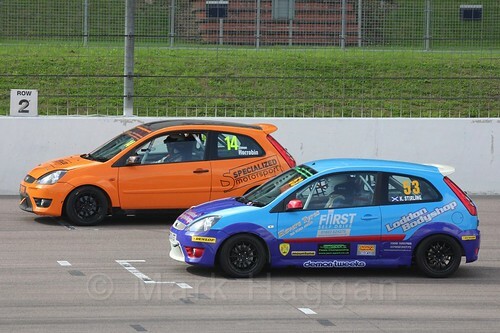 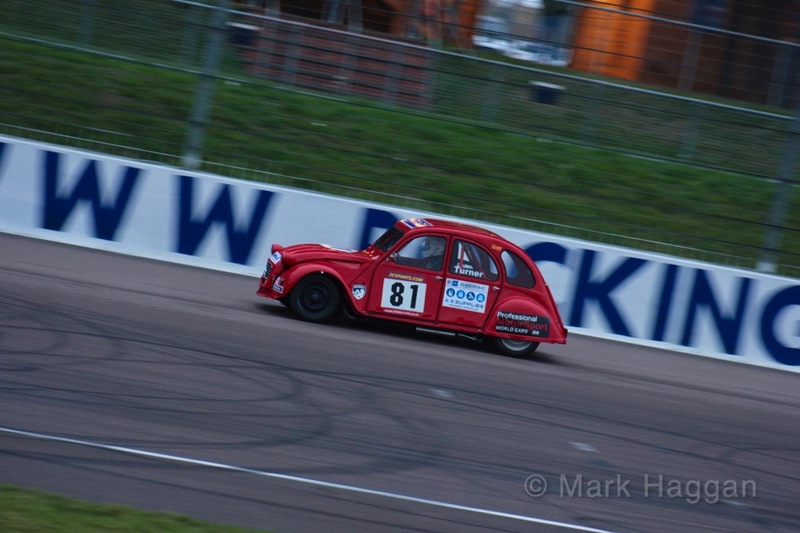 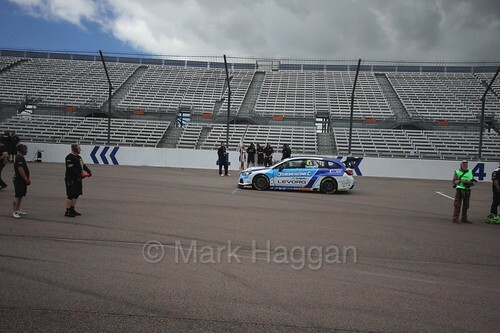 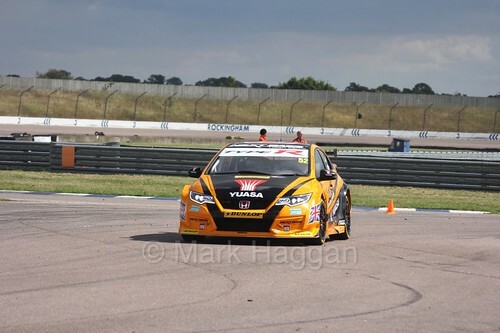 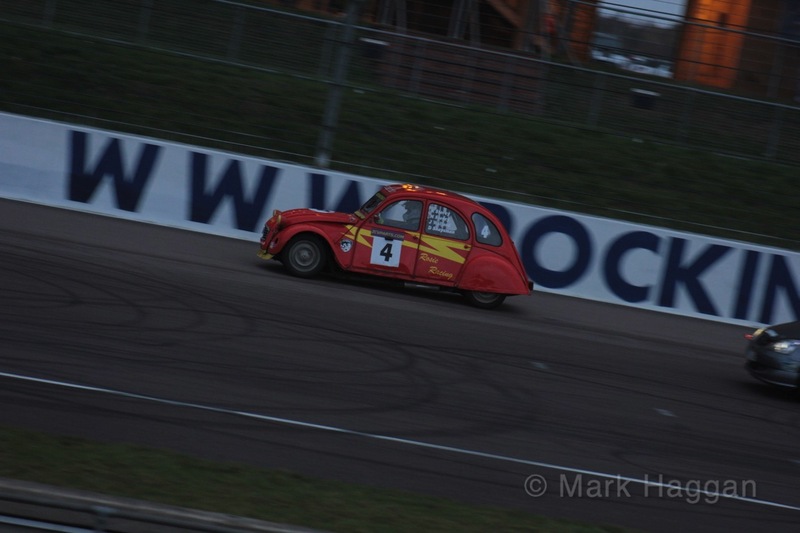 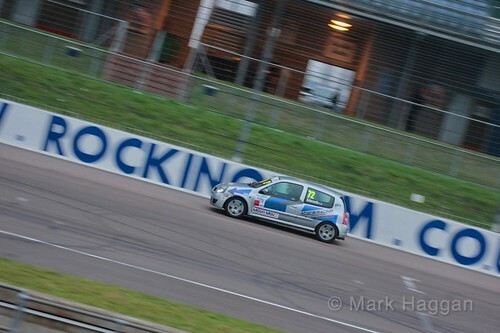 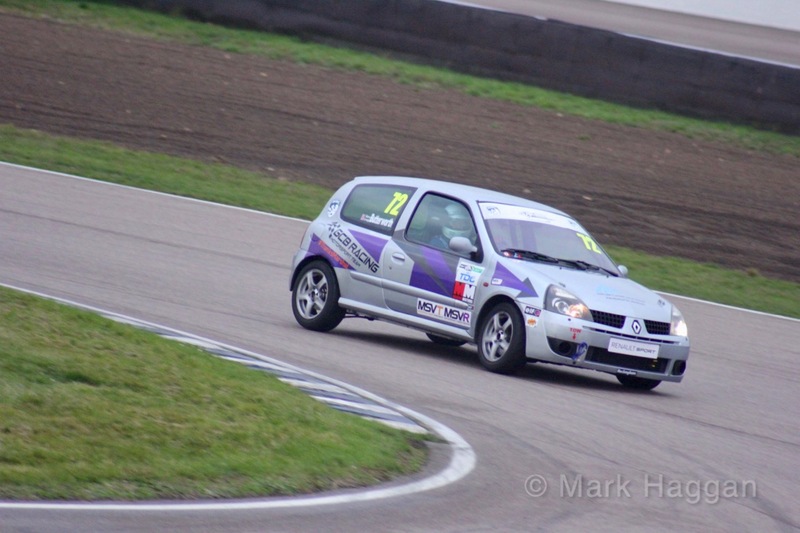 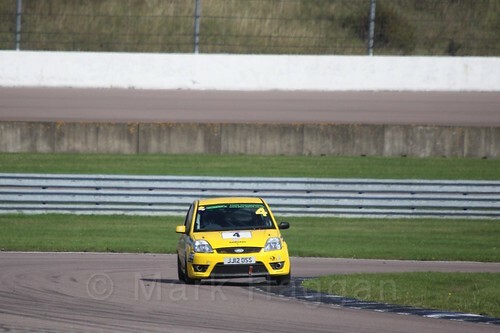 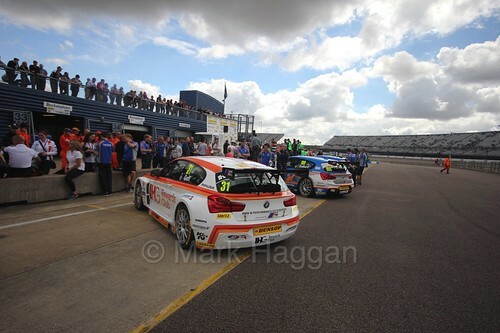 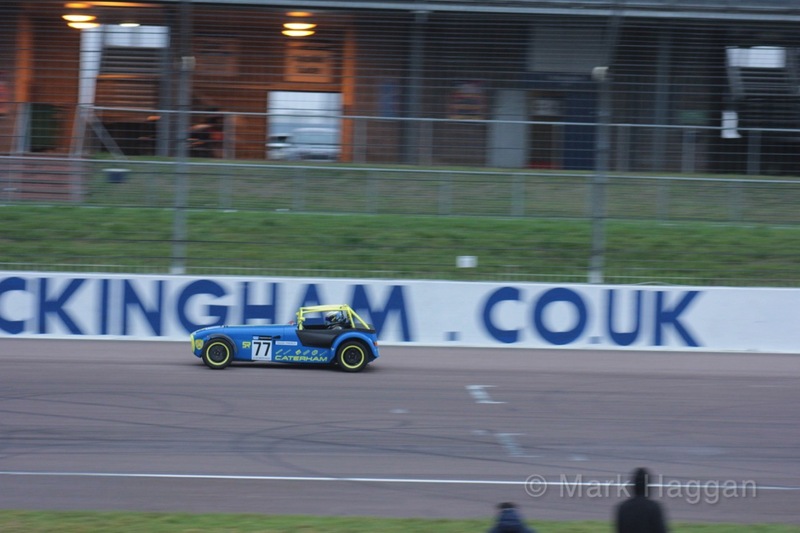 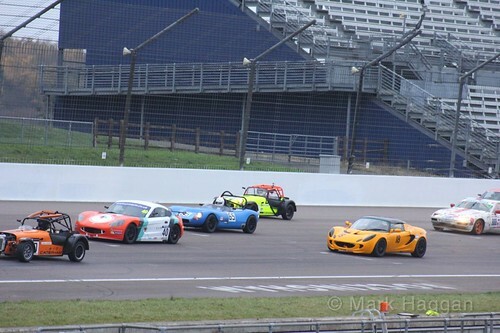 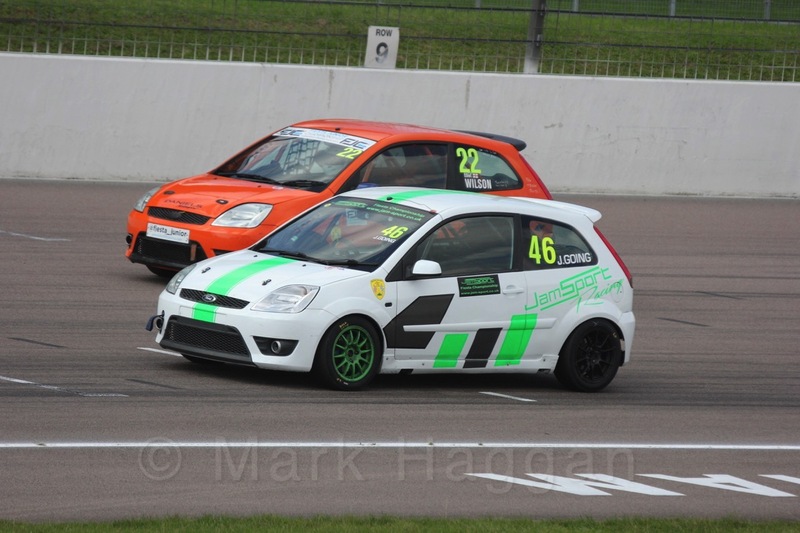 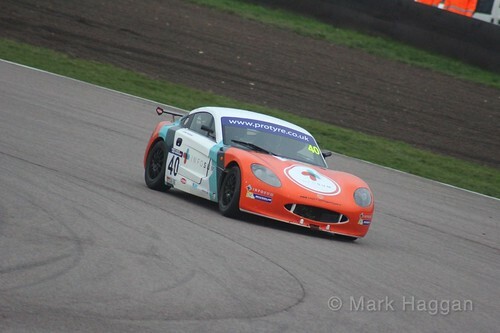 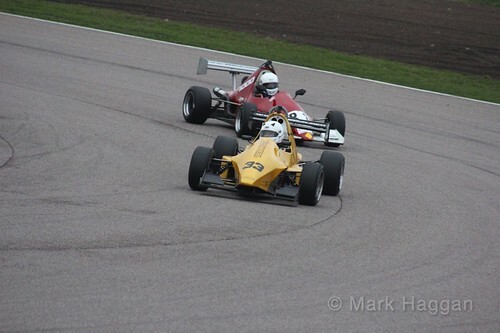 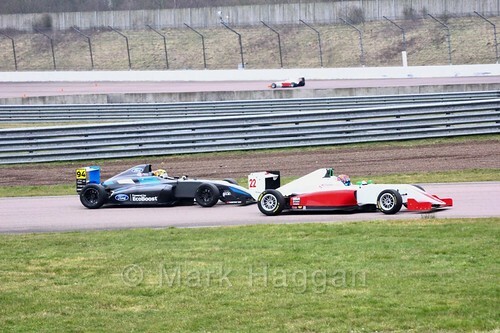 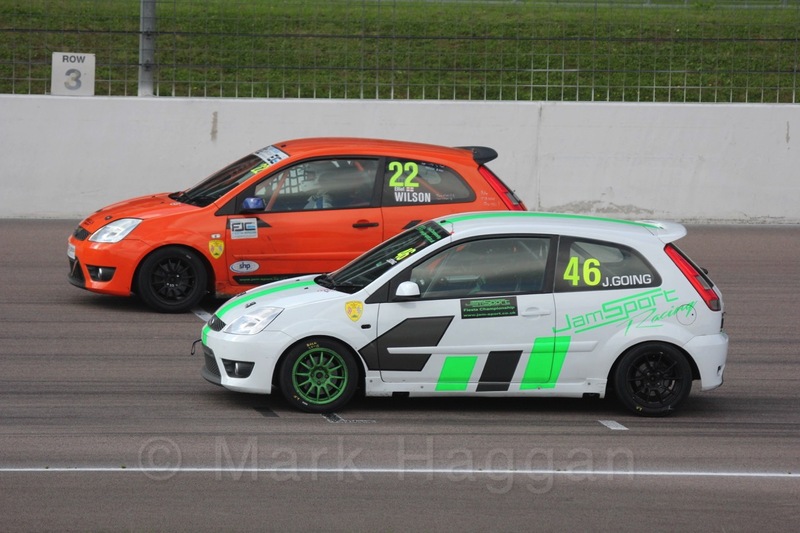 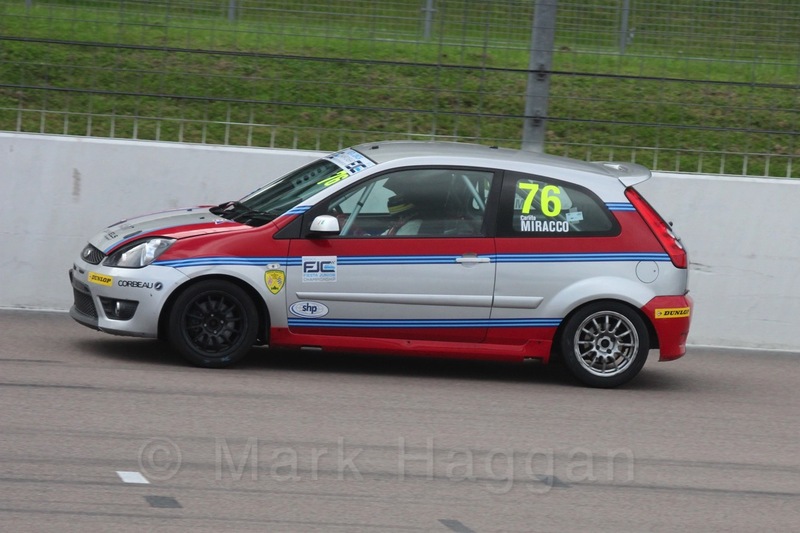 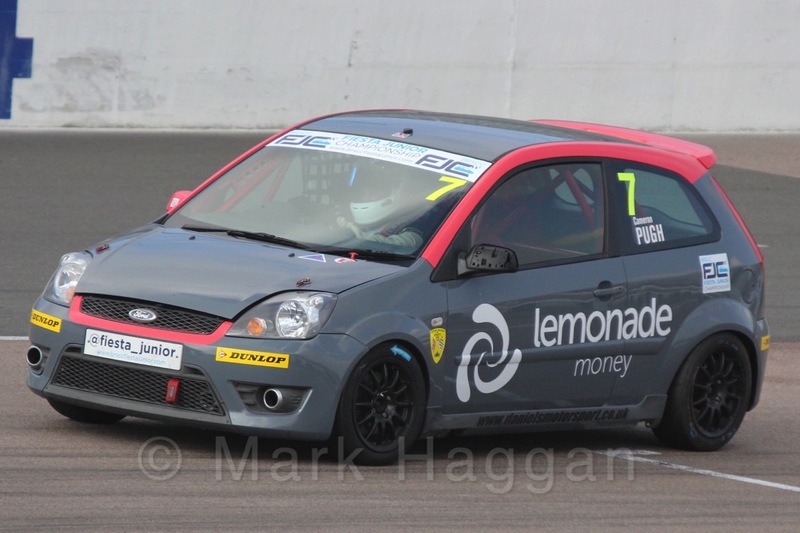 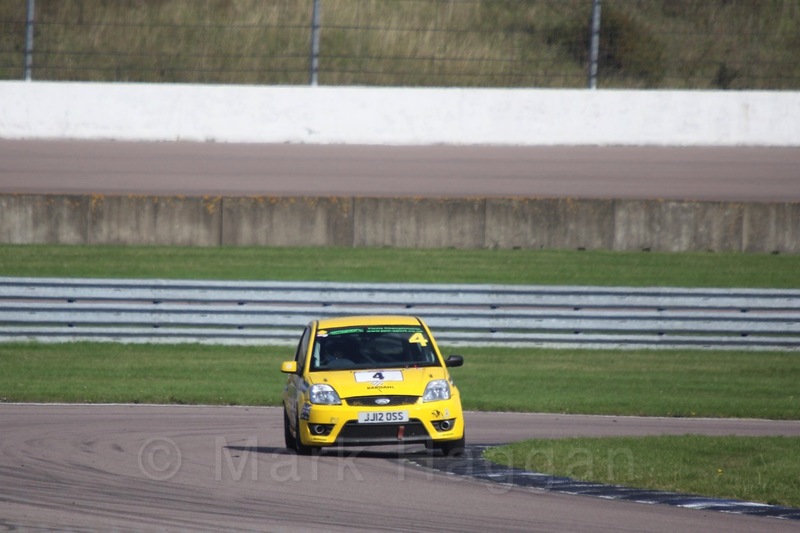 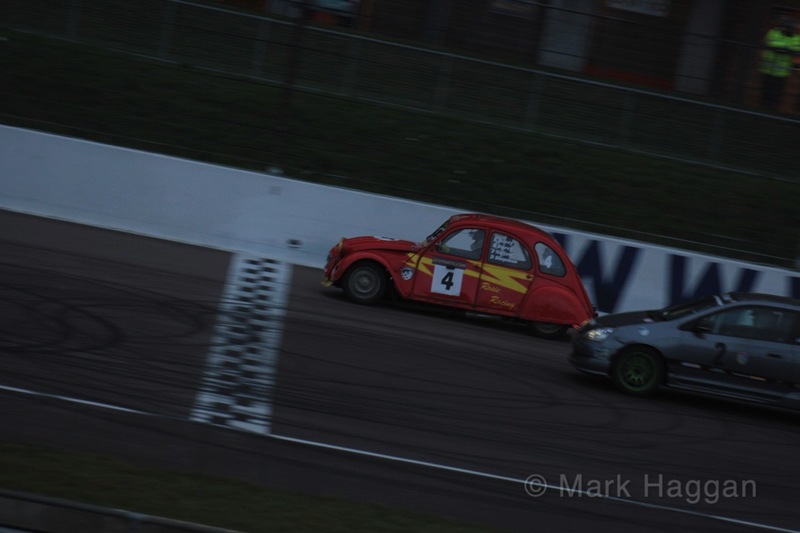 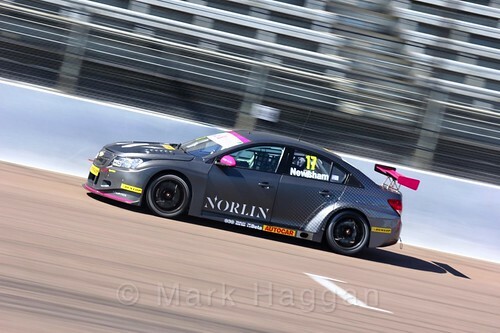 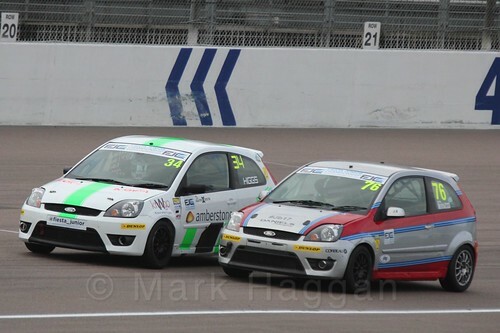 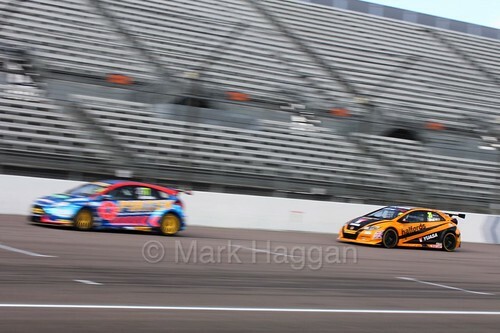 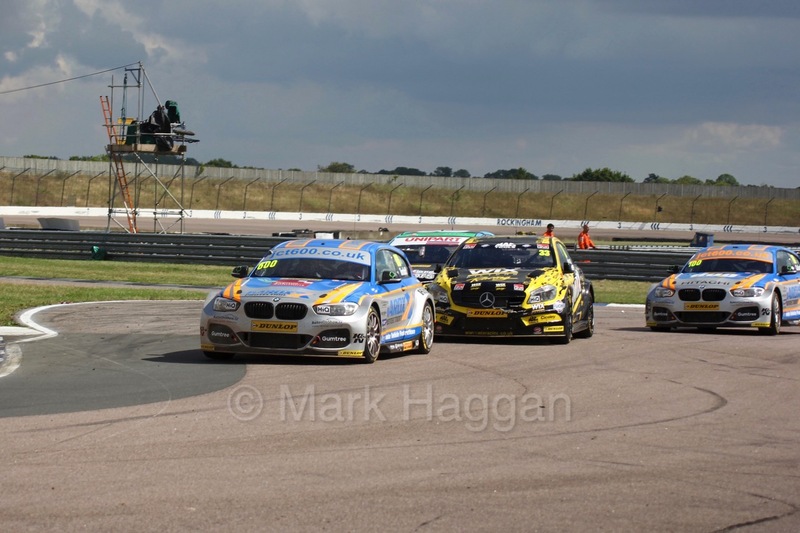 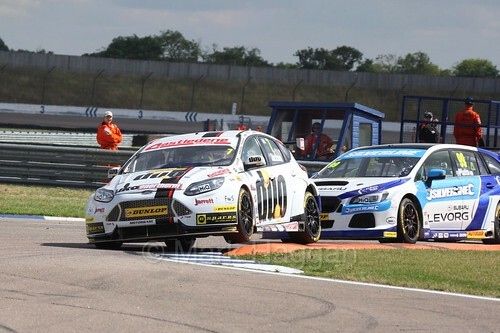 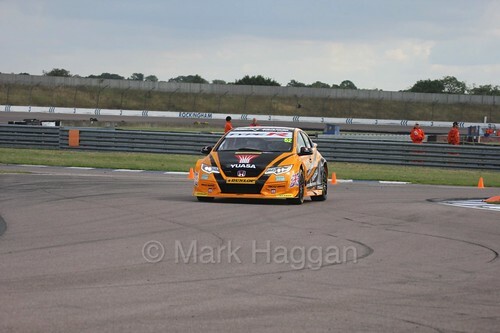 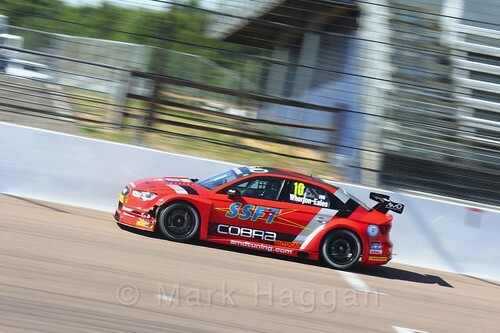 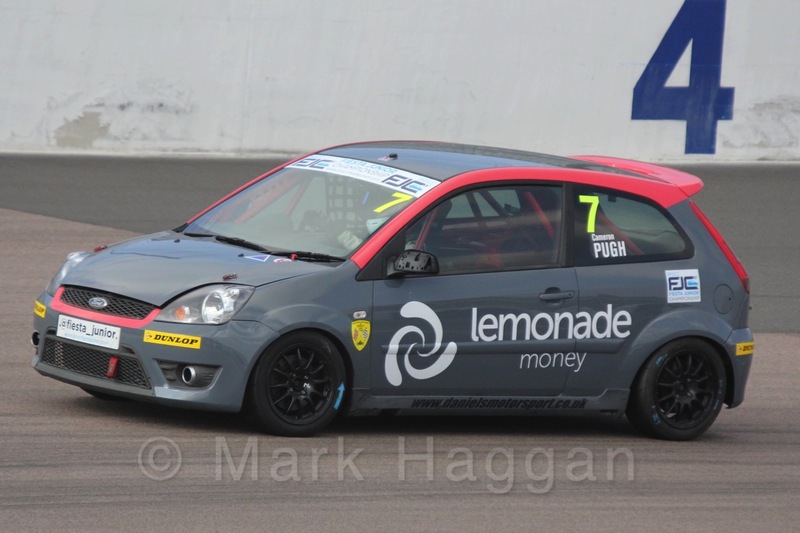 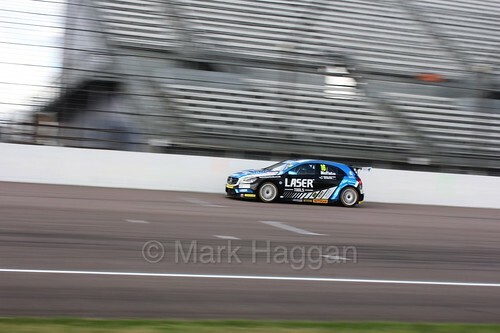 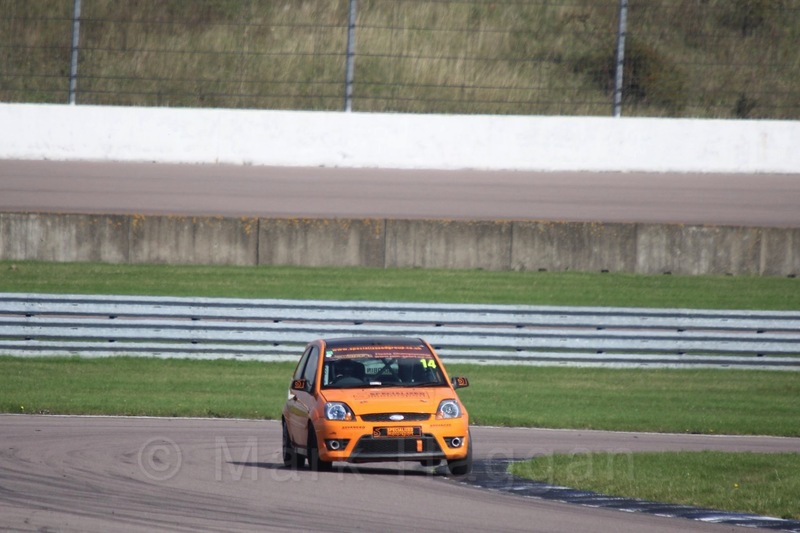 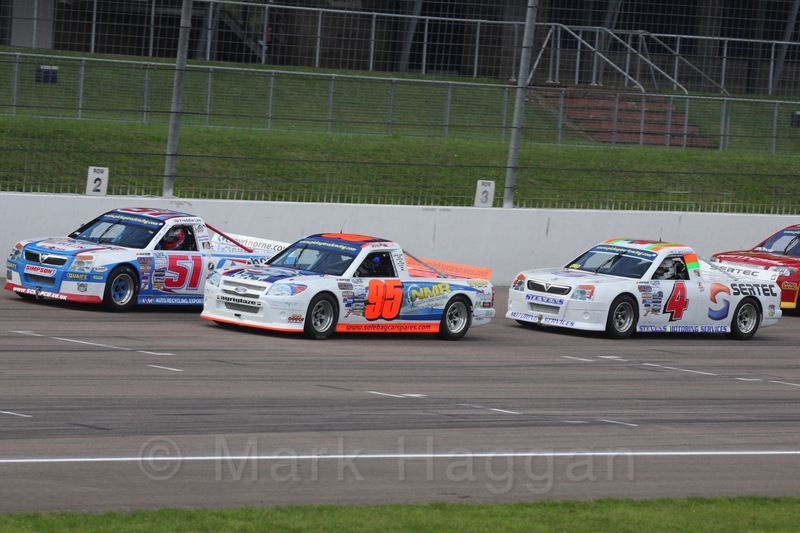 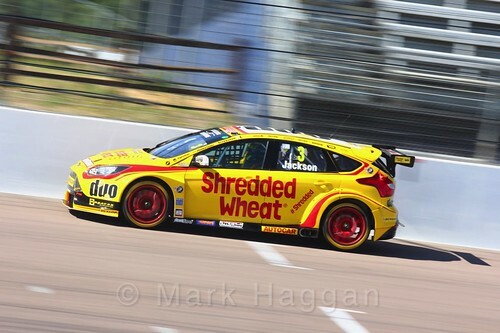 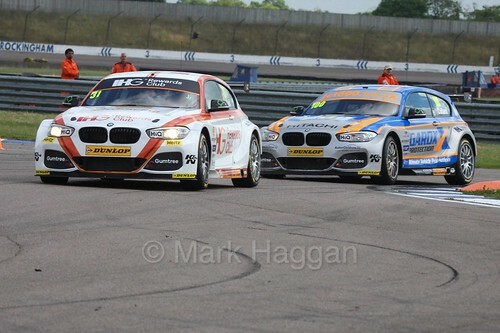 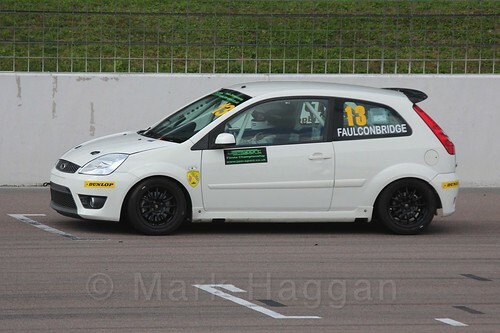 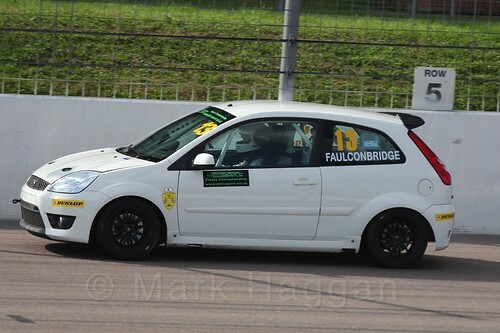 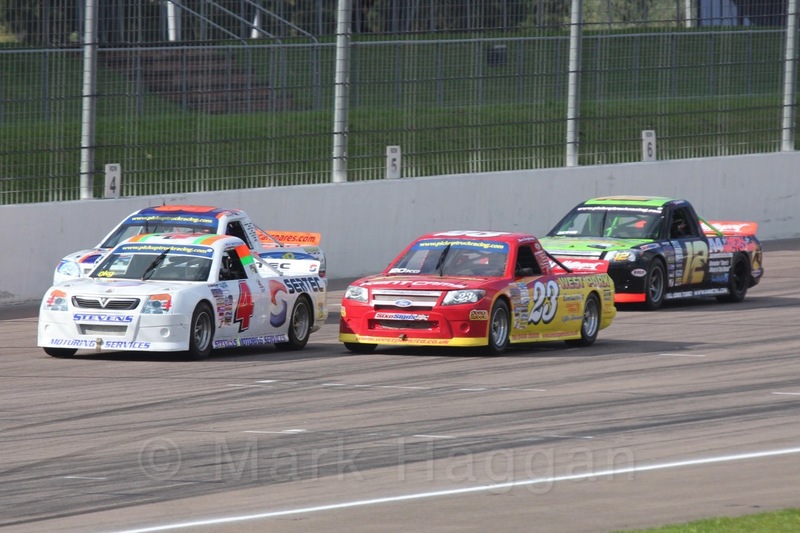 …and the last ever race at #Rockingham is under way. 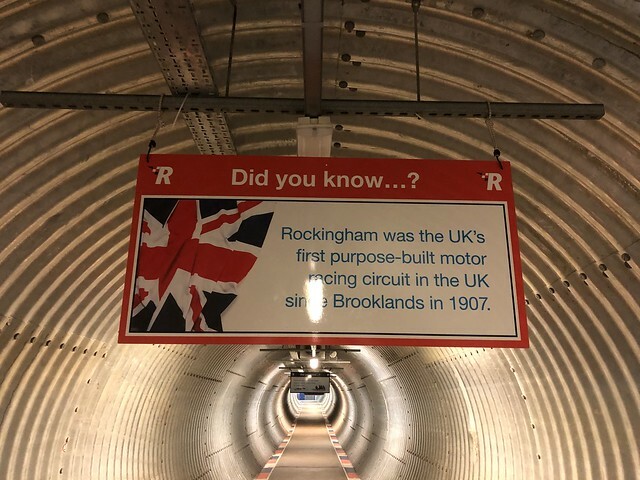 It felt very odd walking through the tunnel back out of the circuit at the end of the day, knowing that it was probably my last journey out of Rockingham. As well as some good racing and great facilities, Rockingham Motor Speedway leaves me with happy memories of a very friendly race circuit. 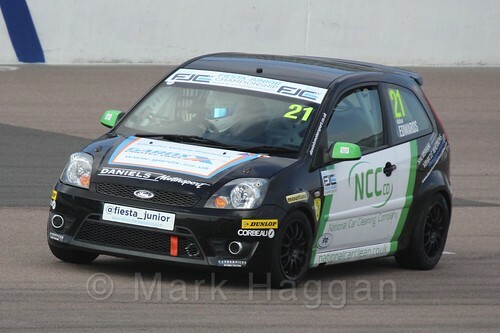 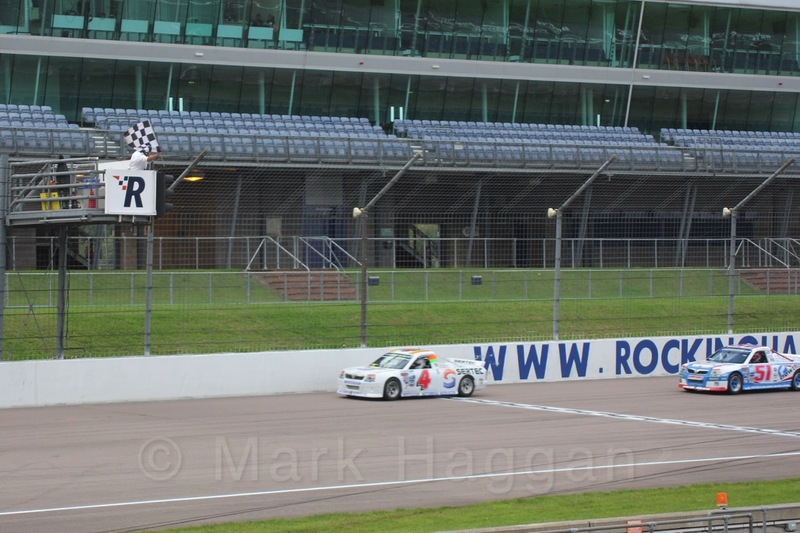 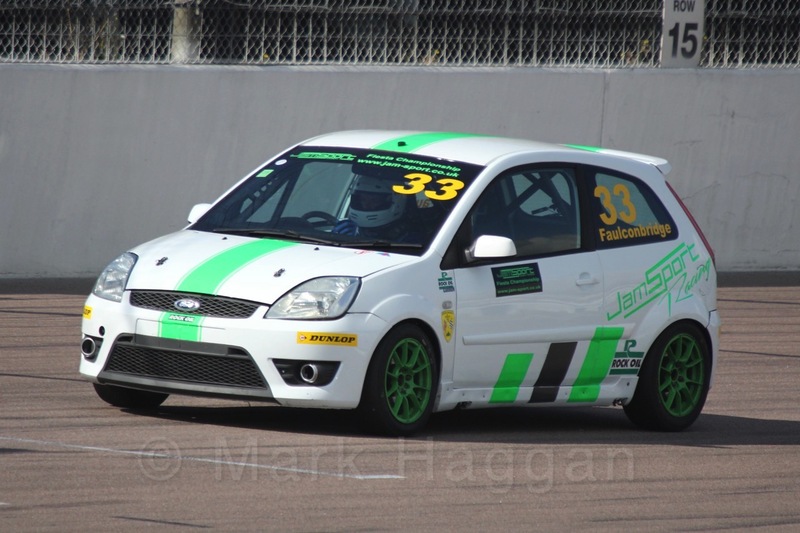 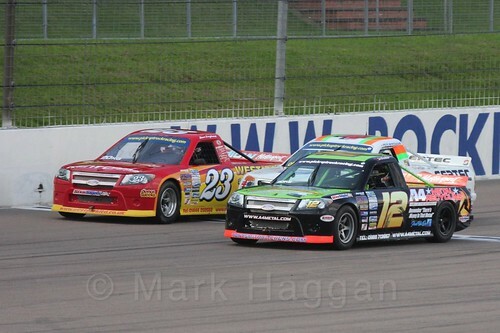 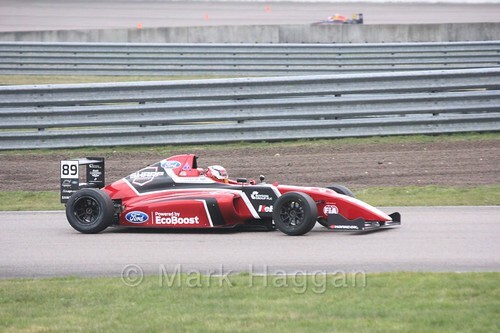 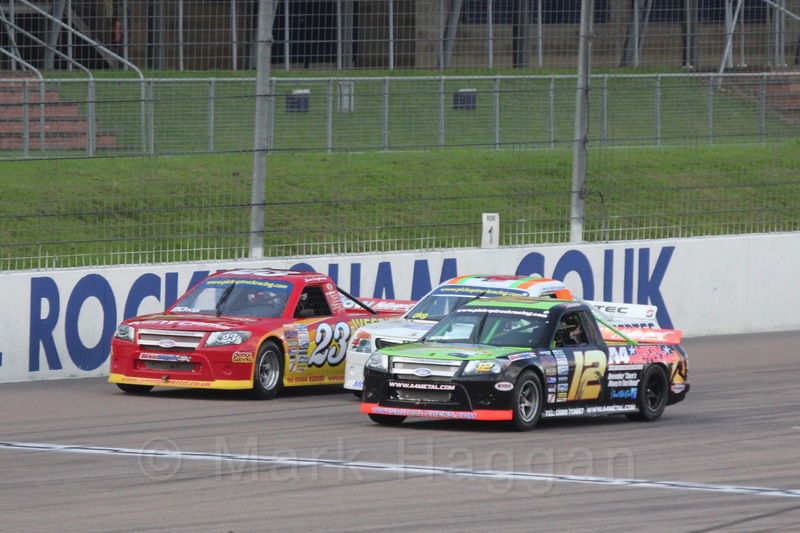 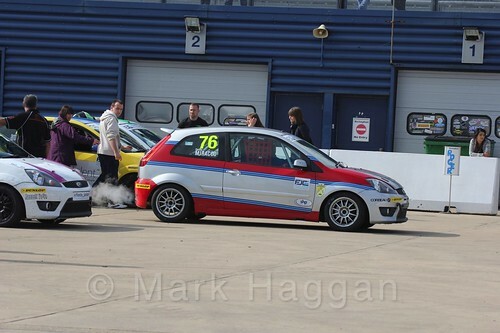 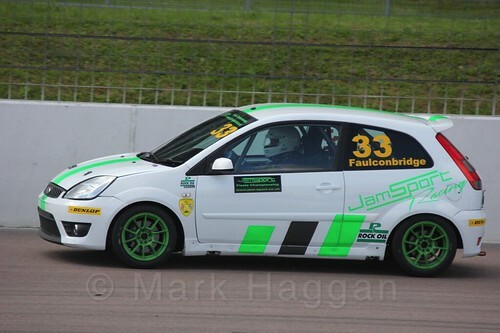 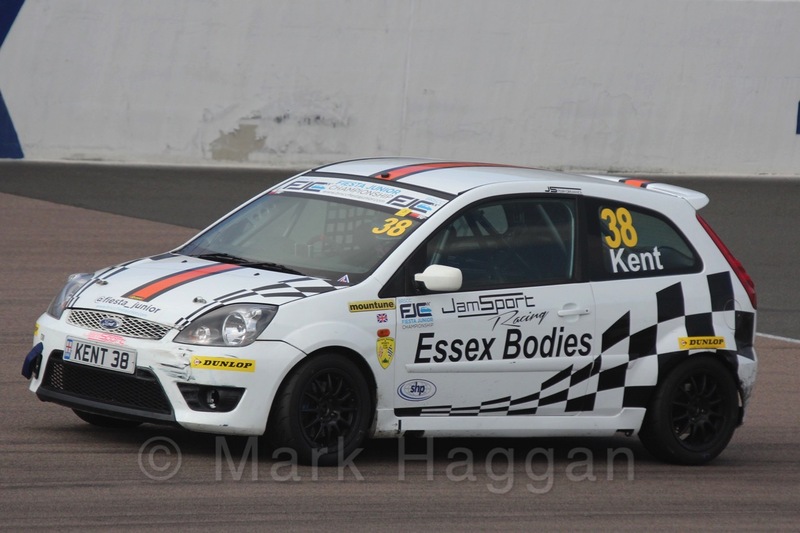 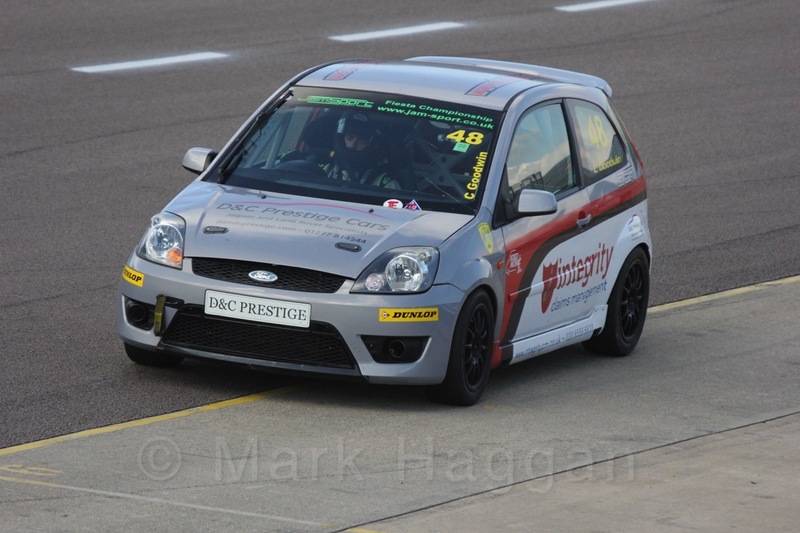 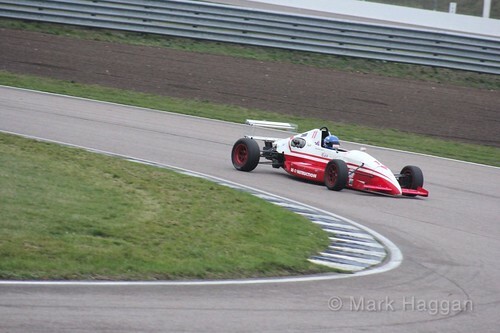 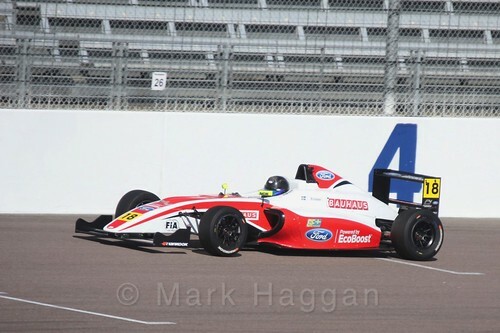 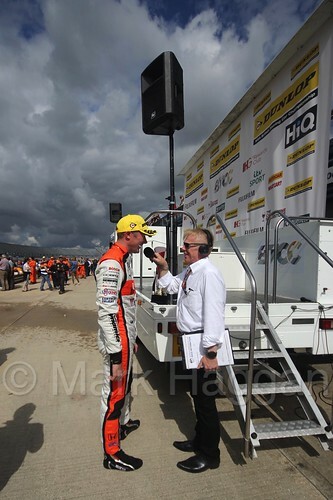 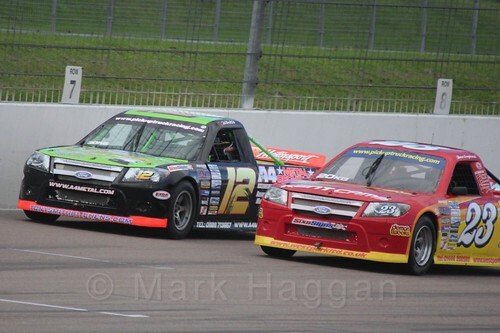 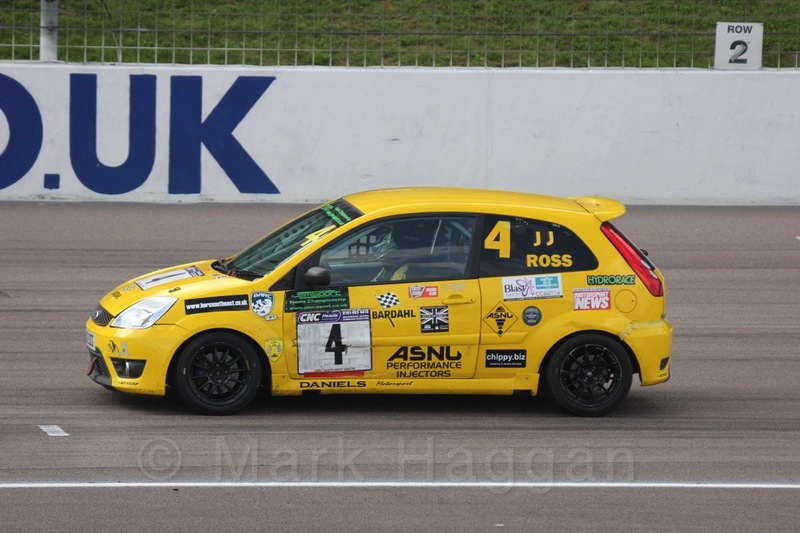 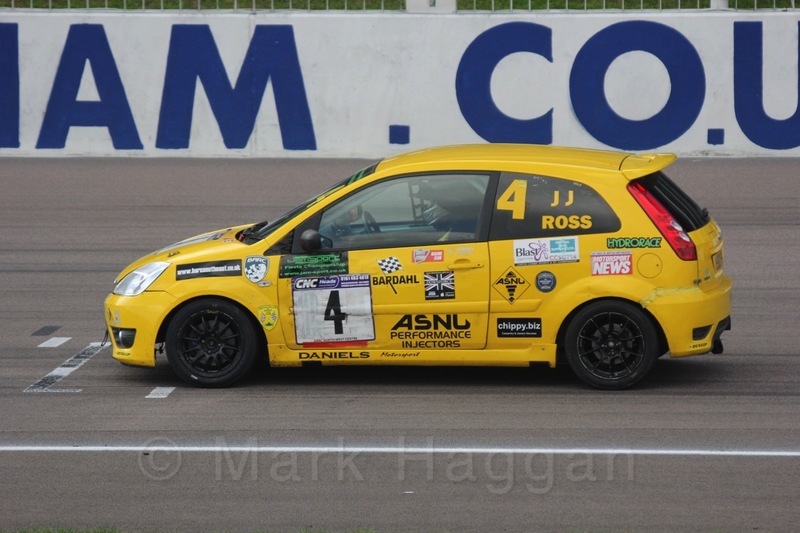 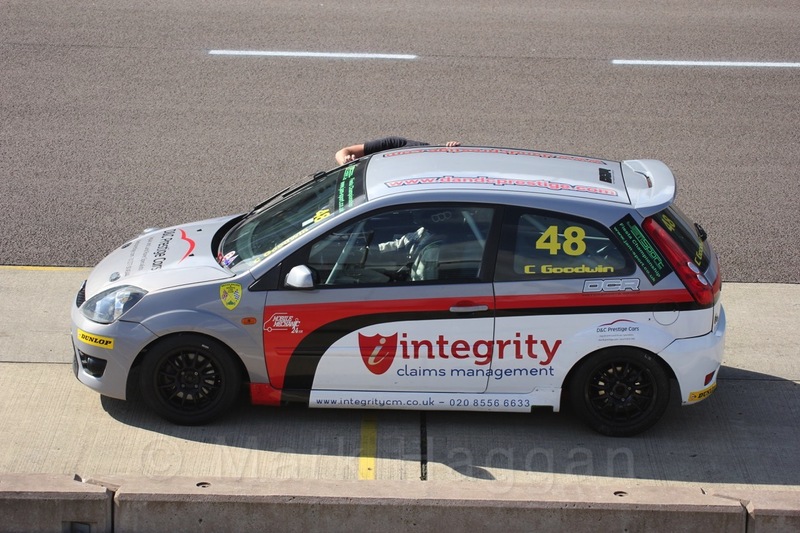 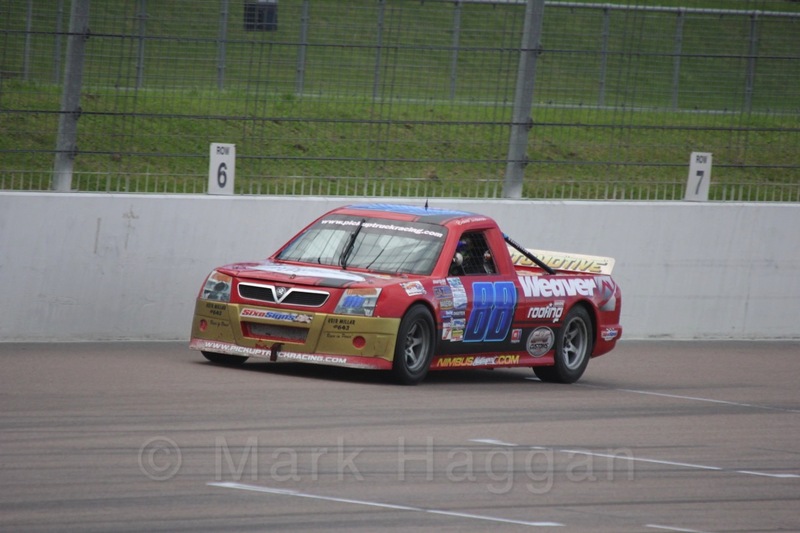 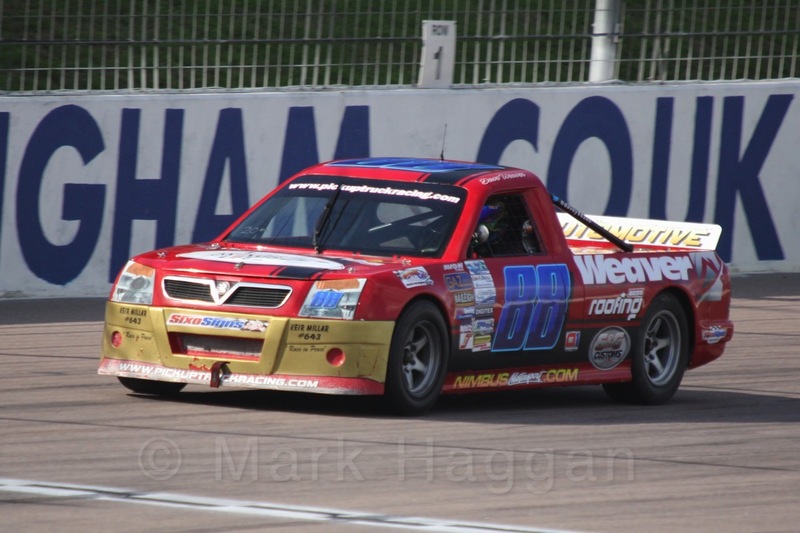 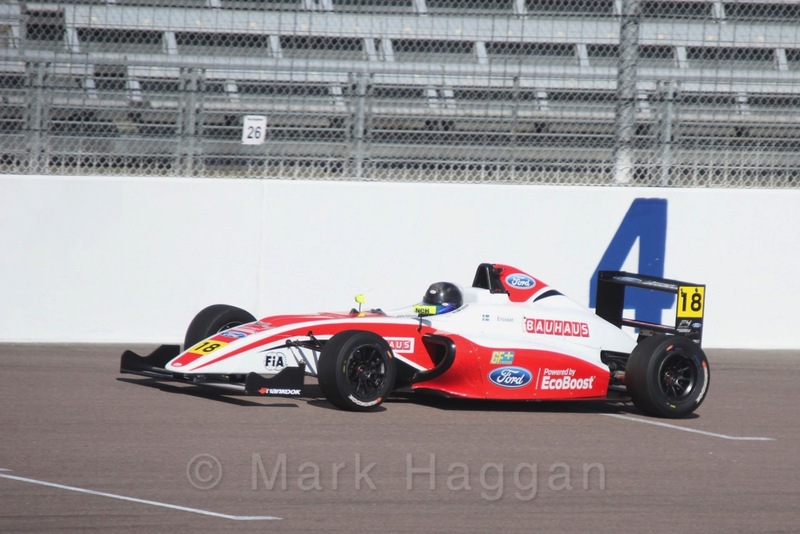 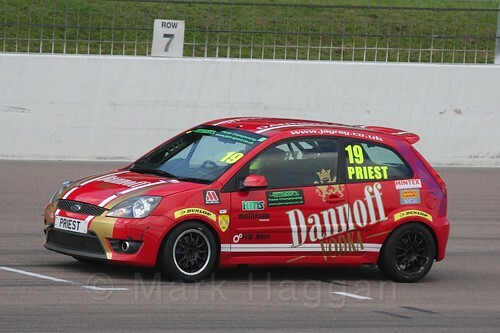 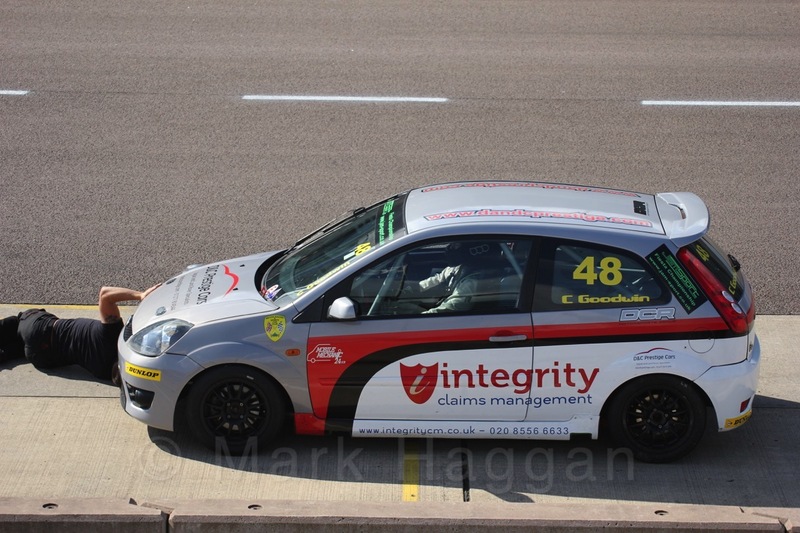 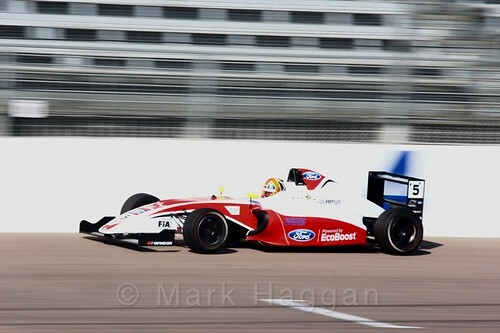 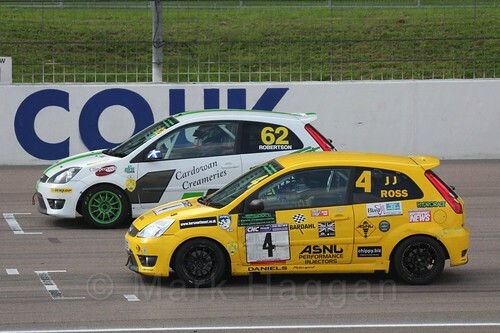 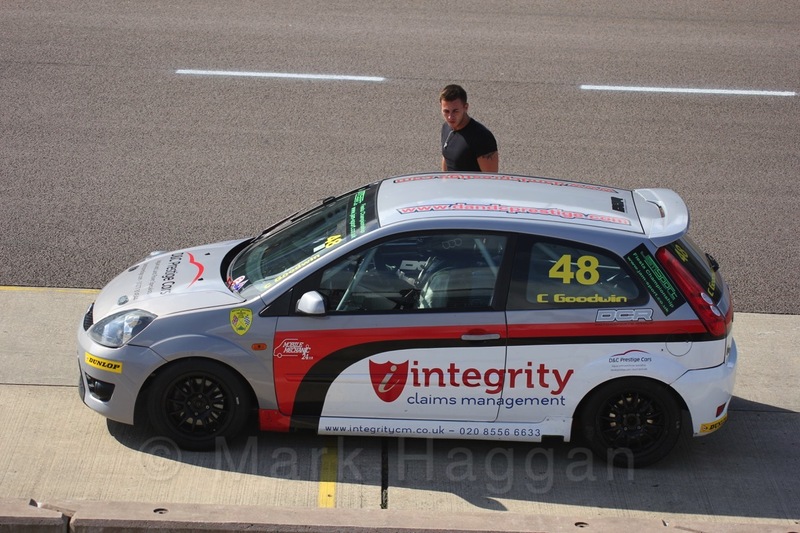 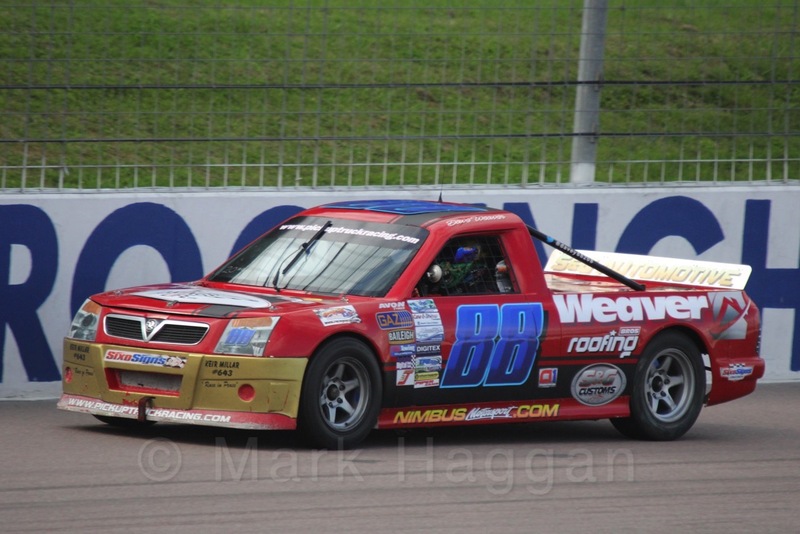 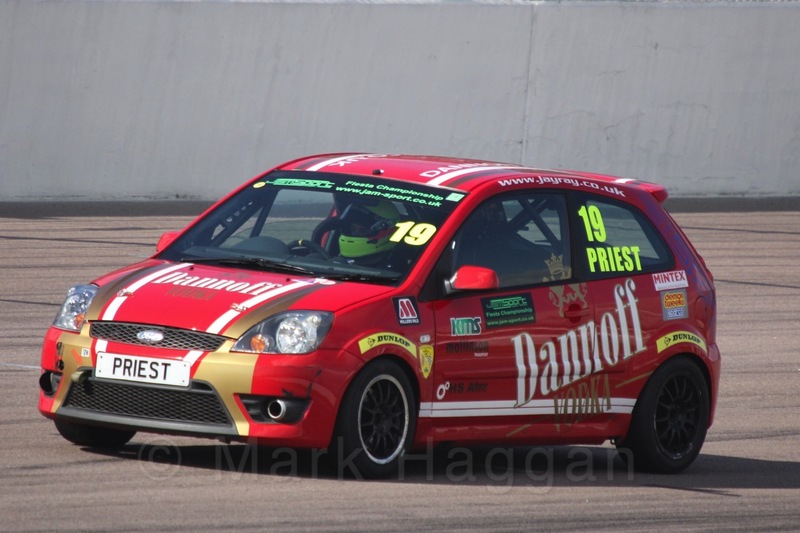 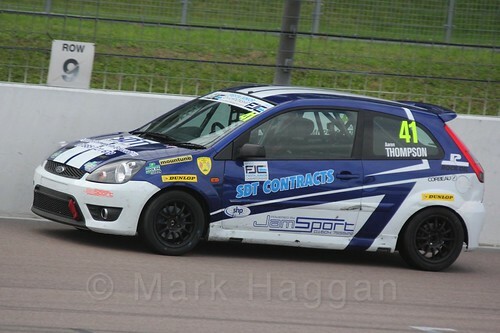 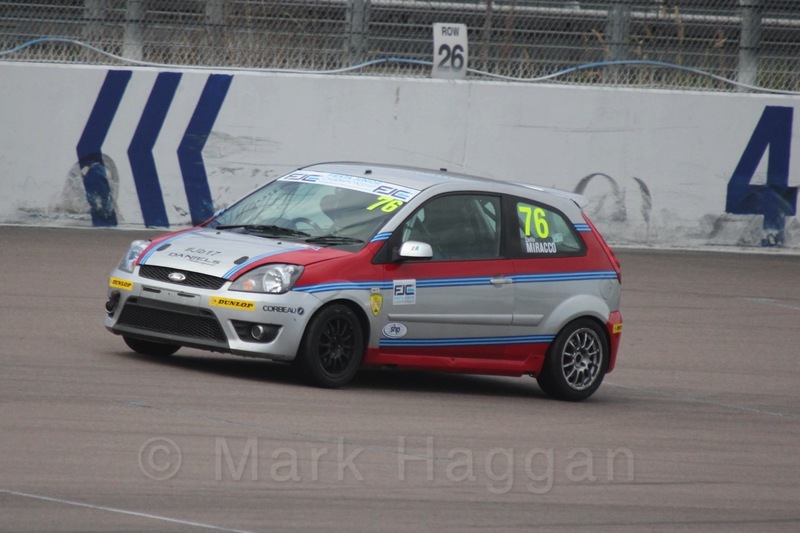 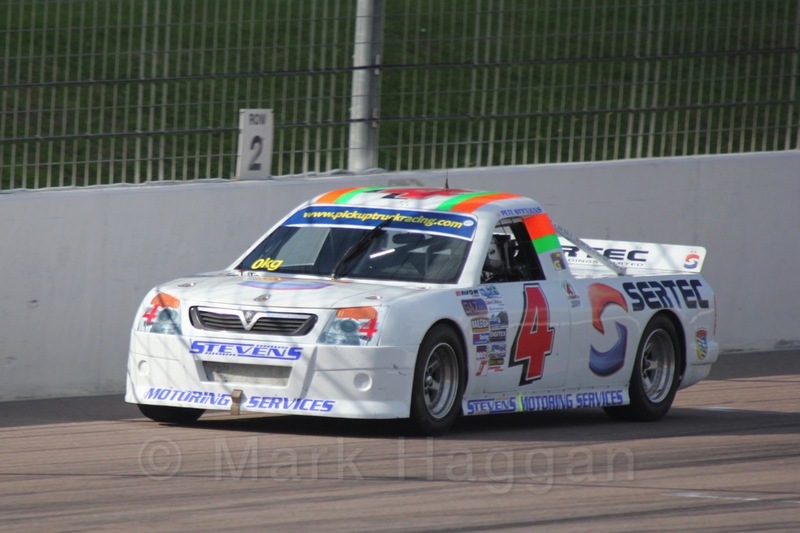 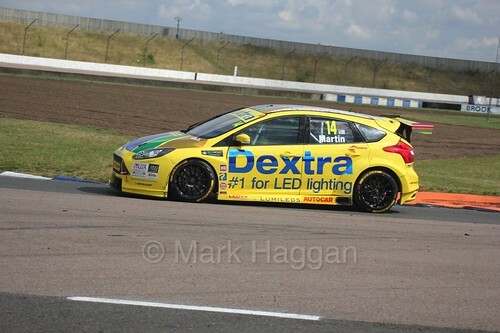 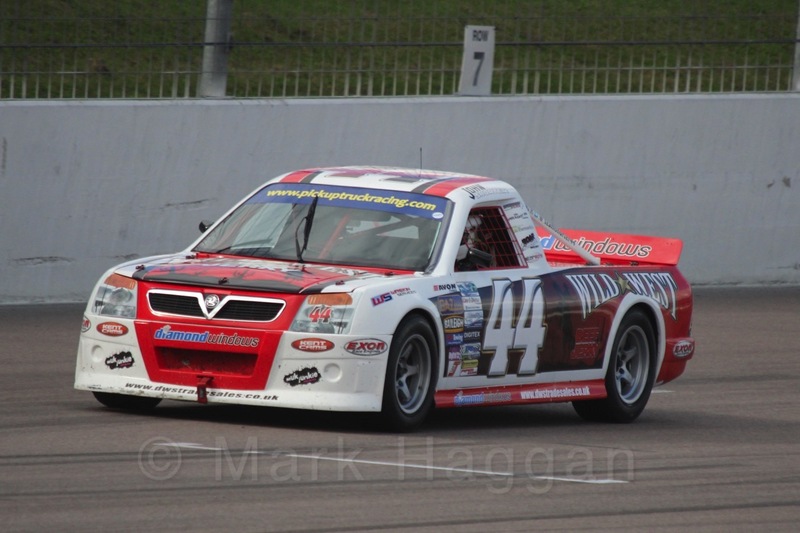 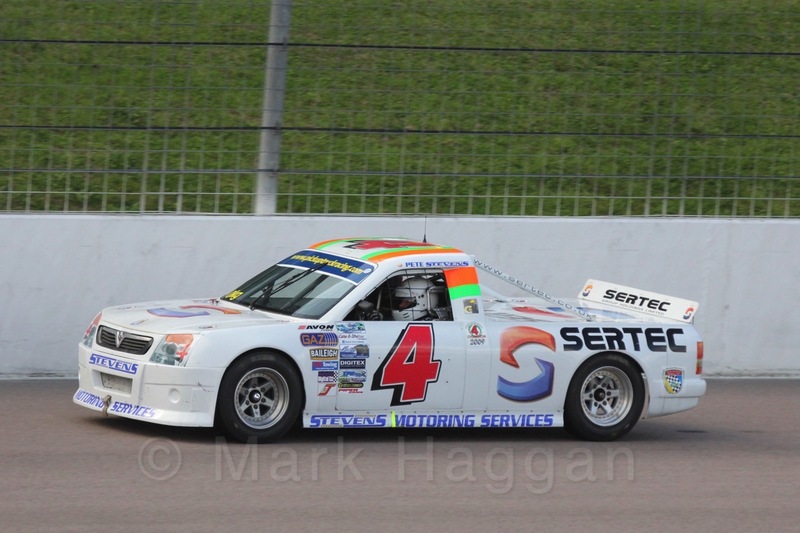 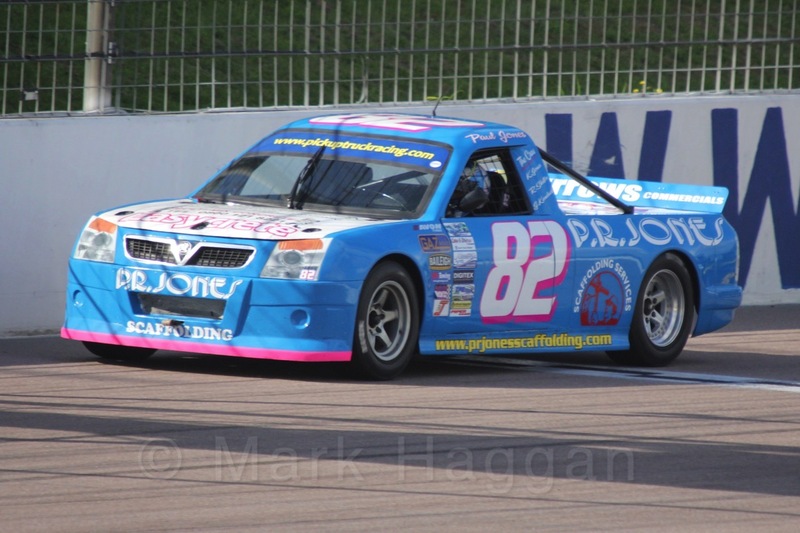 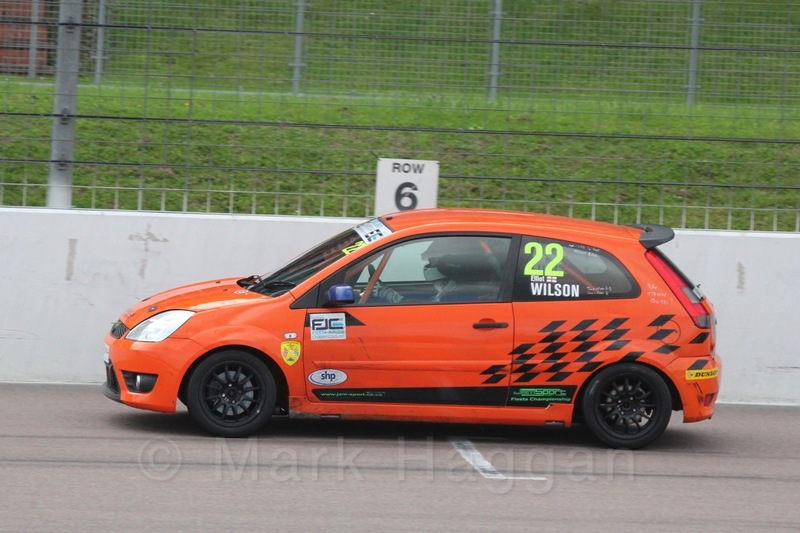 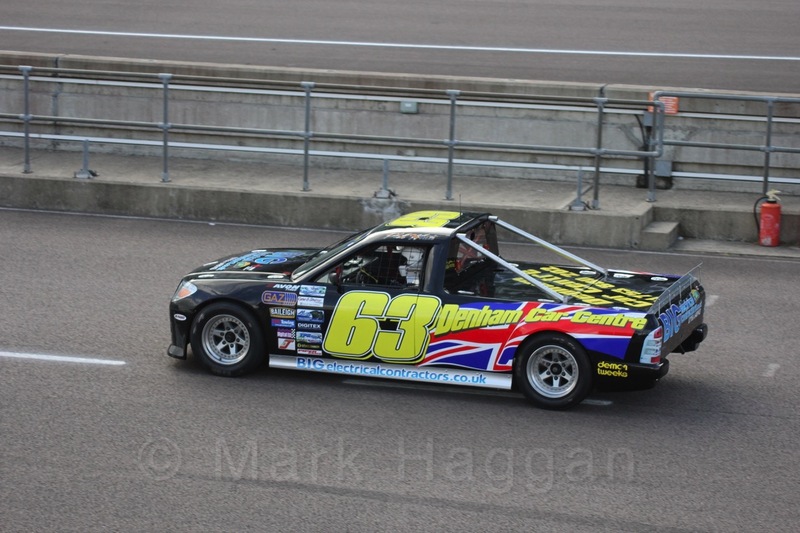 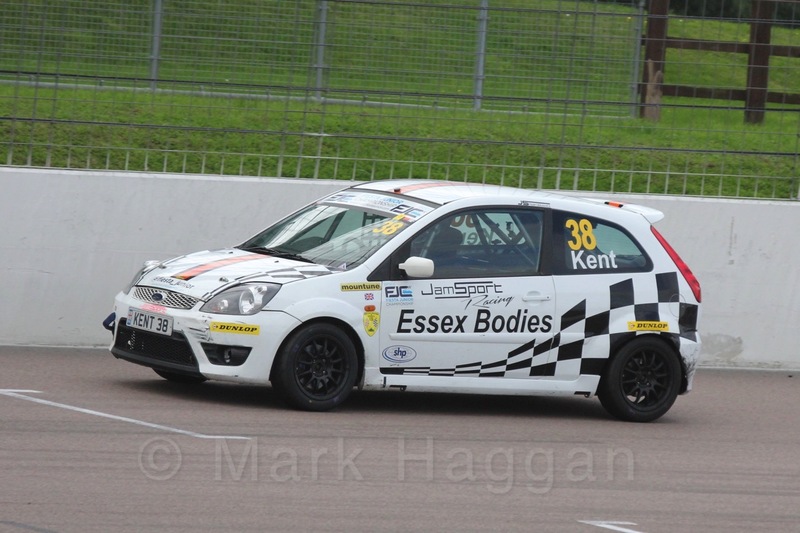 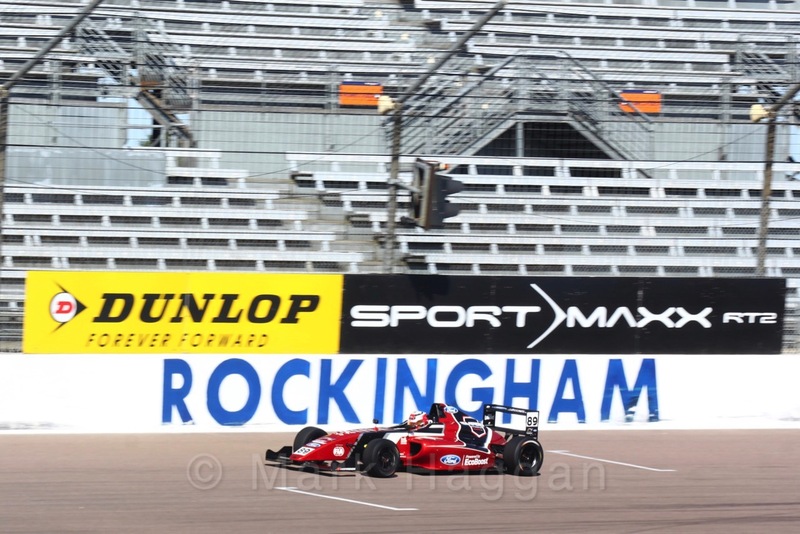 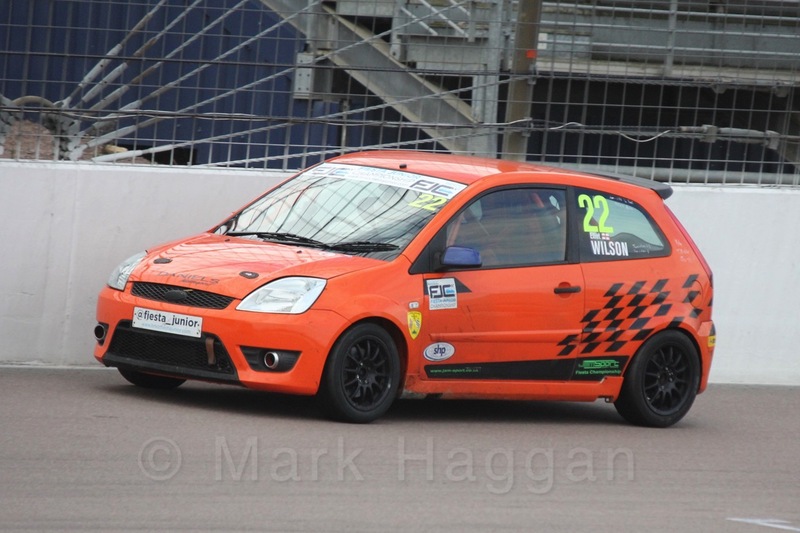 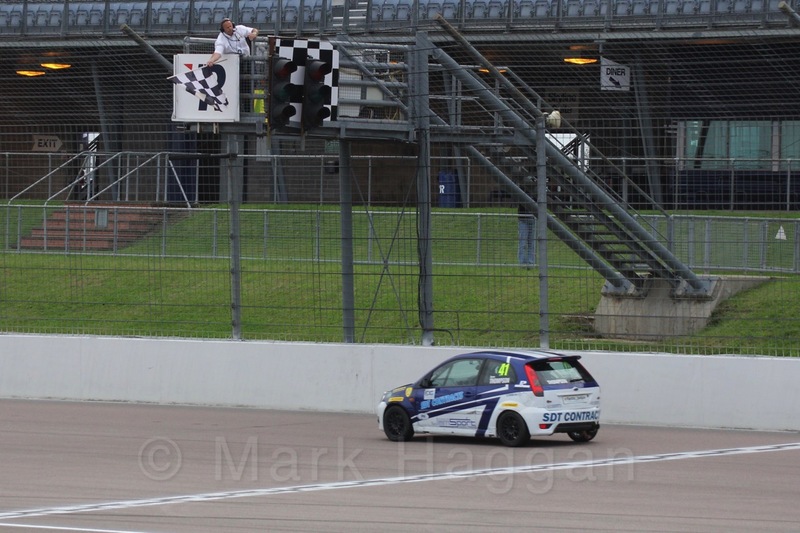 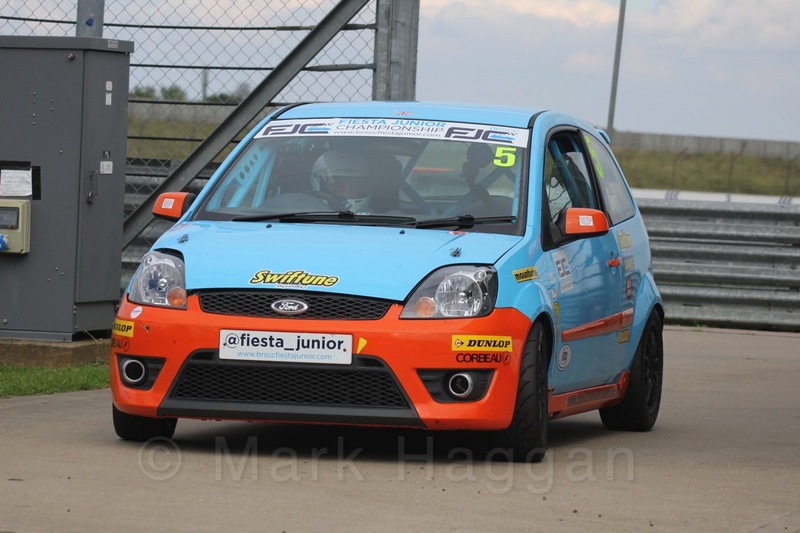 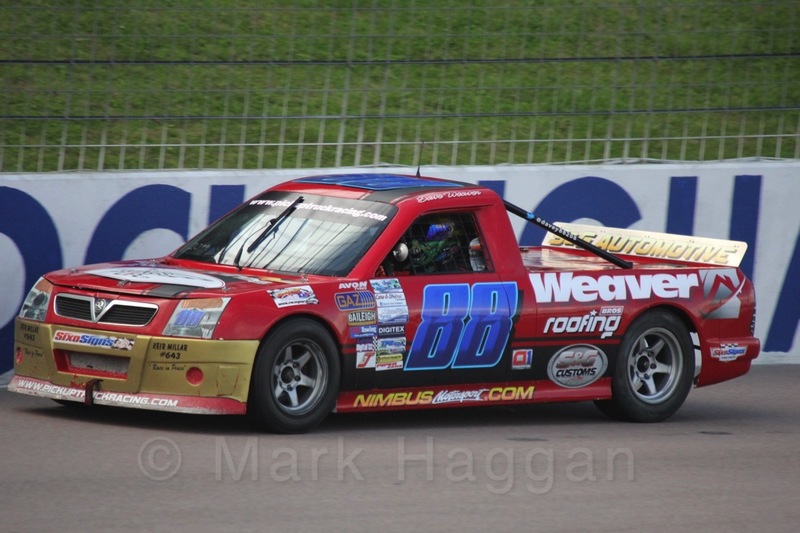 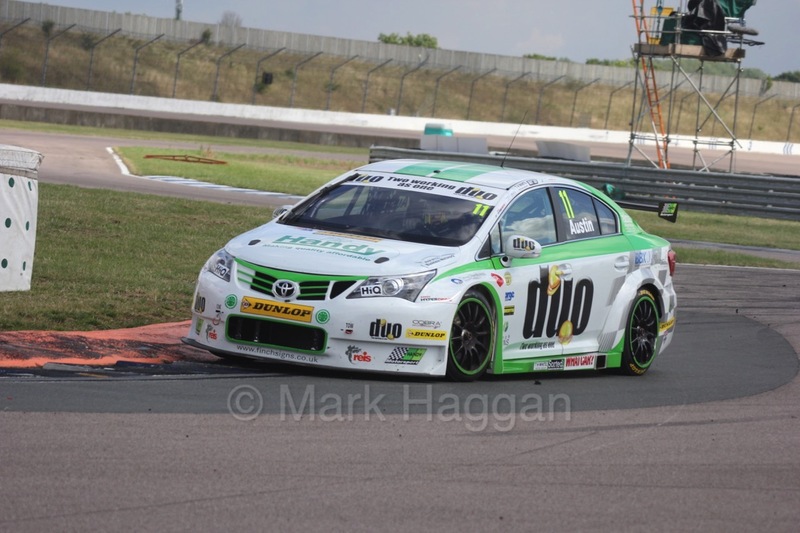 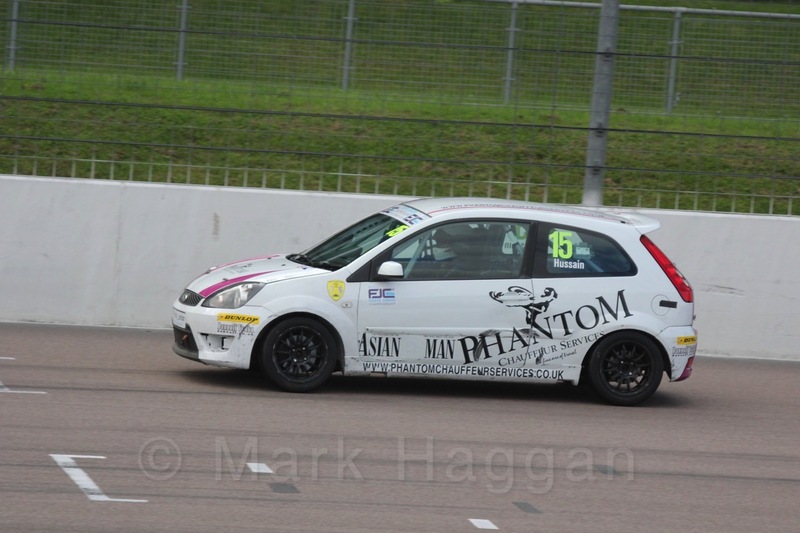 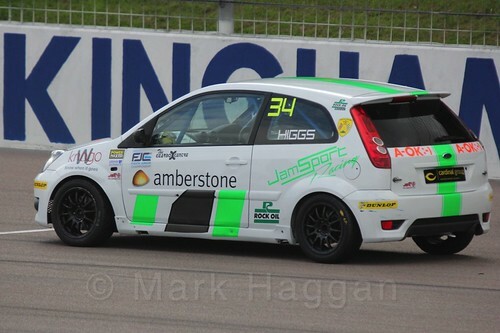 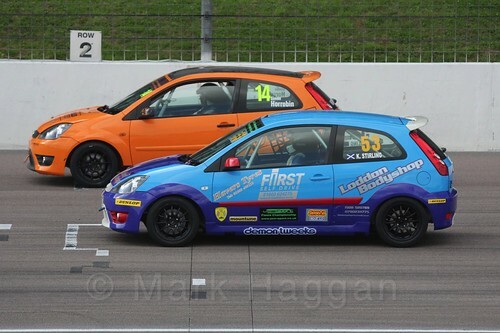 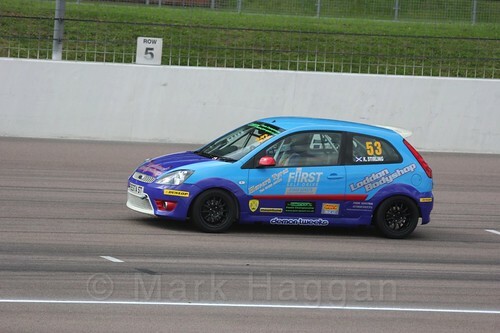 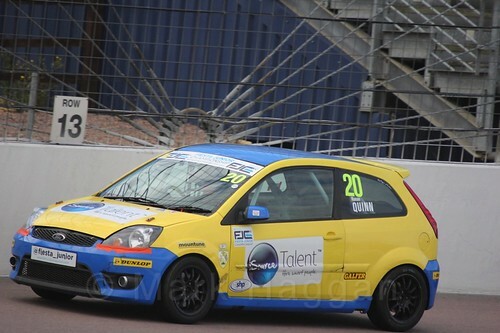 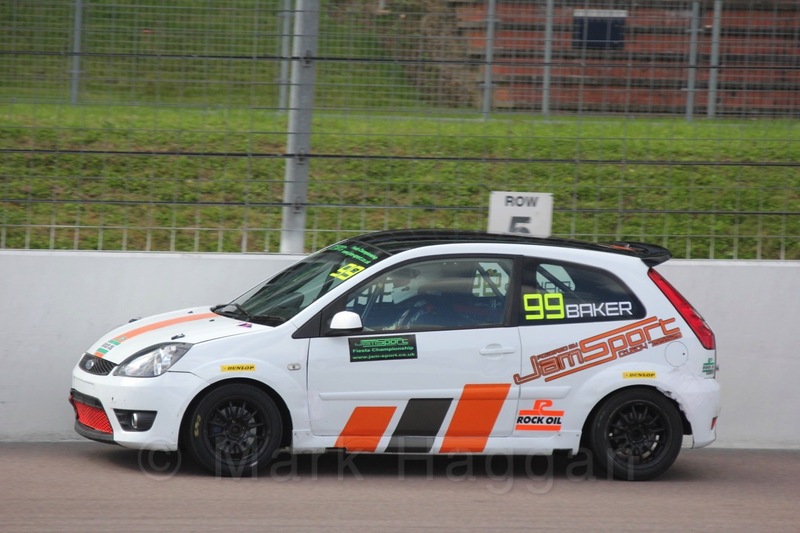 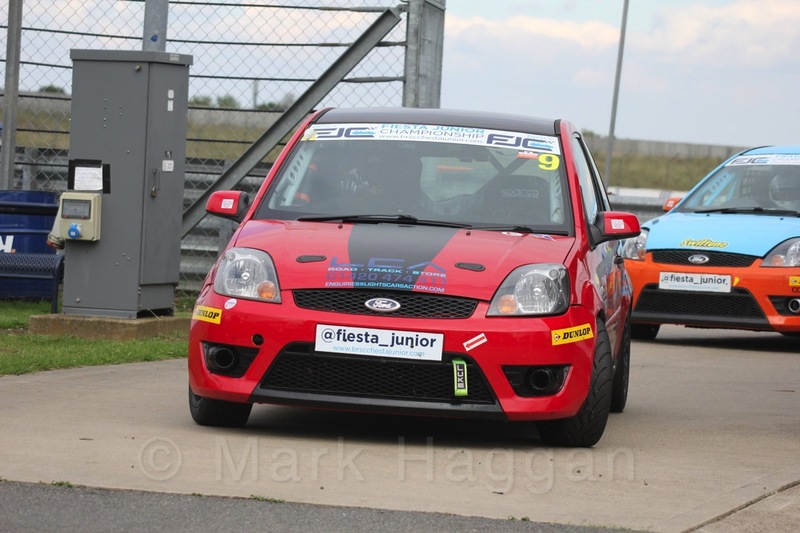 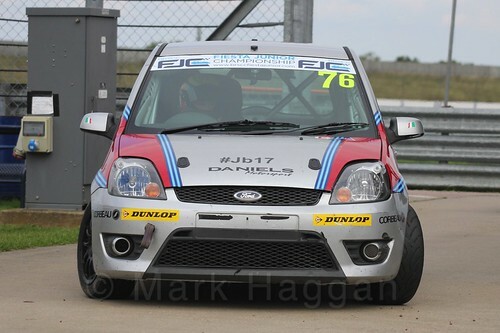 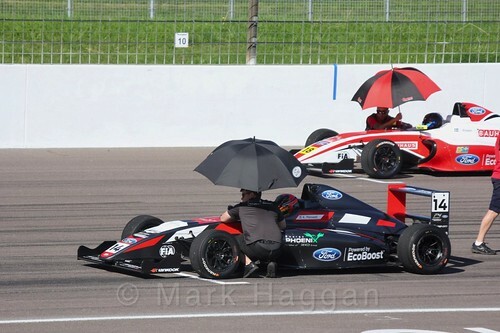 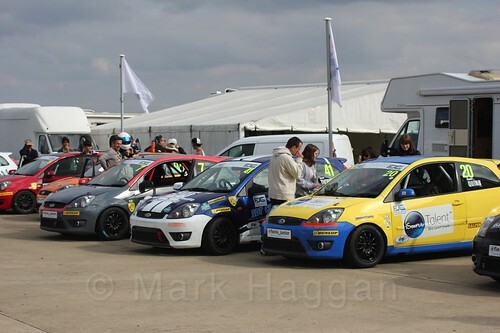 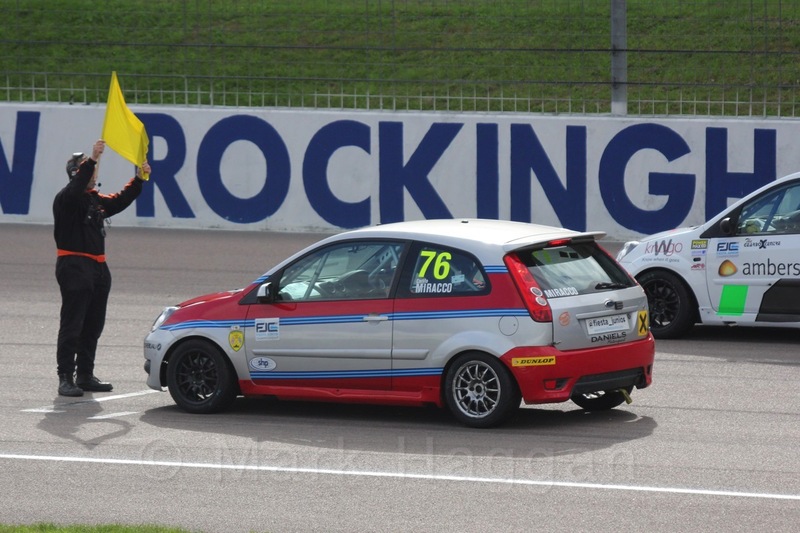 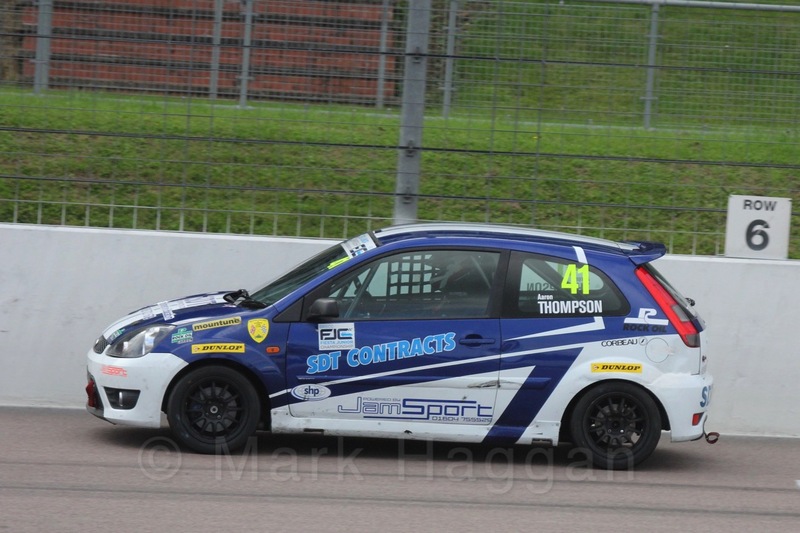 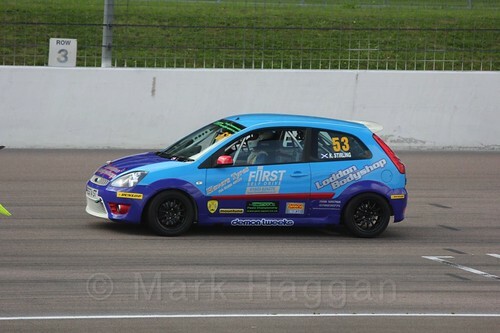 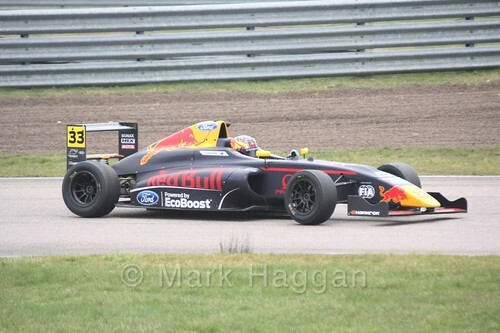 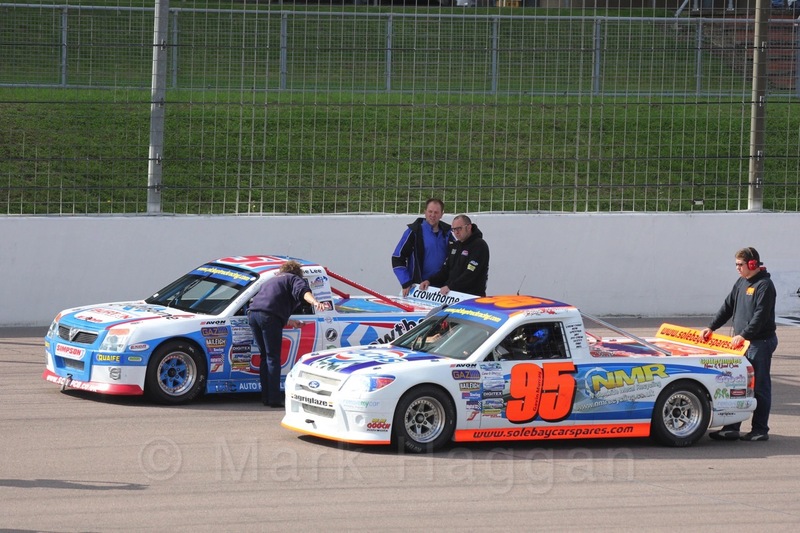 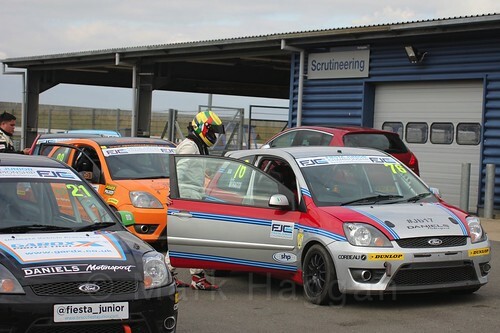 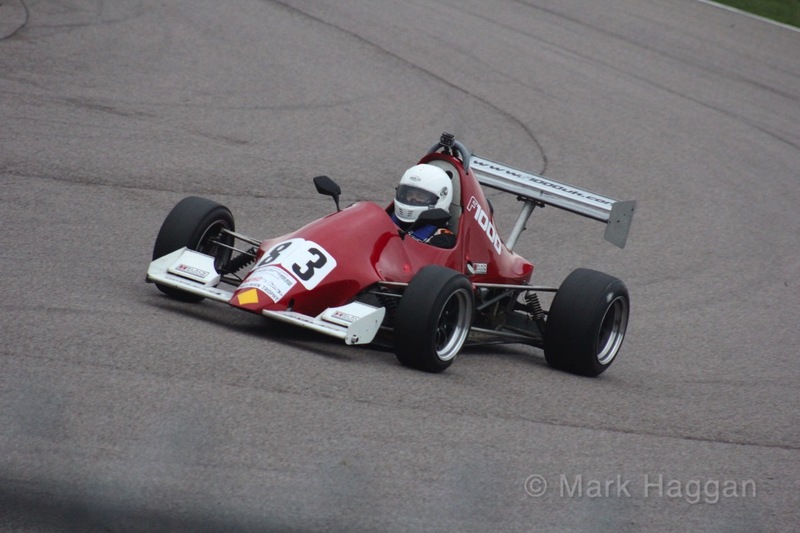 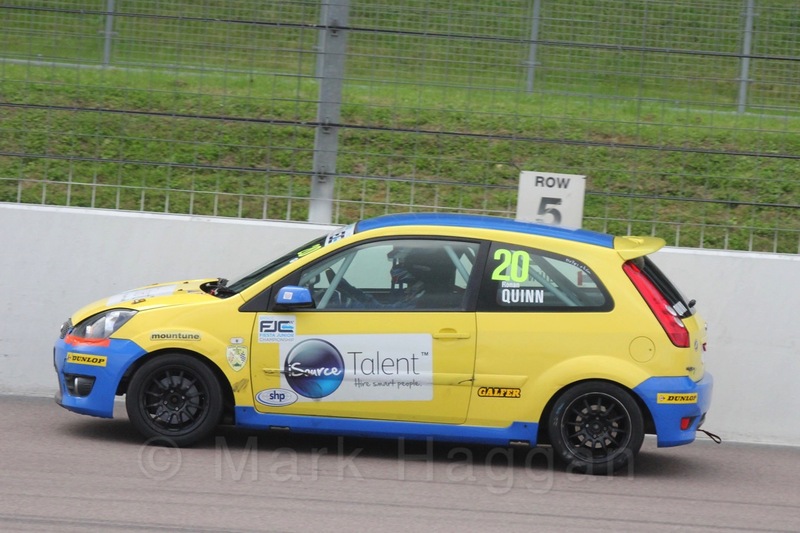 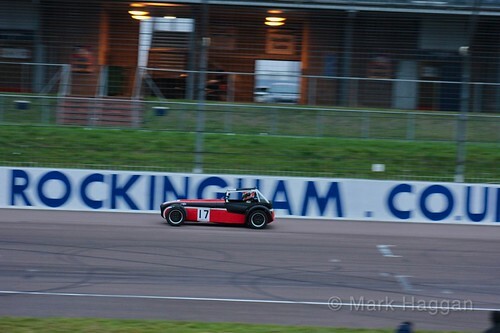 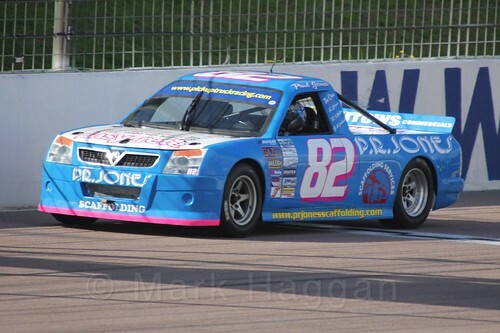 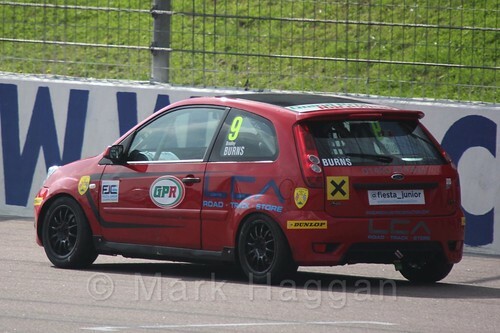 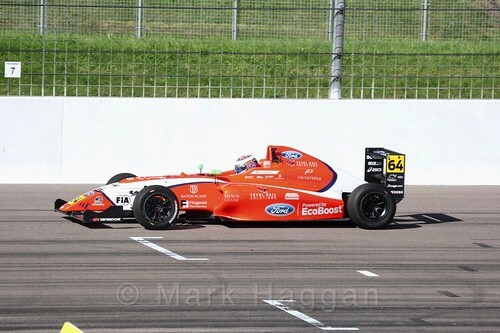 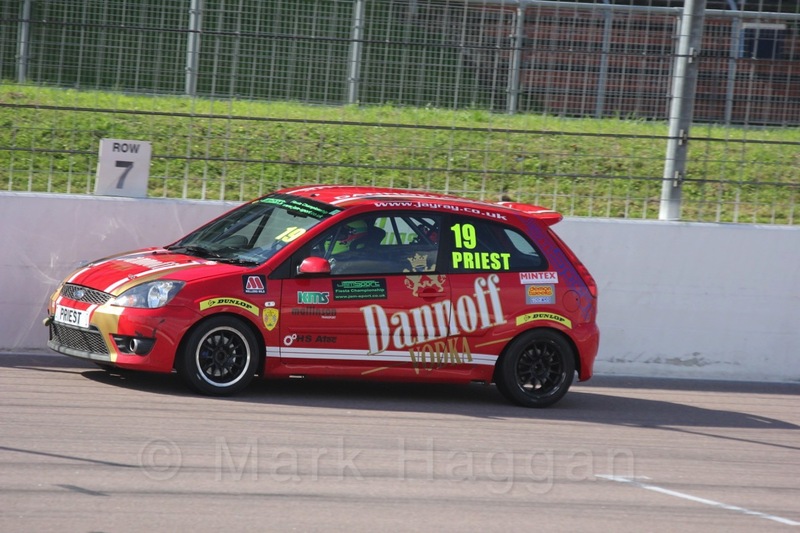 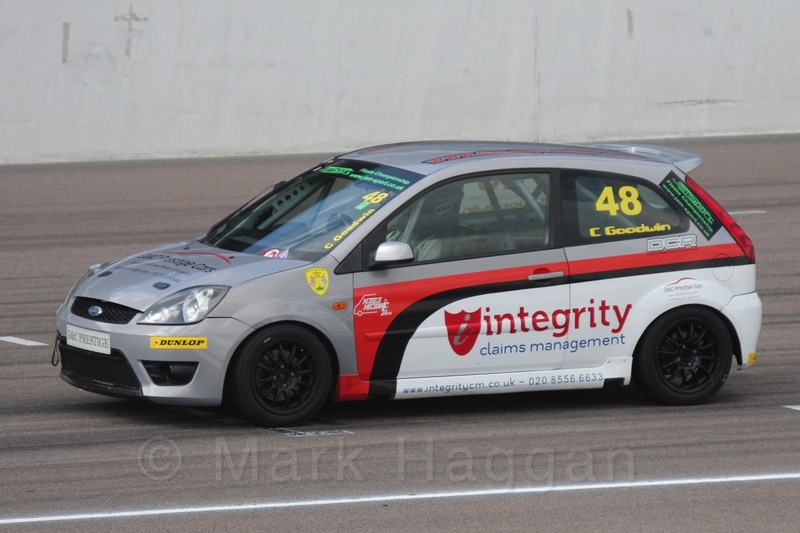 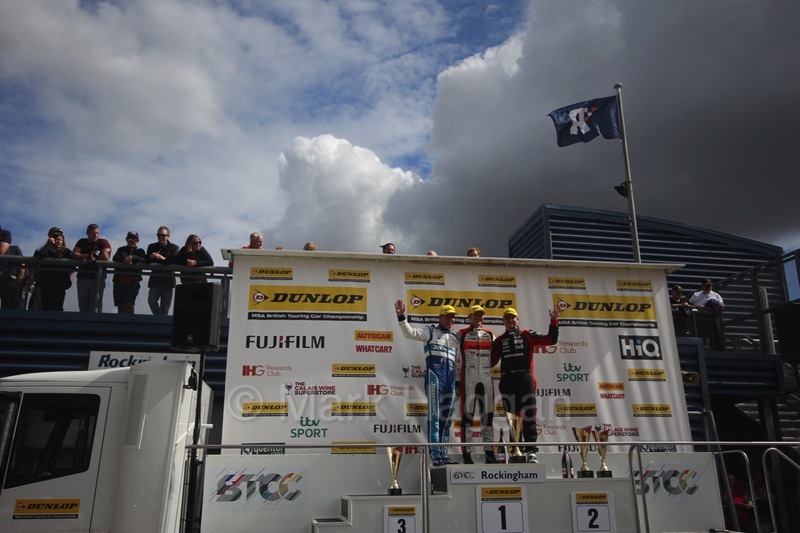 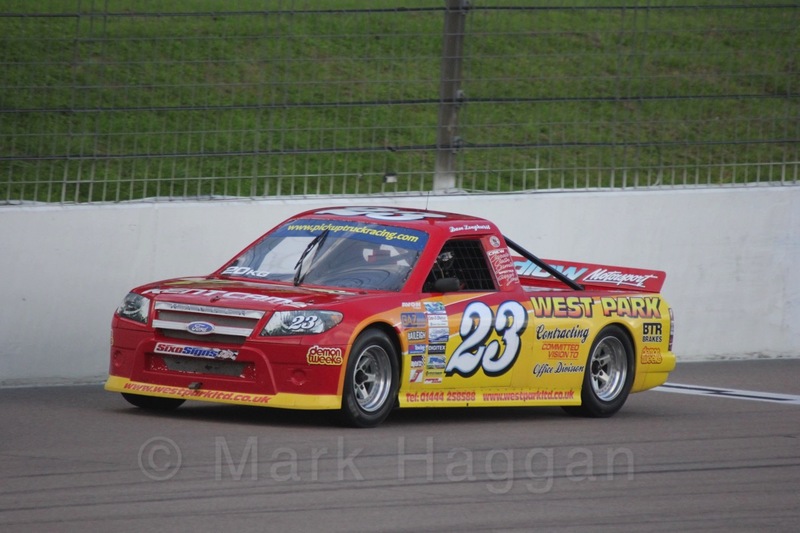 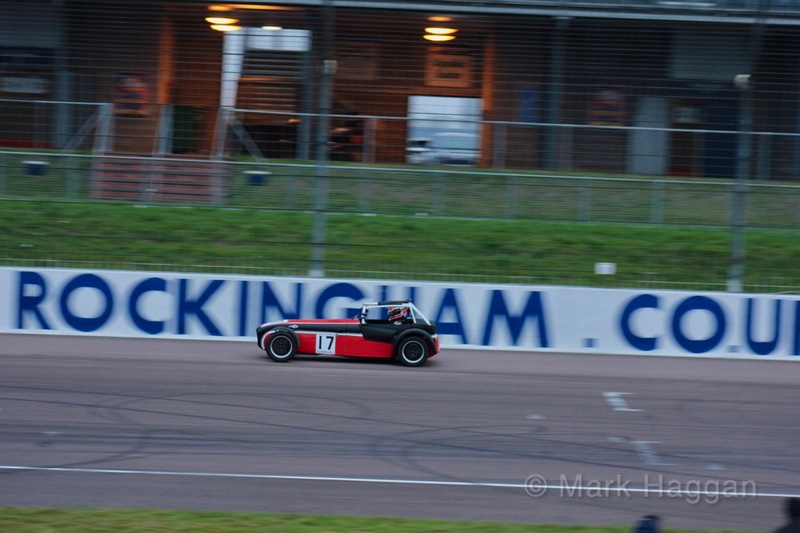 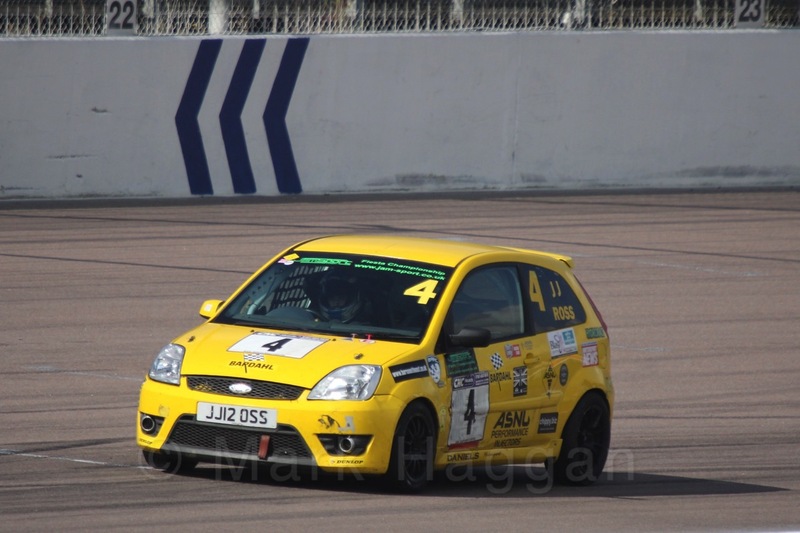 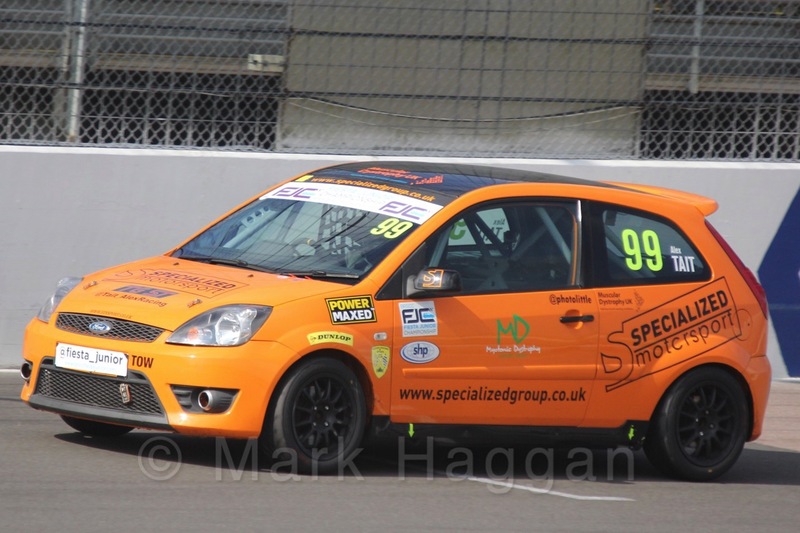 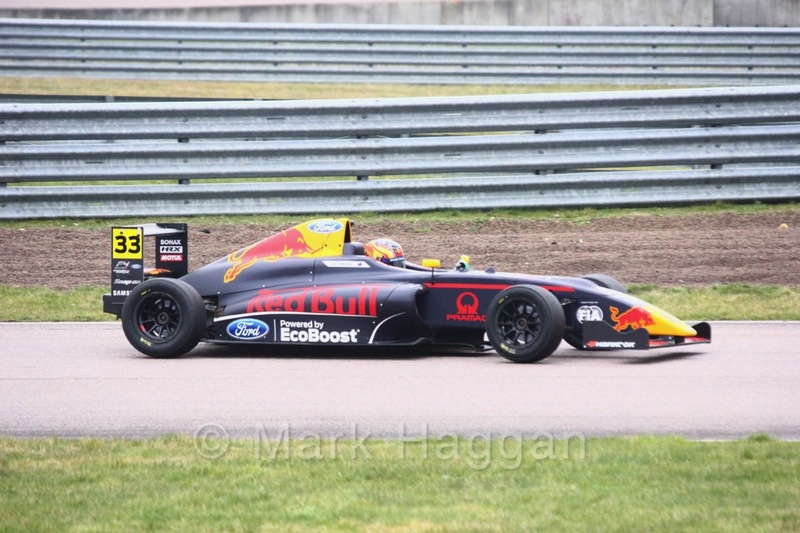 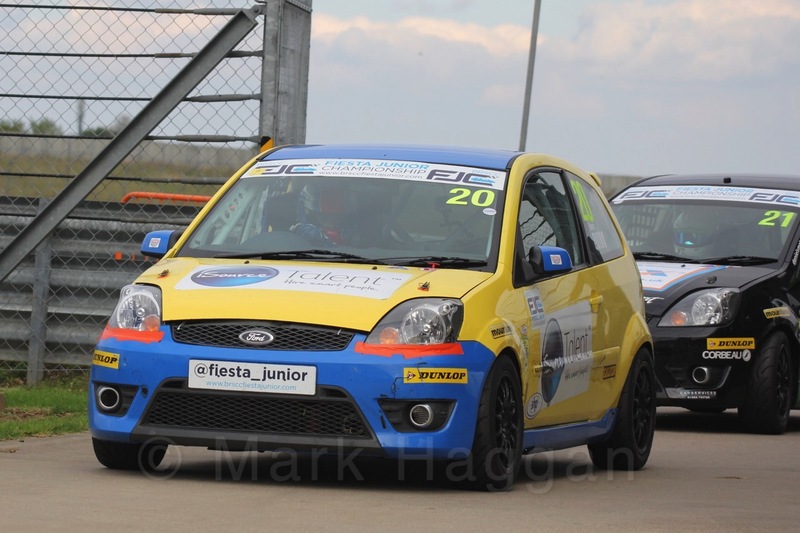 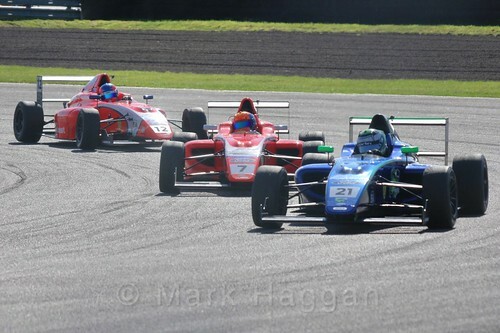 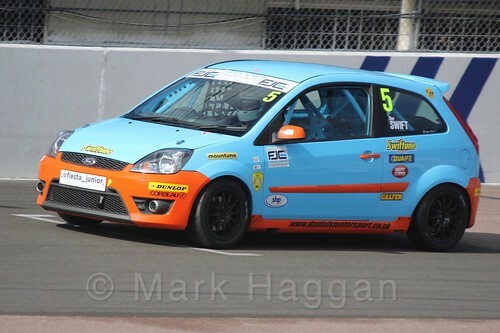 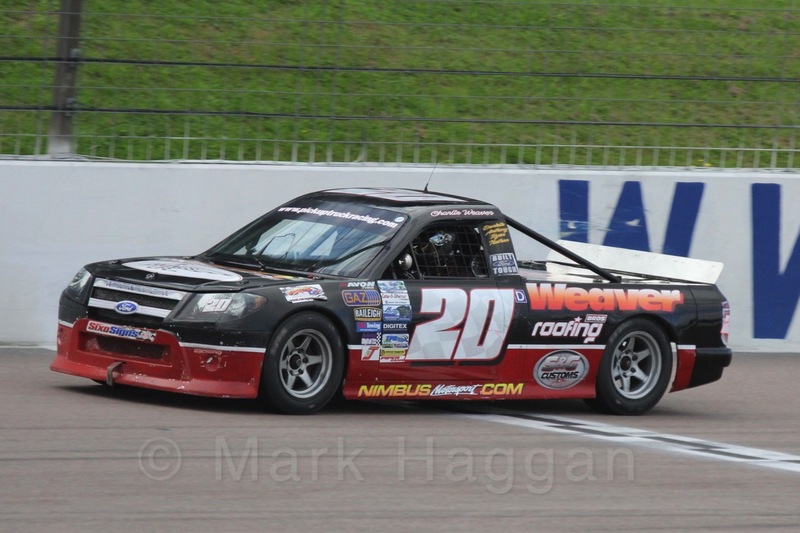 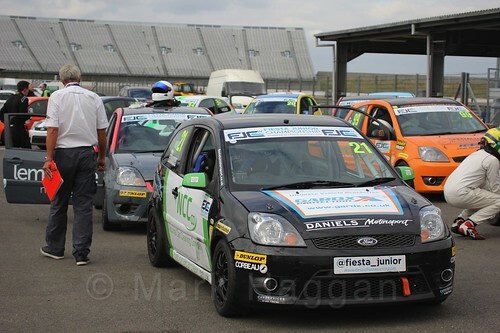 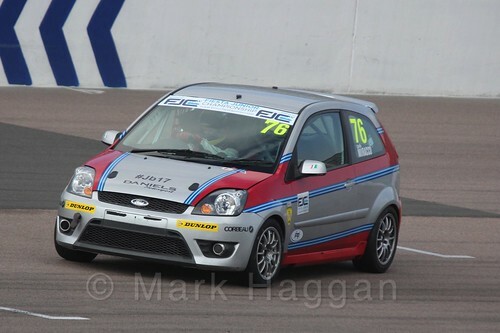 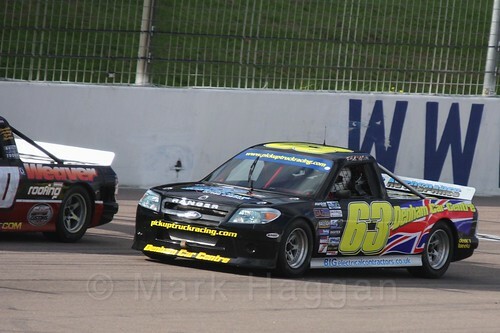 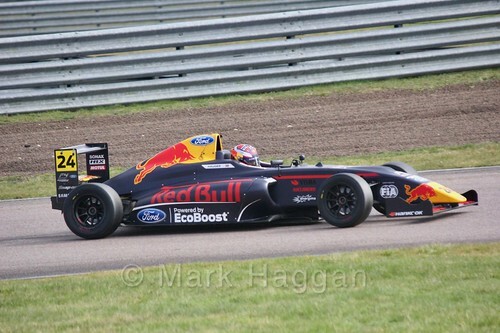 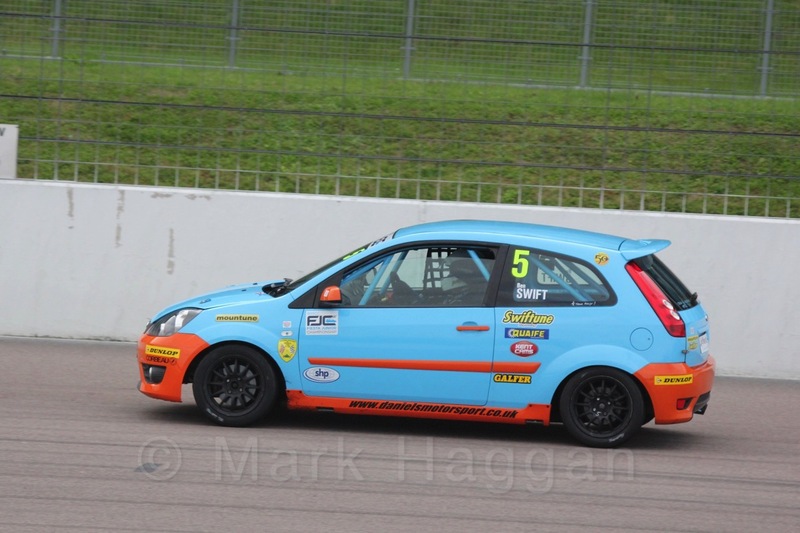 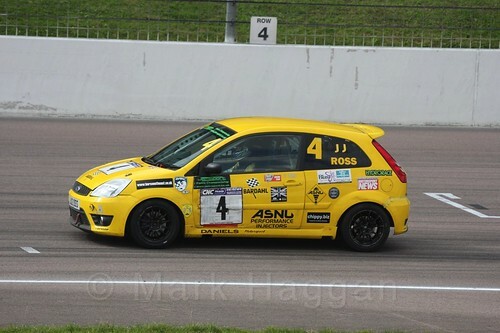 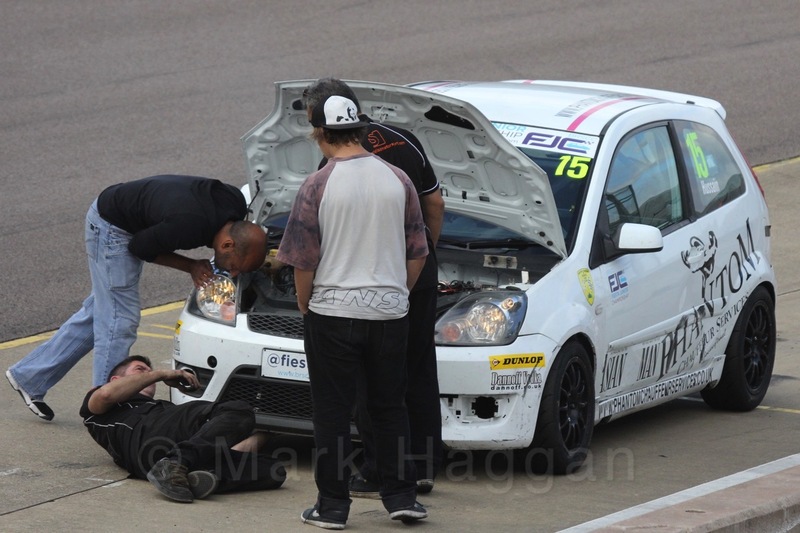 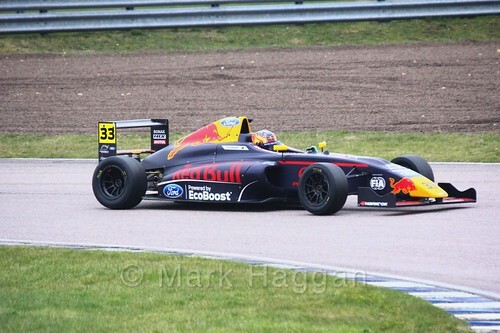 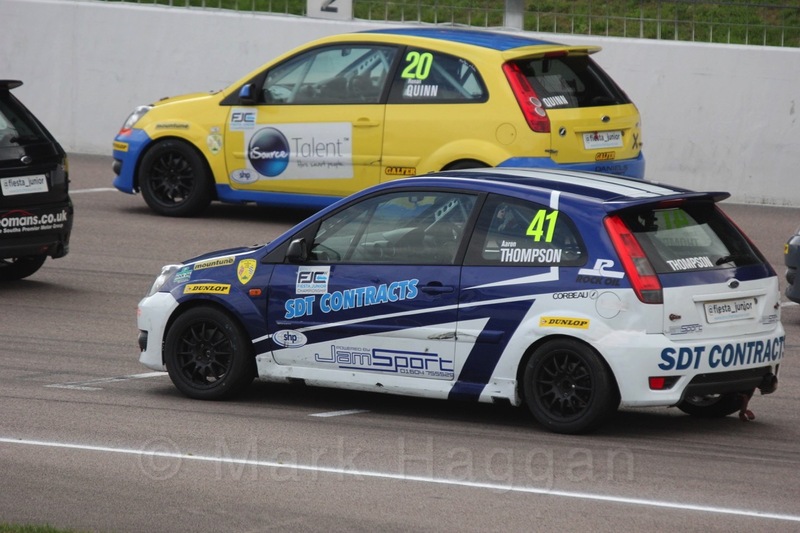 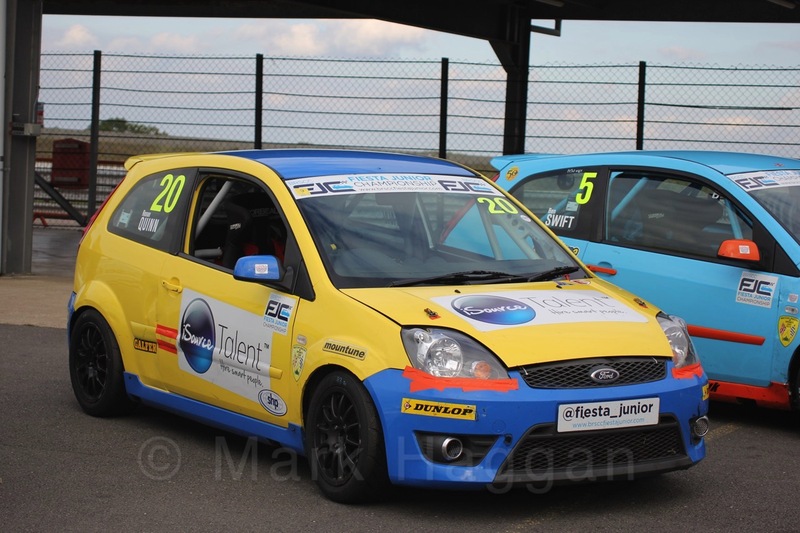 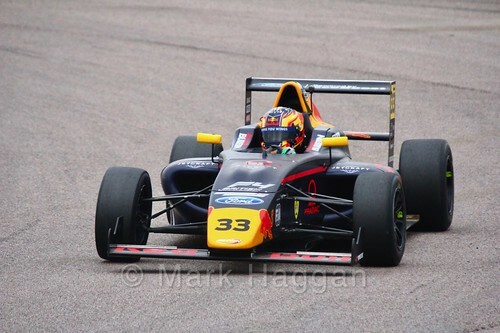 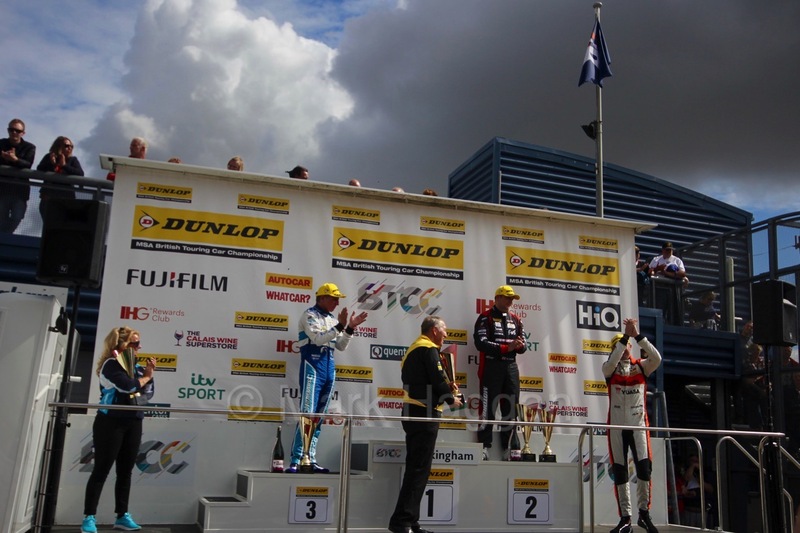 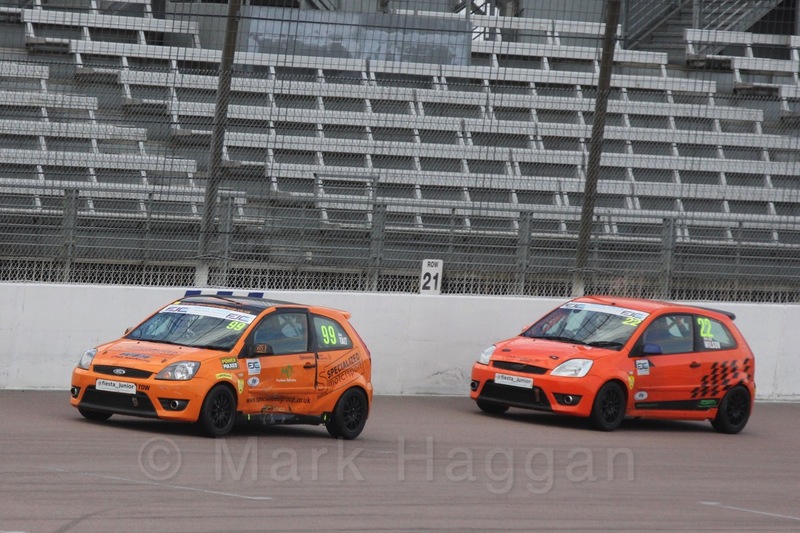 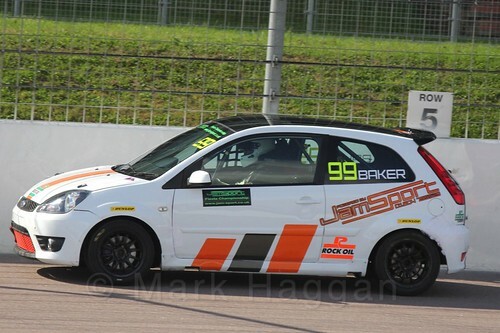 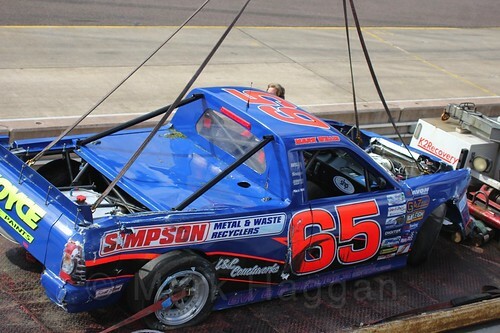 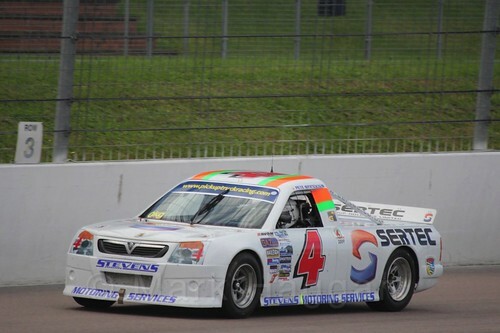 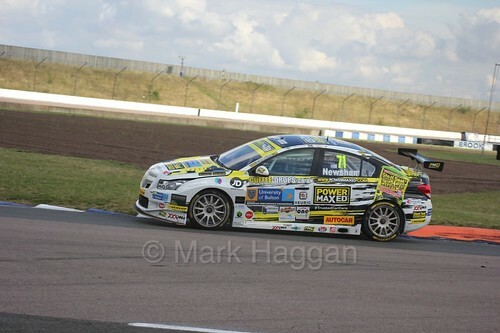 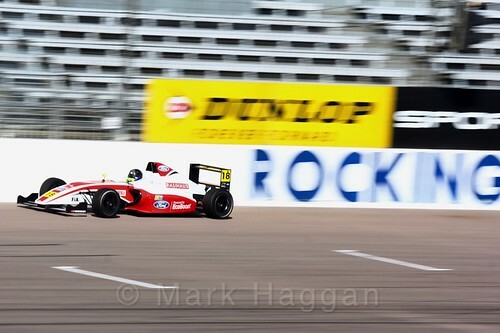 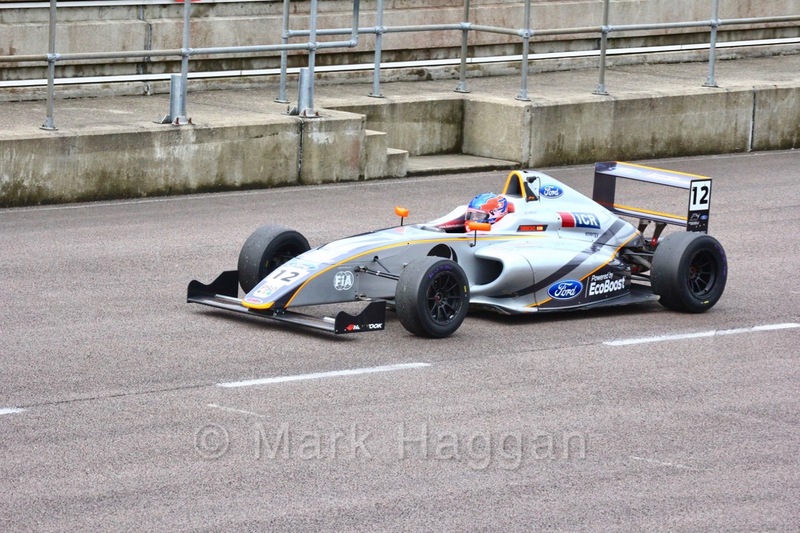 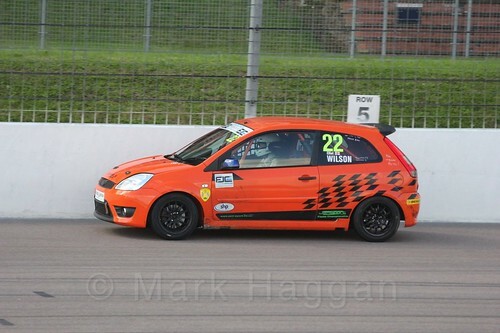 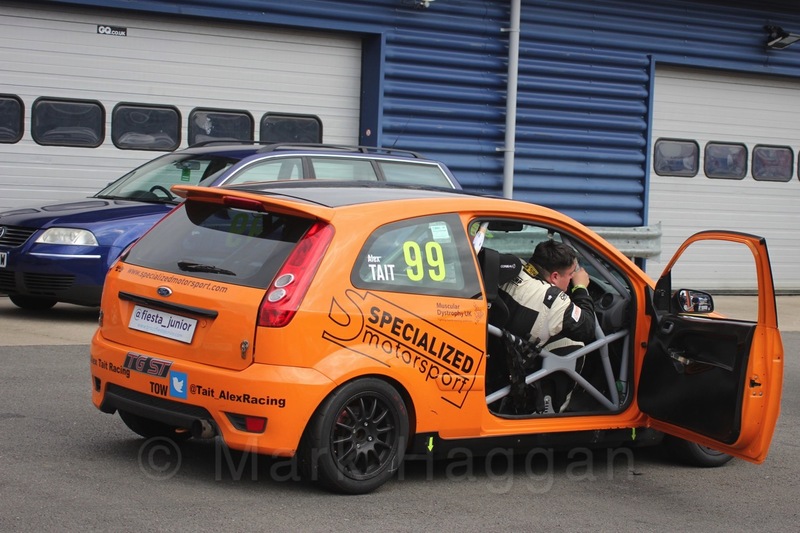 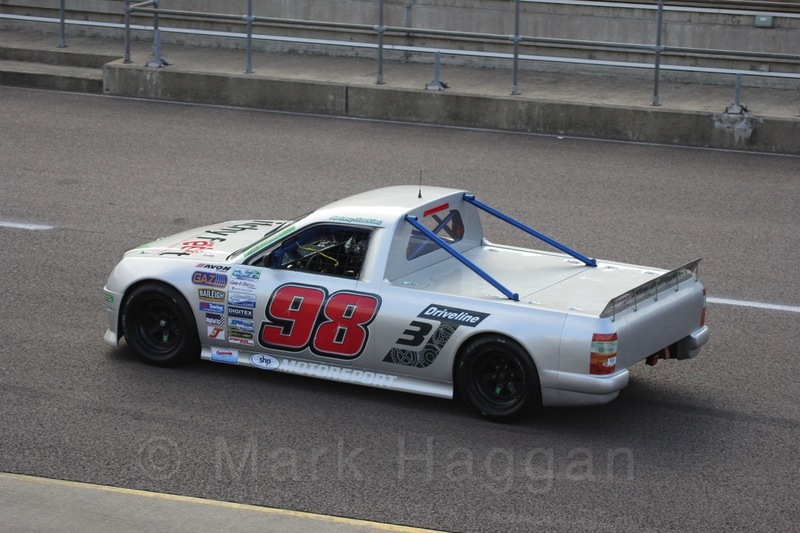 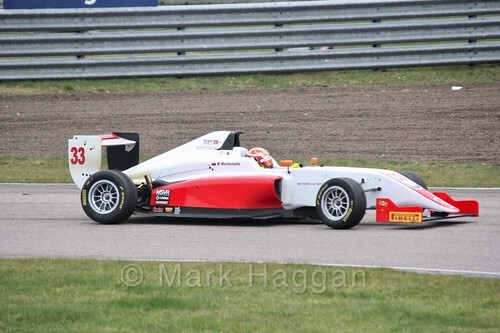 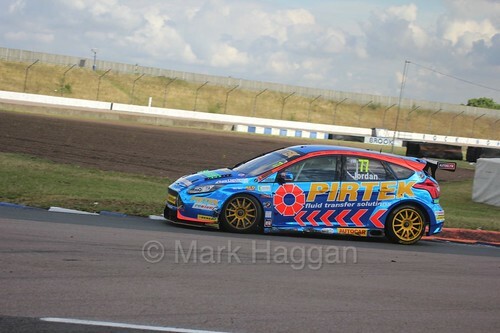 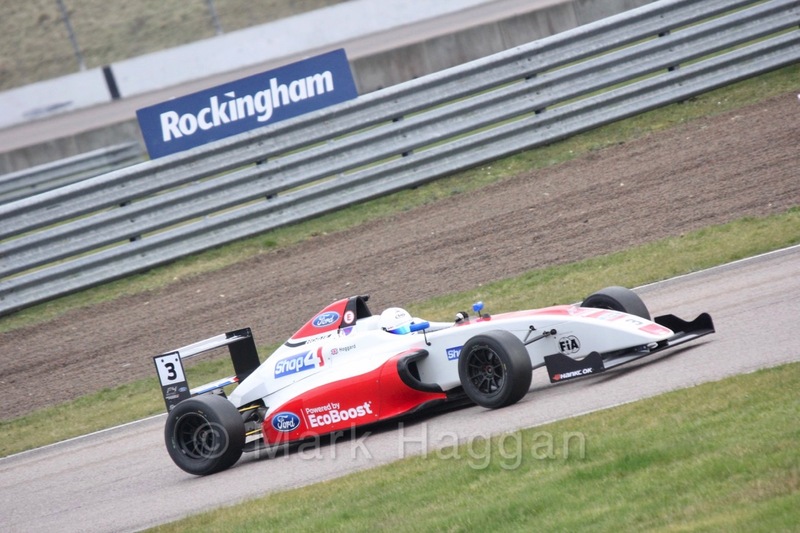 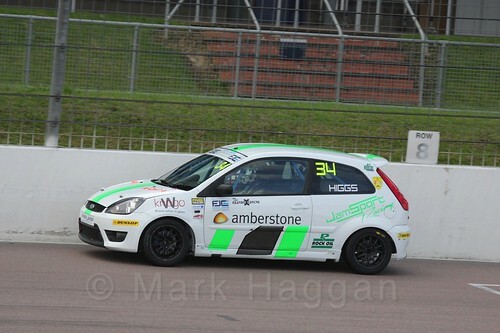 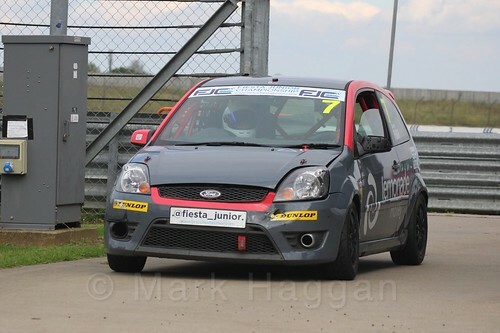 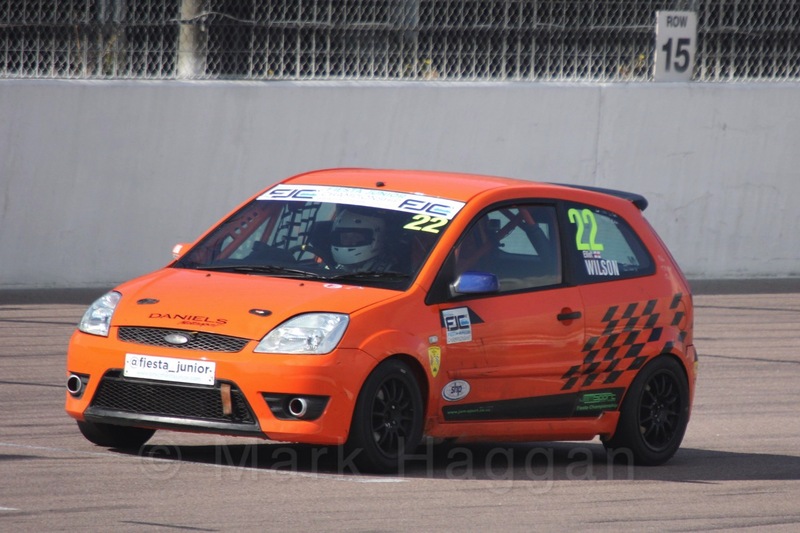 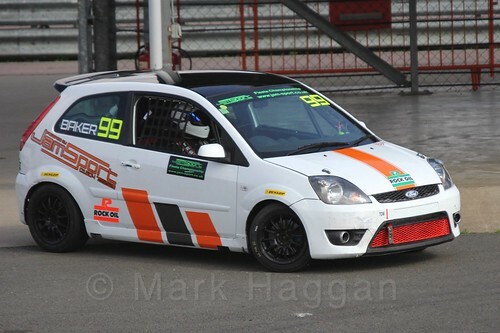 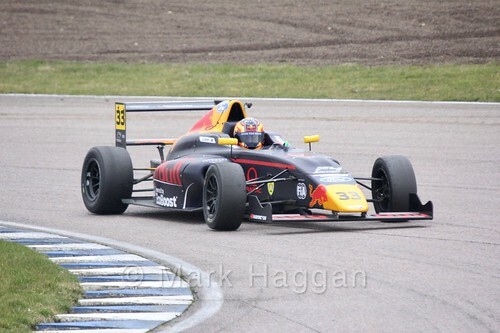 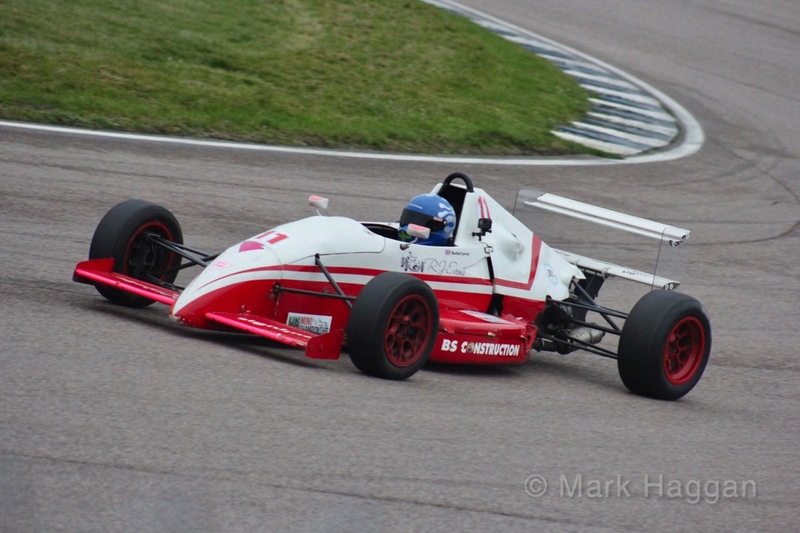 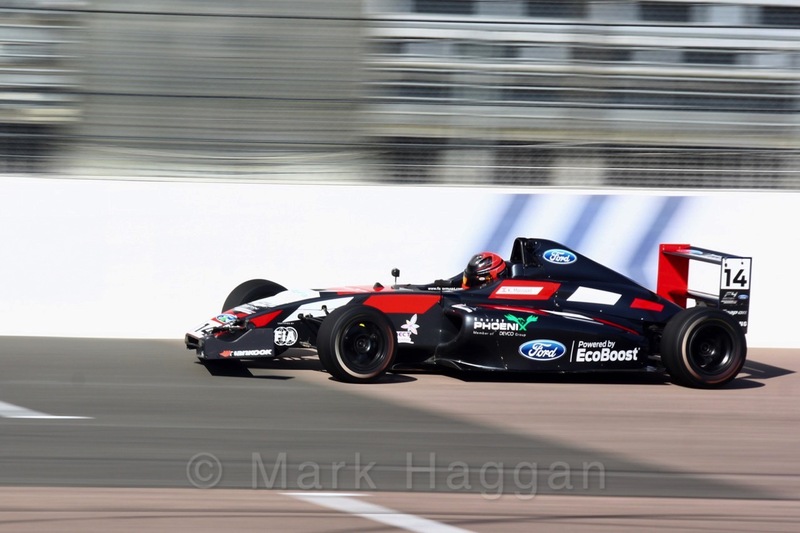 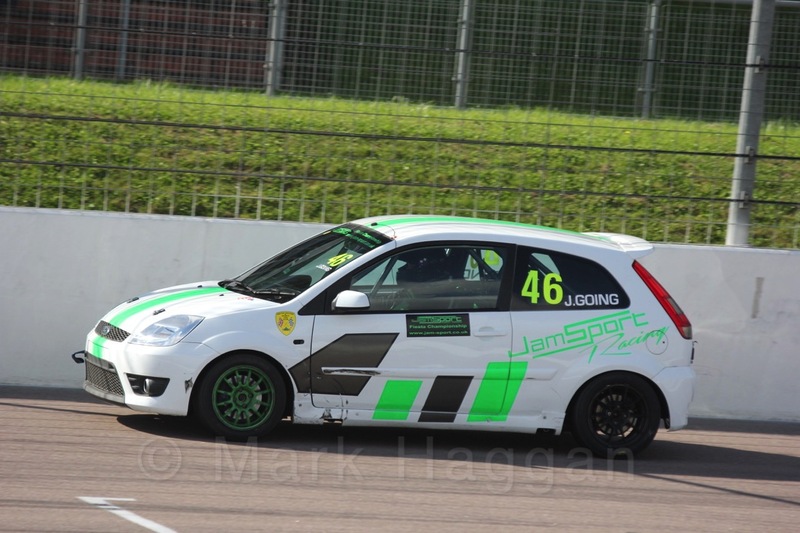 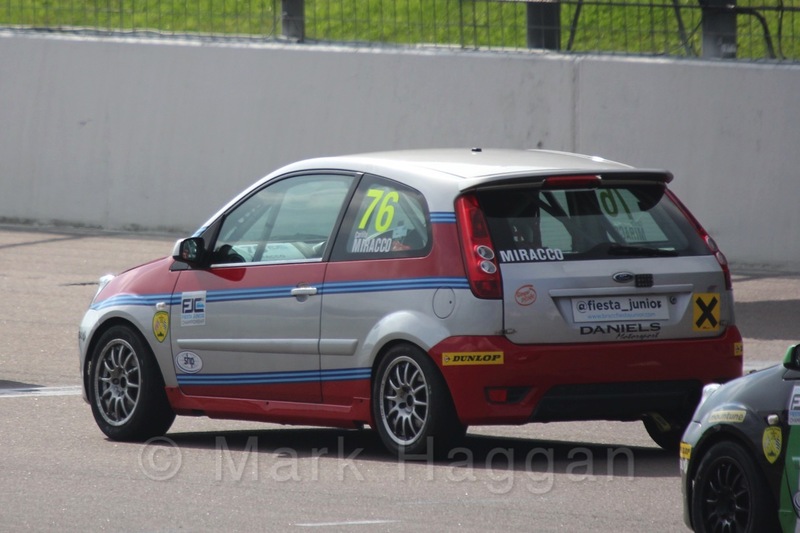 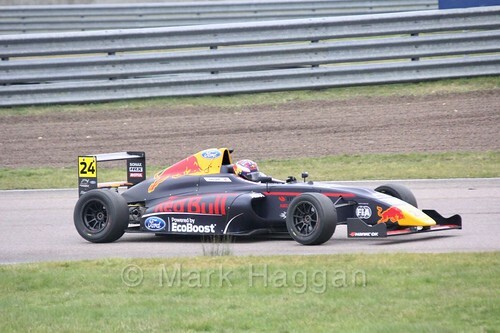 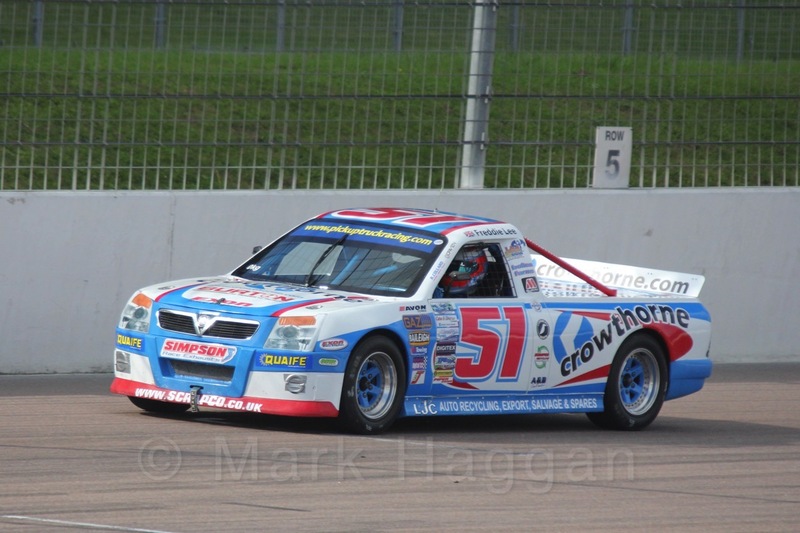 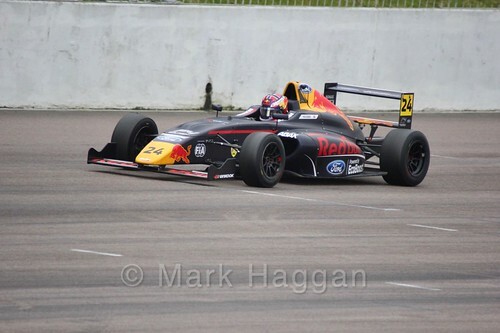 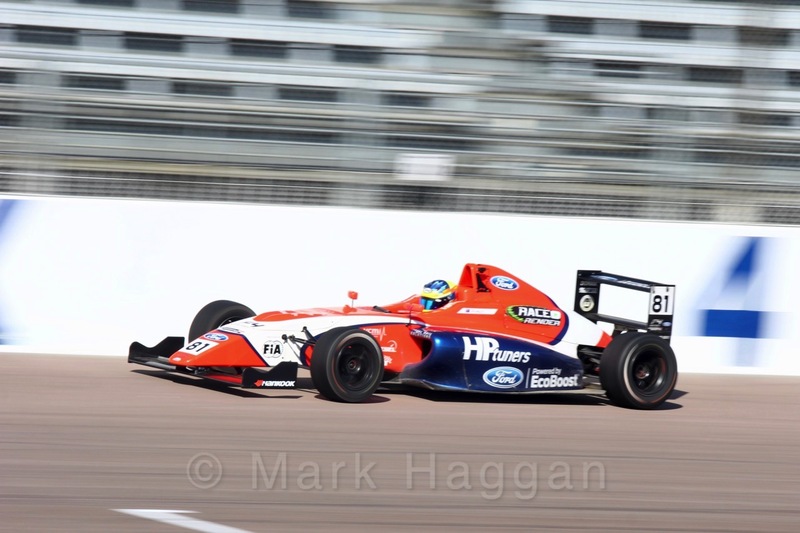 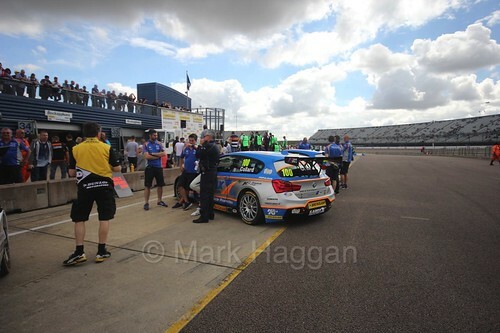 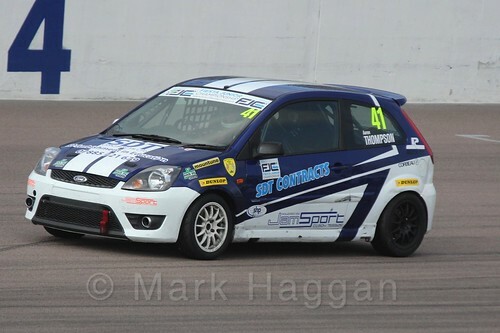 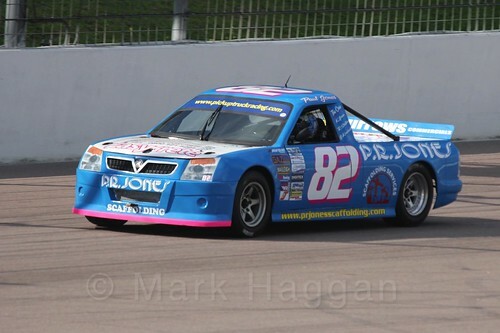 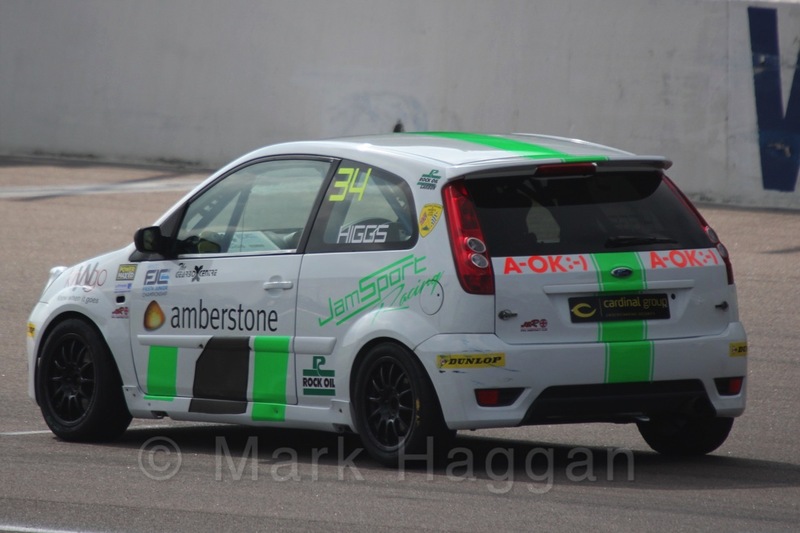 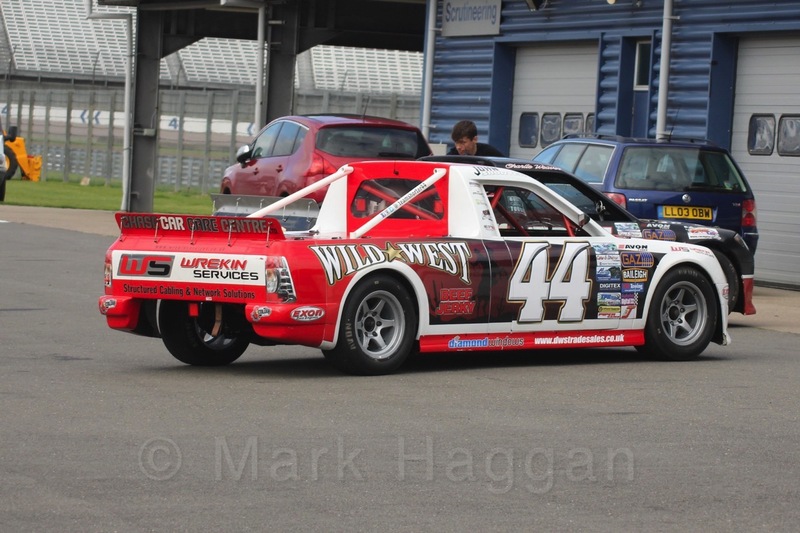 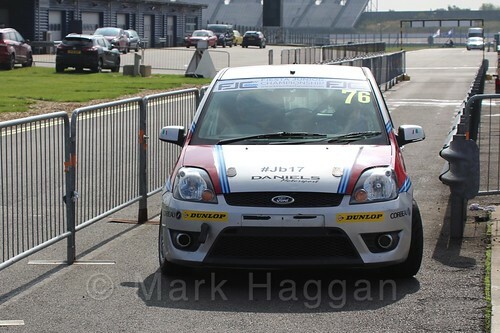 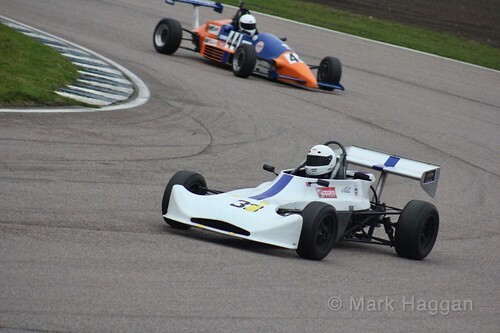 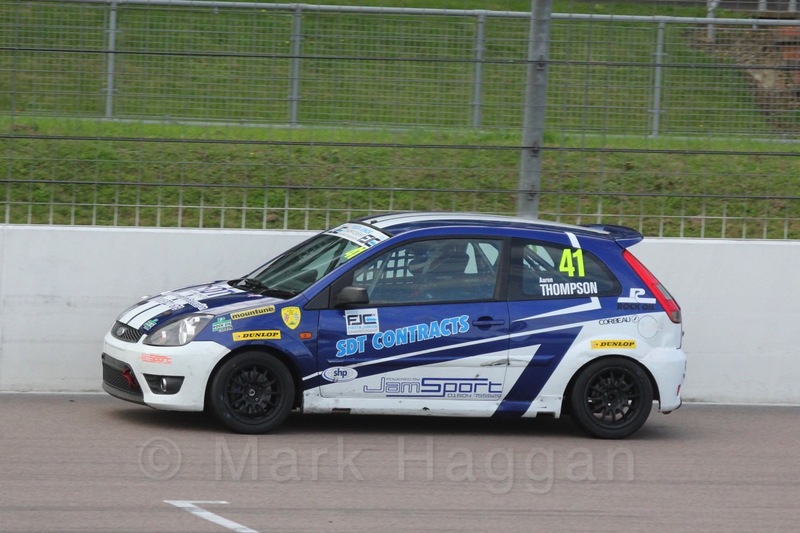 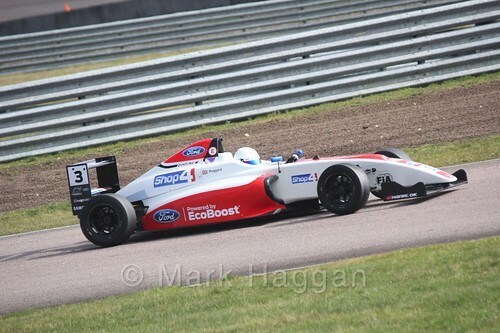 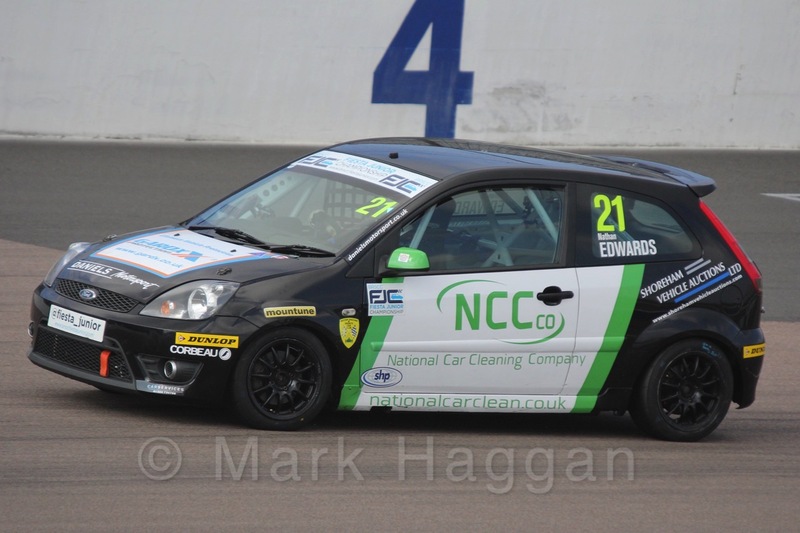 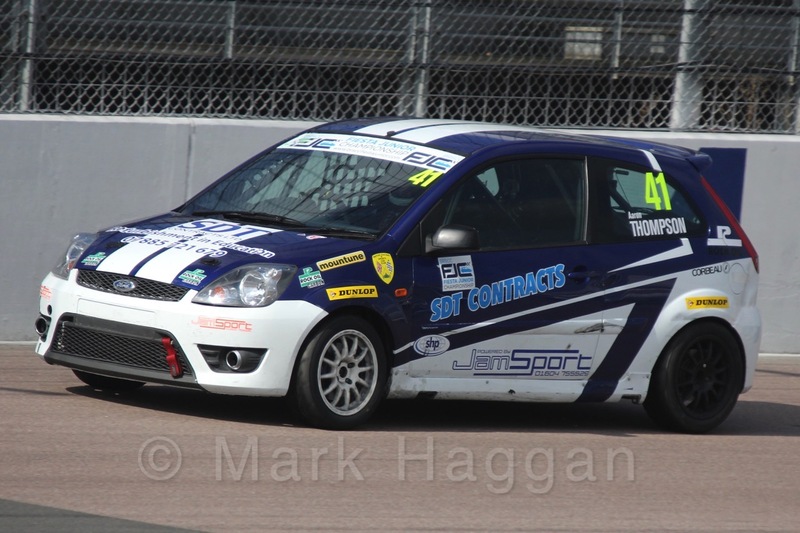 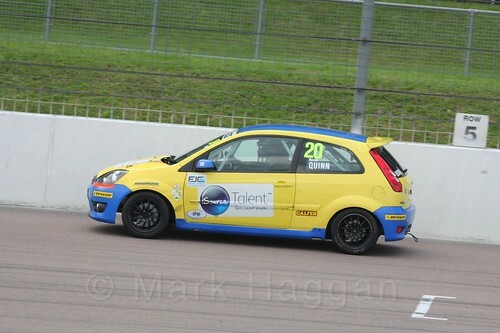 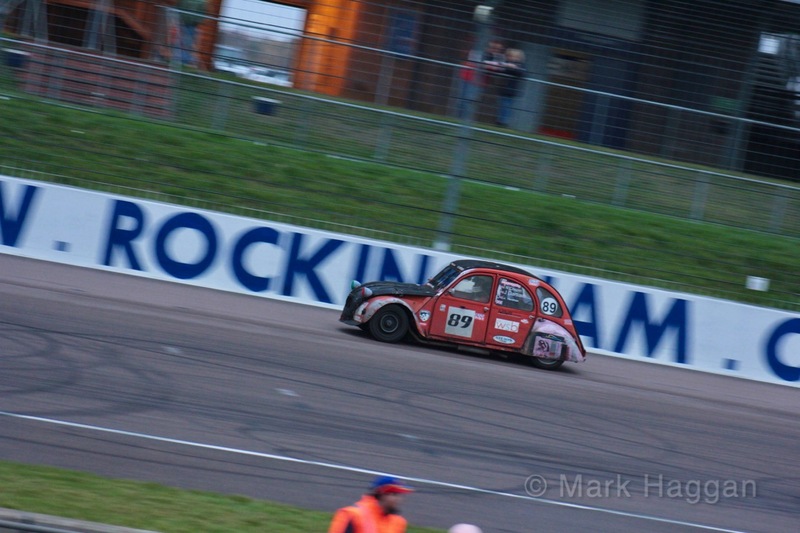 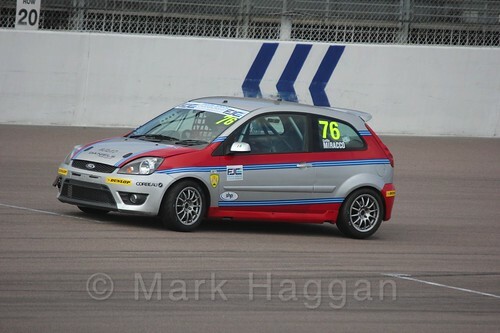 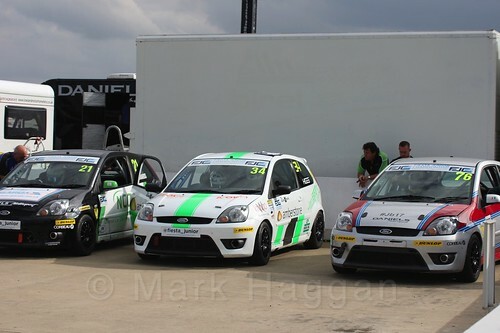 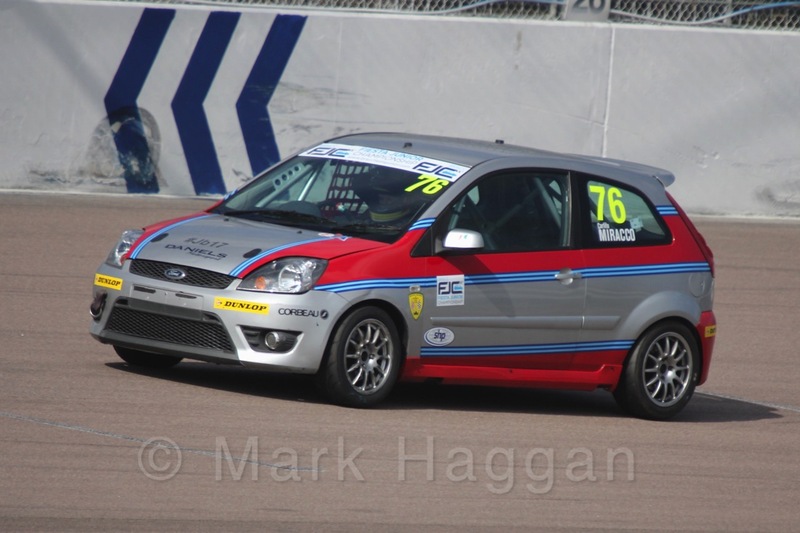 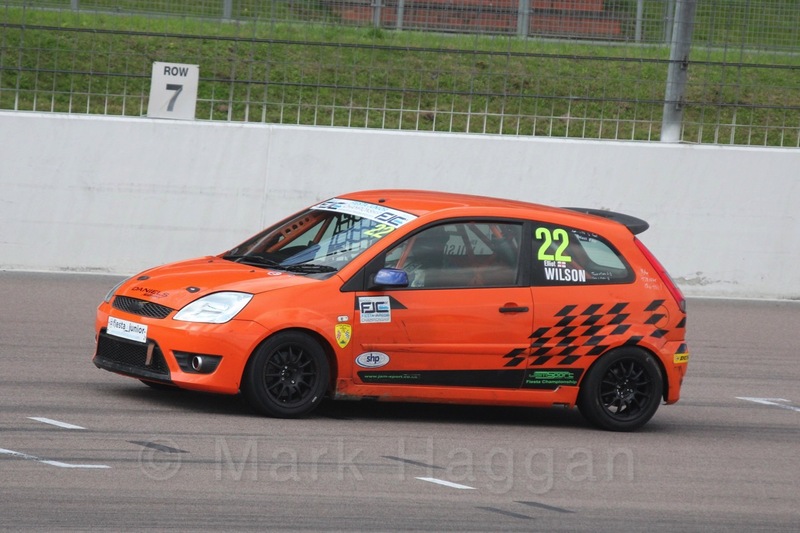 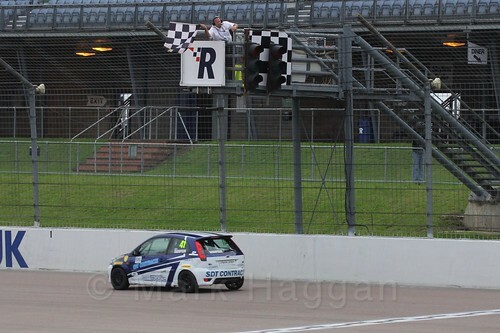 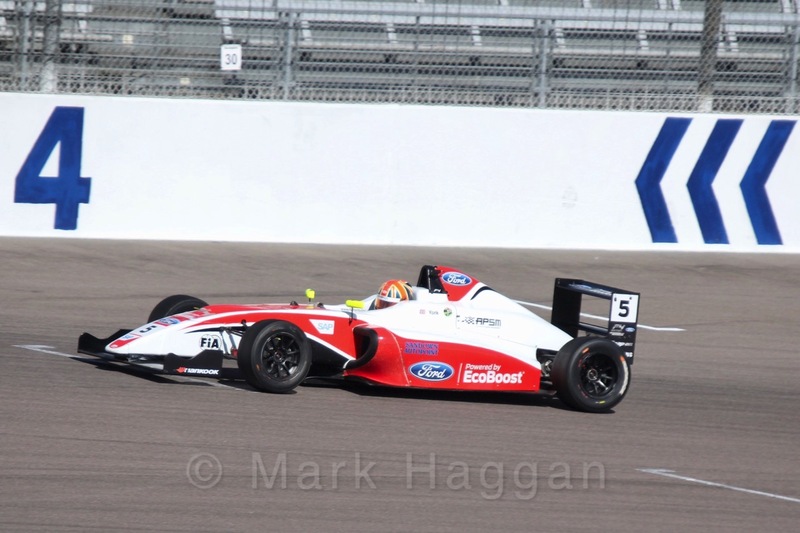 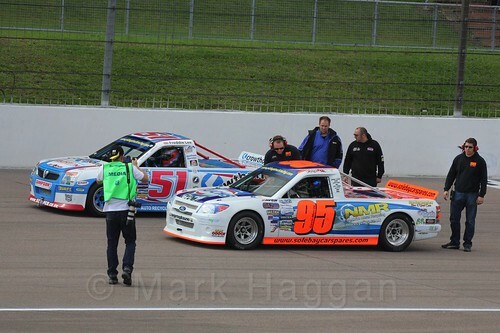 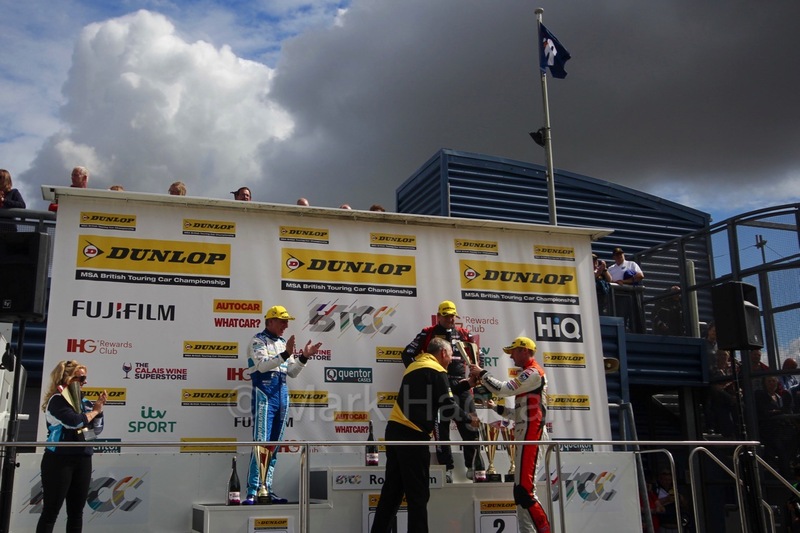 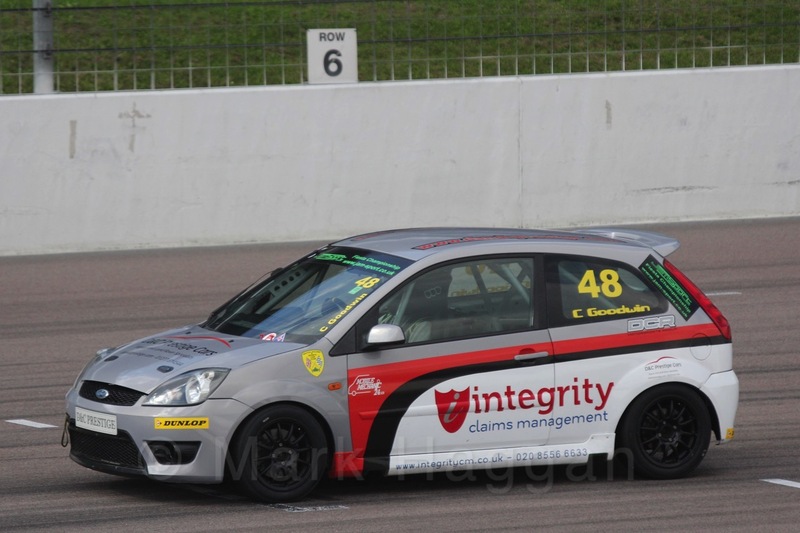 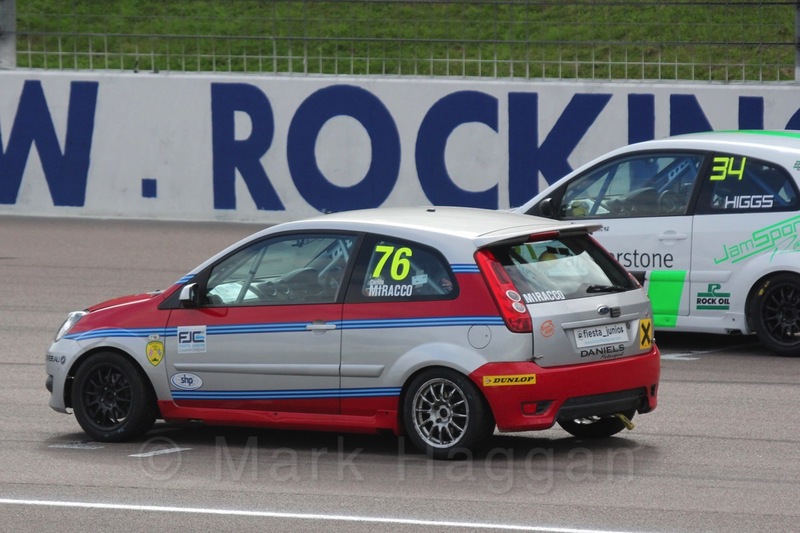 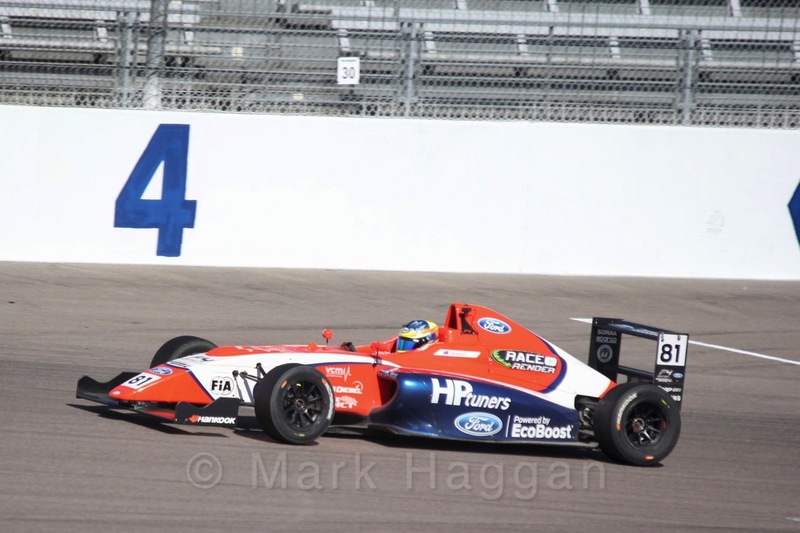 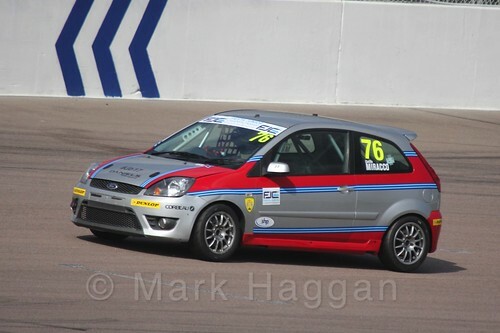 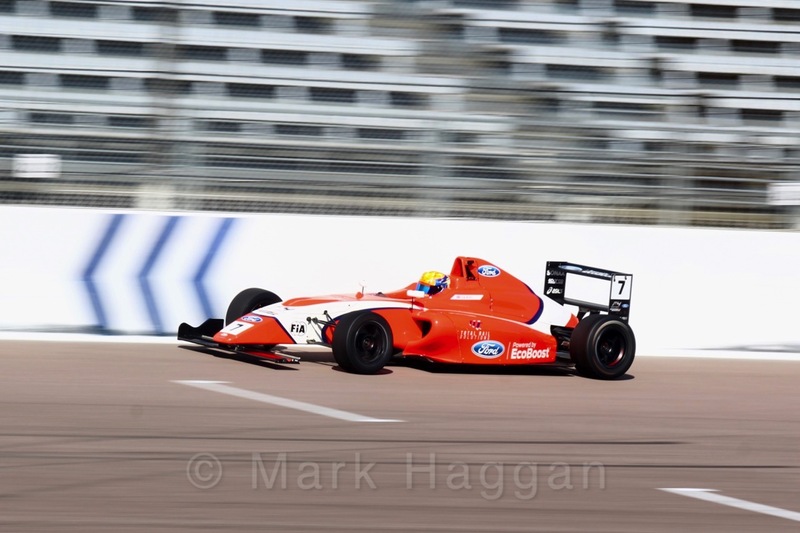 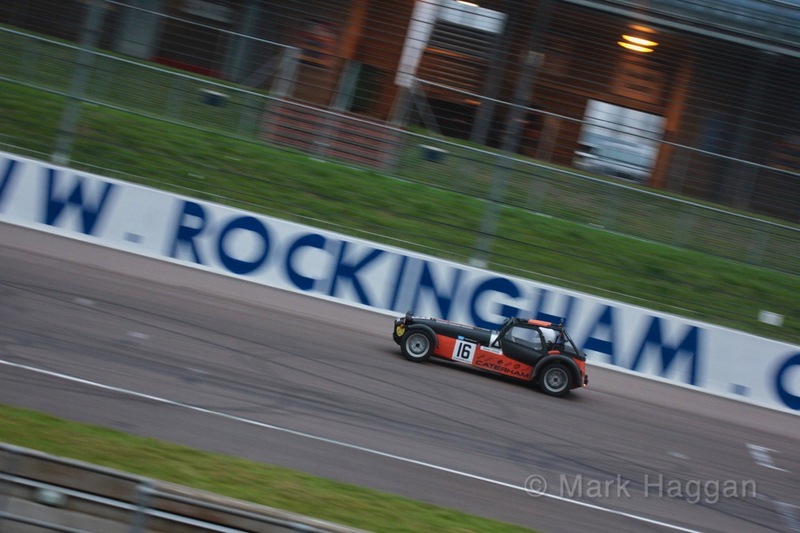 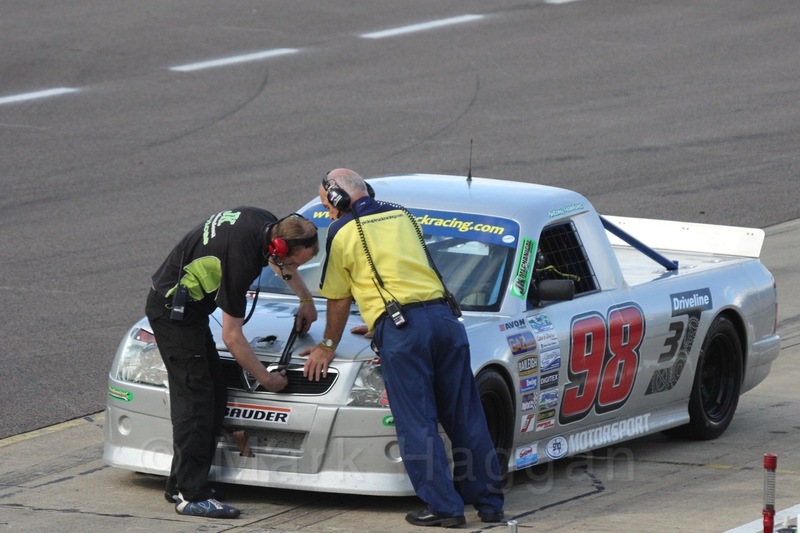 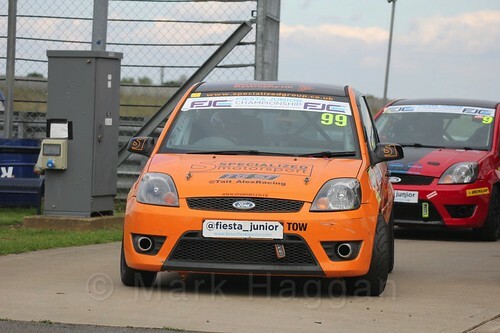 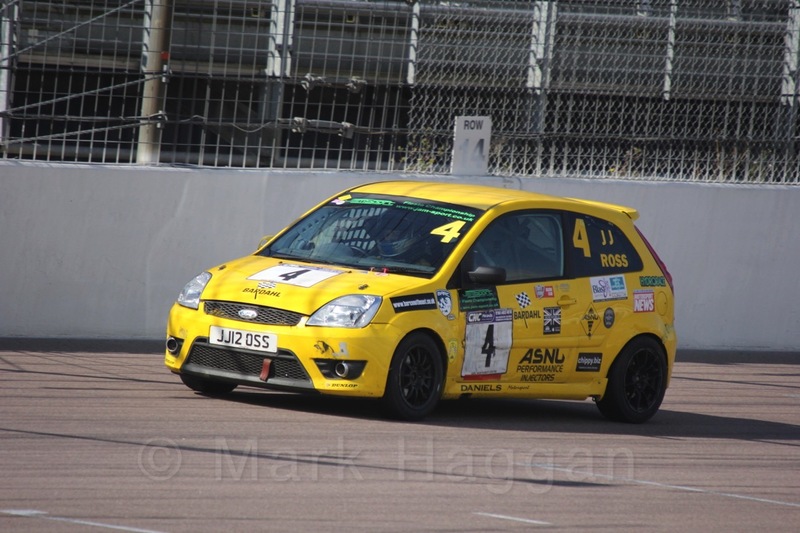 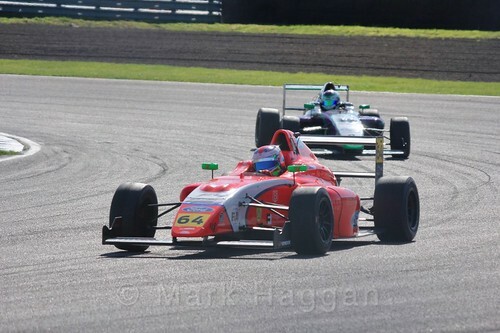 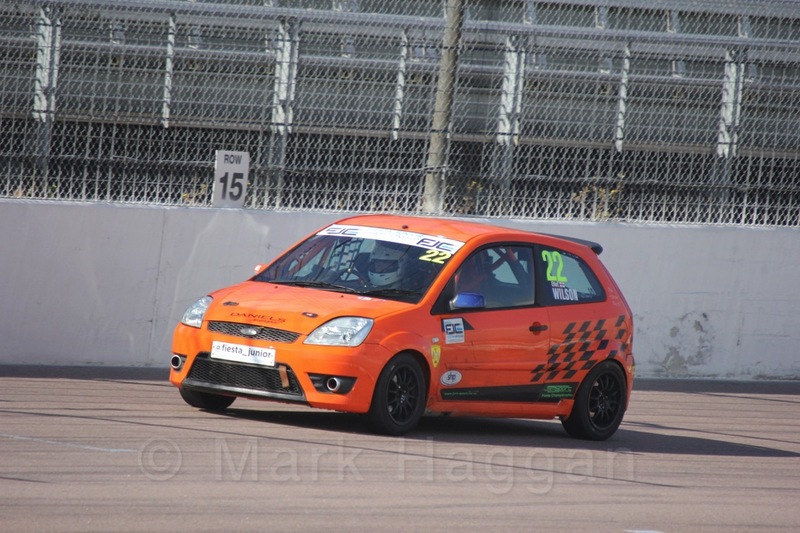 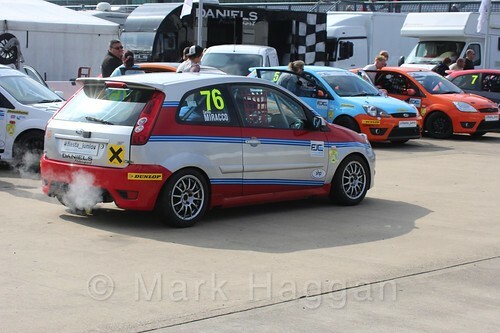 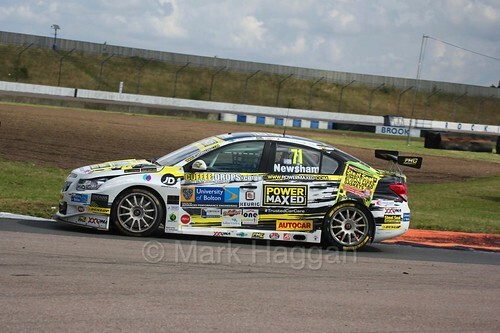 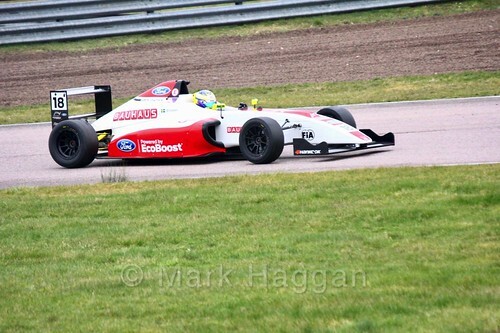 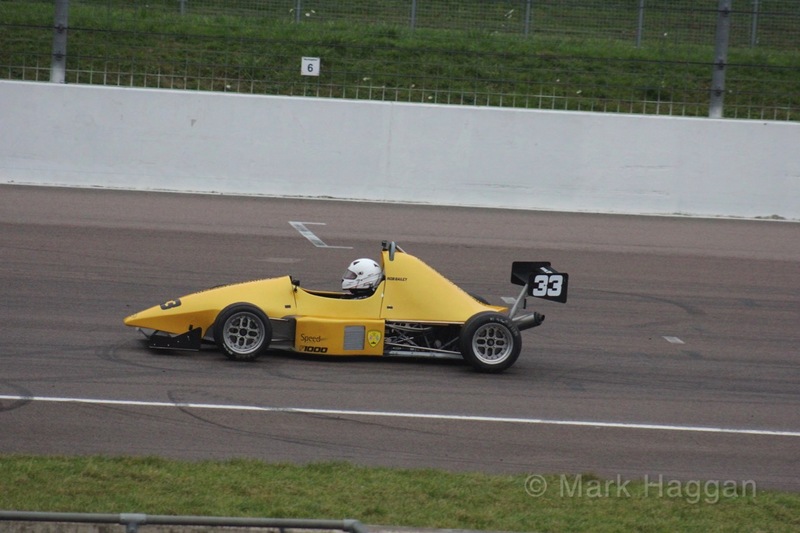 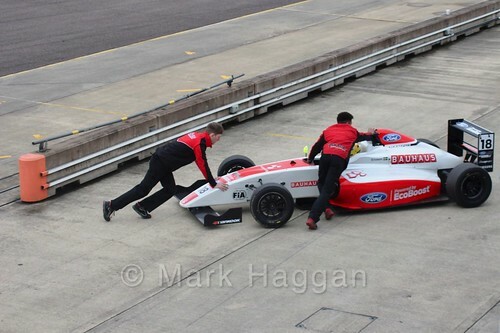 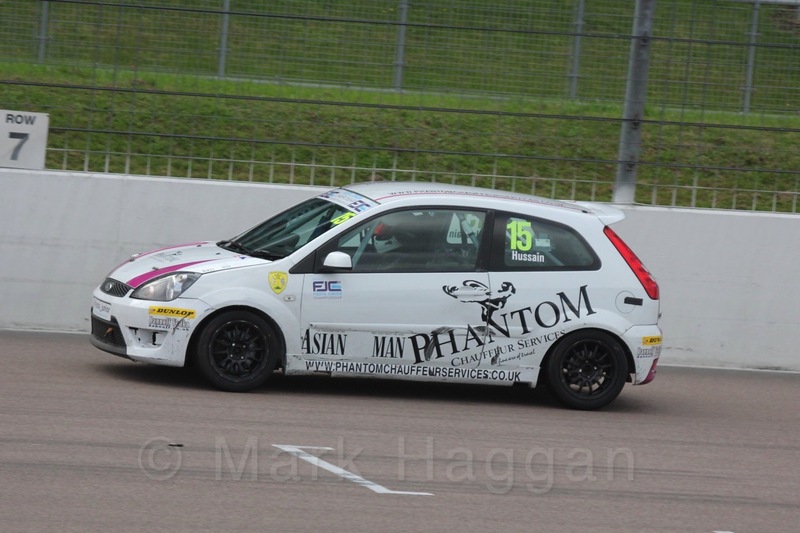 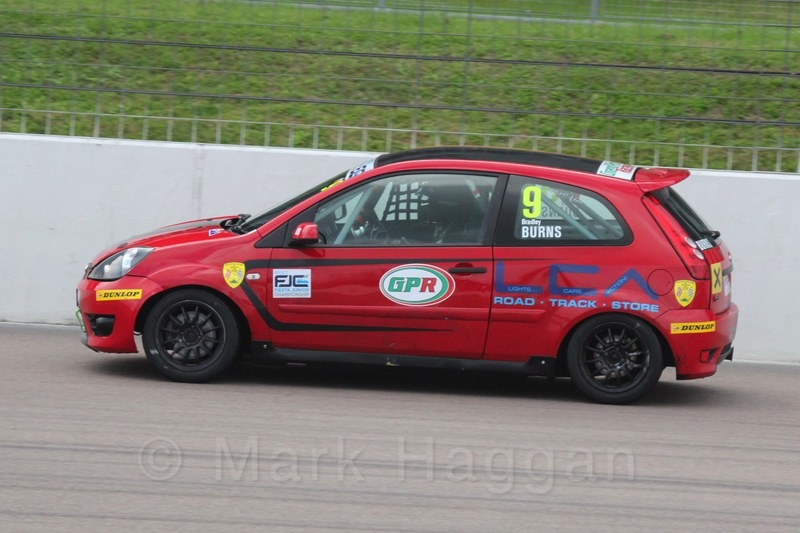 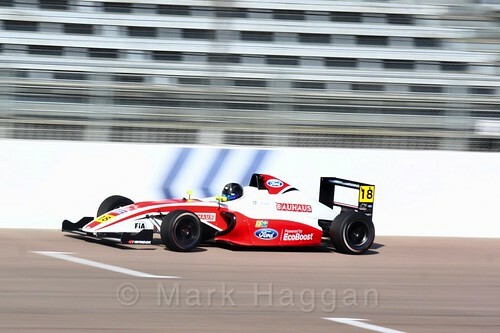 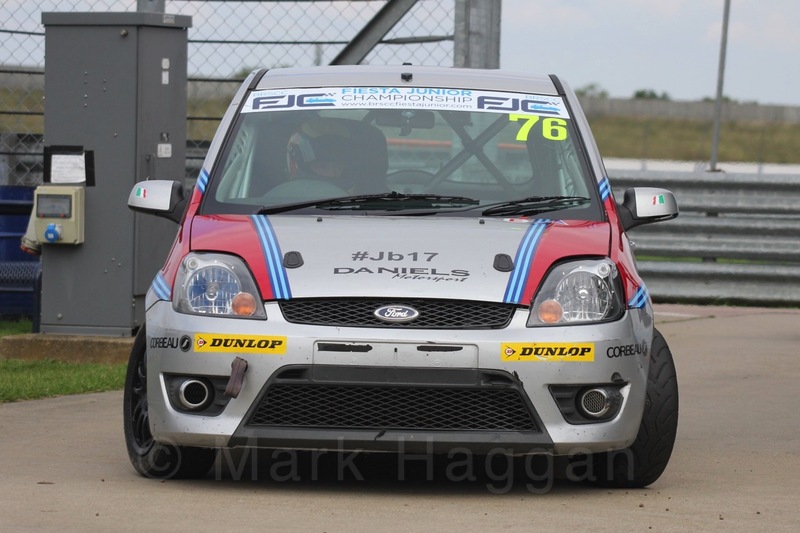 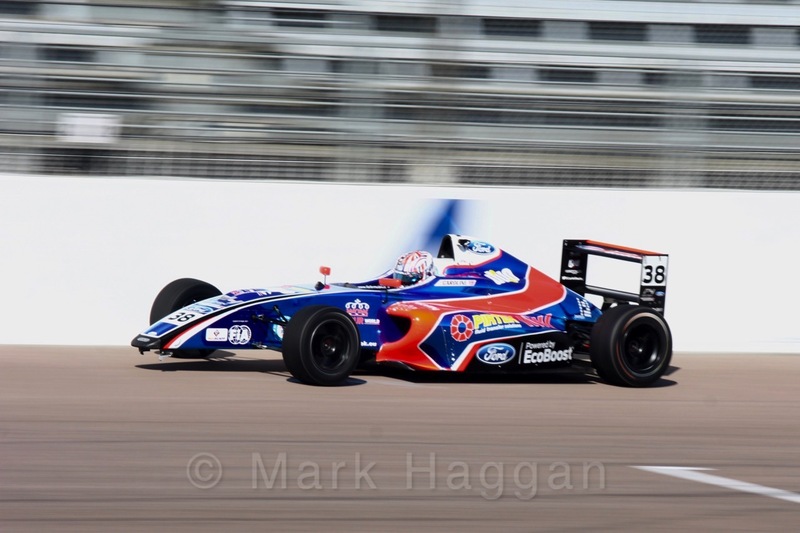 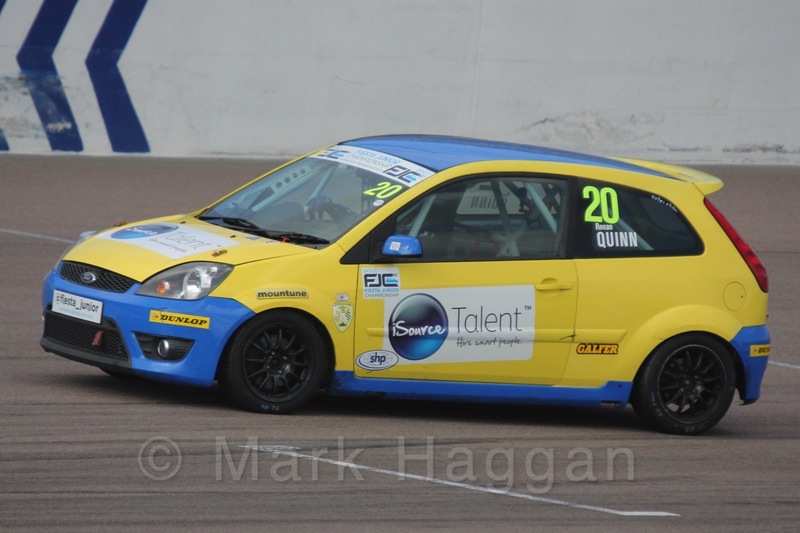 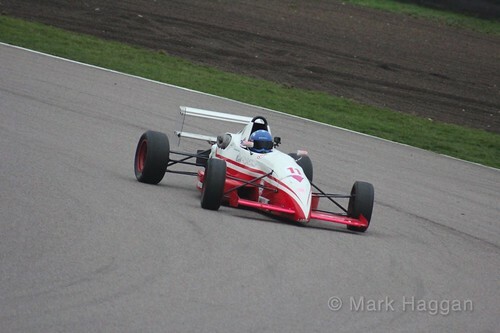 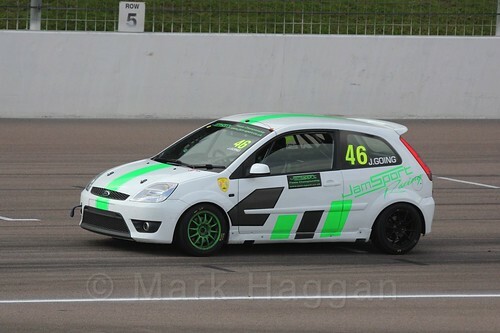 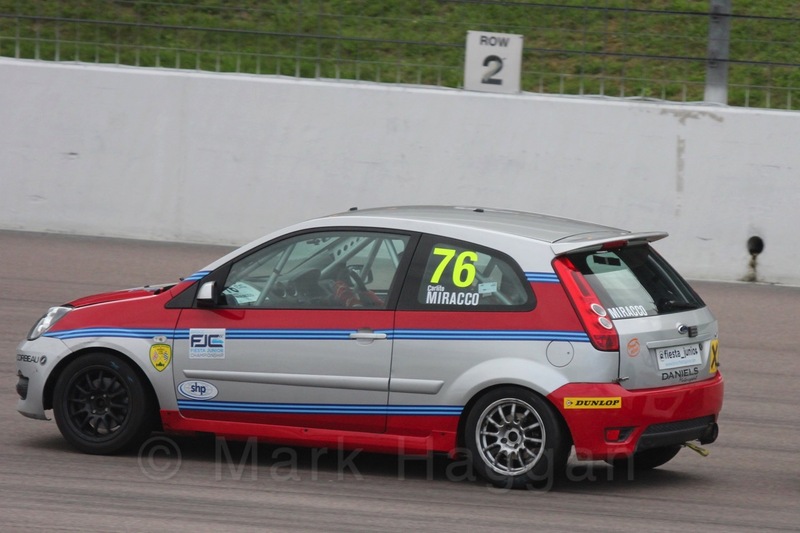 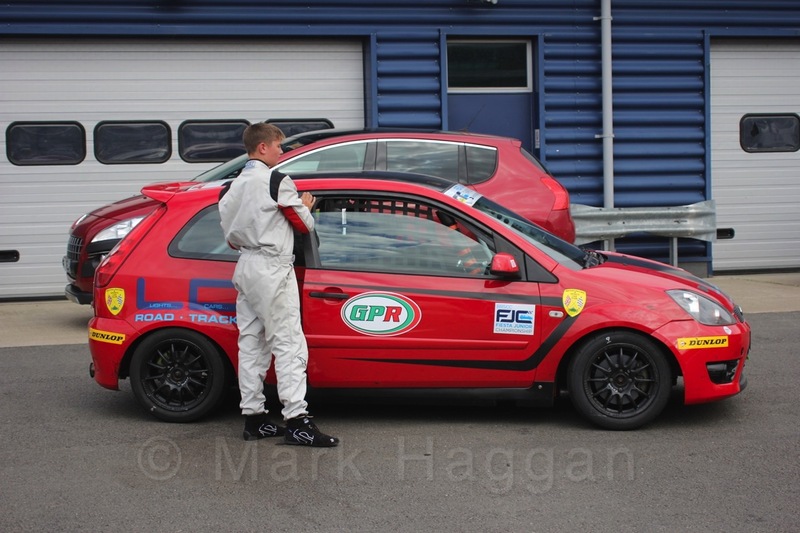 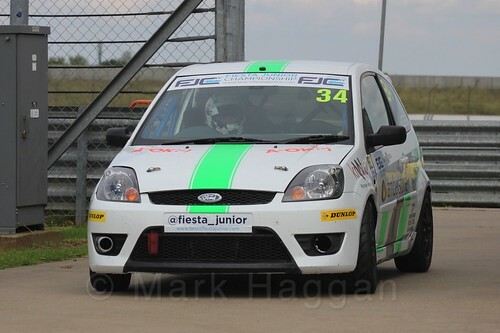 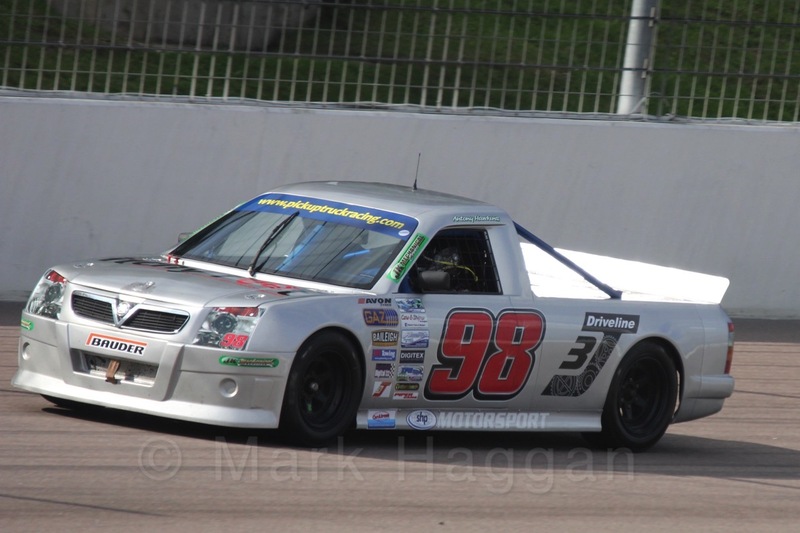 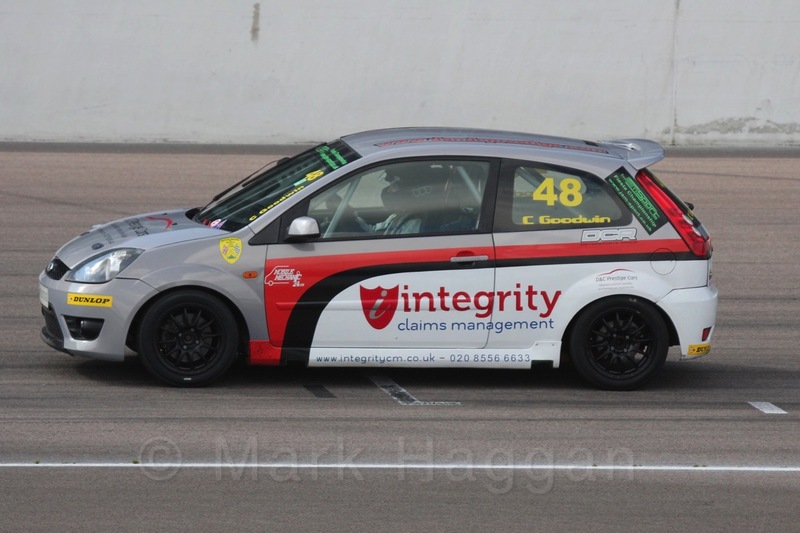 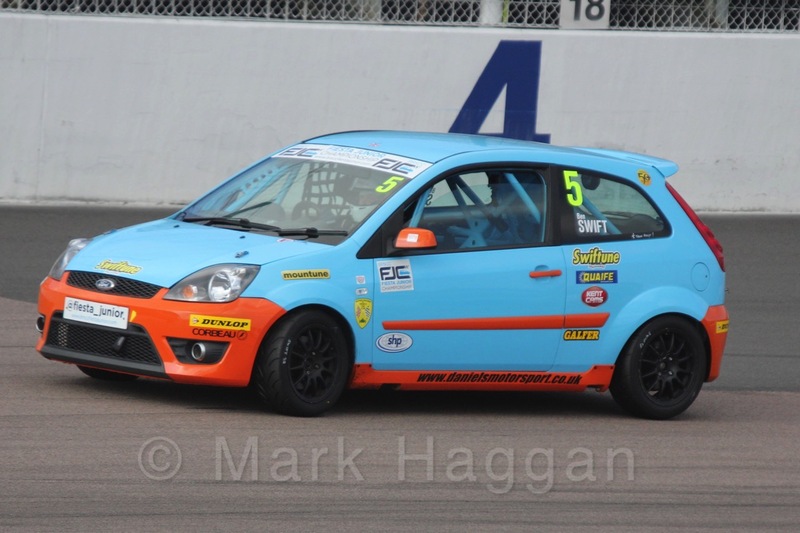 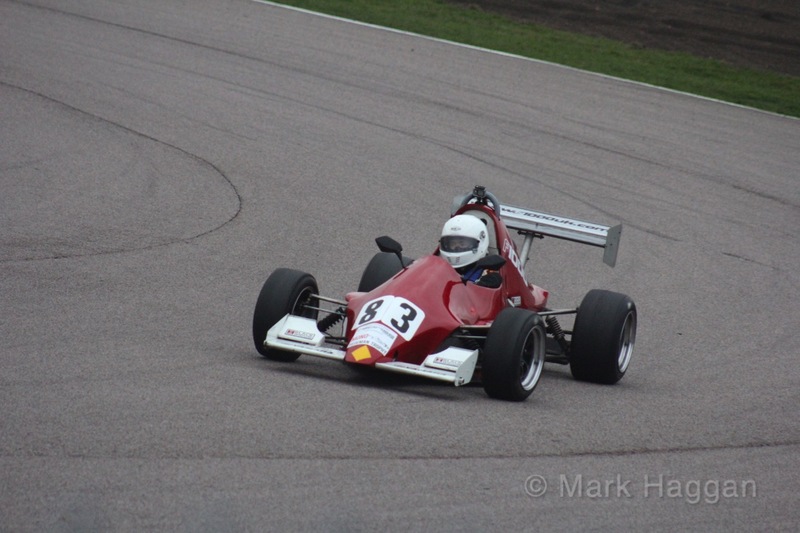 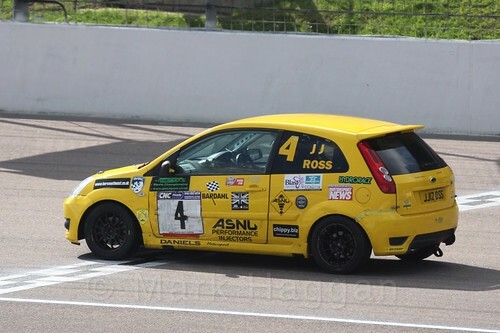 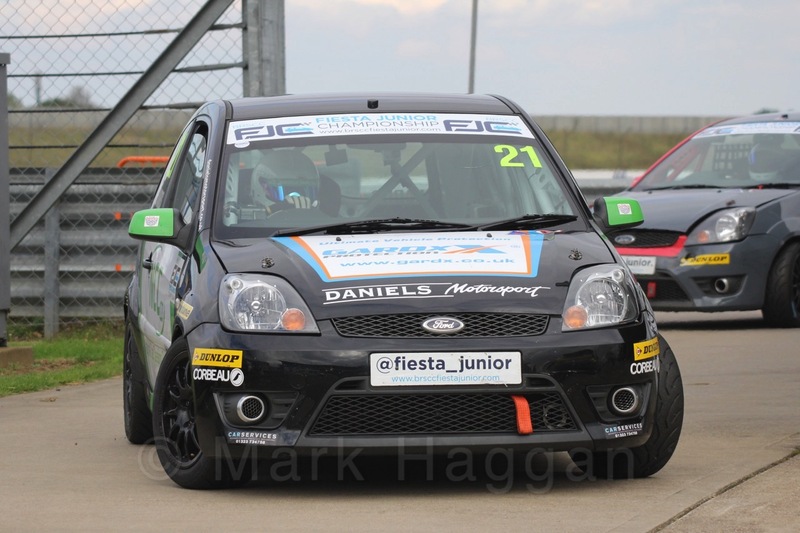 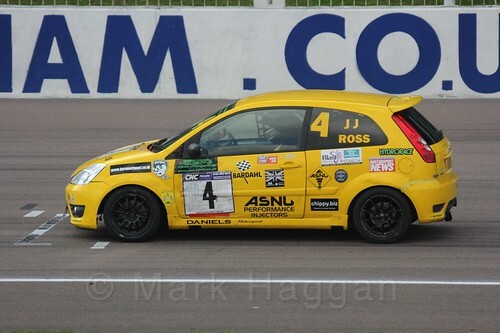 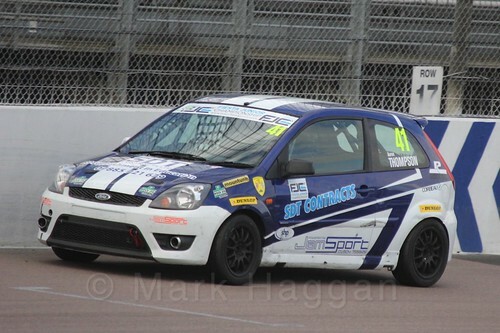 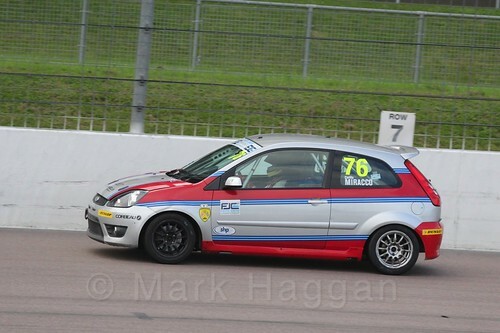 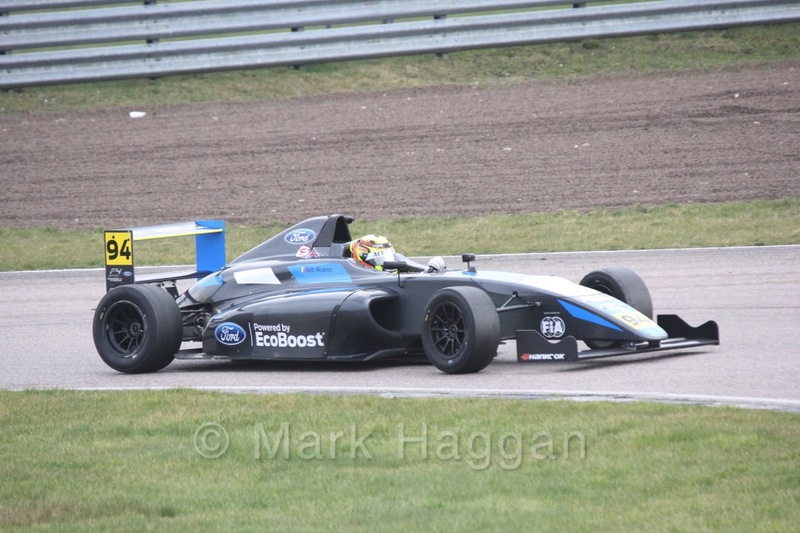 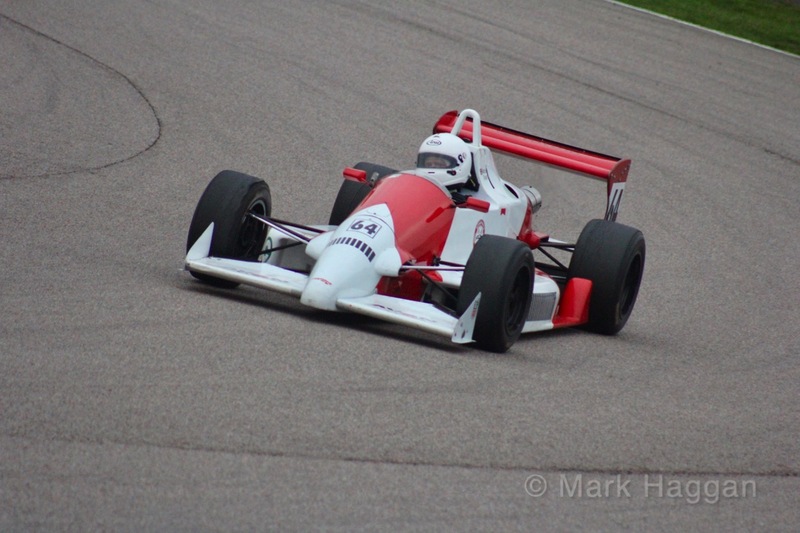 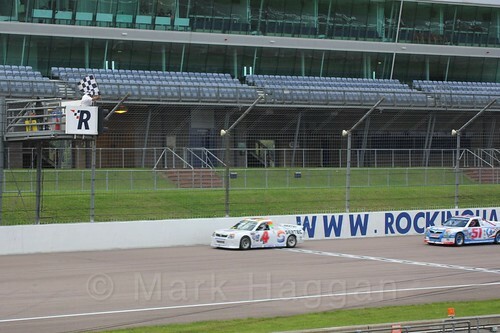 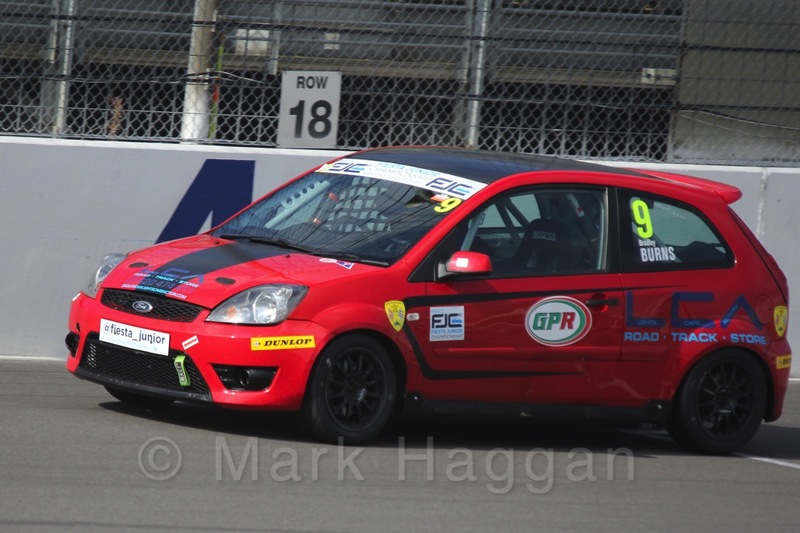 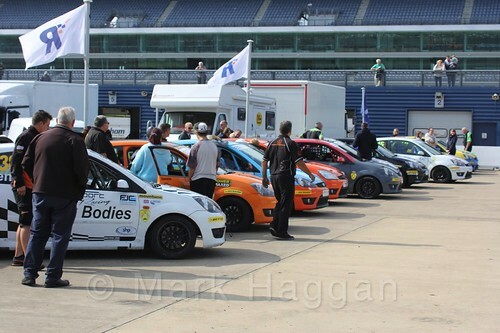 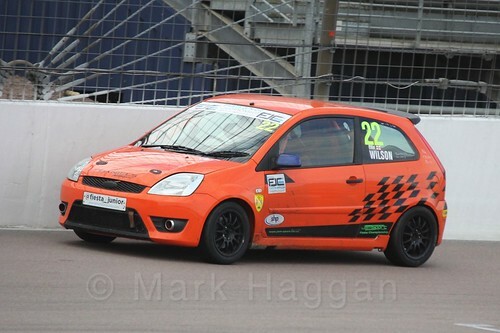 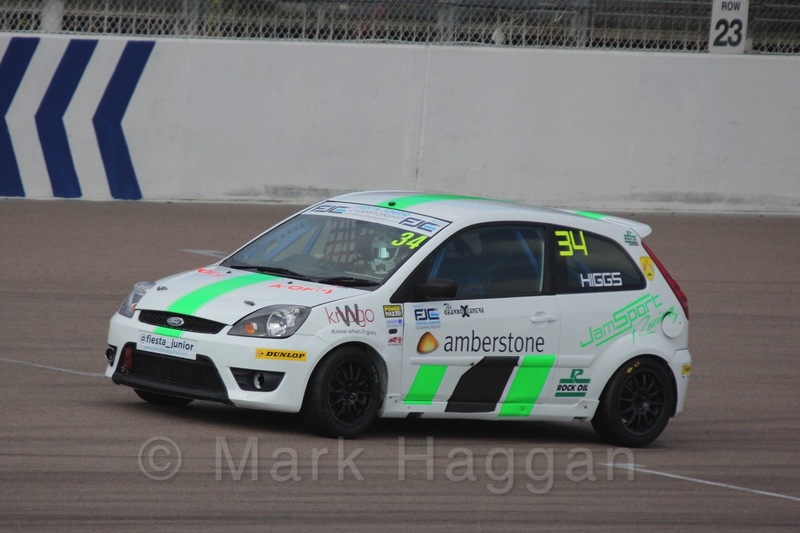 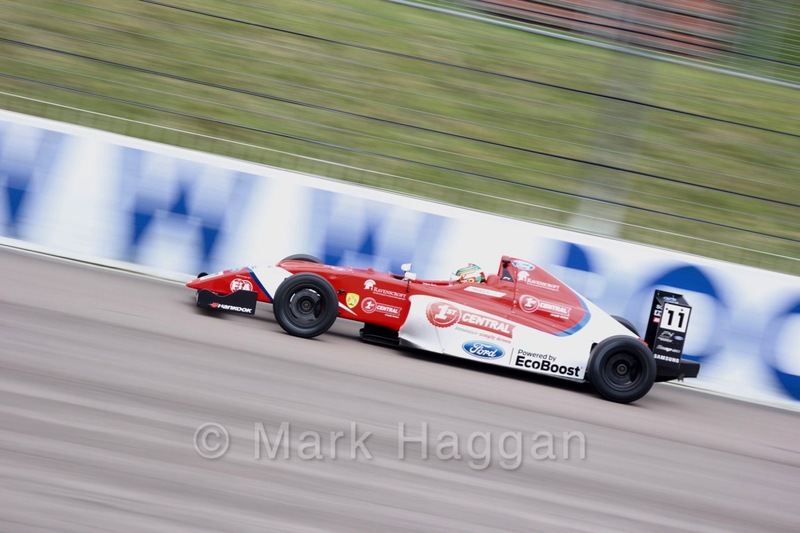 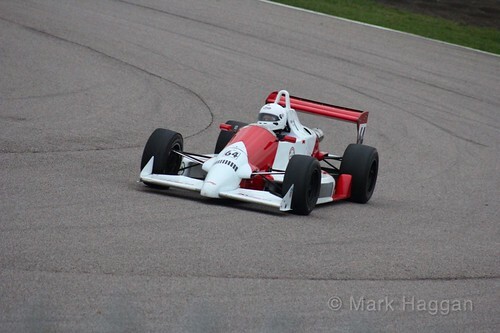 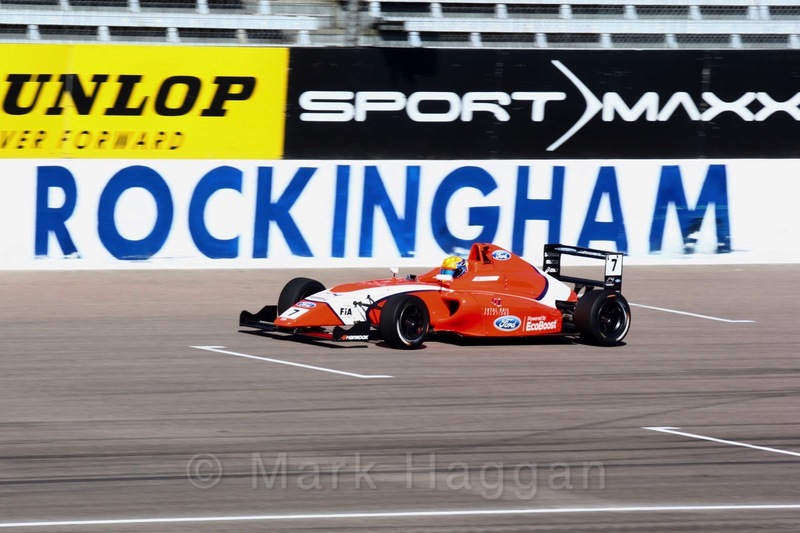 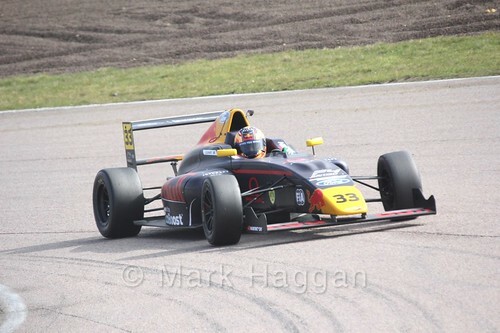 Below are some photos of the final event at Rockingham, and then of various events at Rockingham over the years. 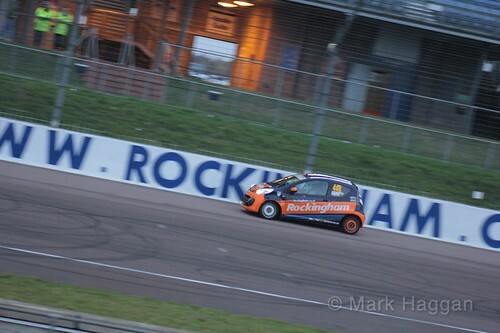 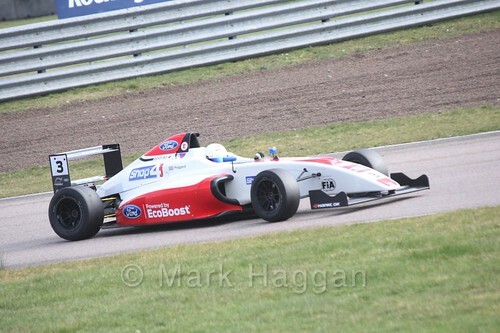 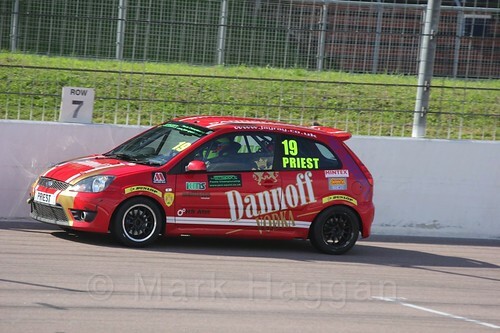 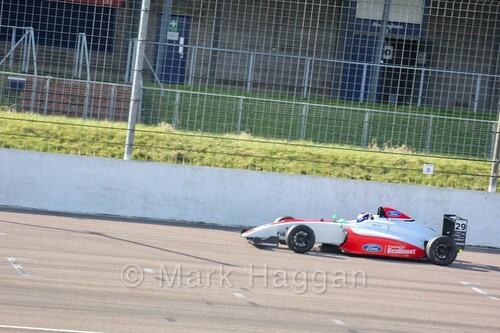 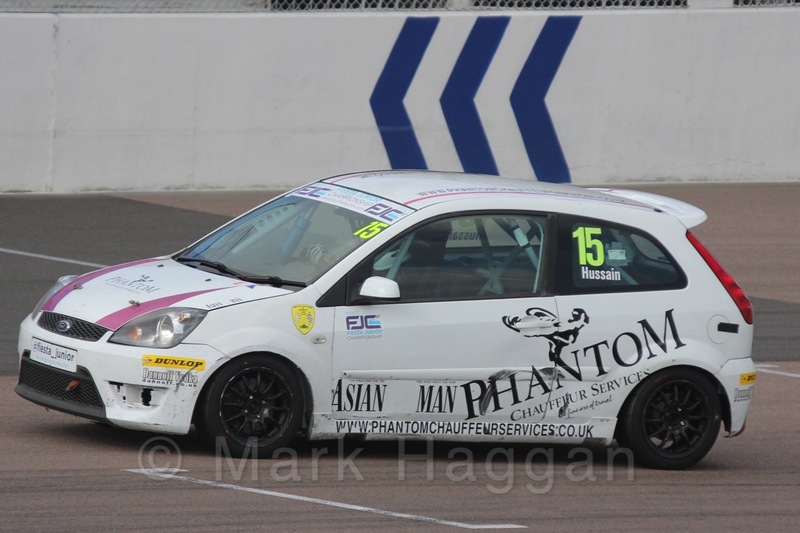 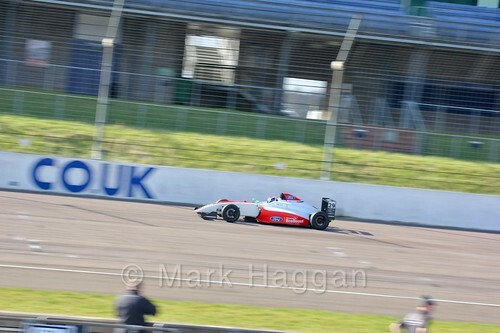 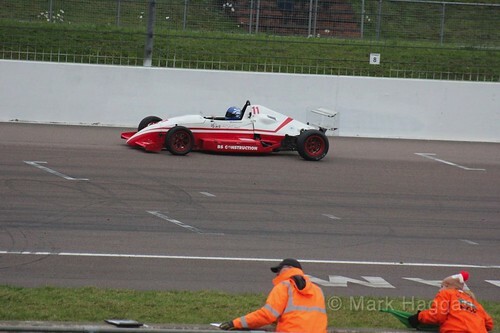 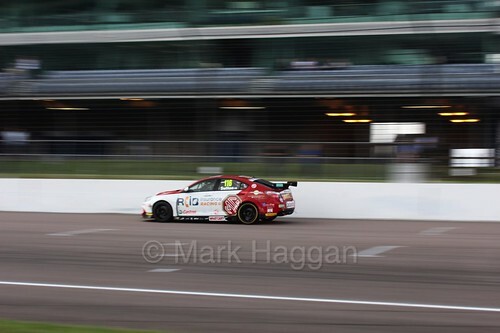 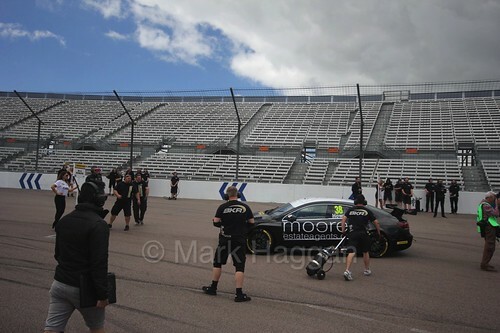 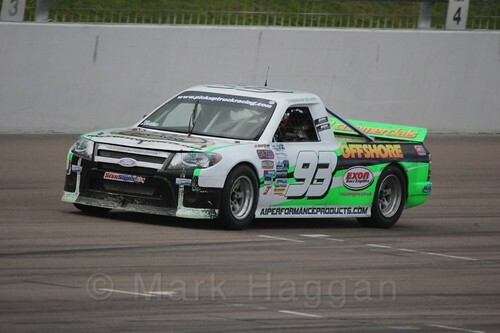 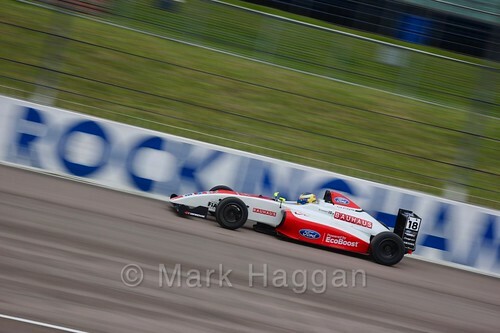 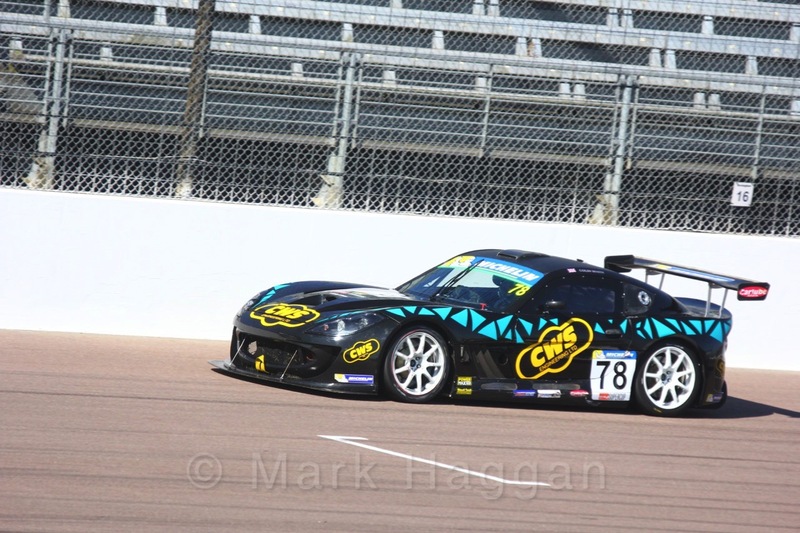 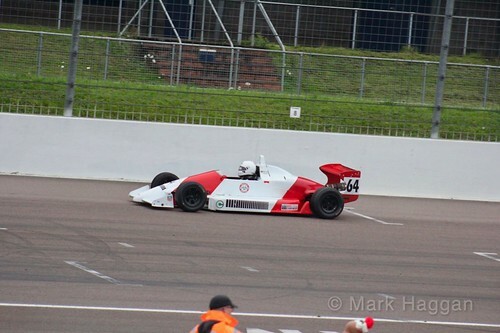 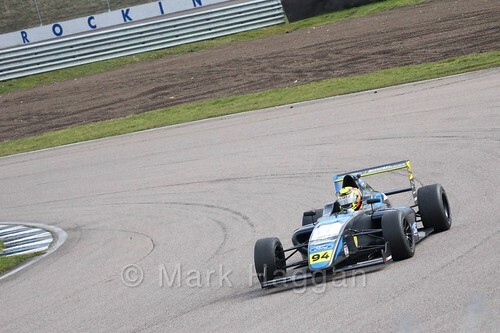 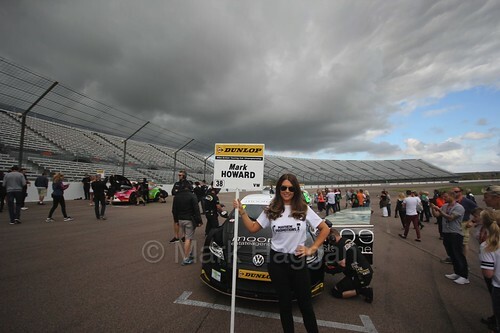 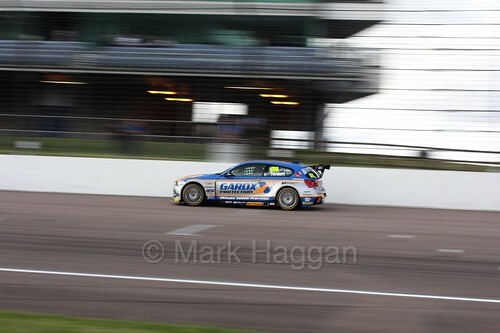 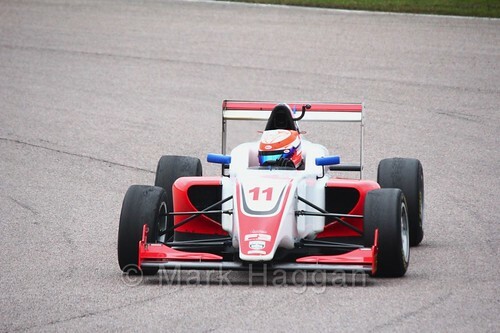 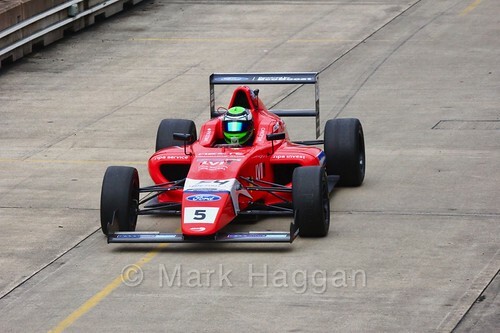 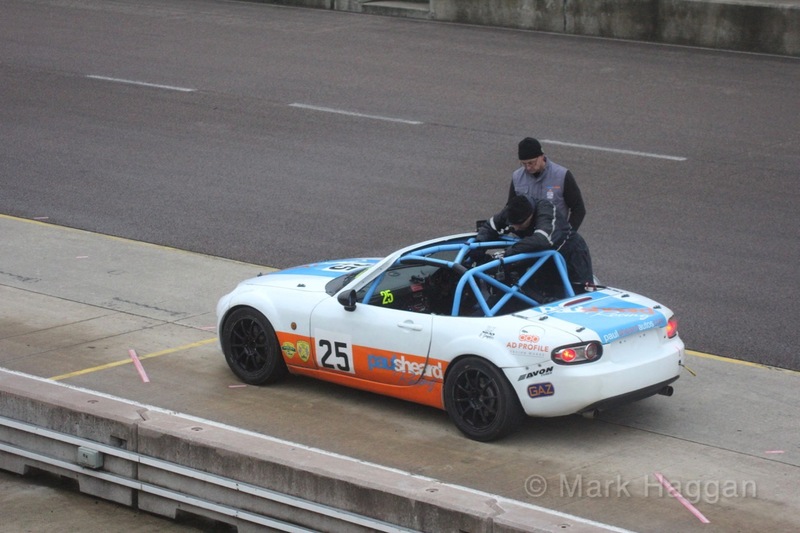 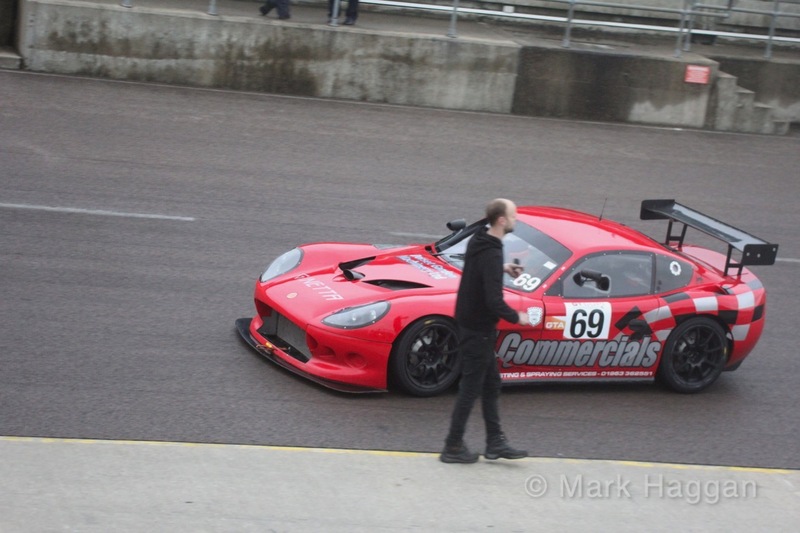 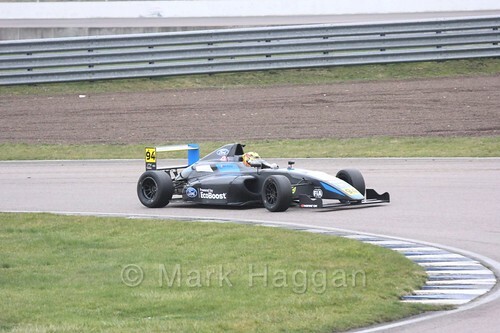 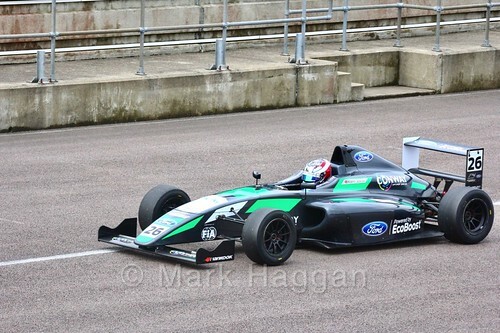 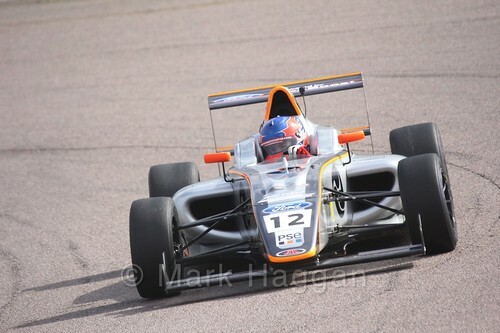 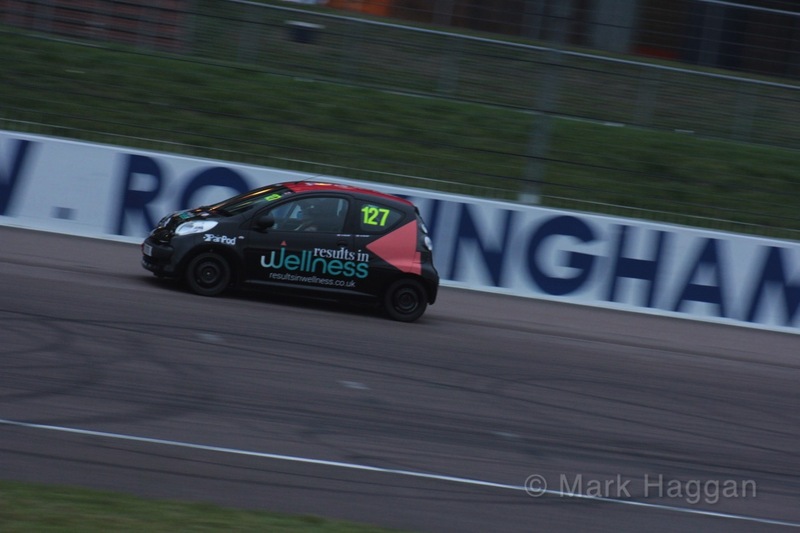 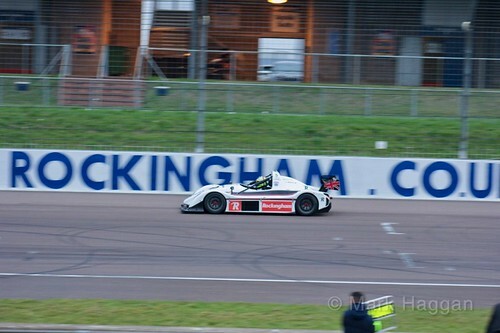 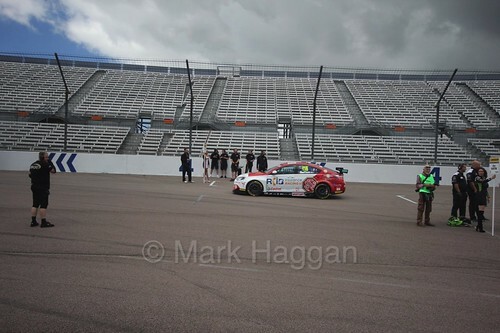 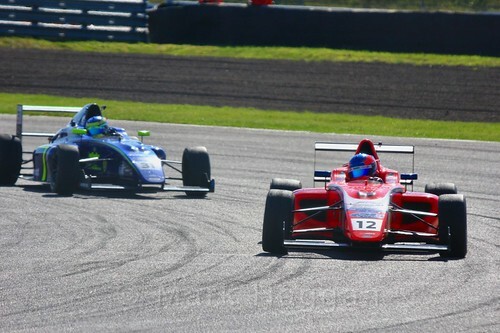 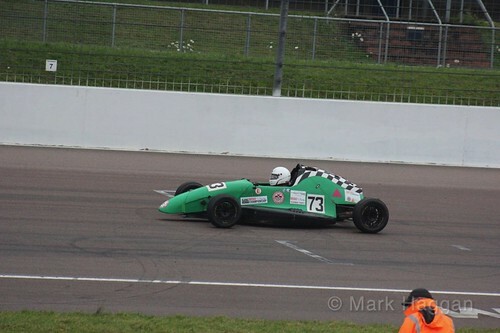 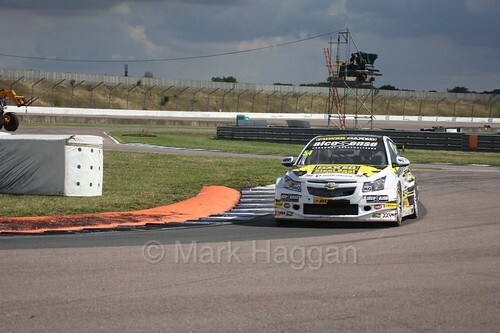 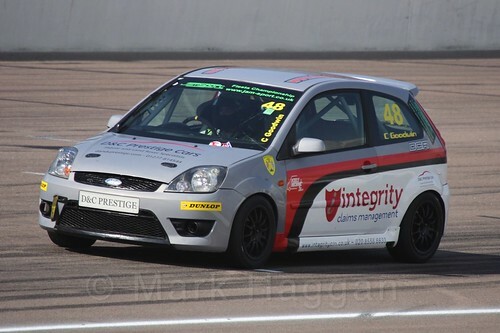 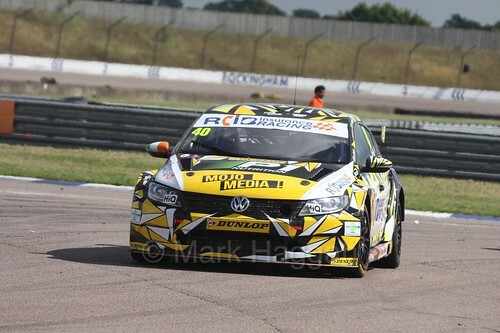 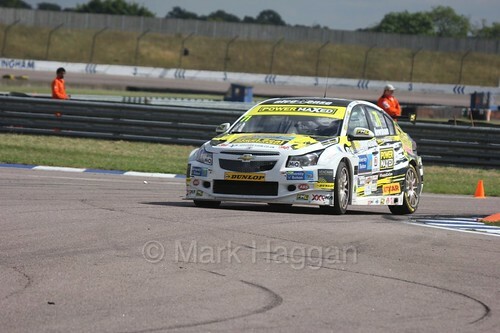 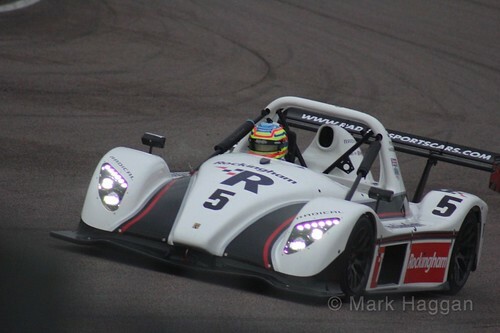 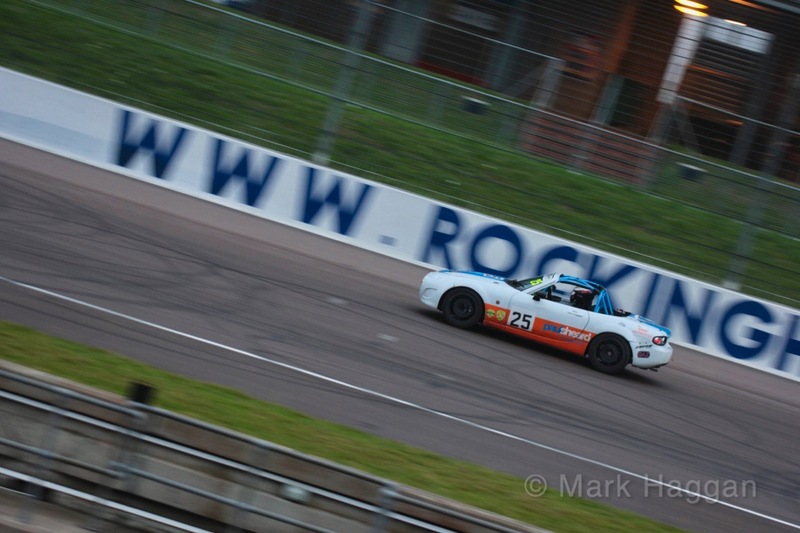 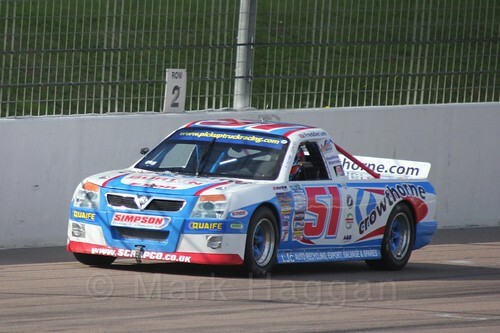 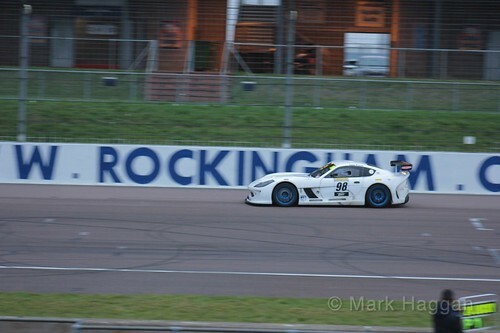 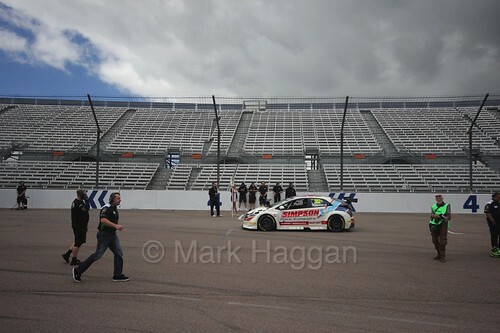 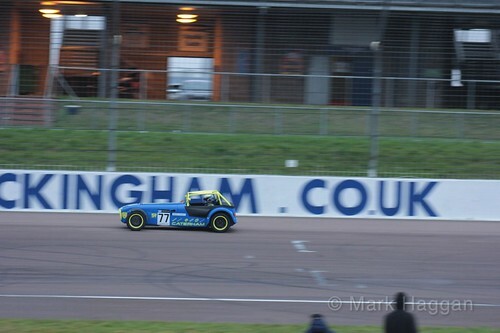 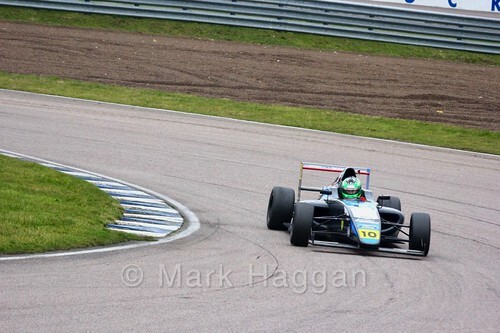 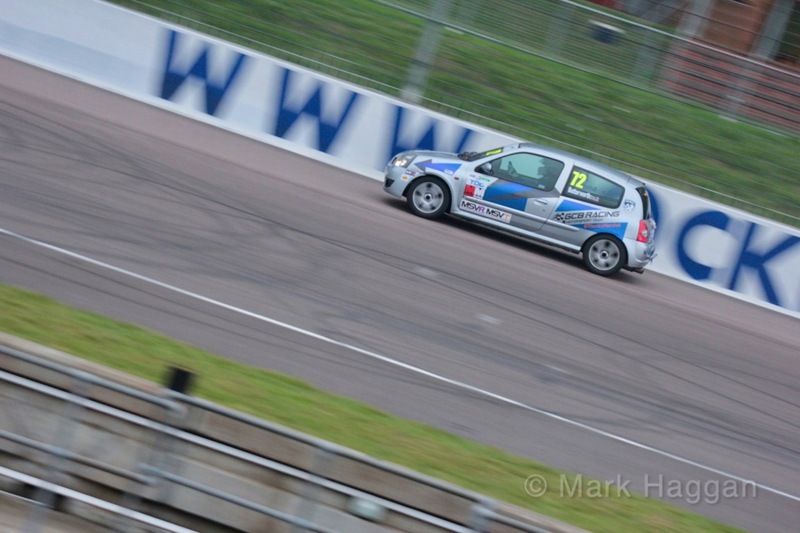 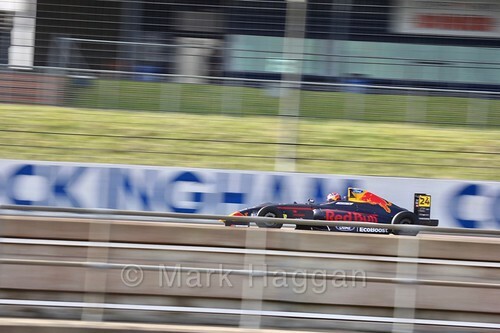 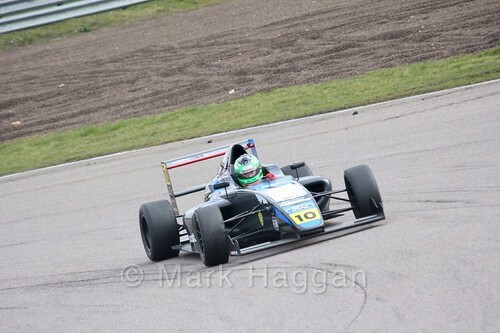 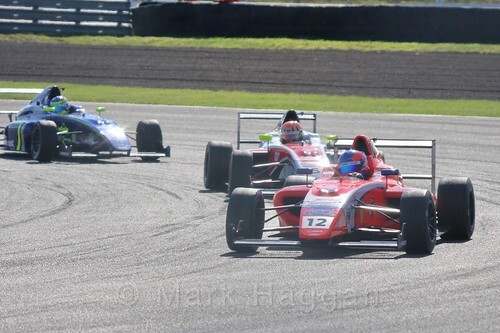 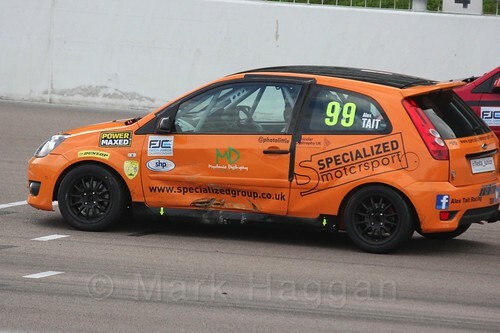 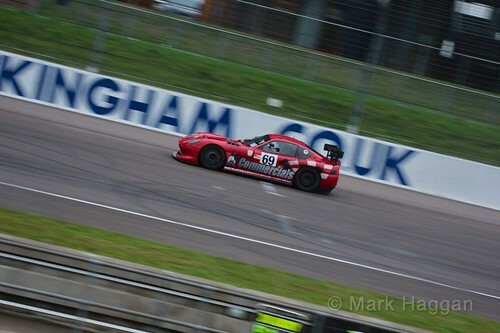 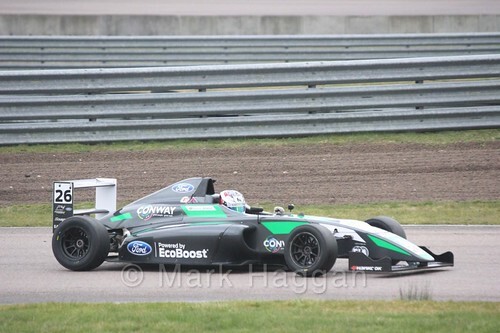 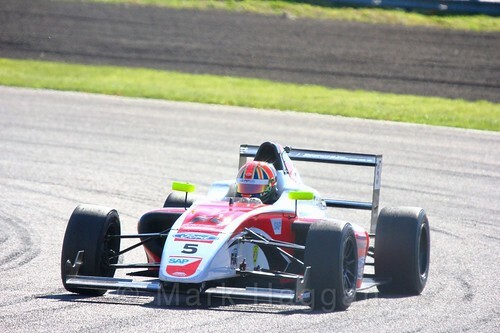 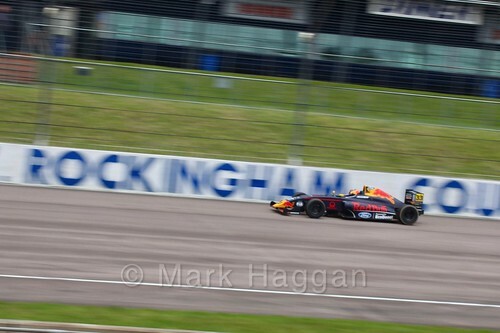 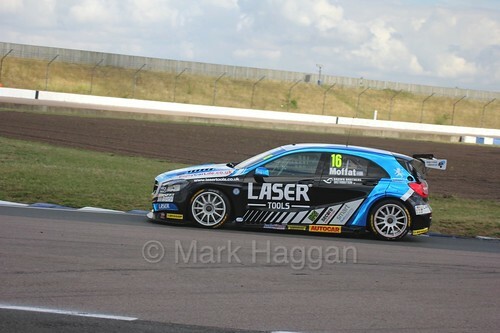 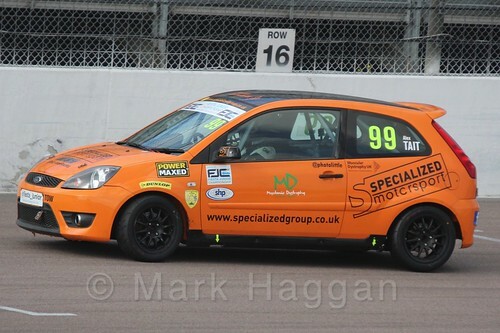 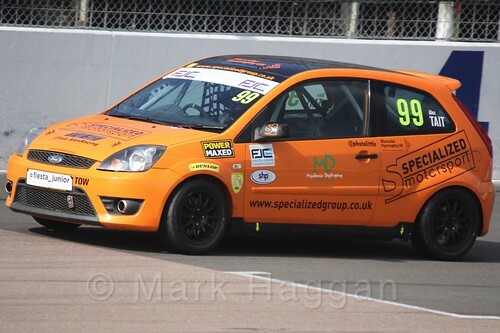 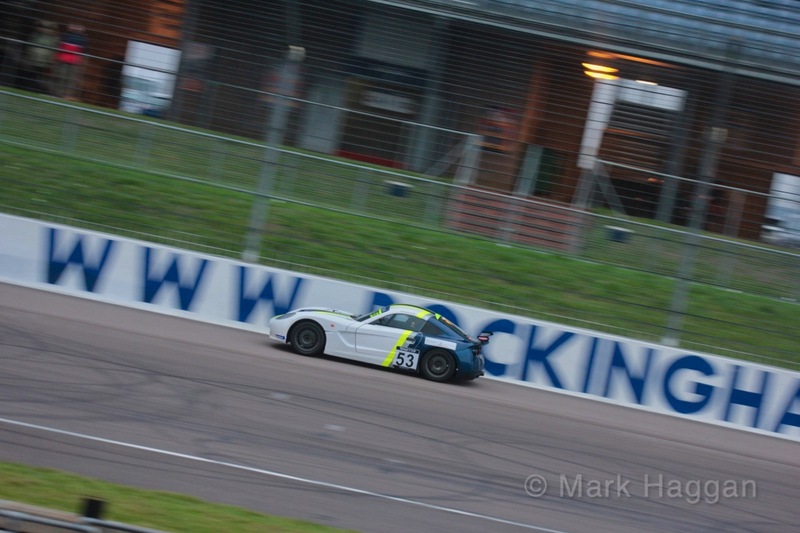 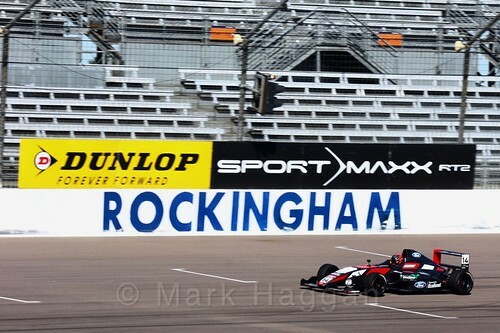 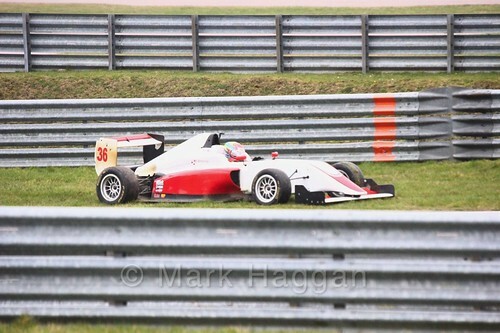 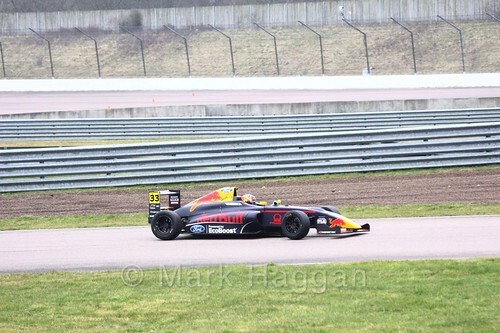 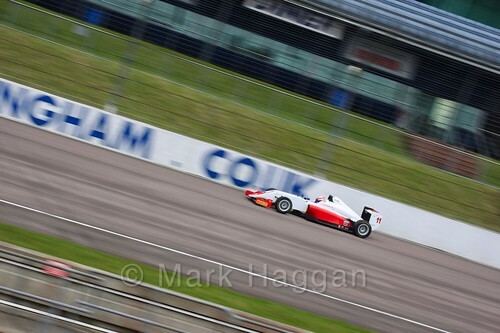 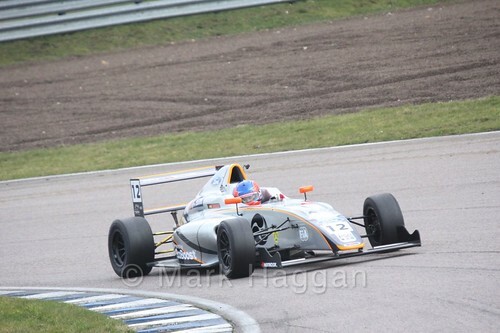 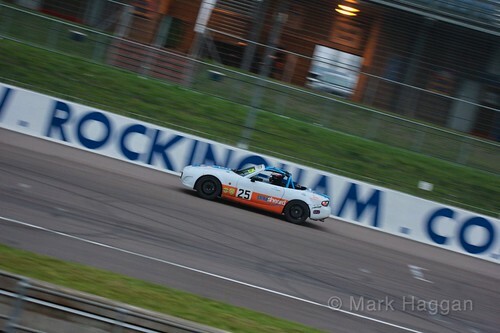 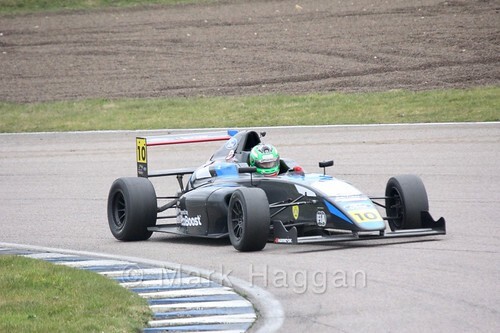 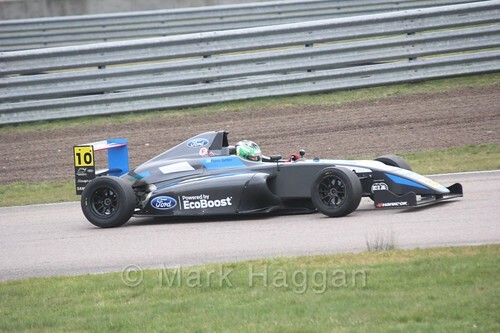 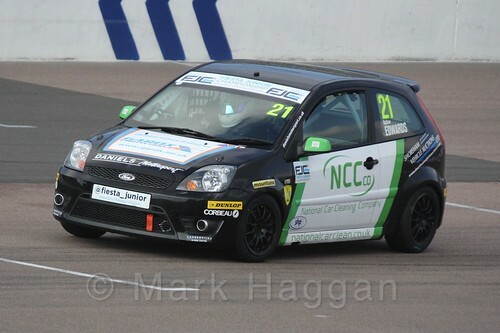 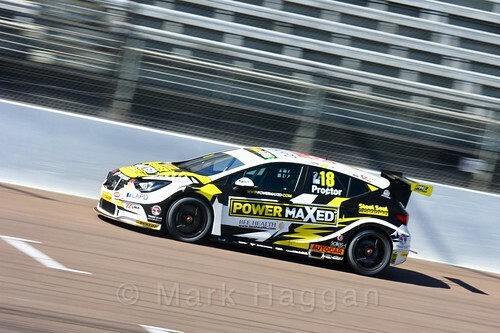 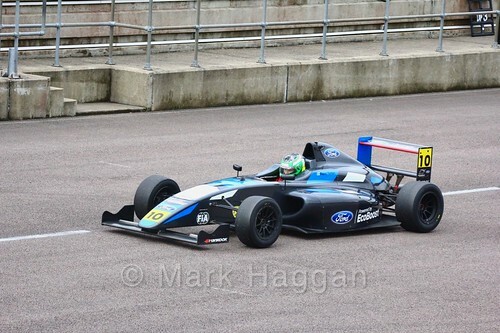 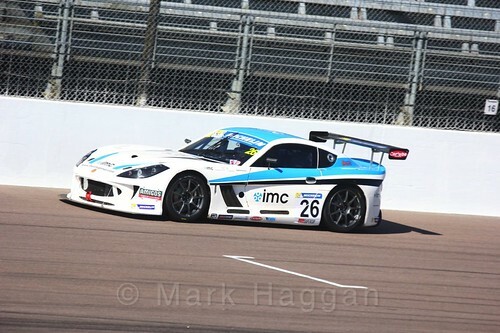 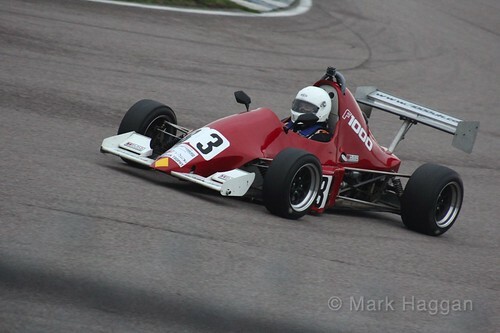 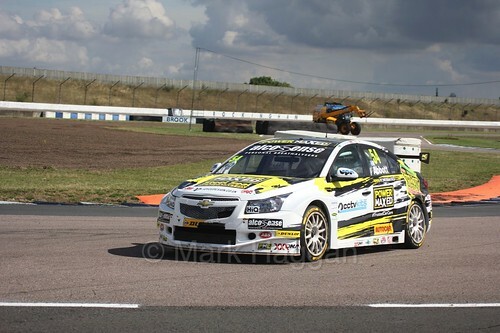 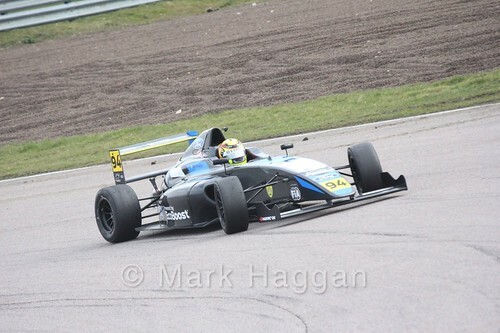 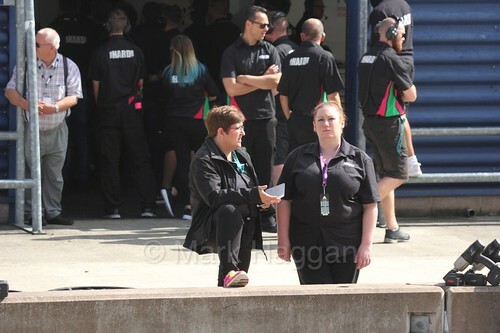 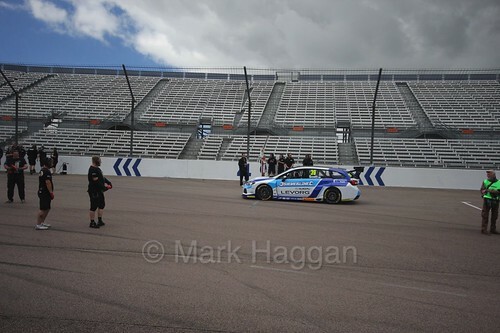 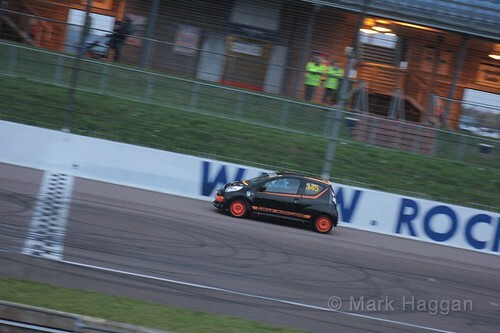 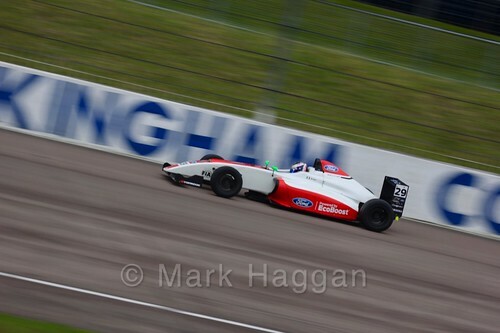 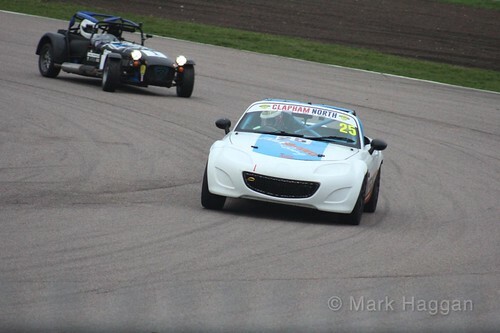 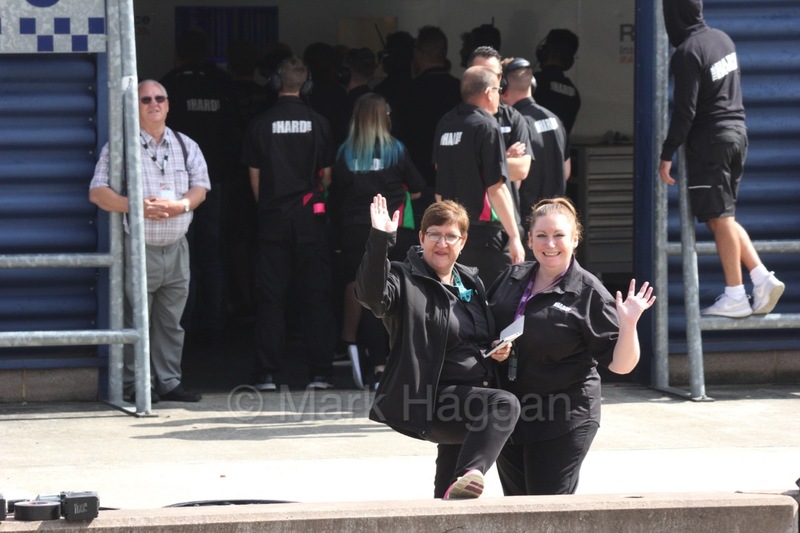 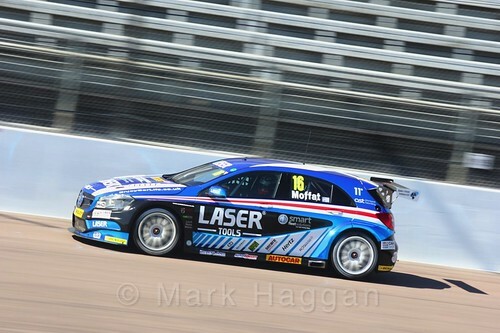 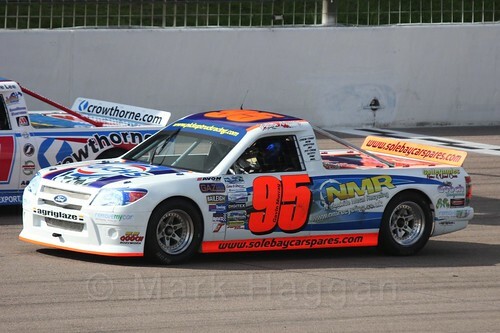 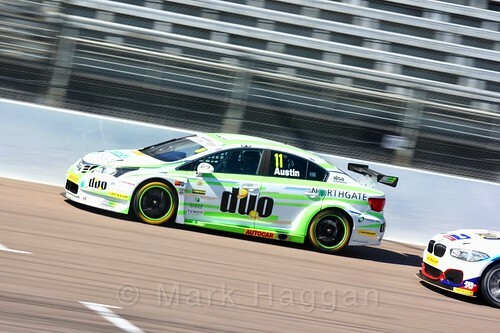 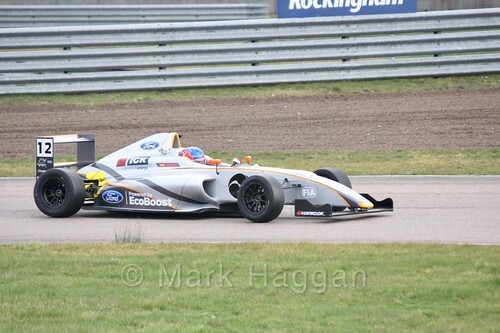 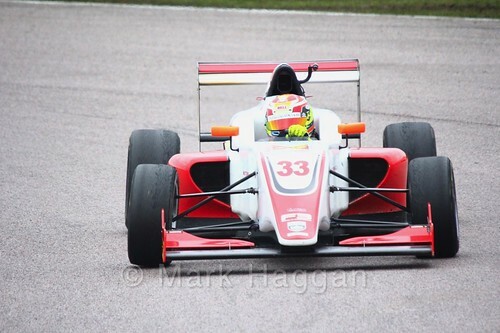 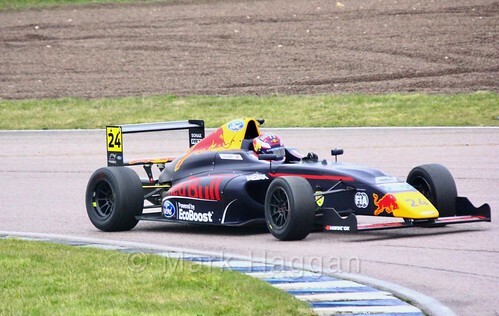 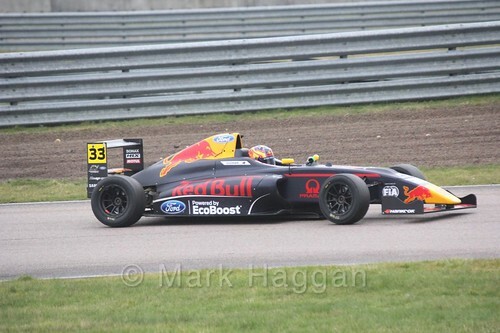 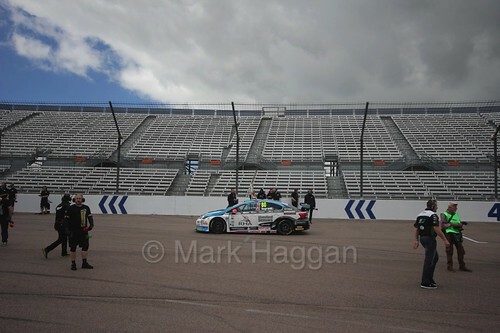 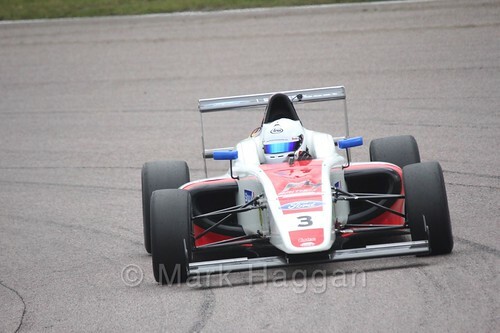 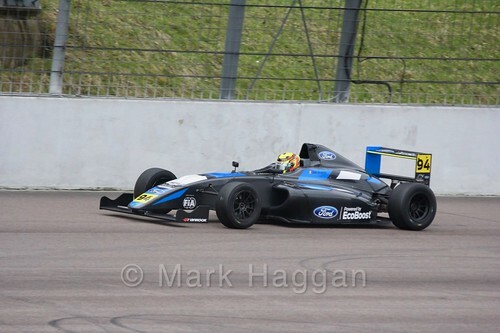 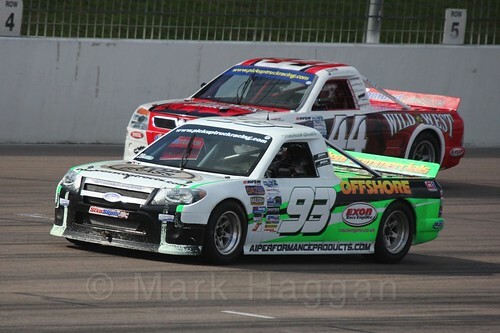 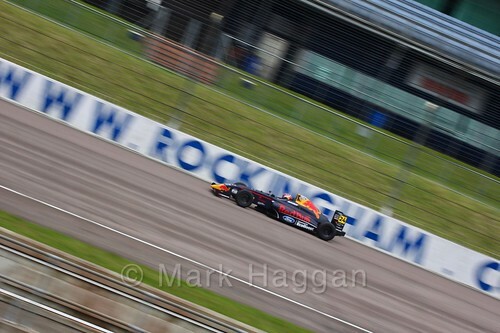 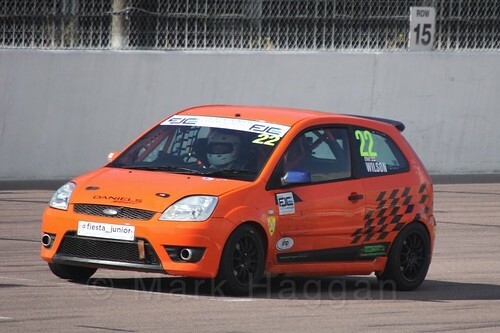 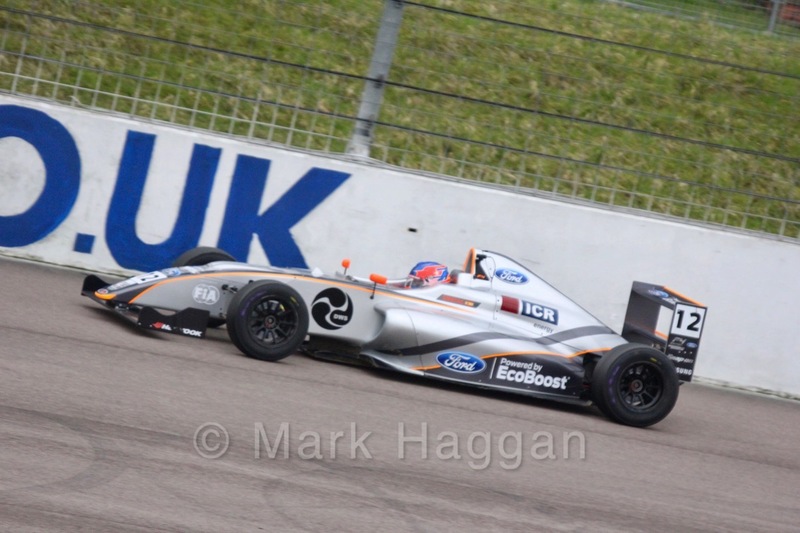 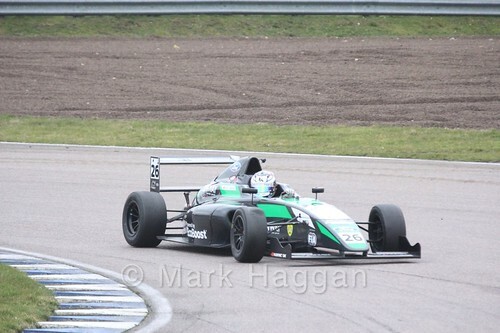 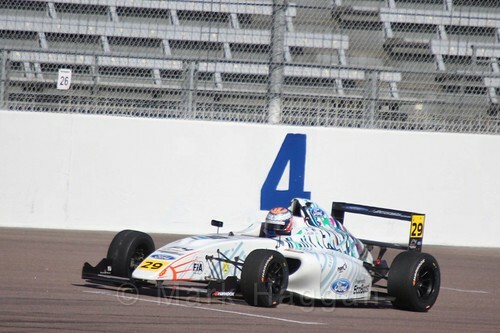 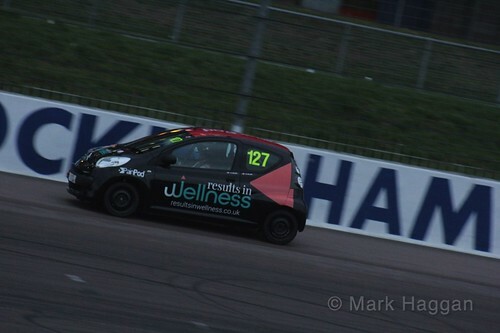 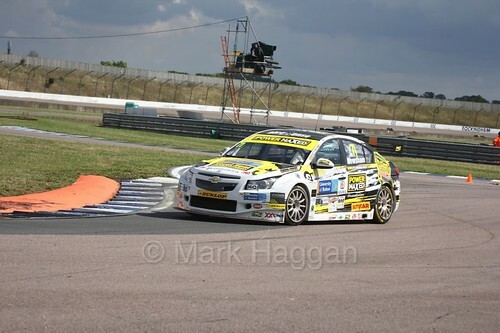 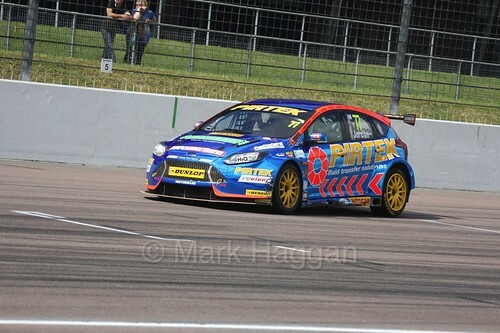 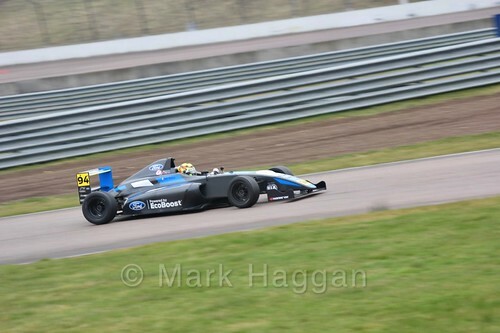 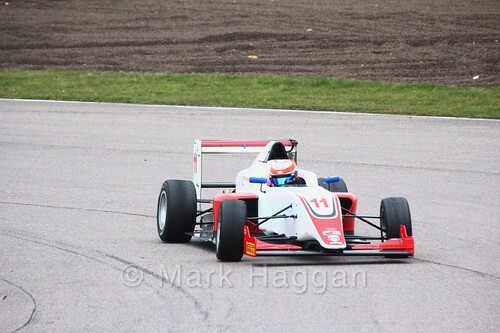 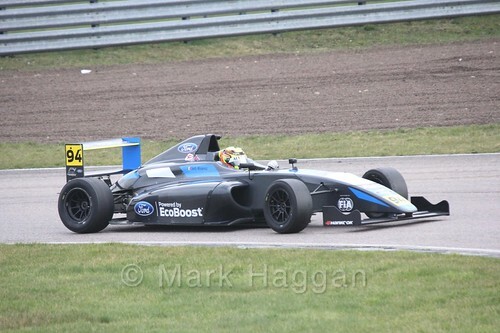 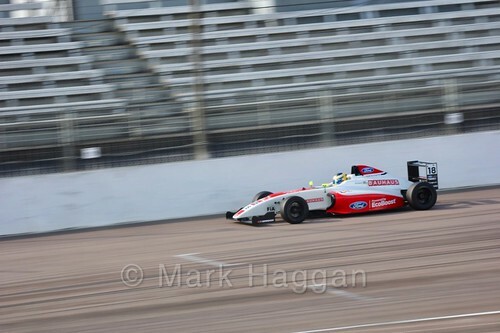 Rockingham Motor Speedway, thanks for some fantastic events. 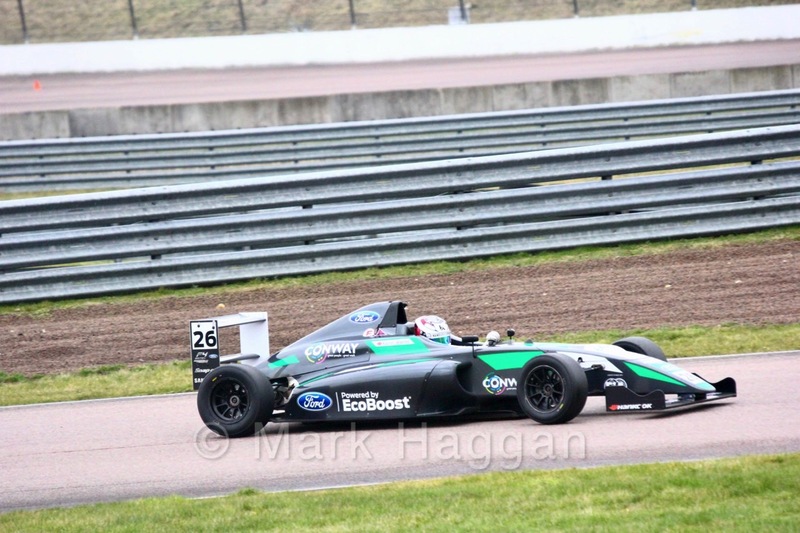 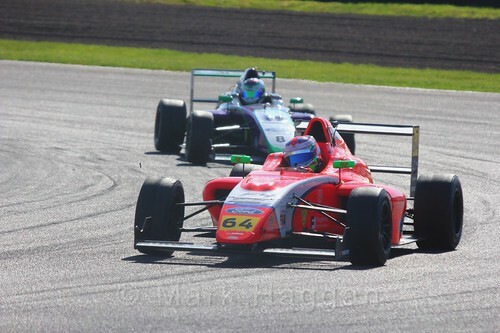 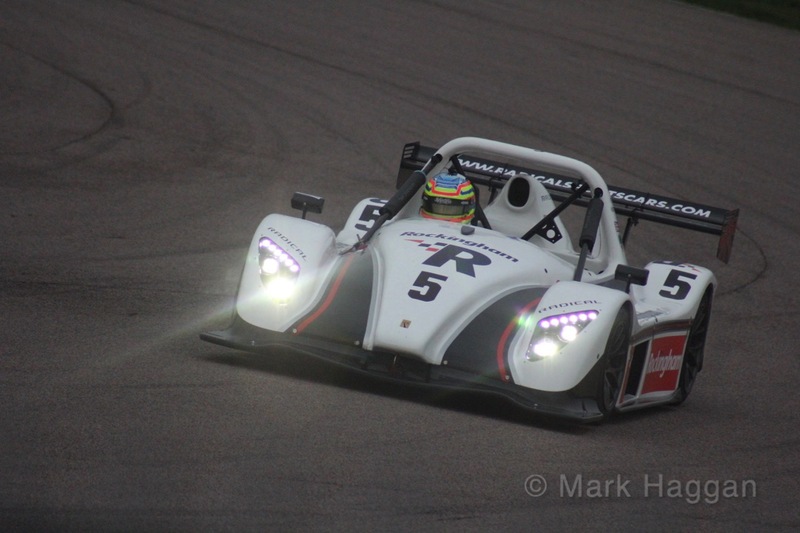 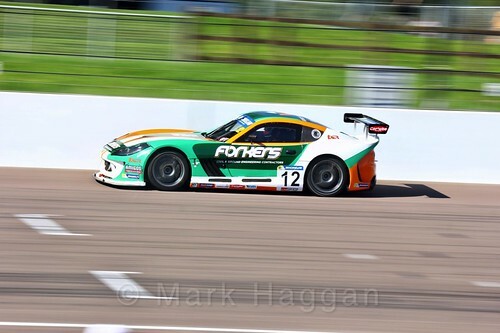 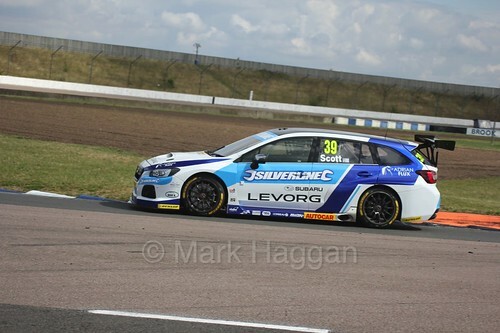 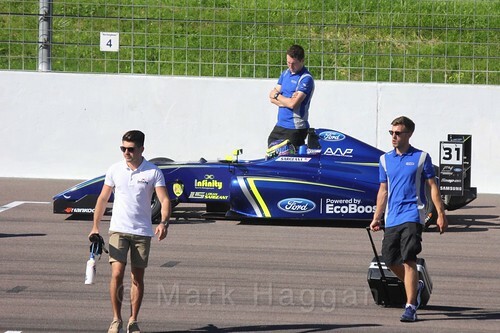 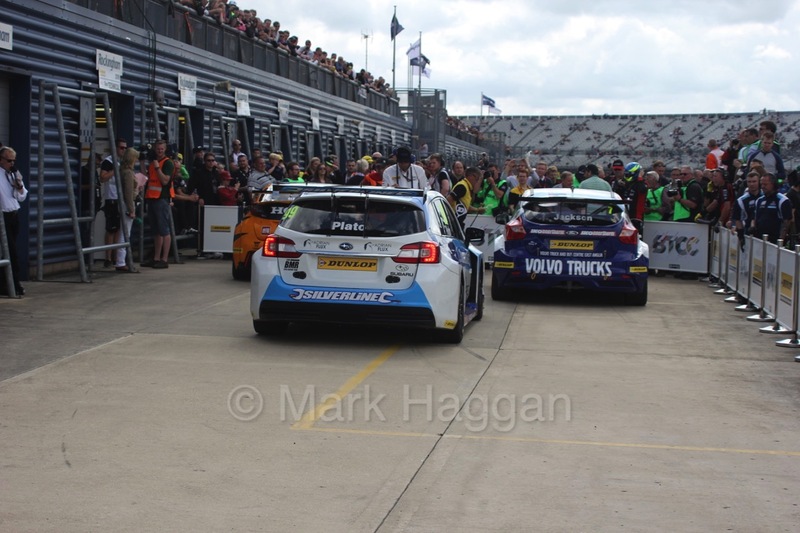 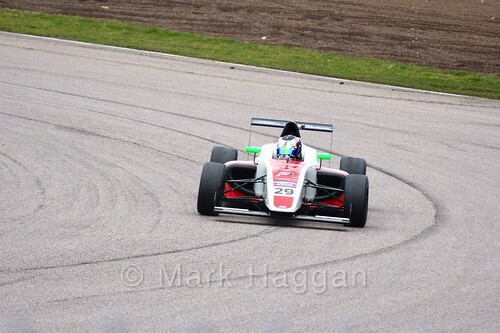 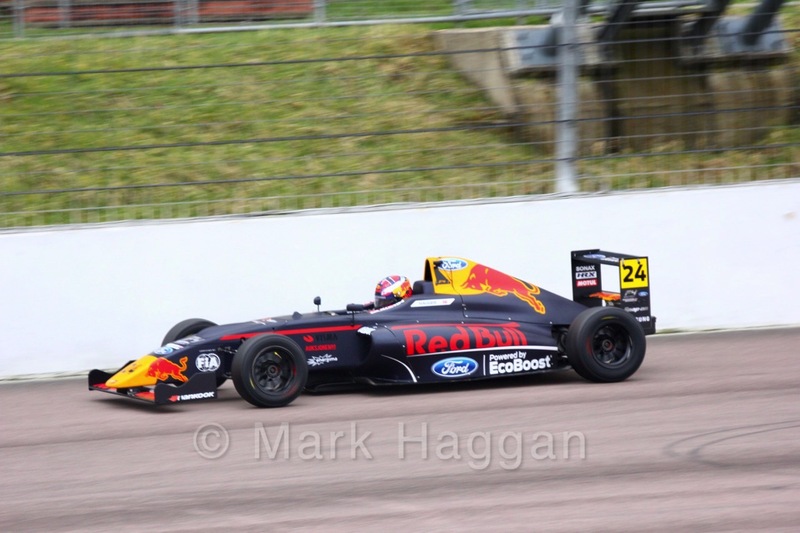 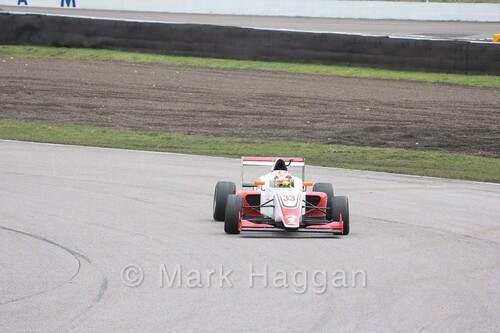 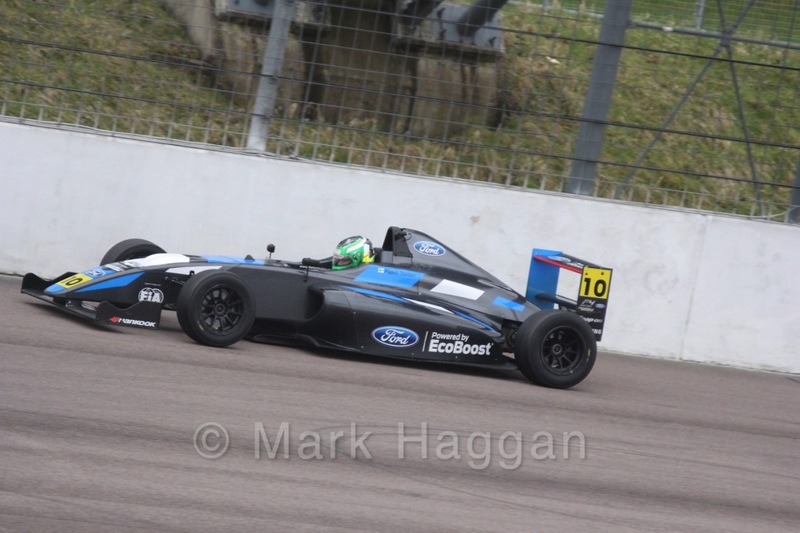 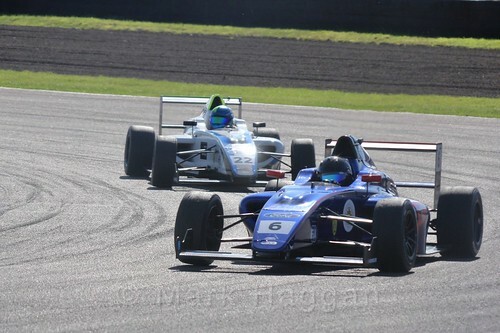 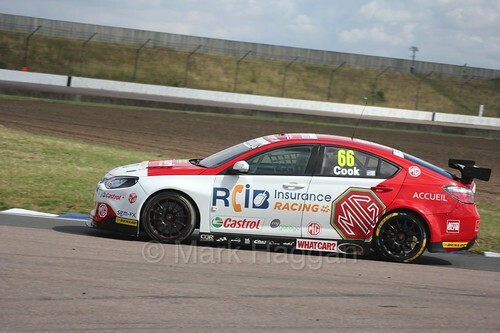 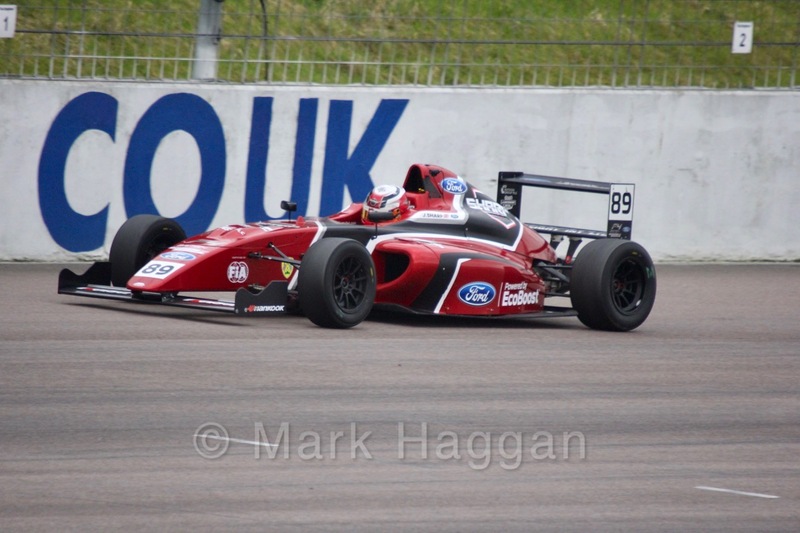 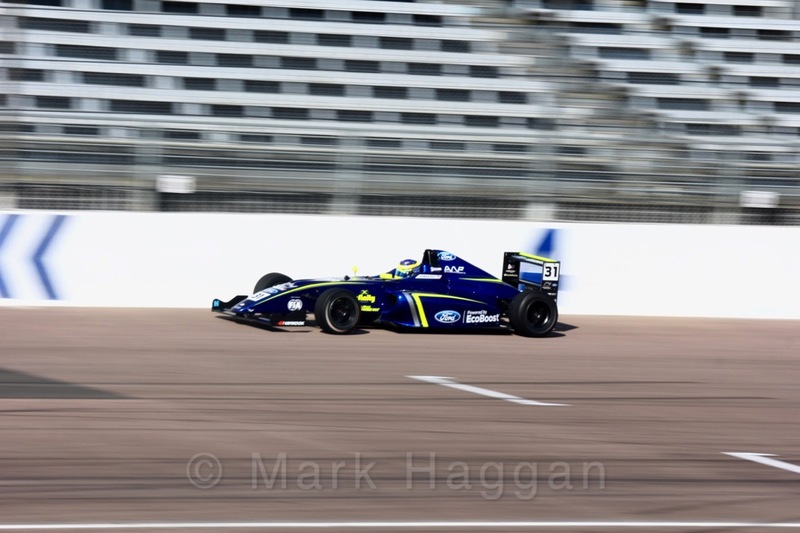 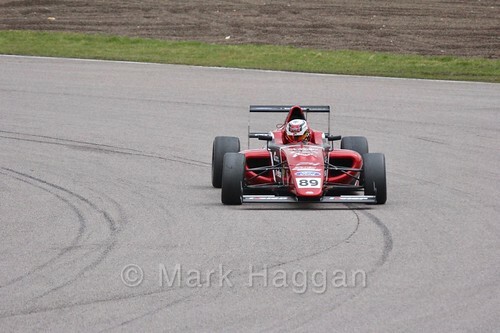 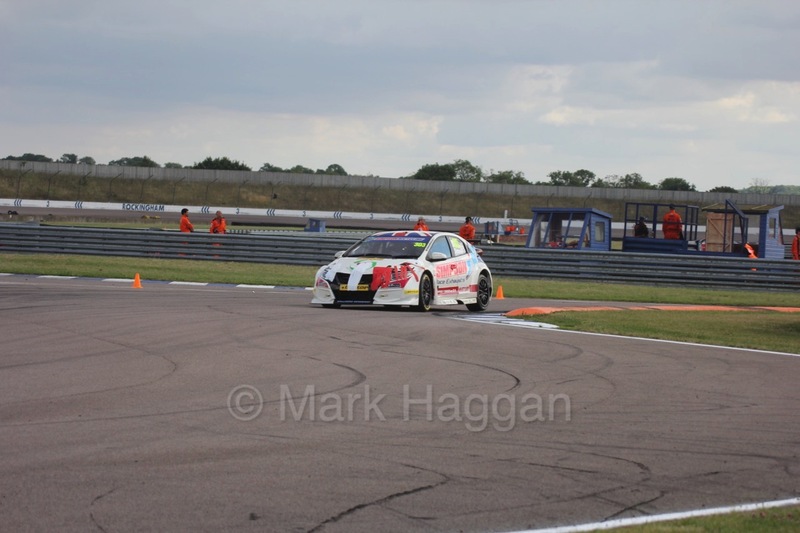 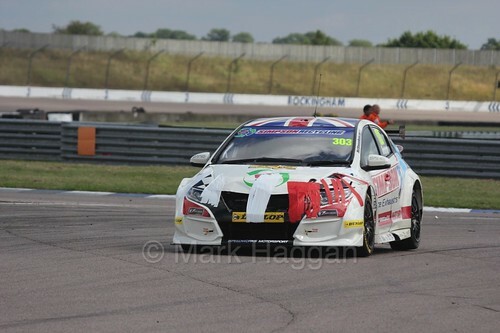 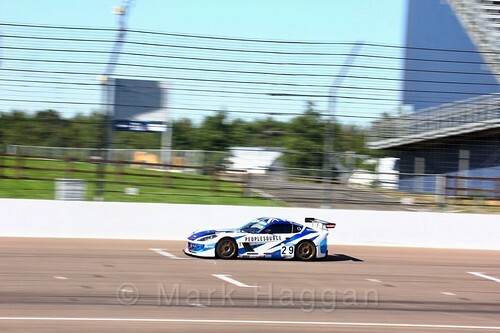 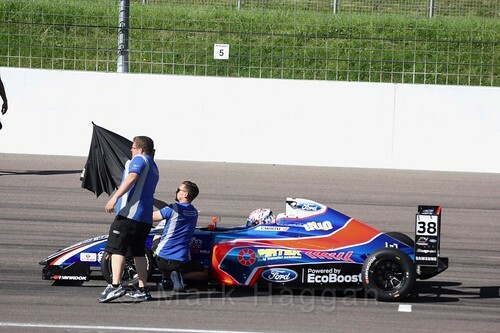 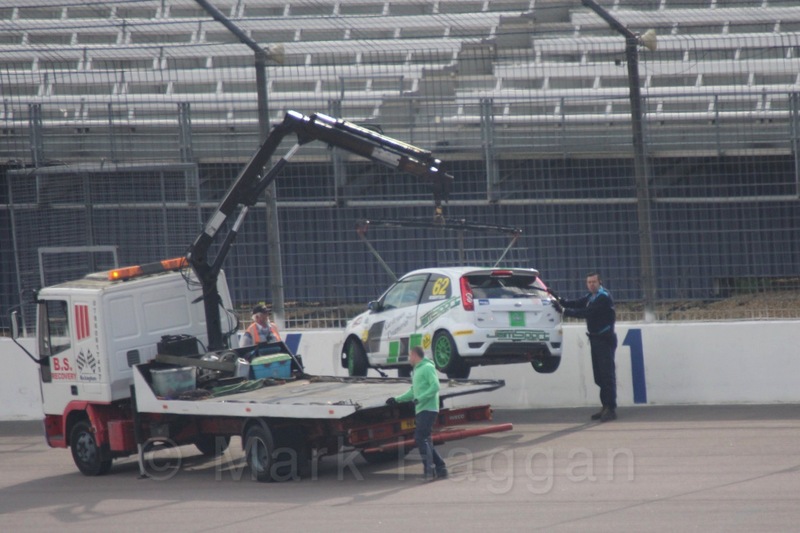 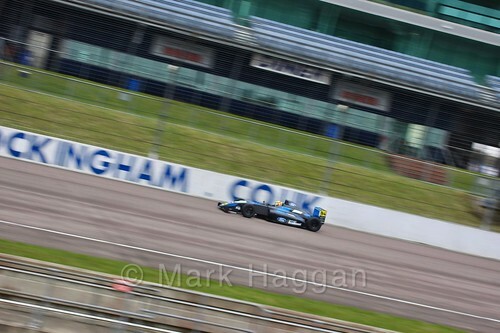 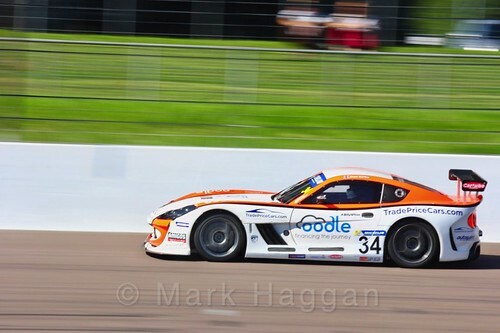 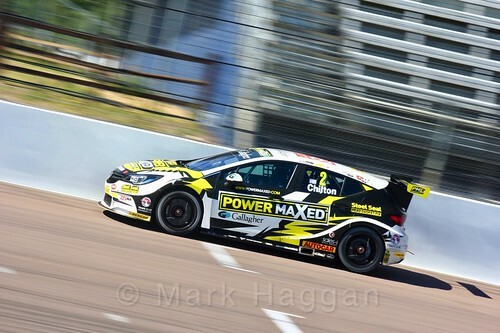 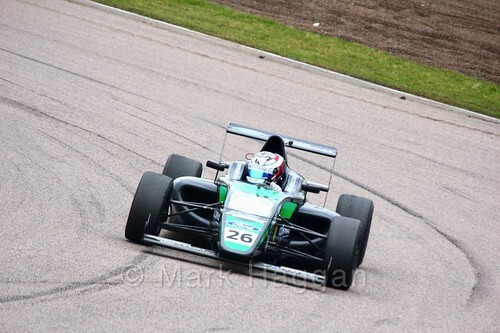 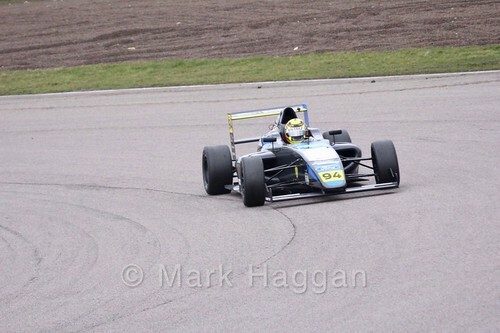 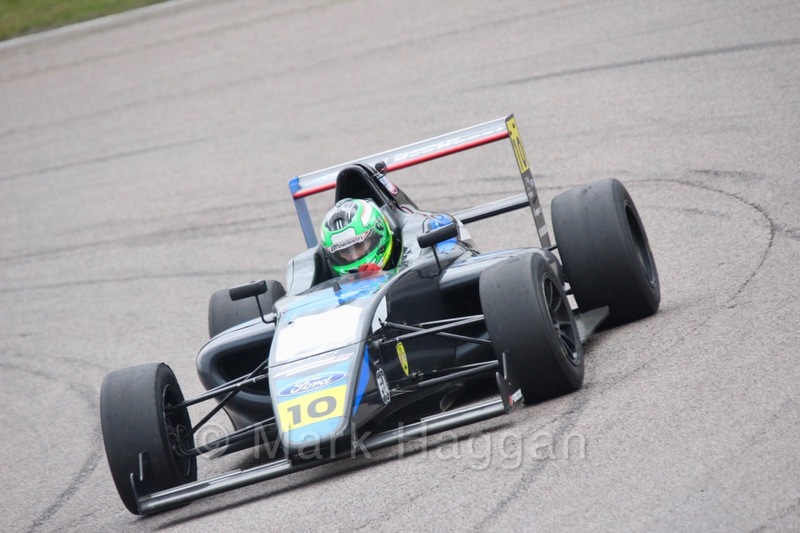 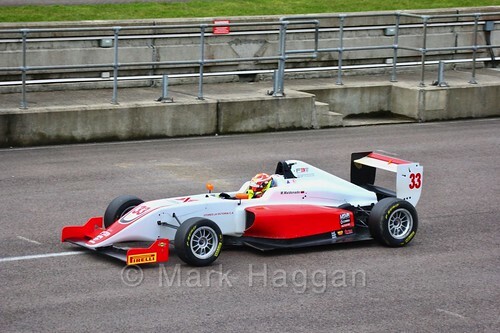 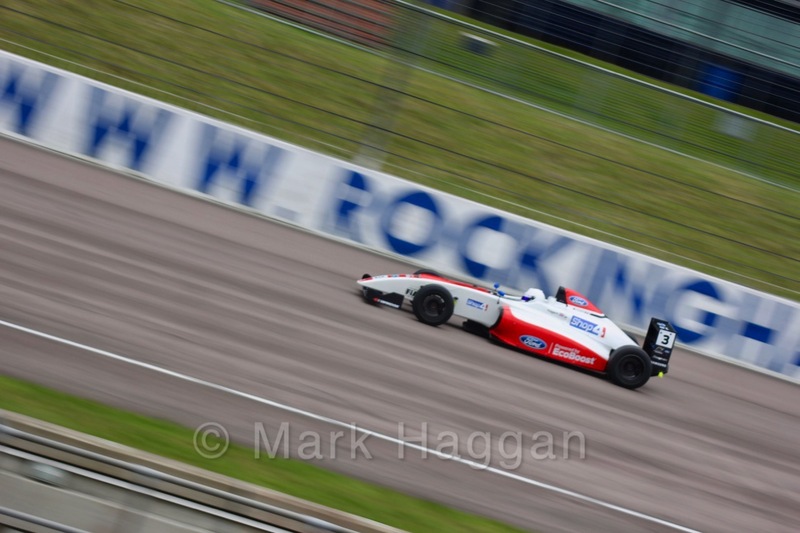 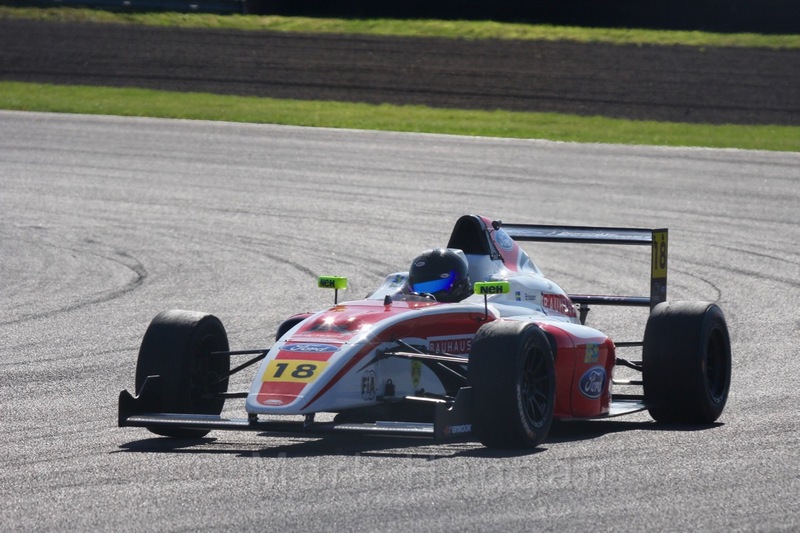 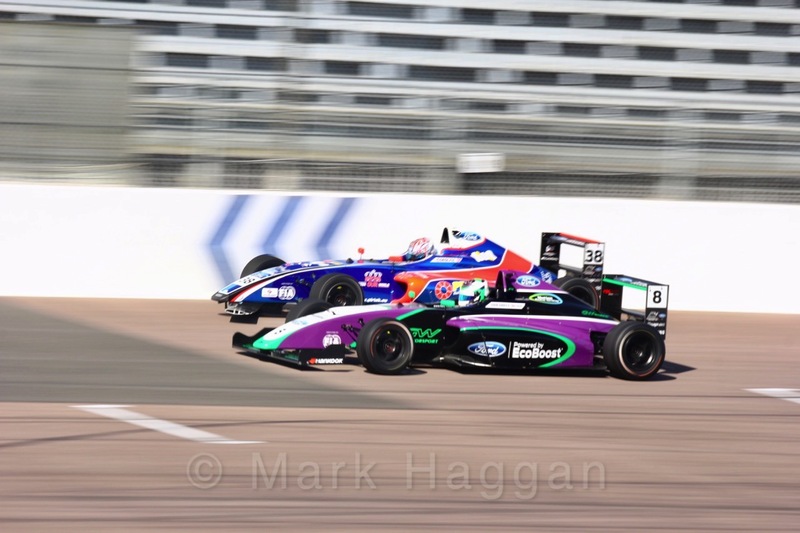 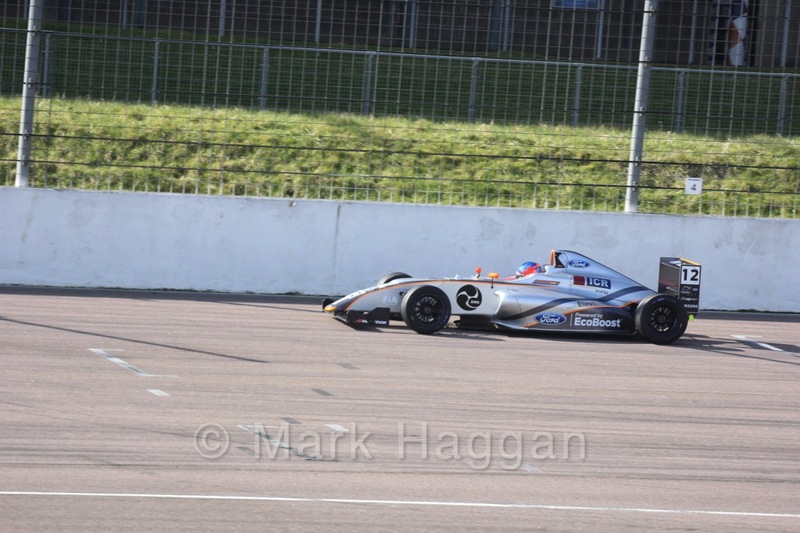 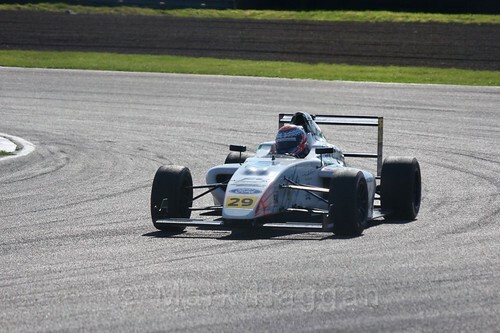 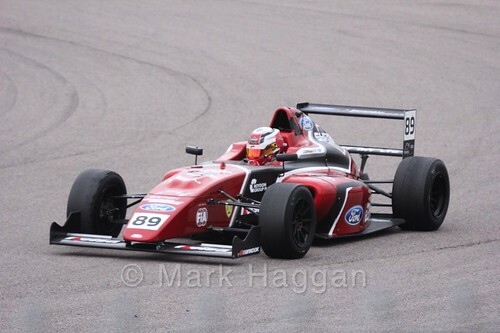 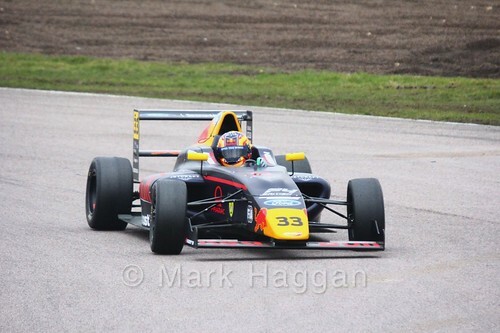 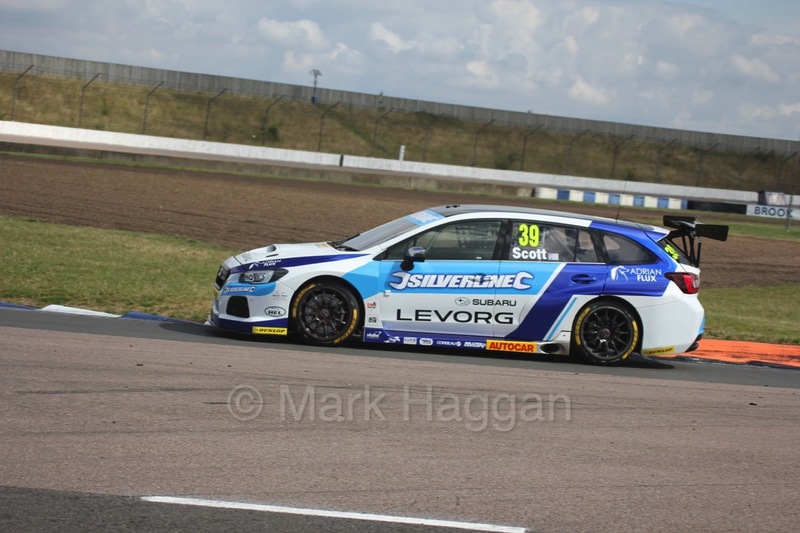 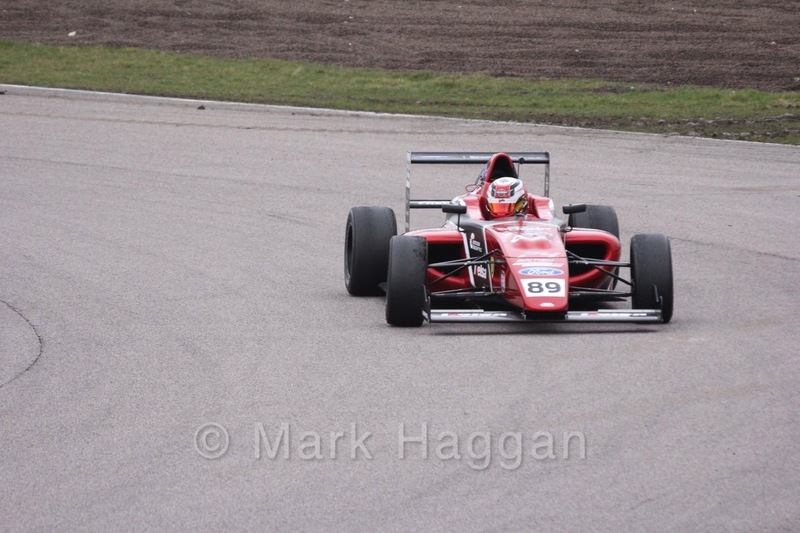 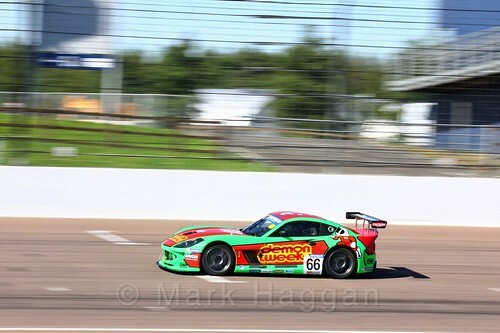 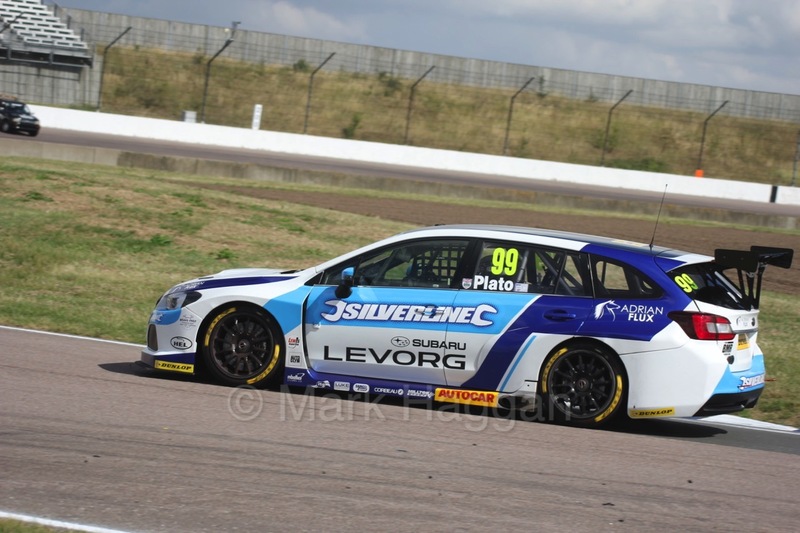 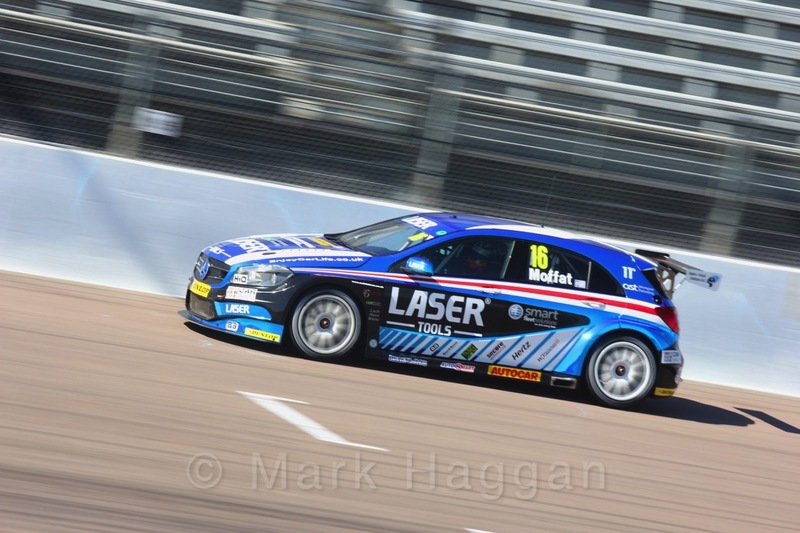 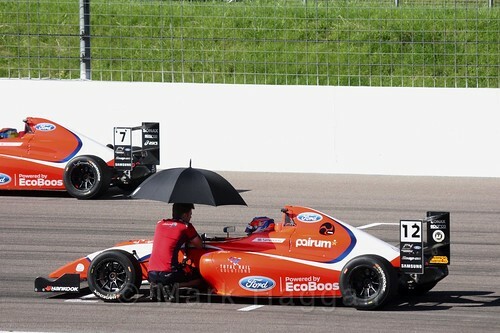 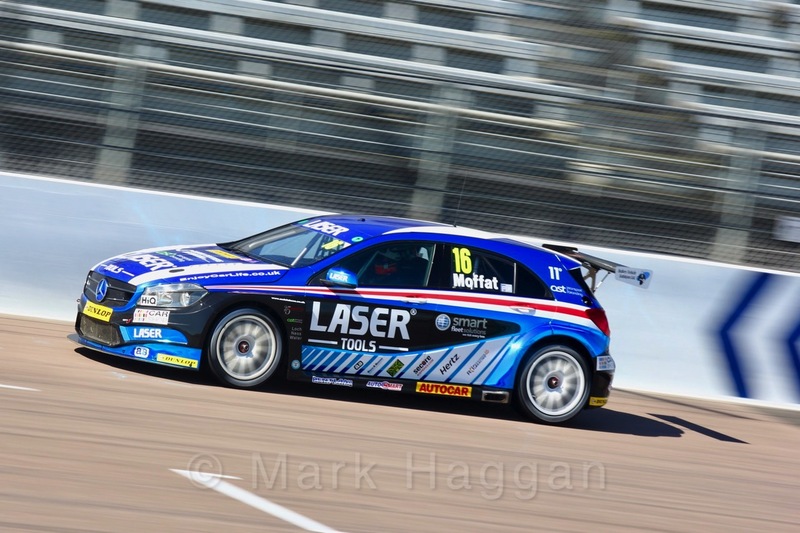 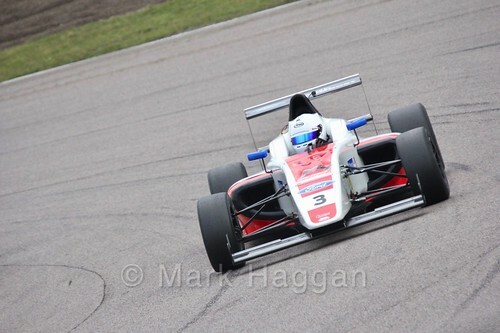 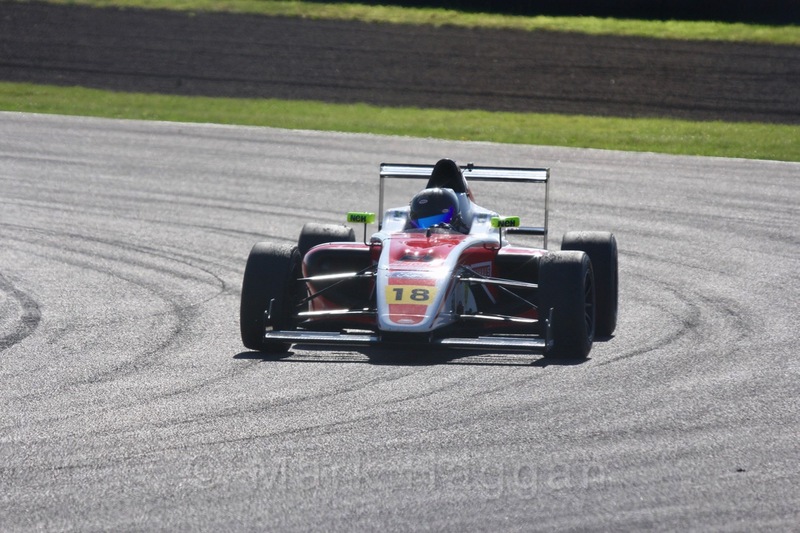 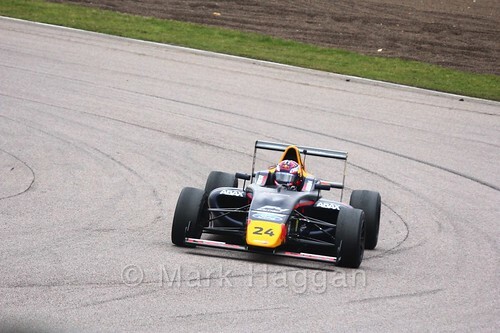 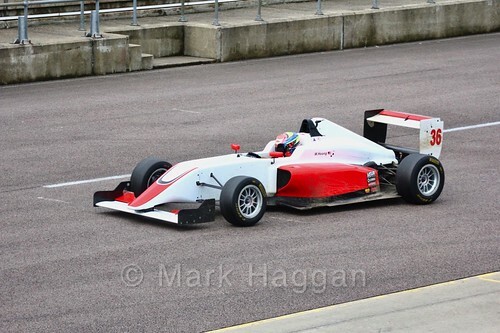 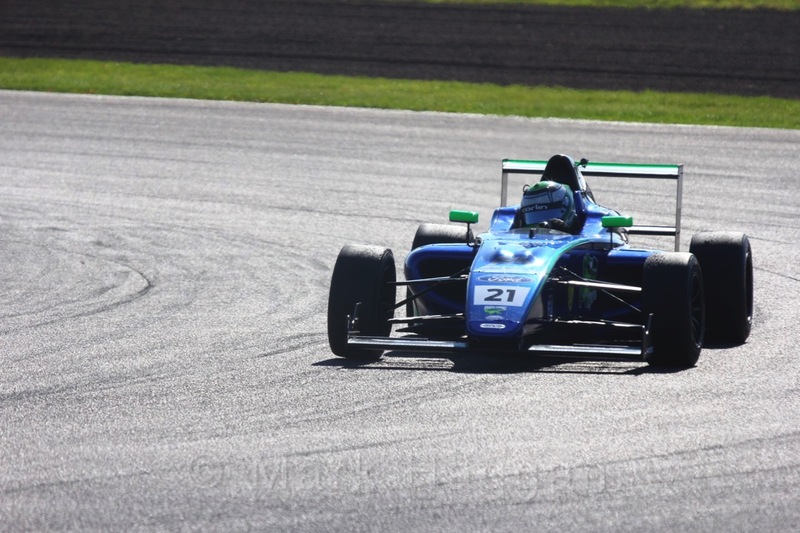 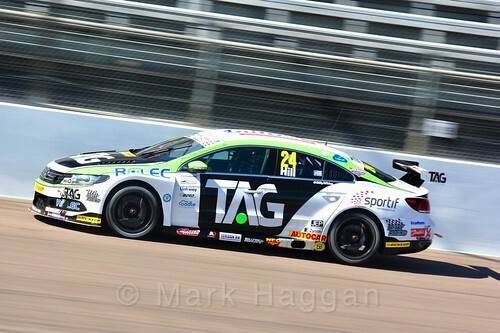 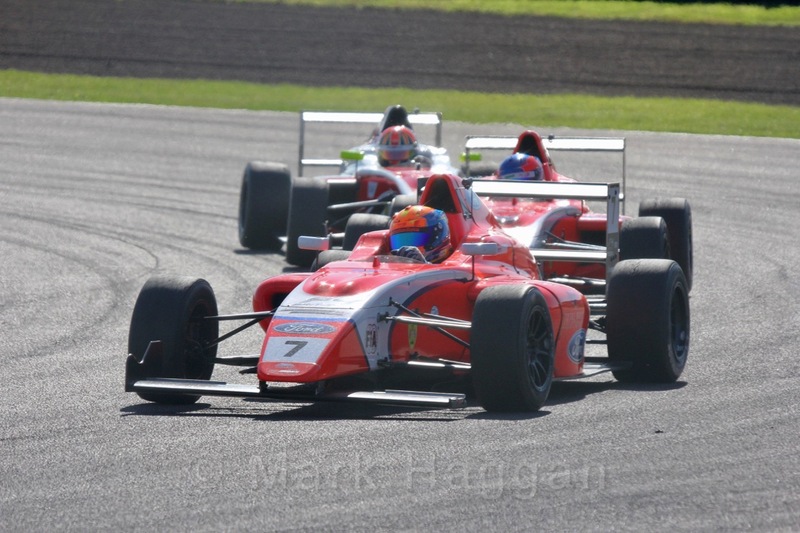 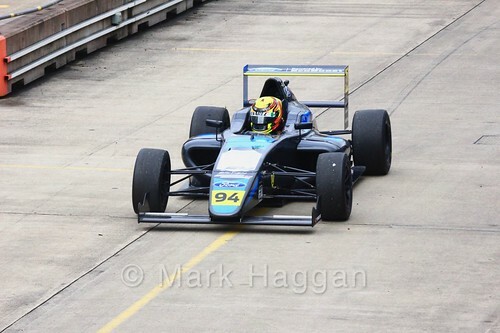 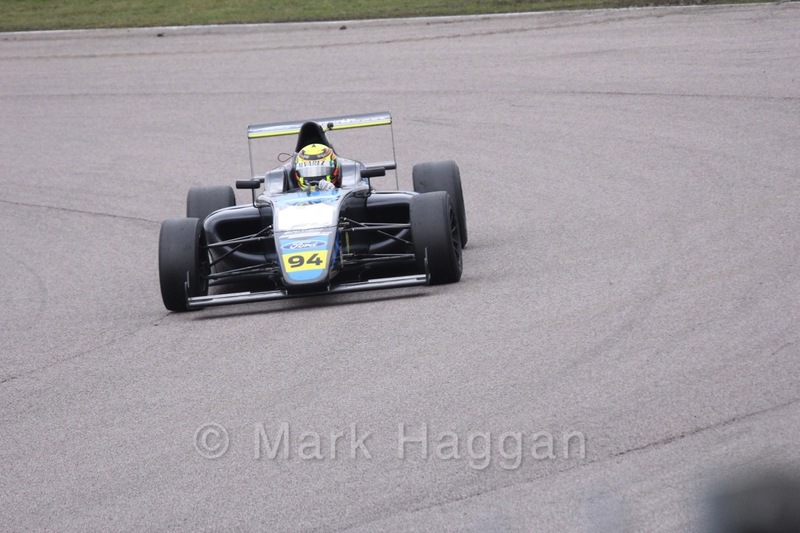 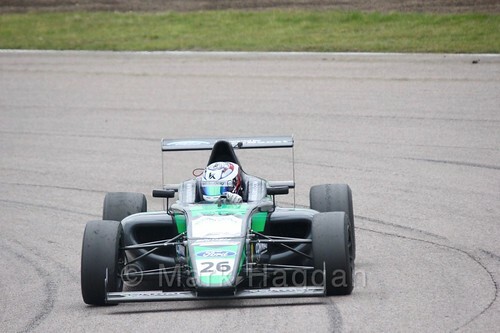 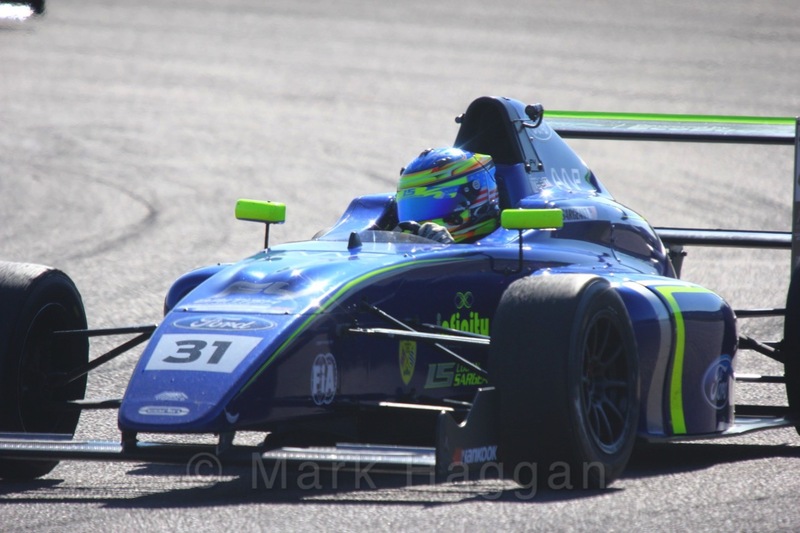 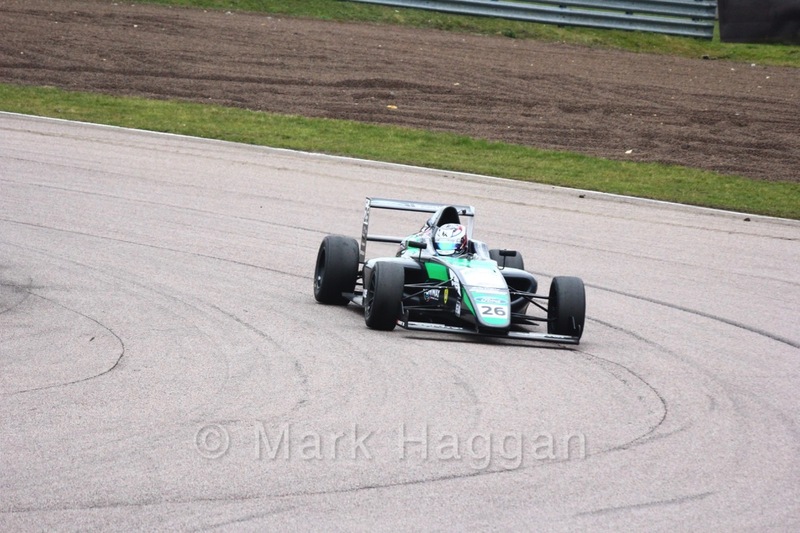 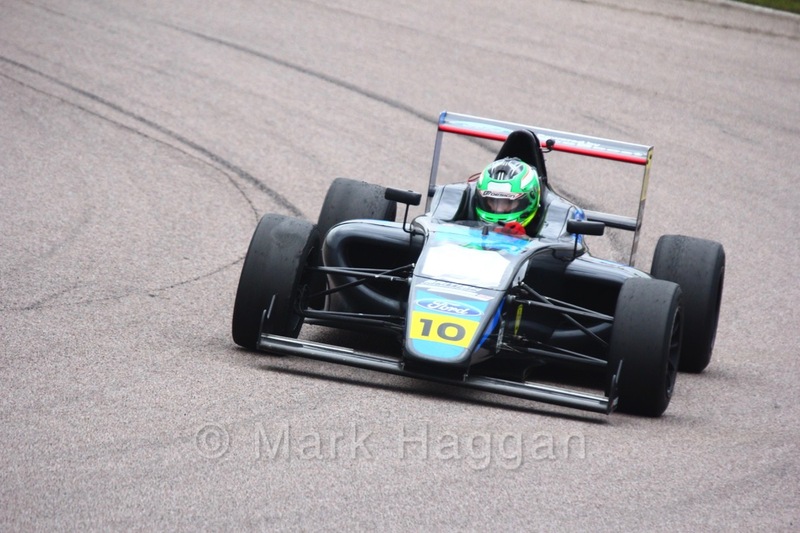 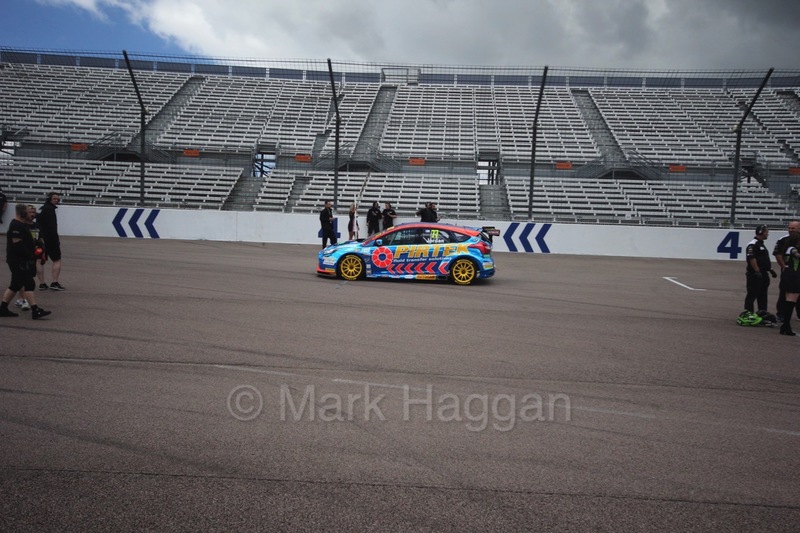 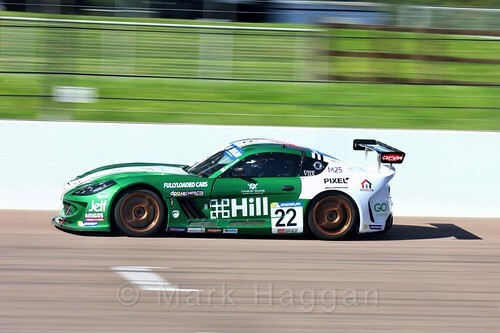 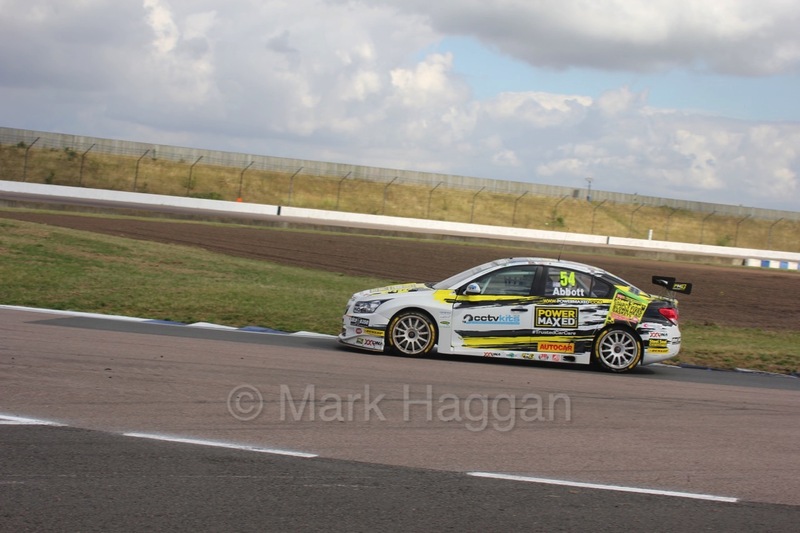 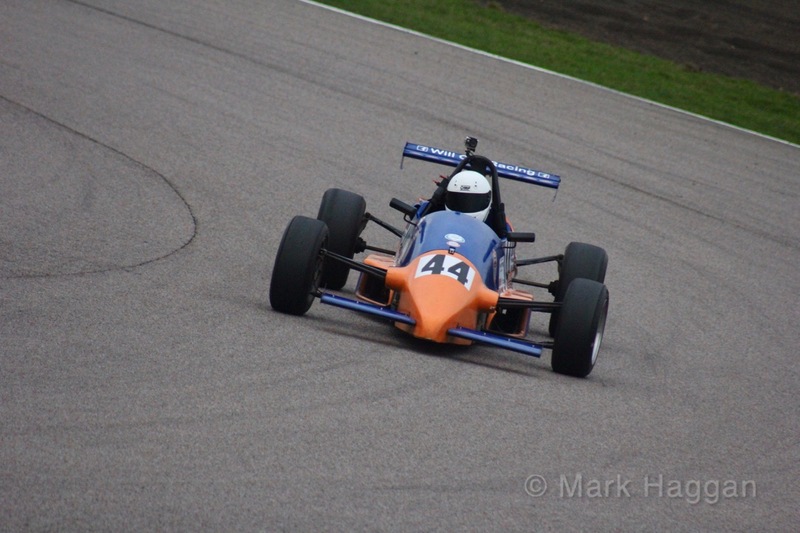 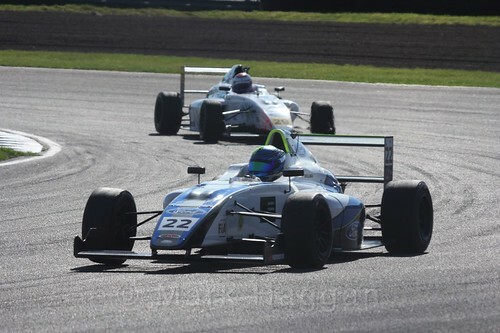 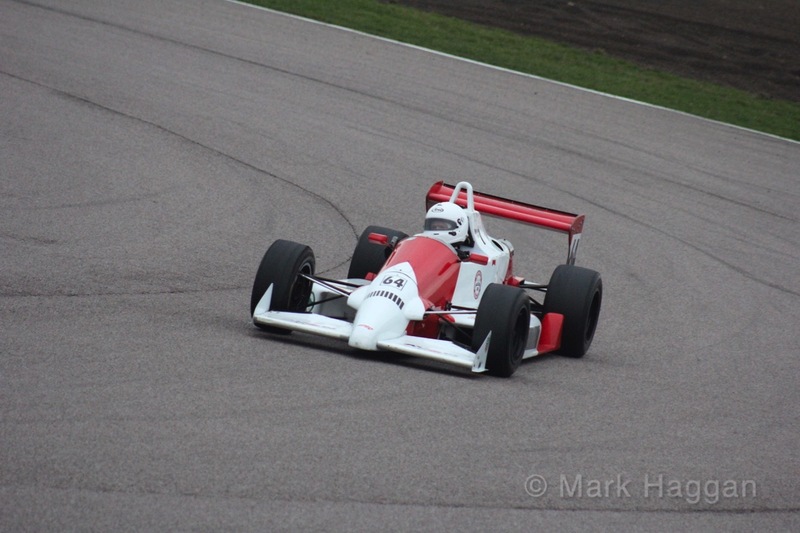 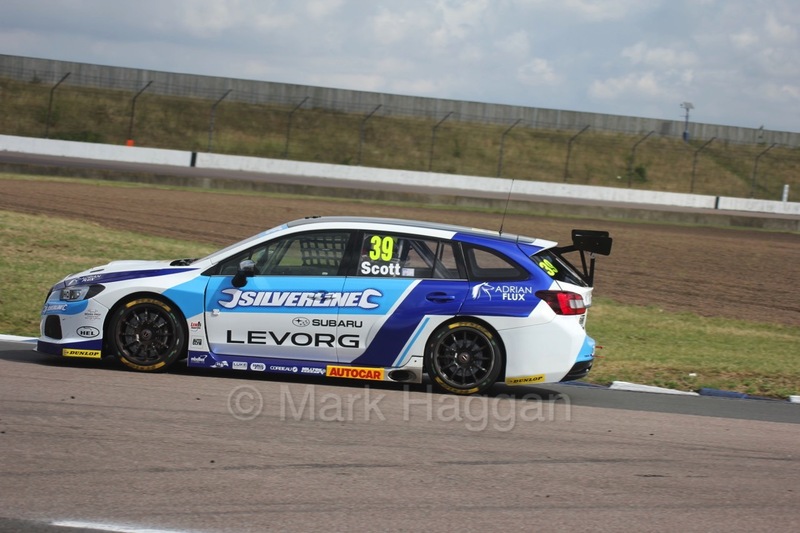 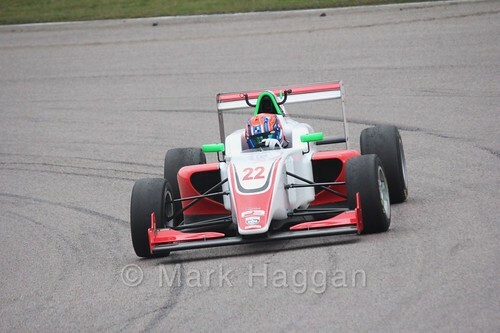 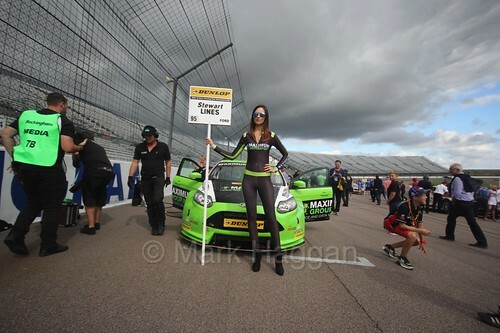 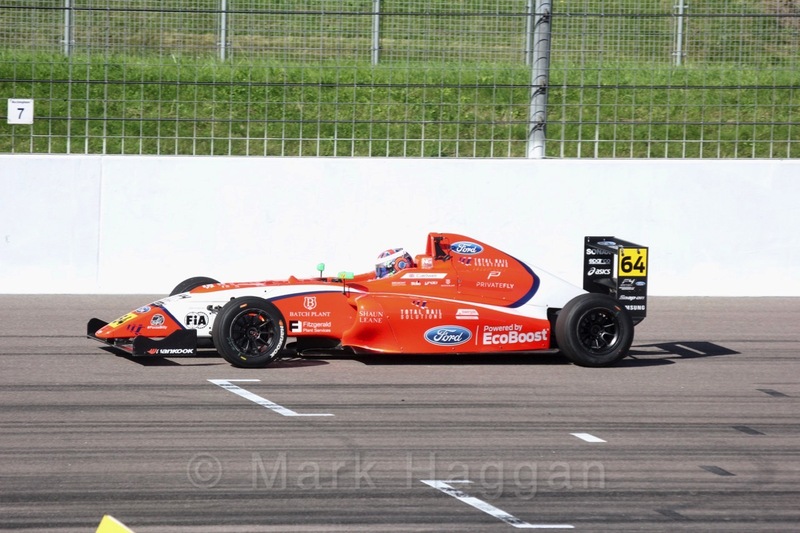 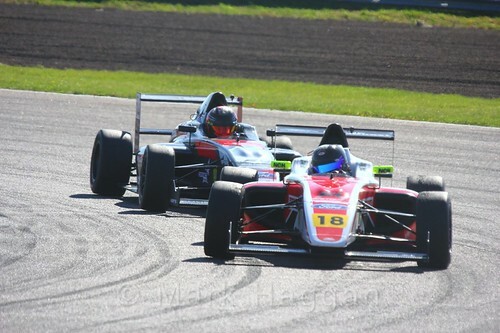 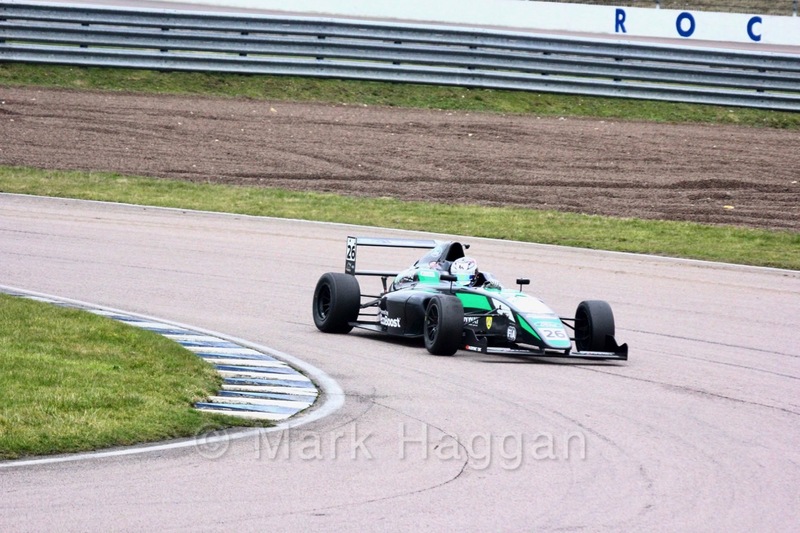 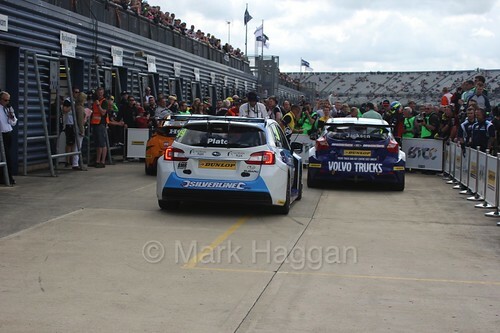 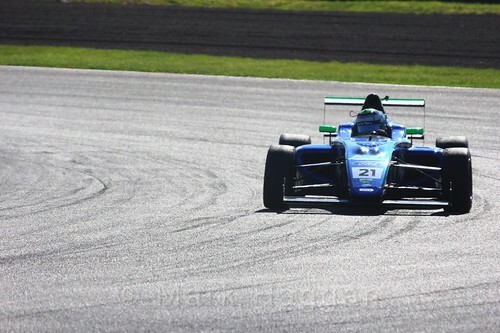 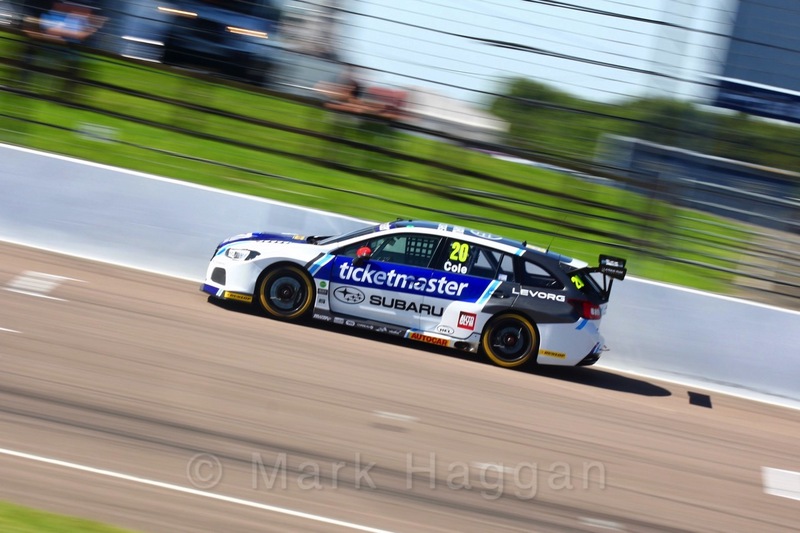 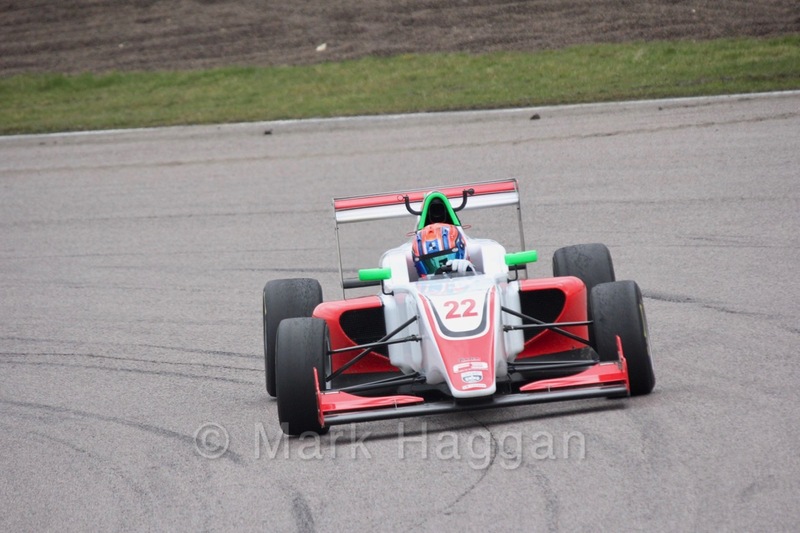 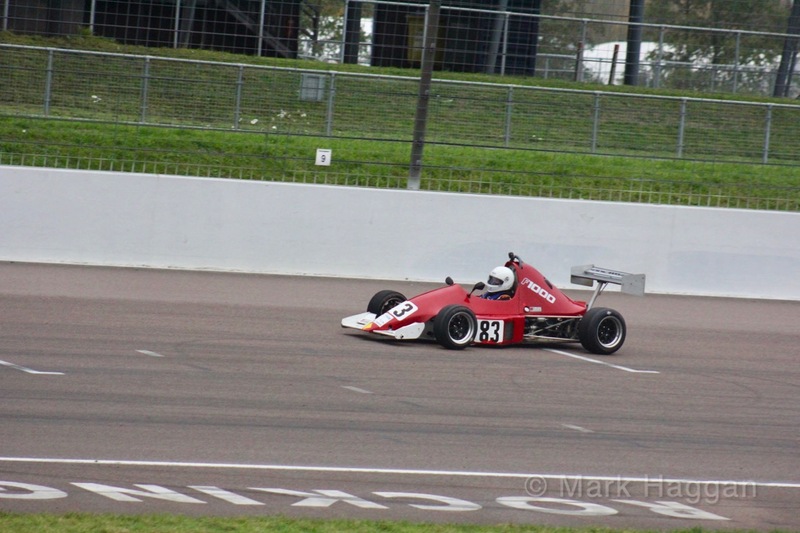 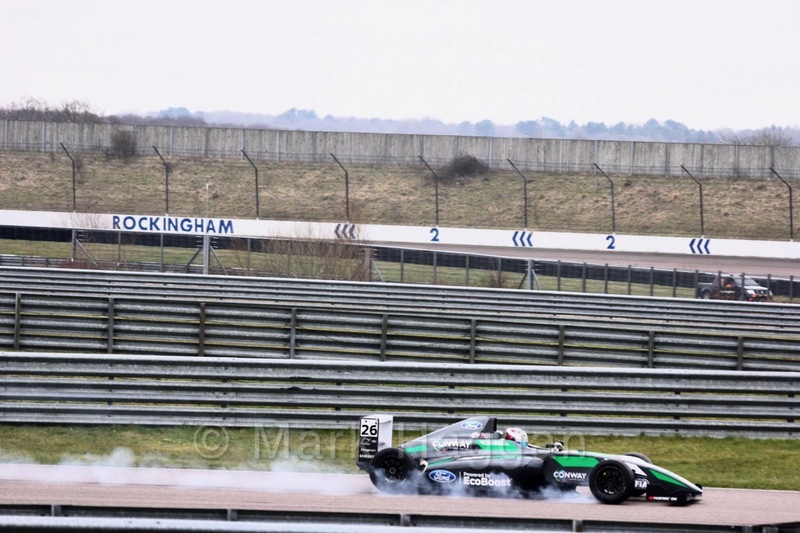 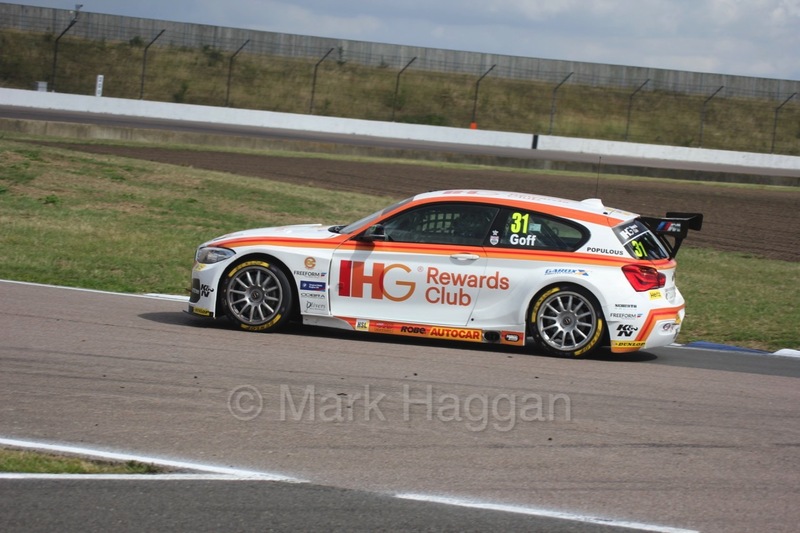 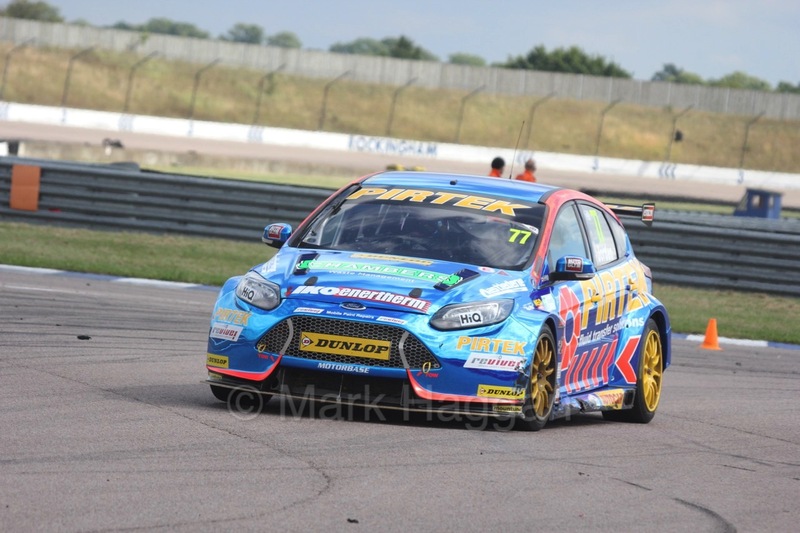 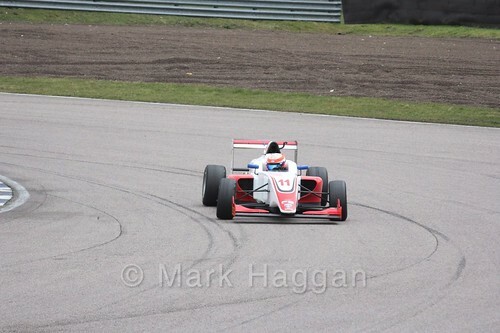 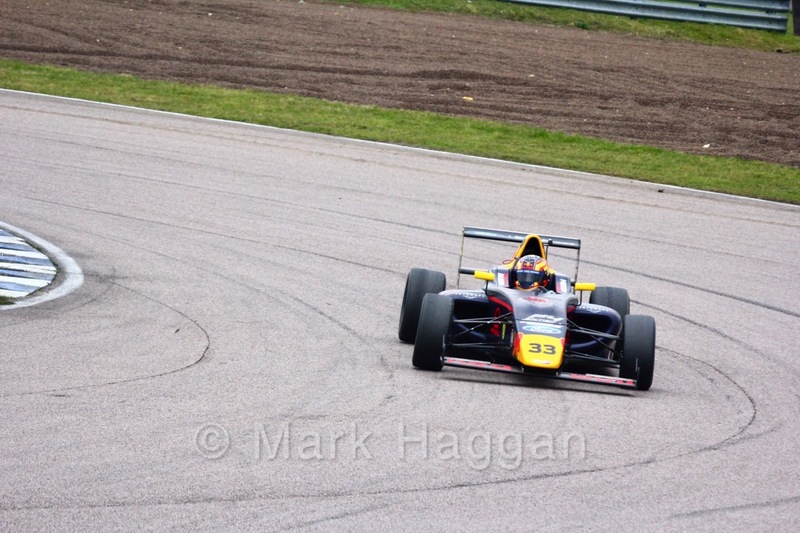 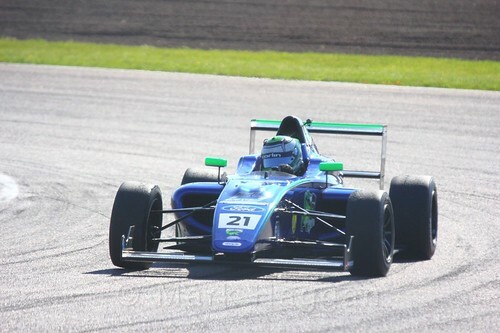 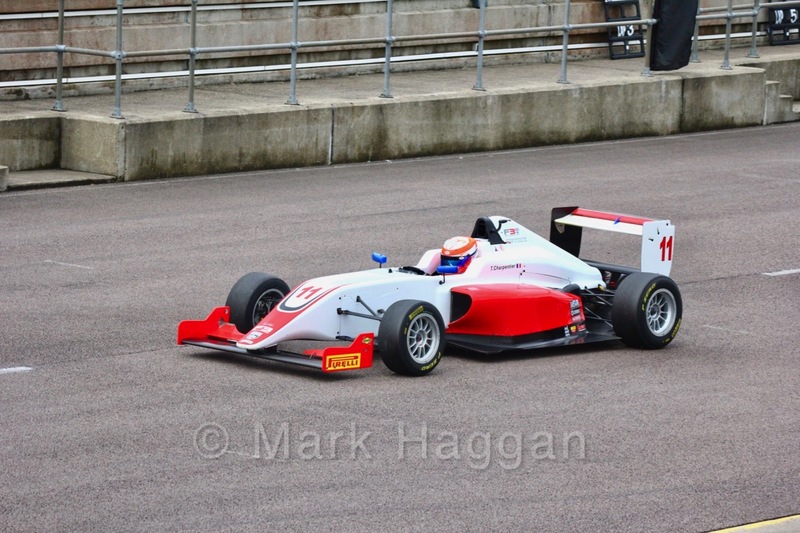 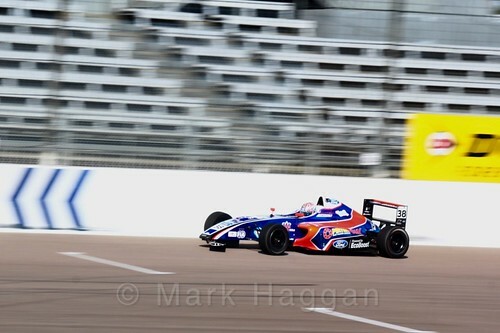 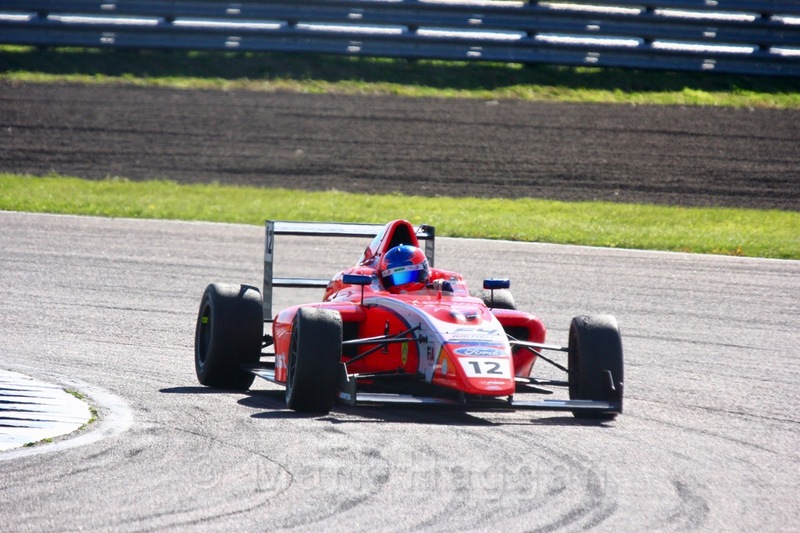 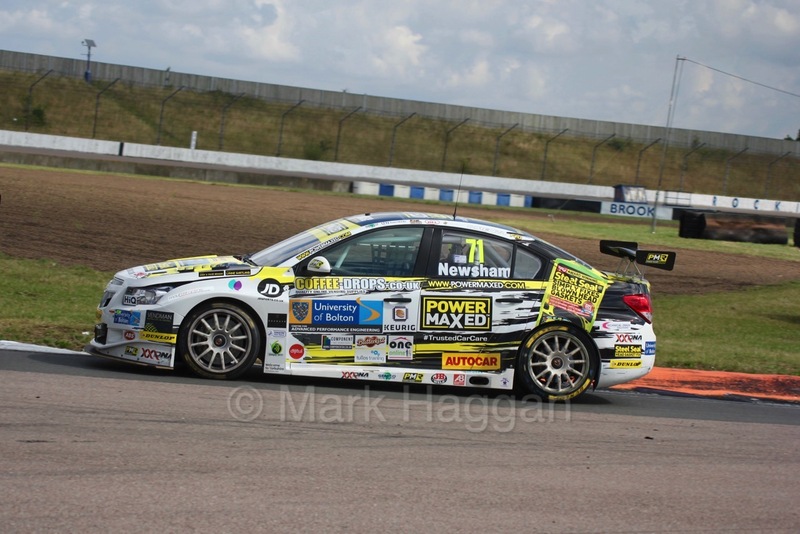 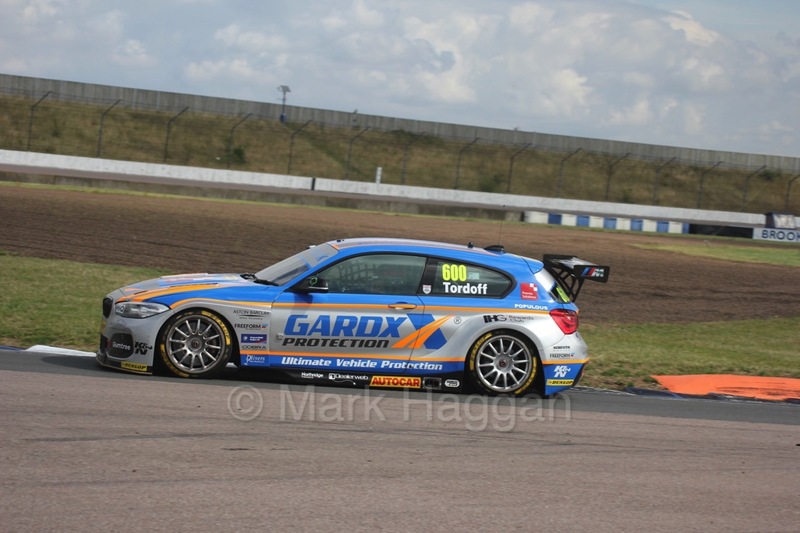 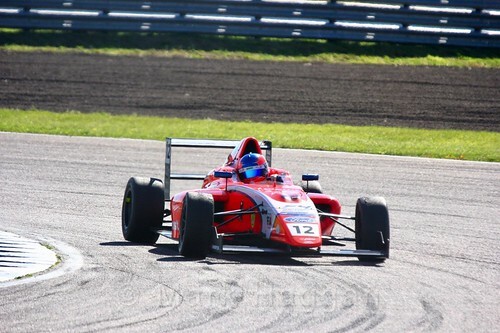 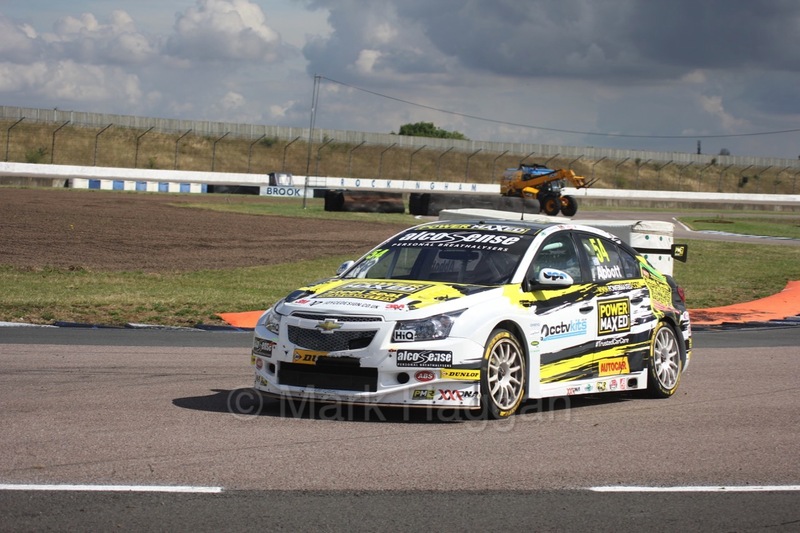 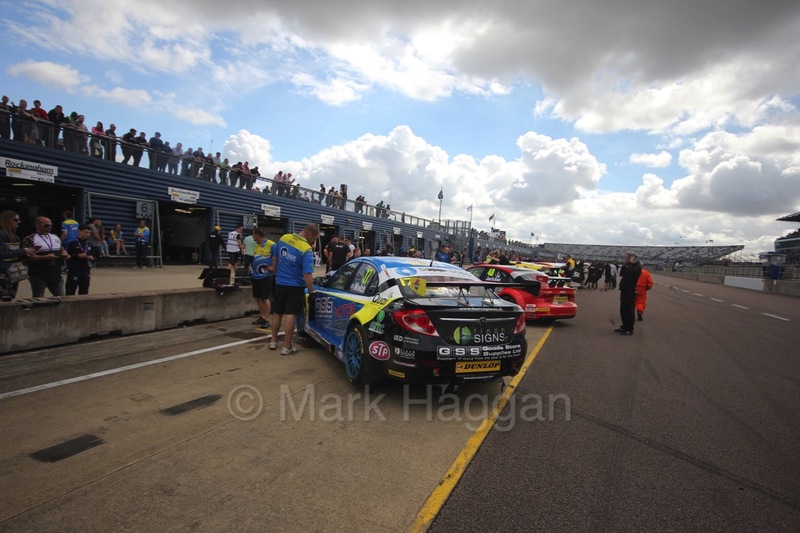 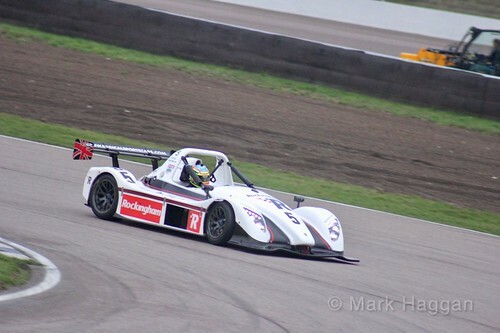 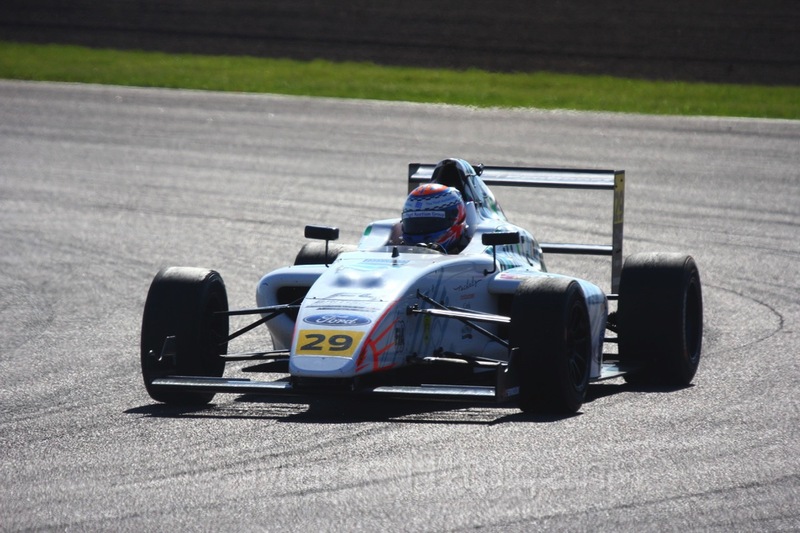 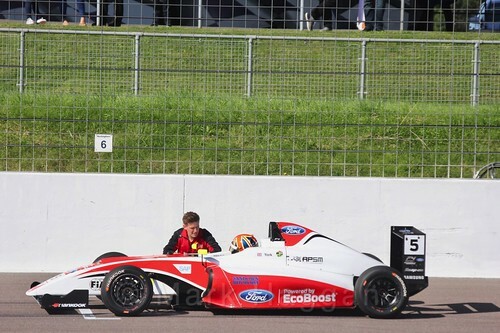 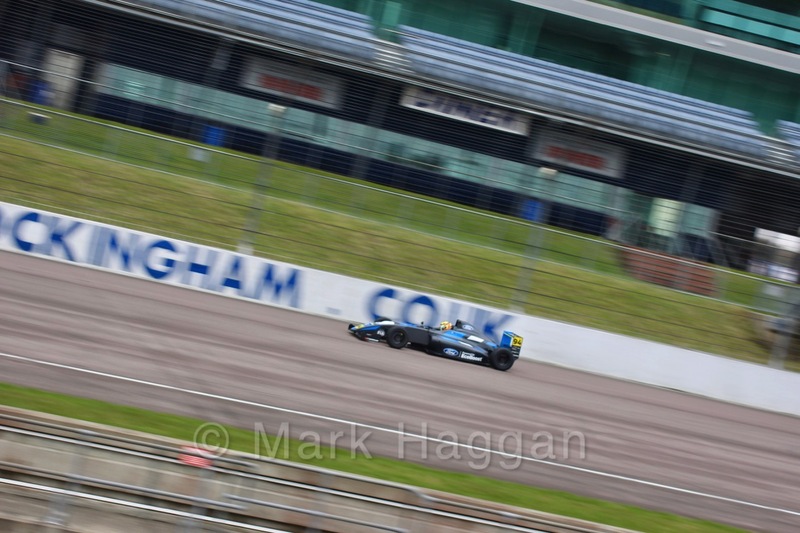 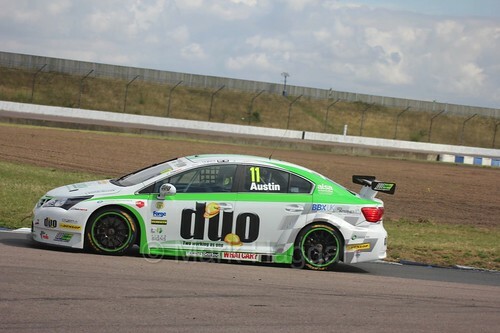 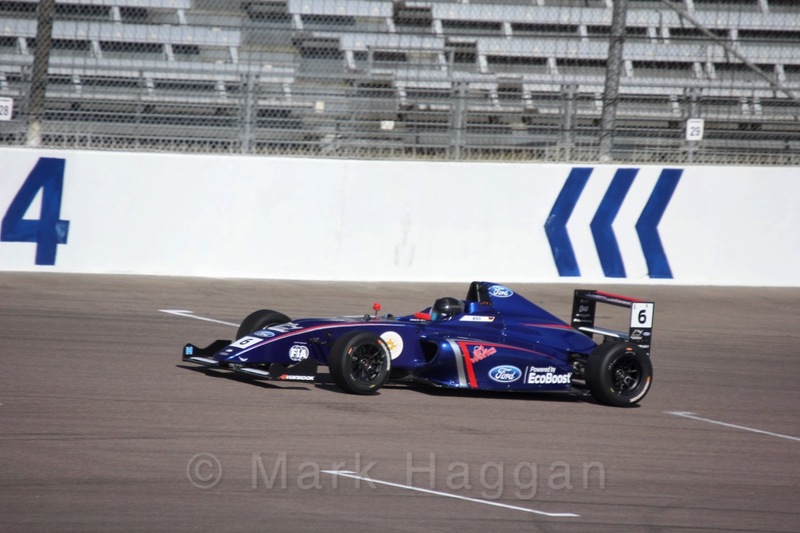 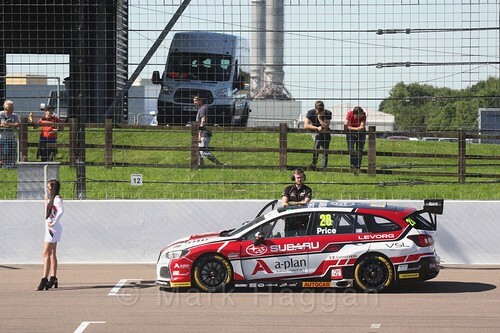 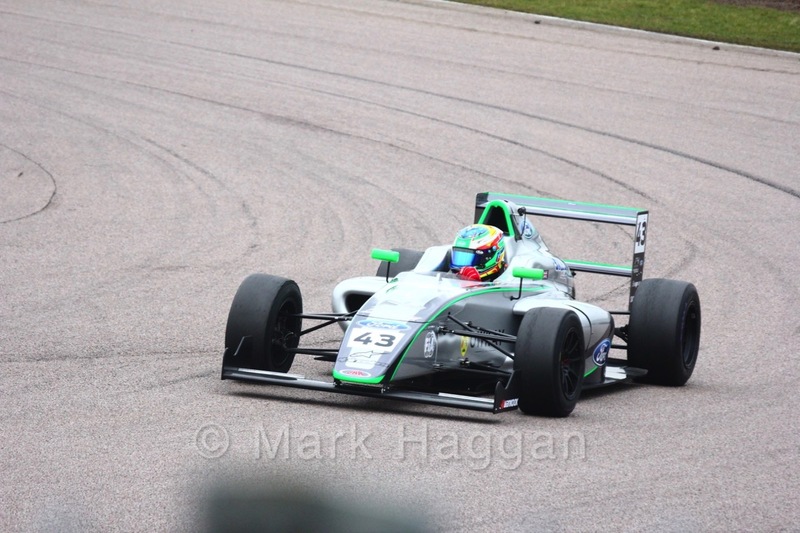 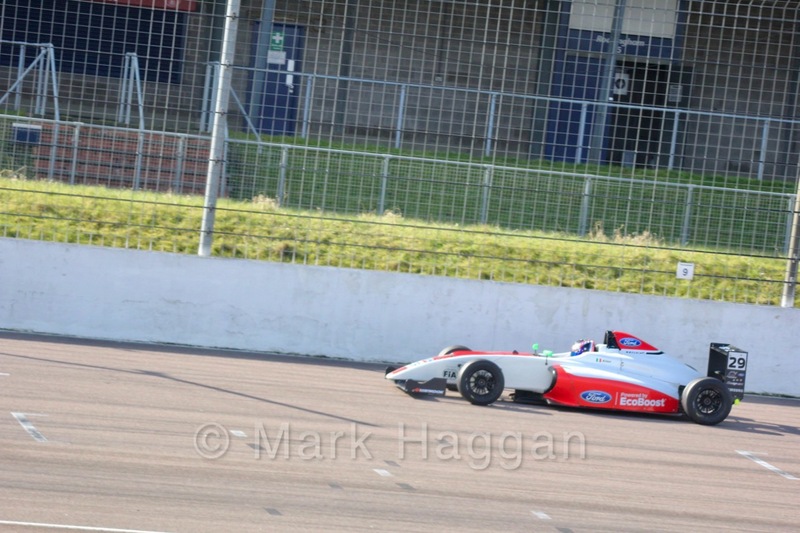 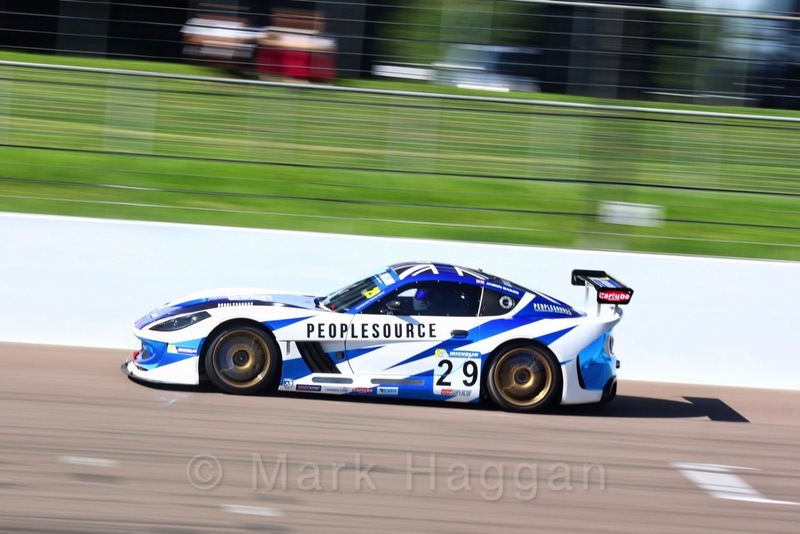 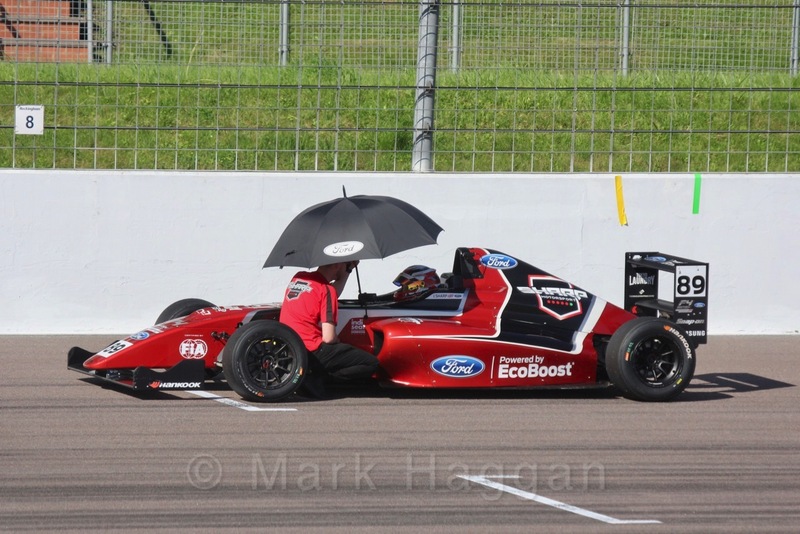 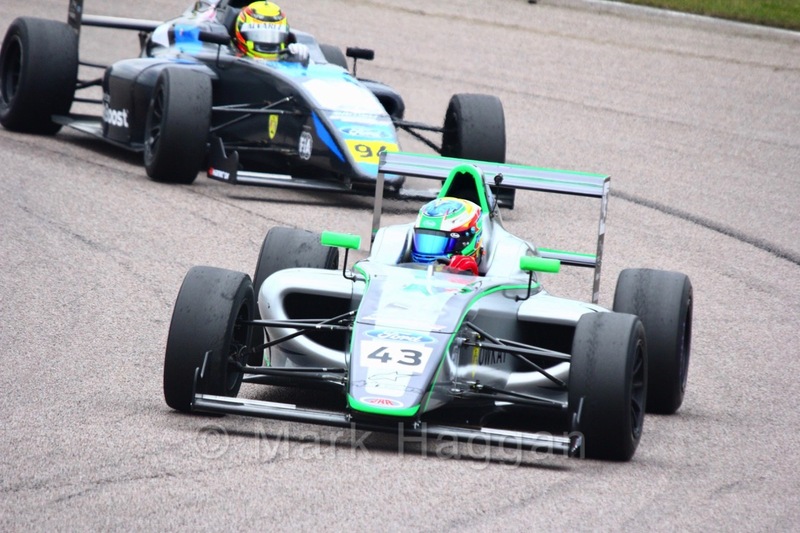 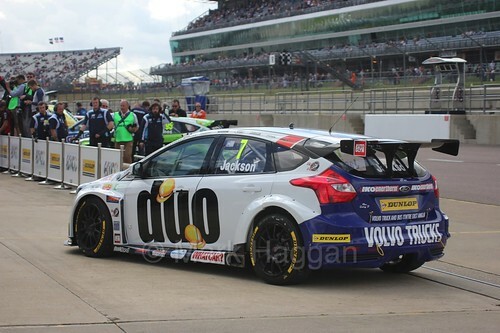 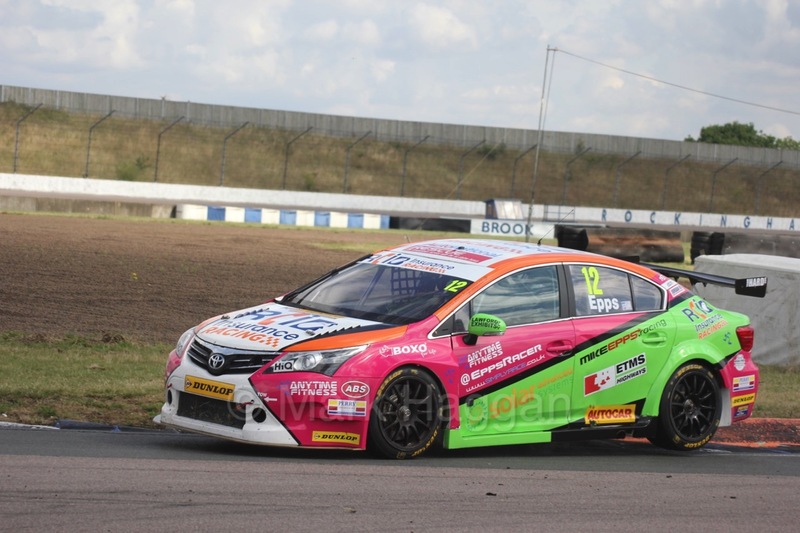 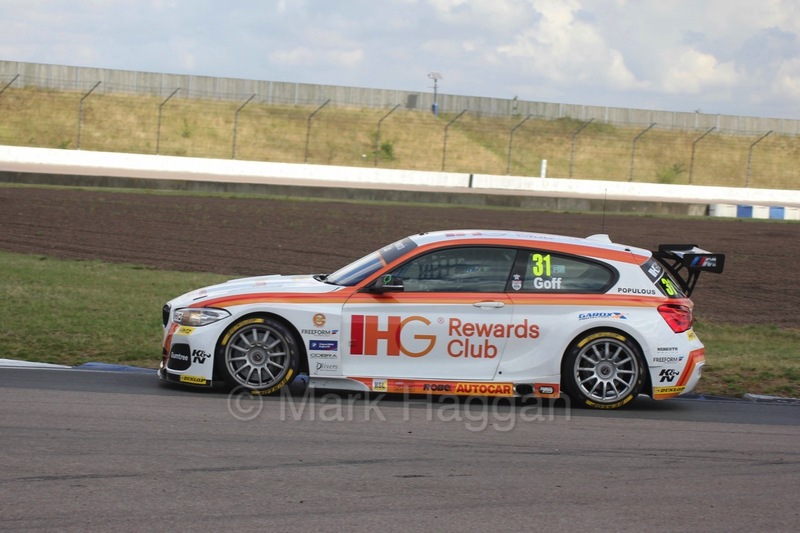 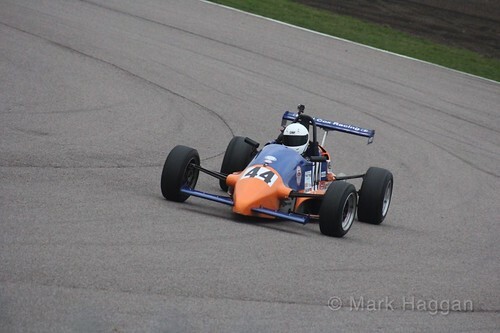 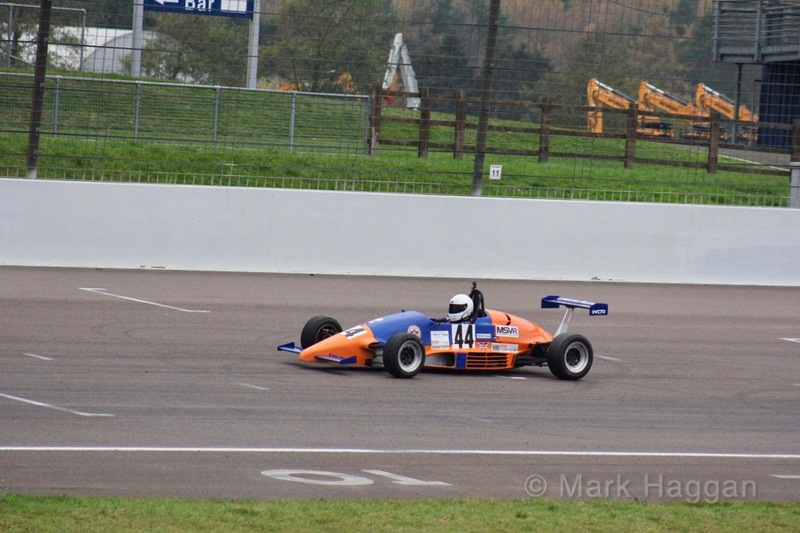 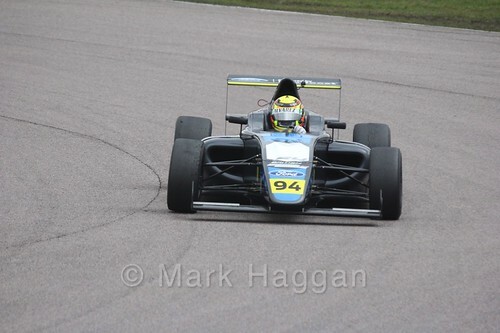 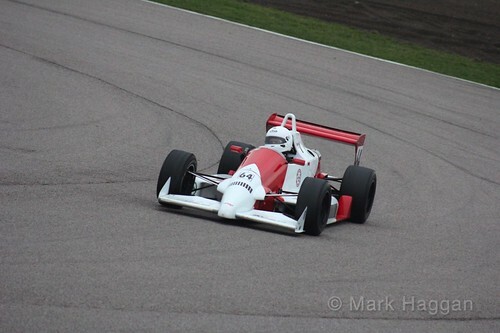 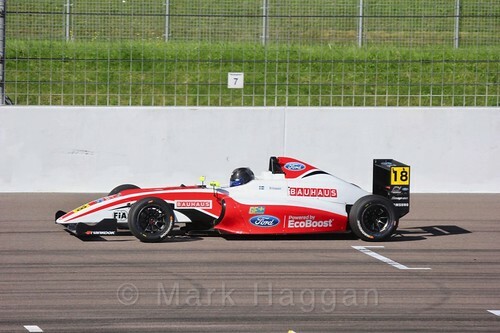 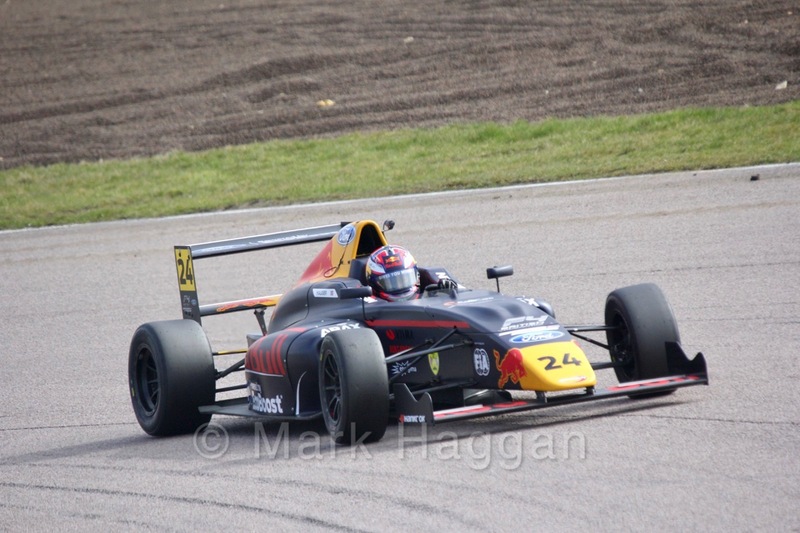 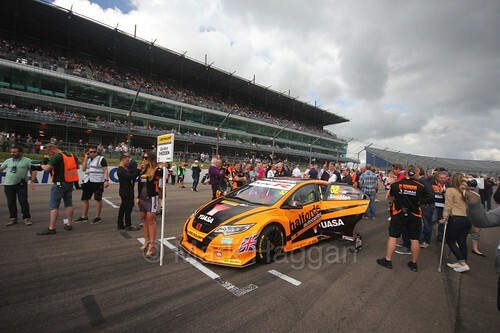 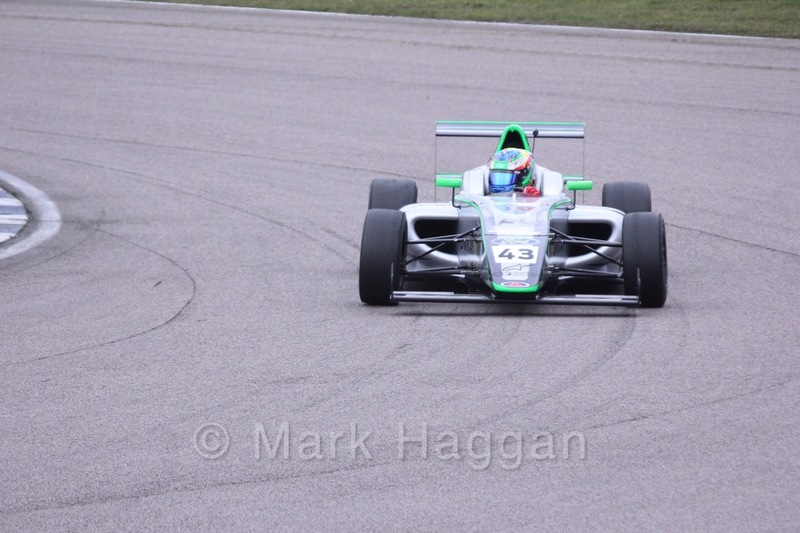 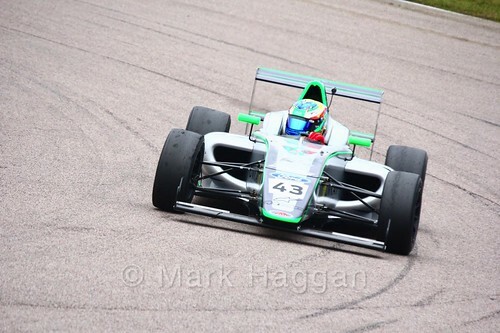 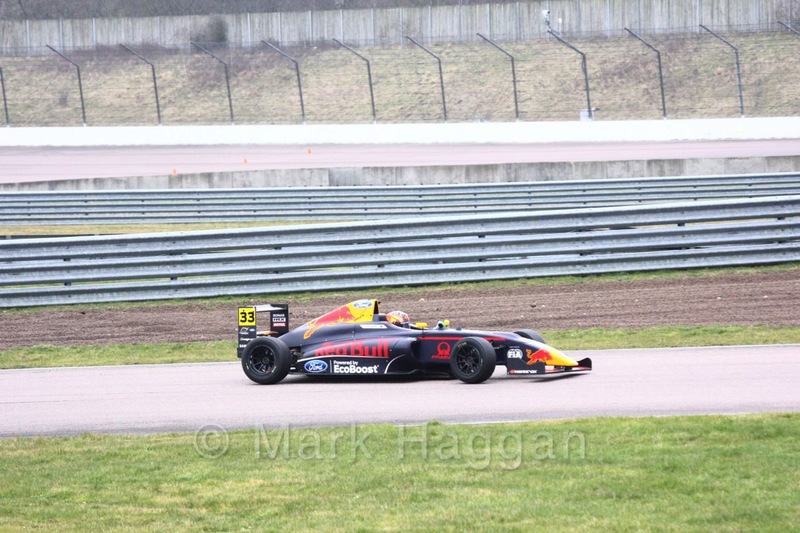 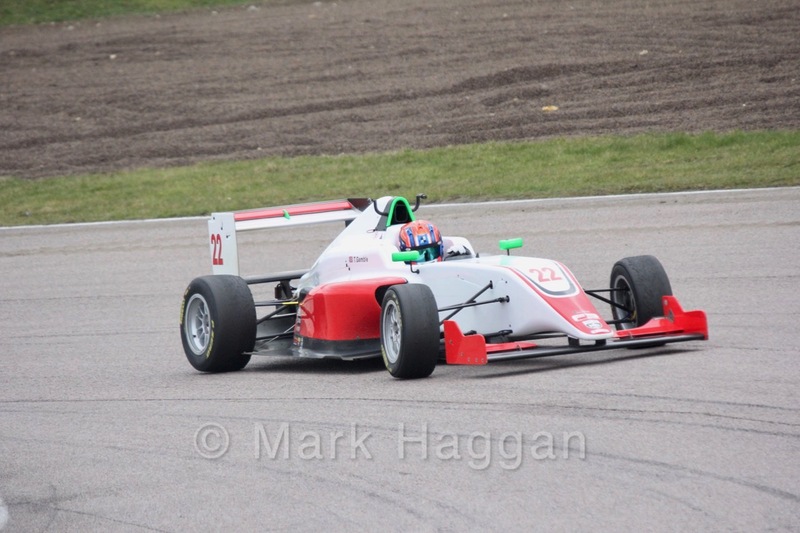 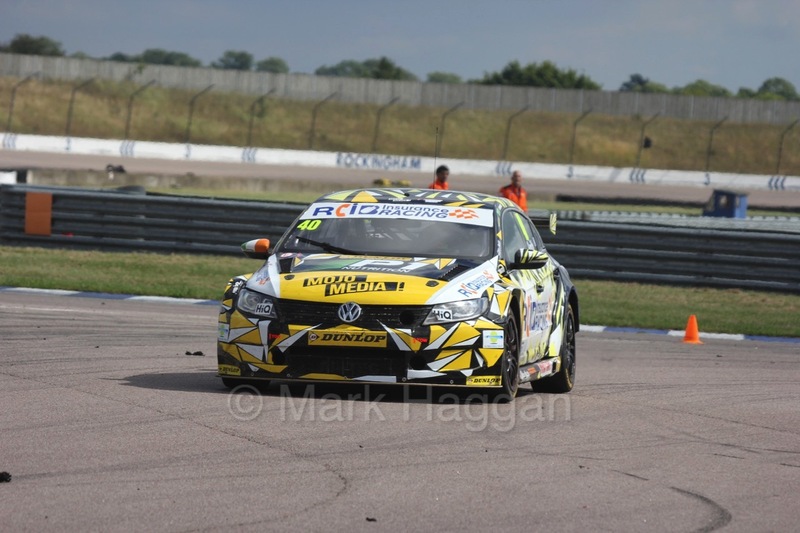 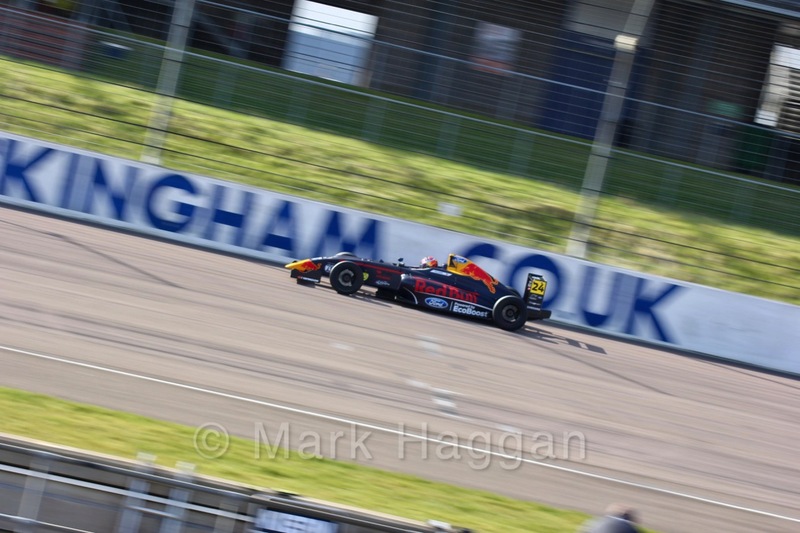 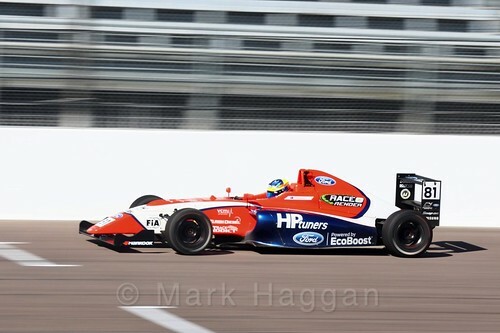 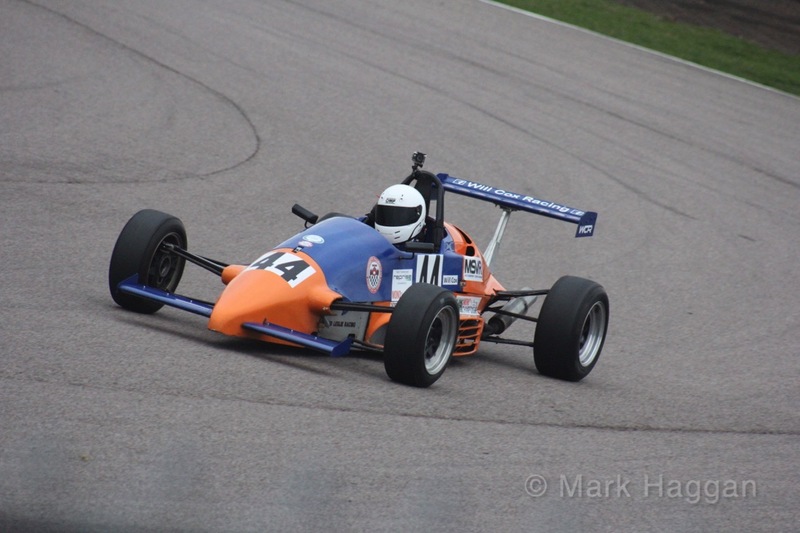 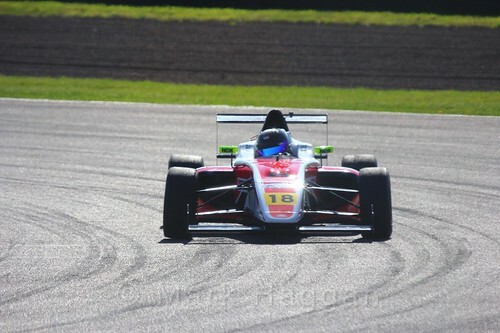 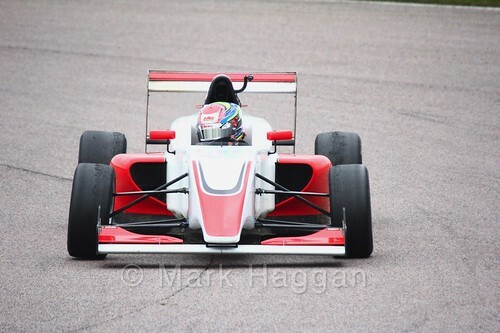 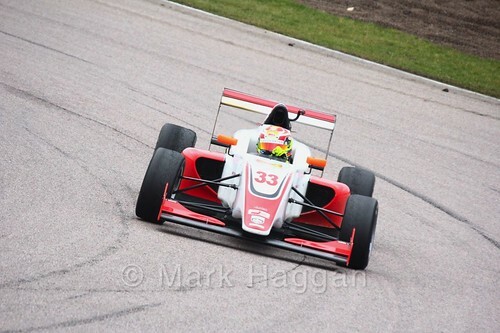 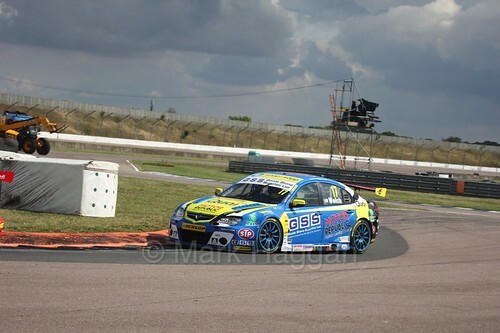 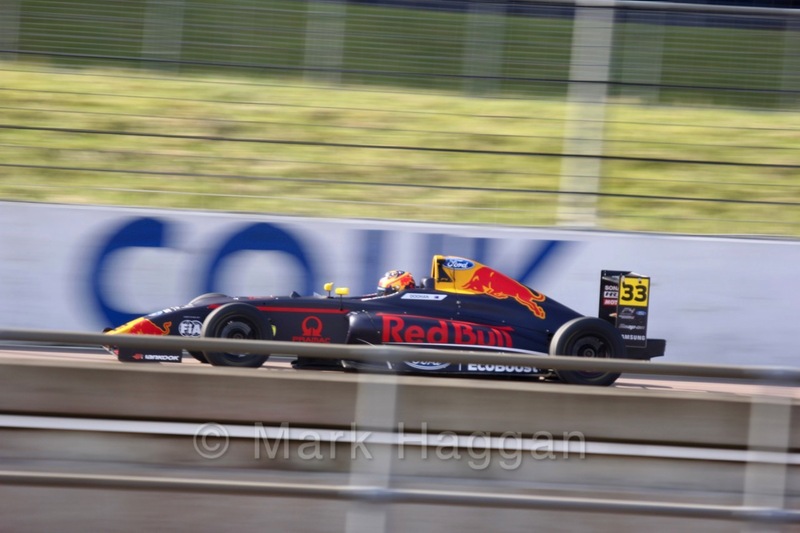 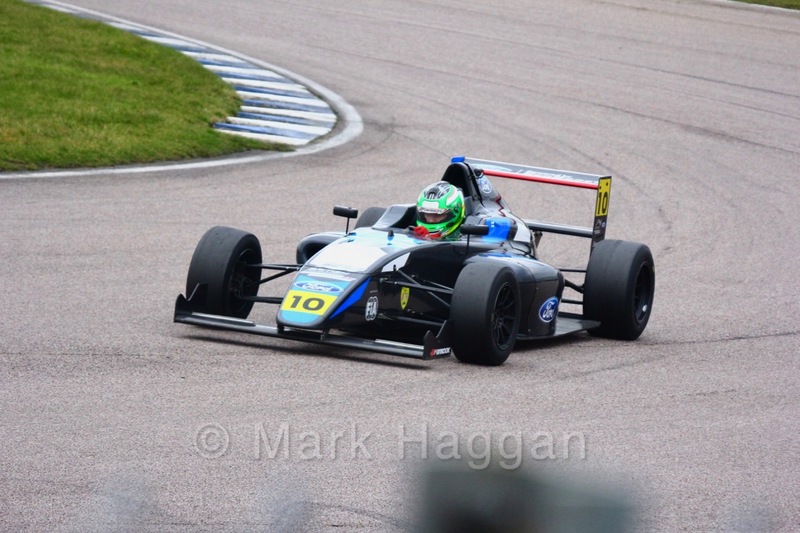 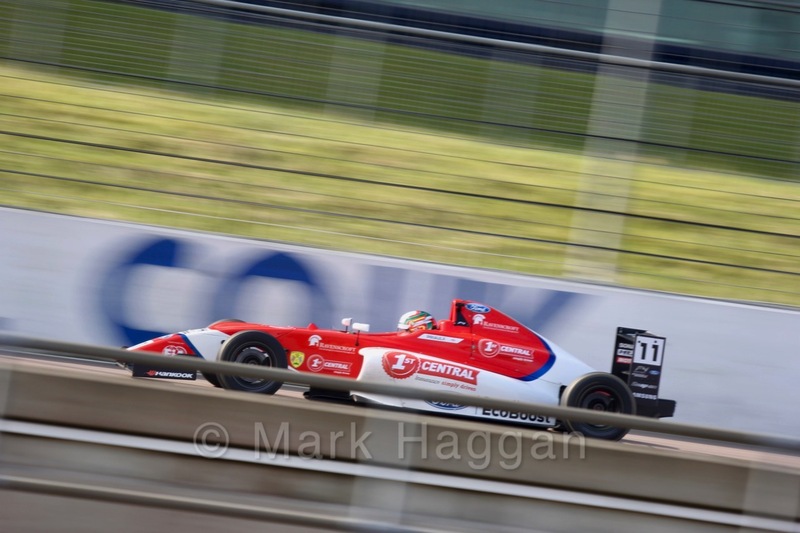 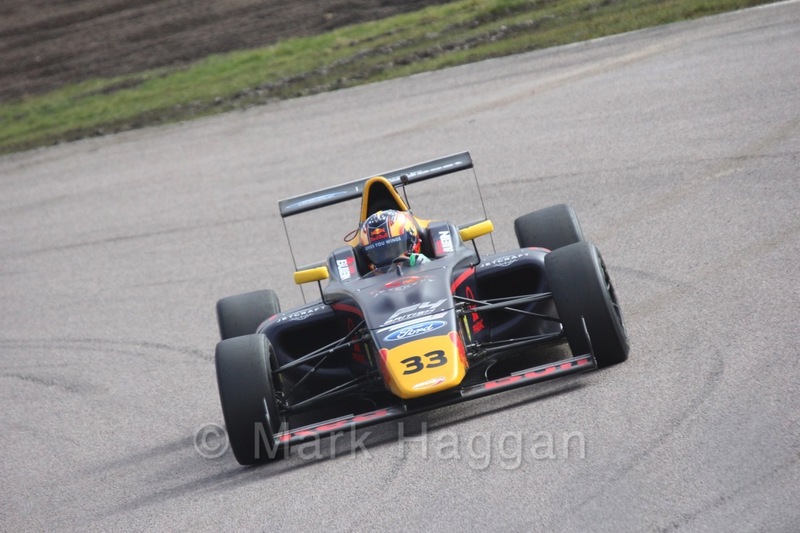 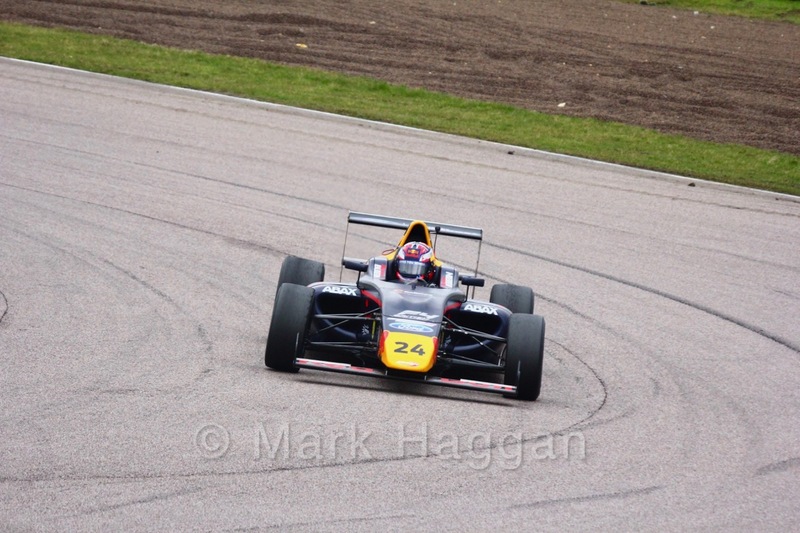 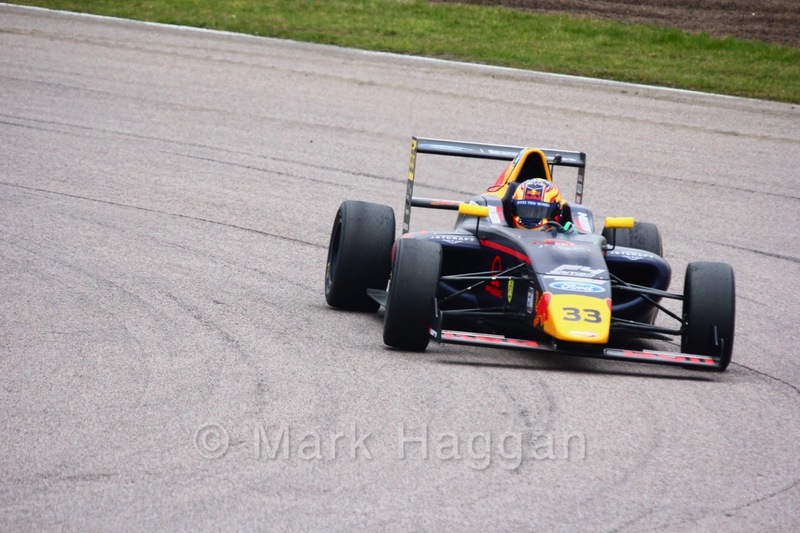 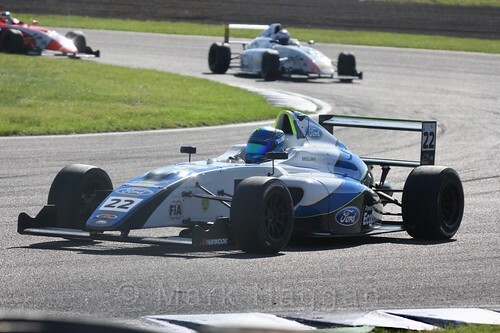 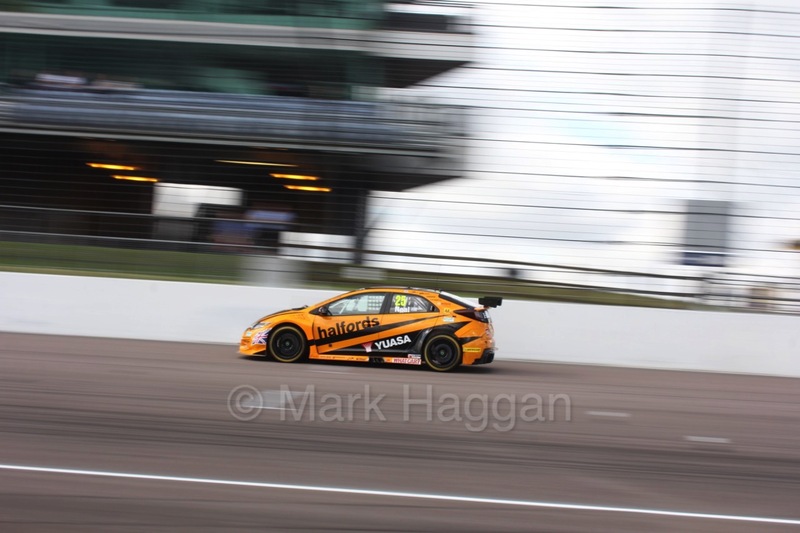 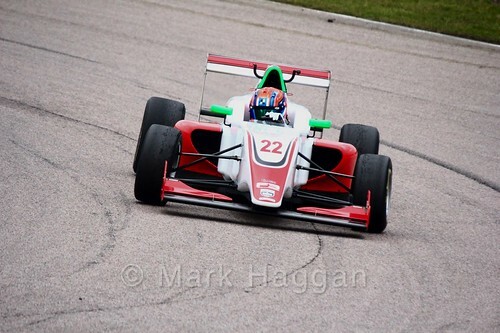 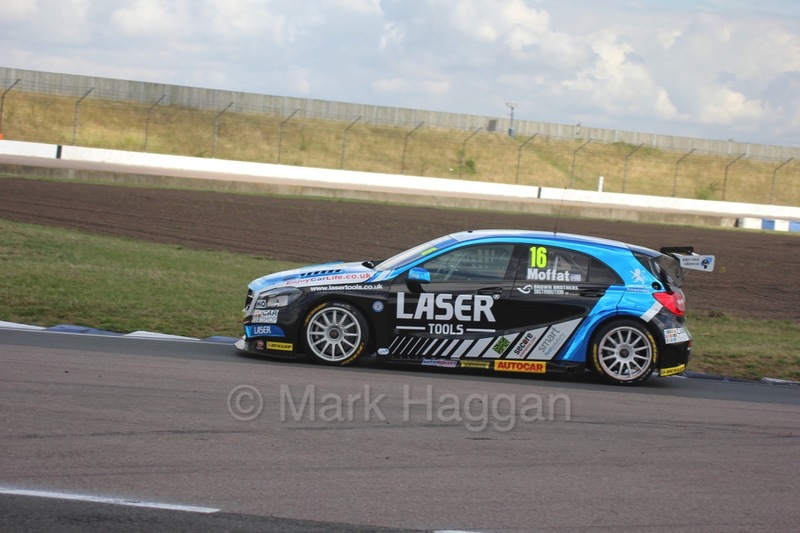 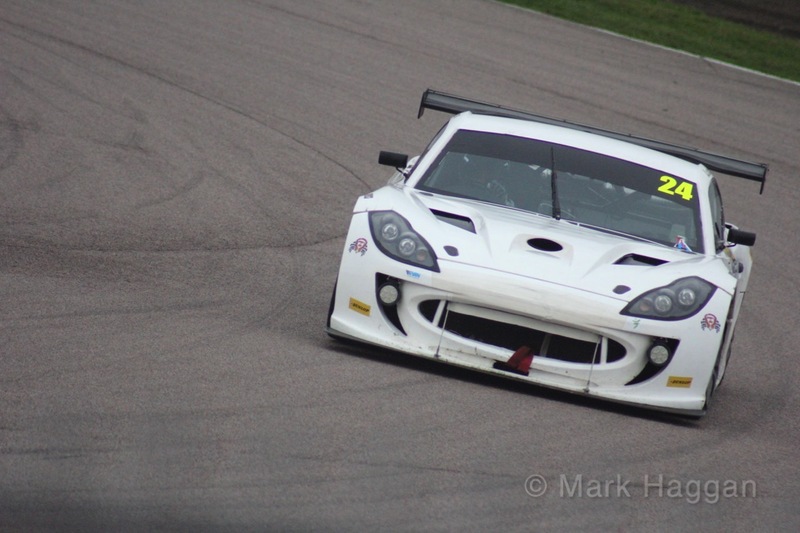 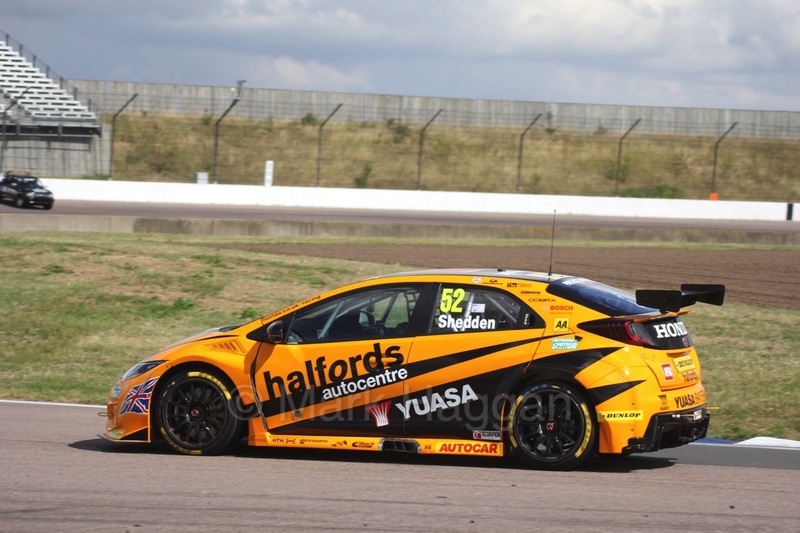 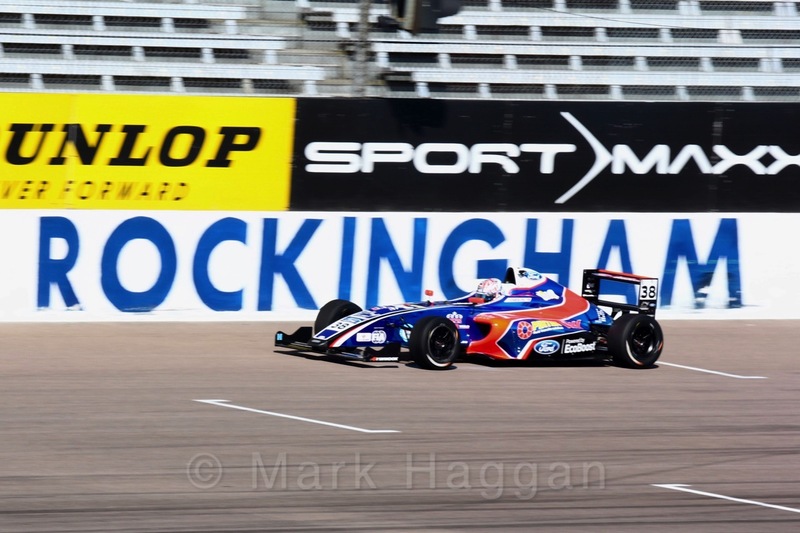 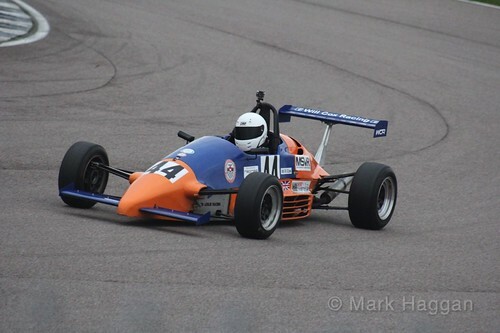 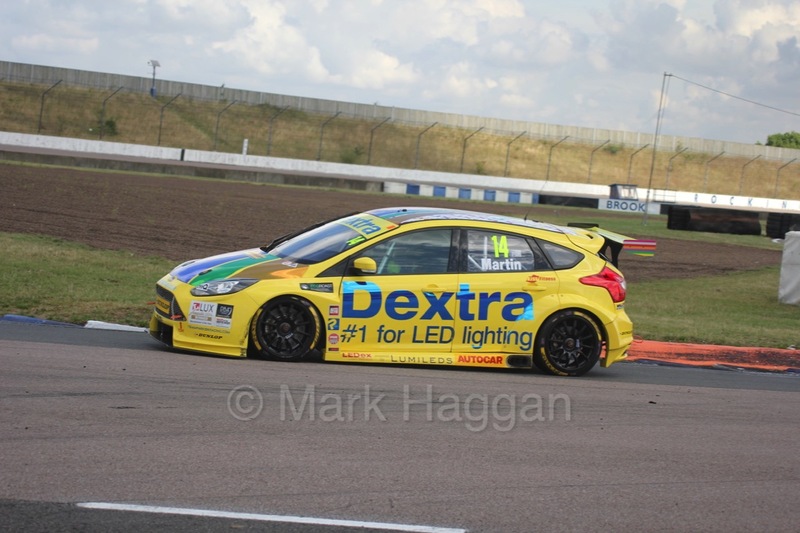 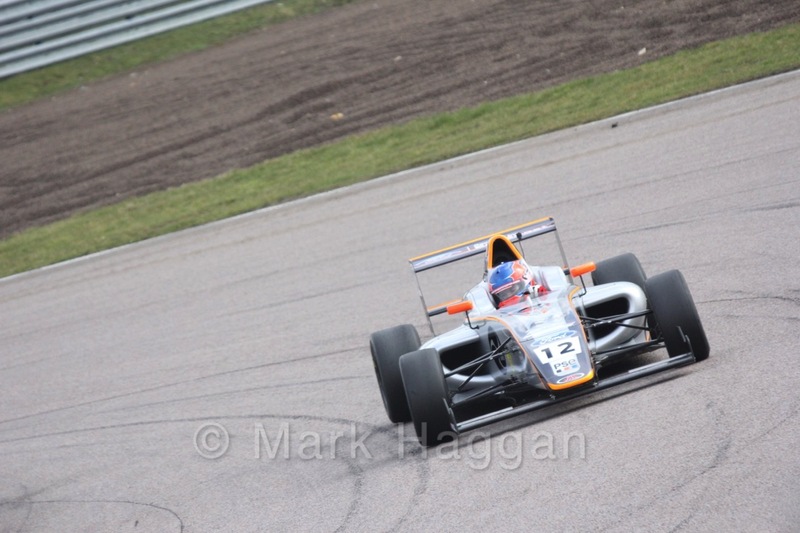 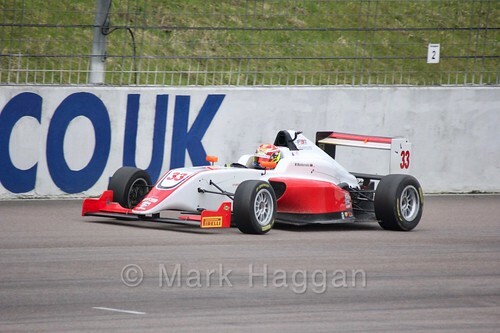 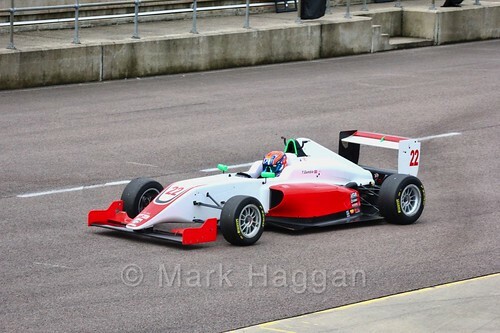 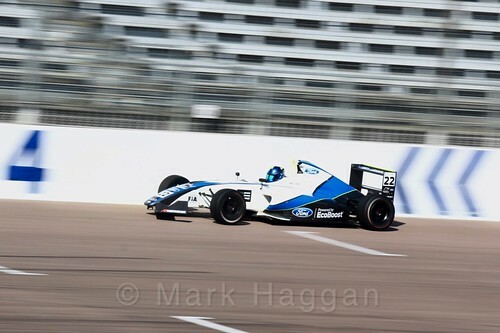 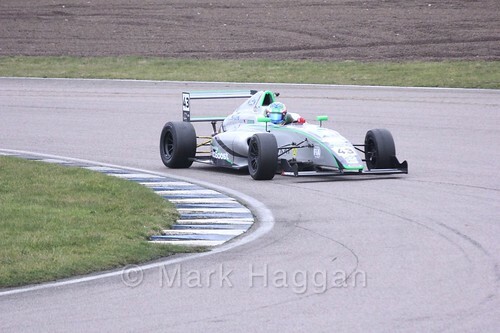 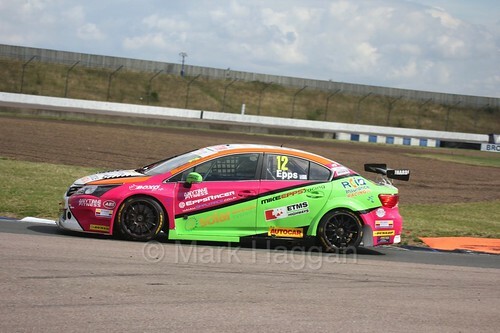 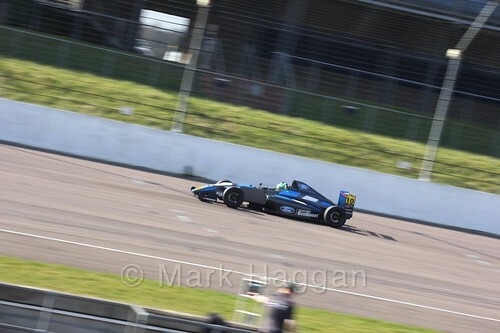 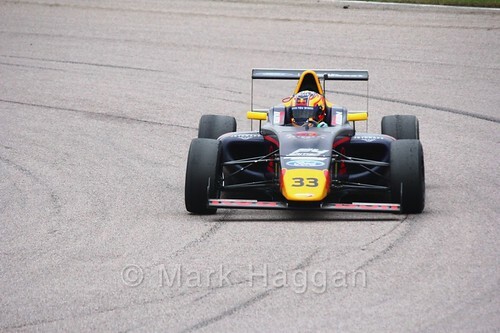 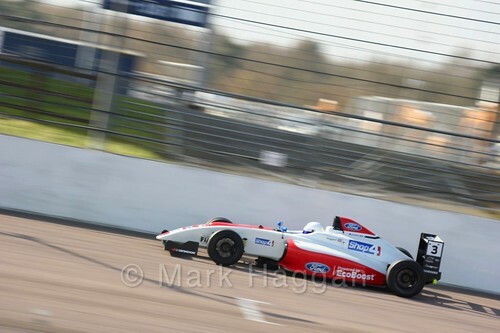 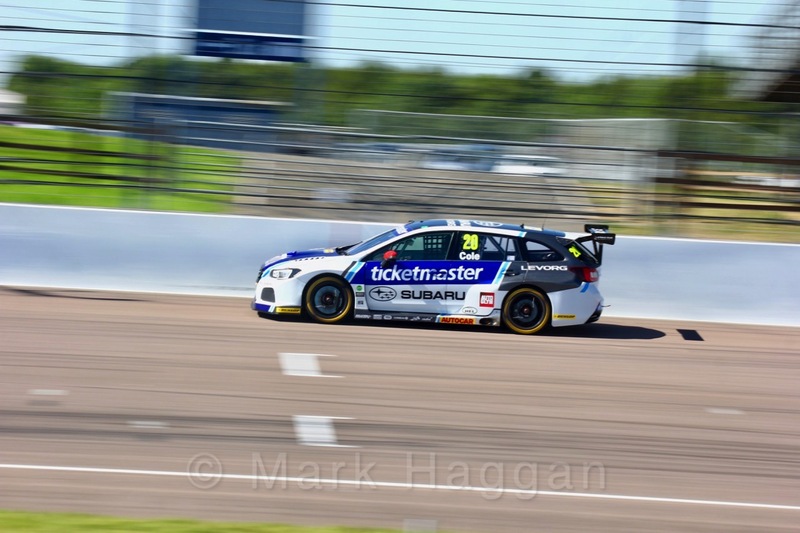 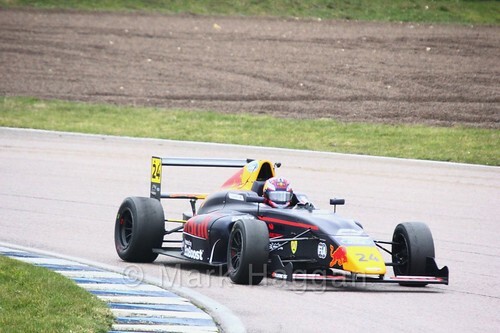 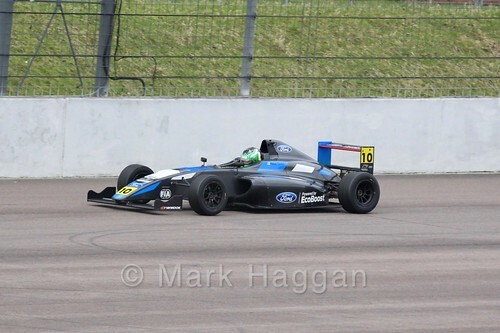 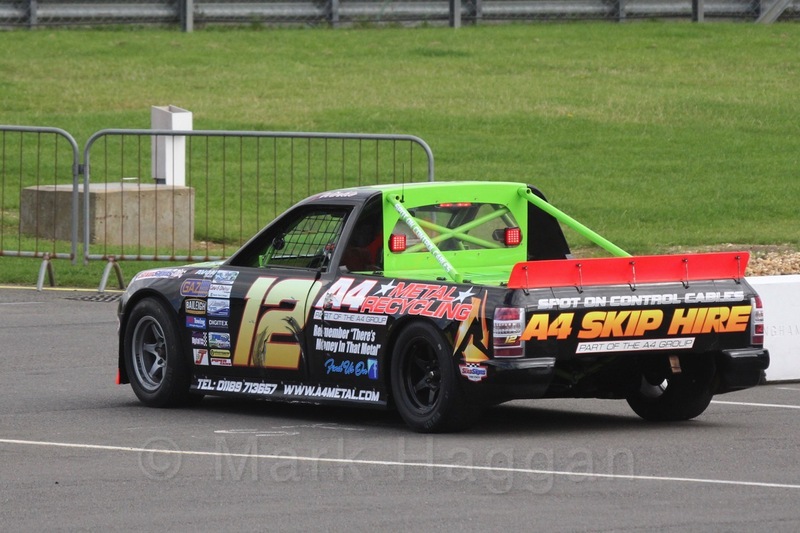 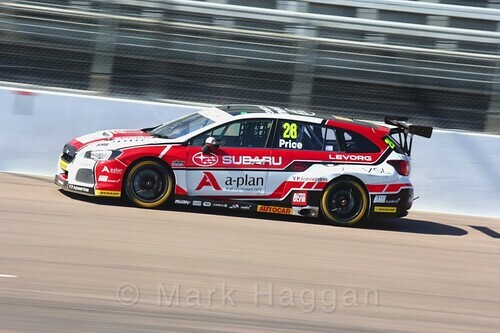 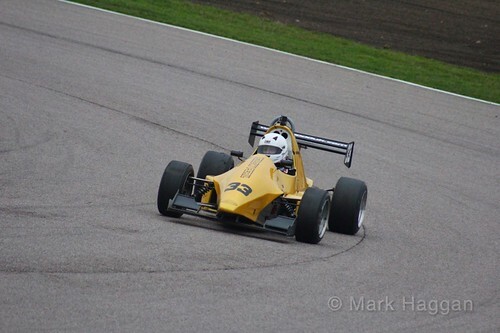 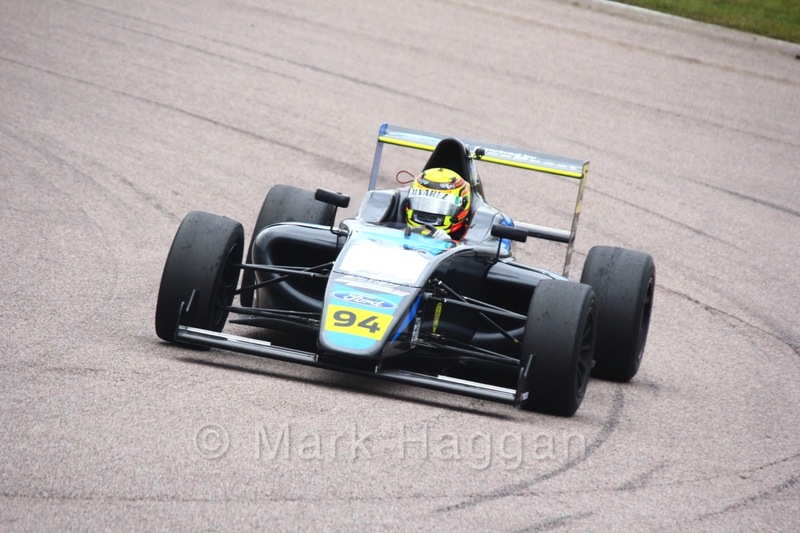 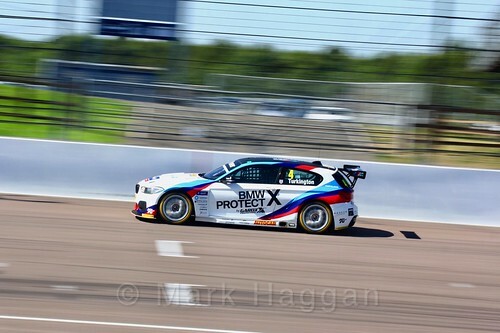 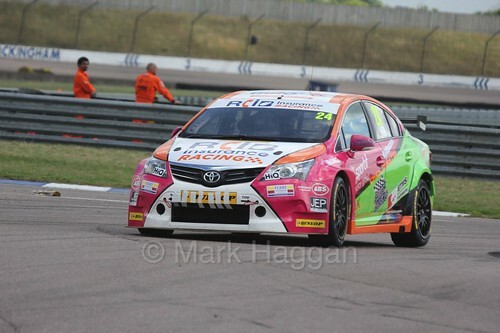 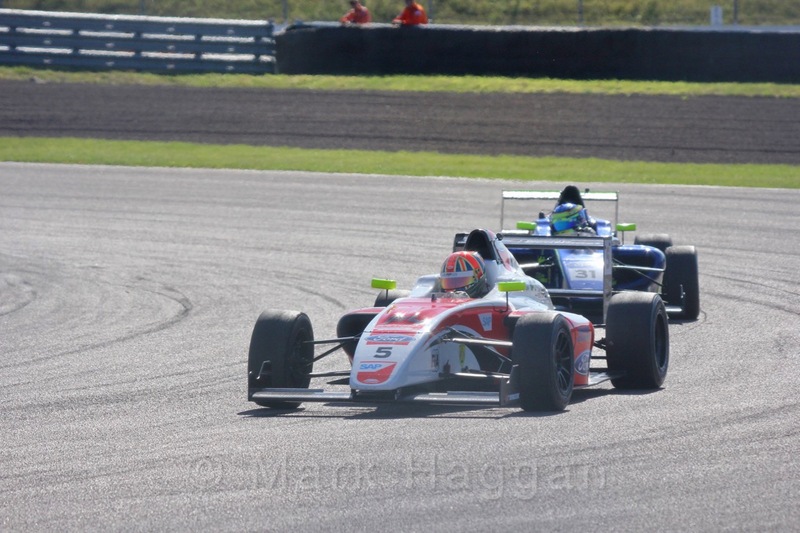 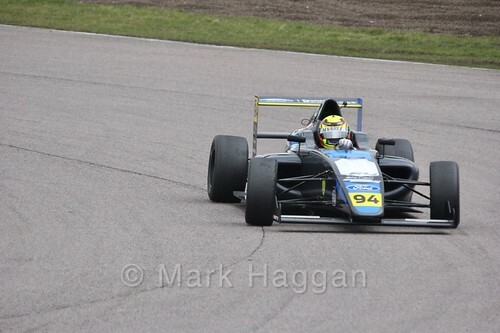 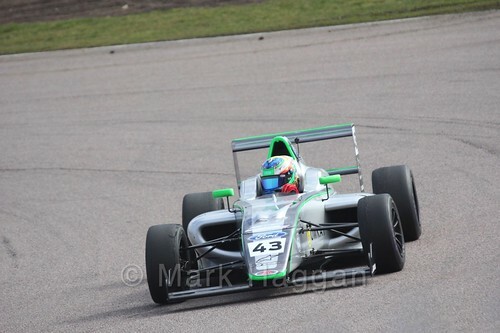 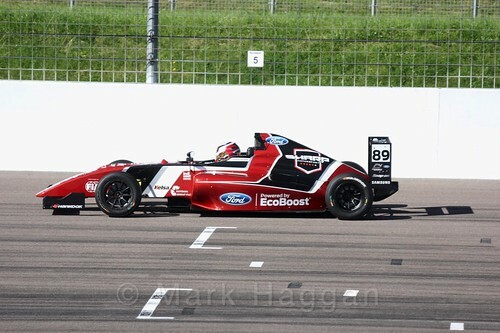 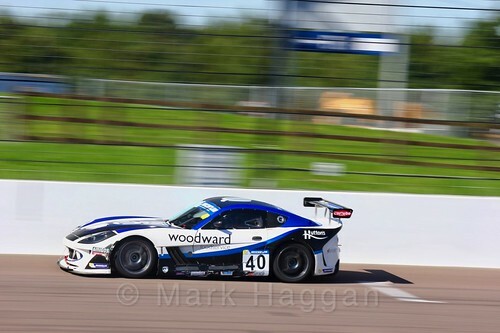 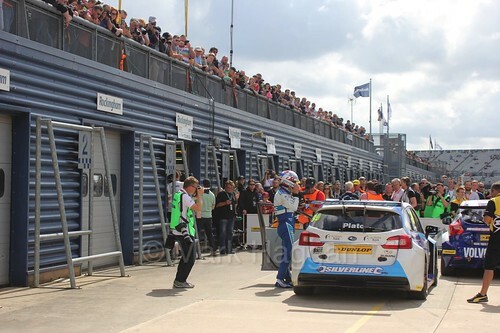 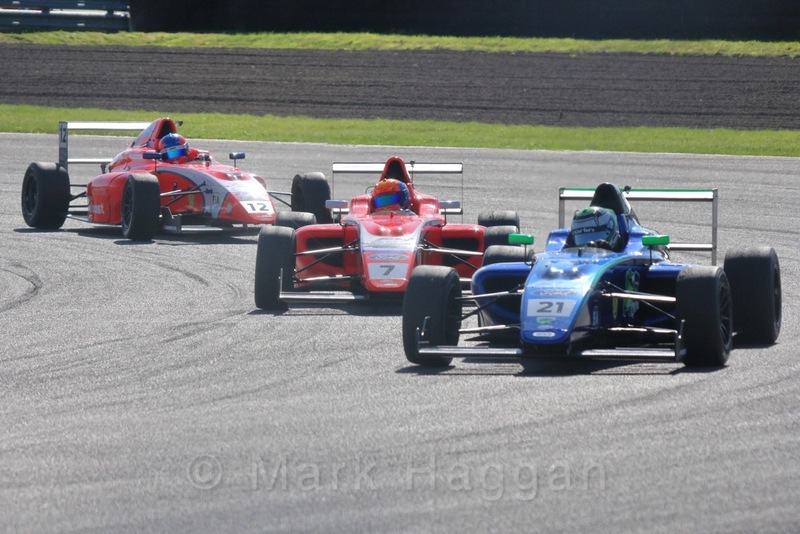 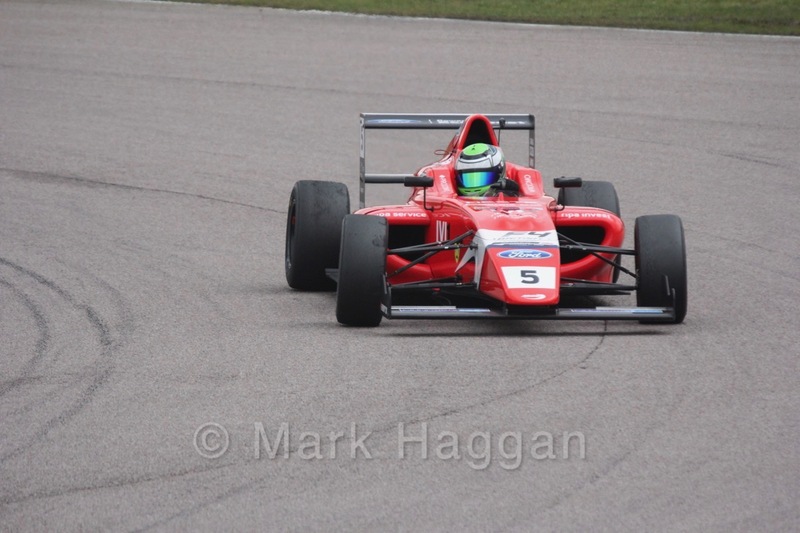 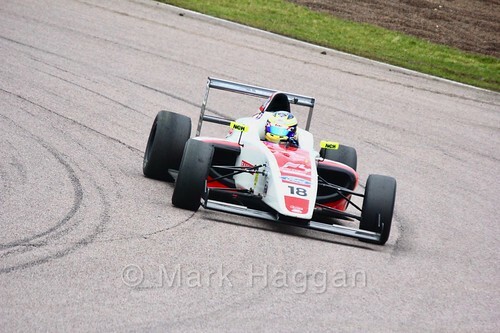 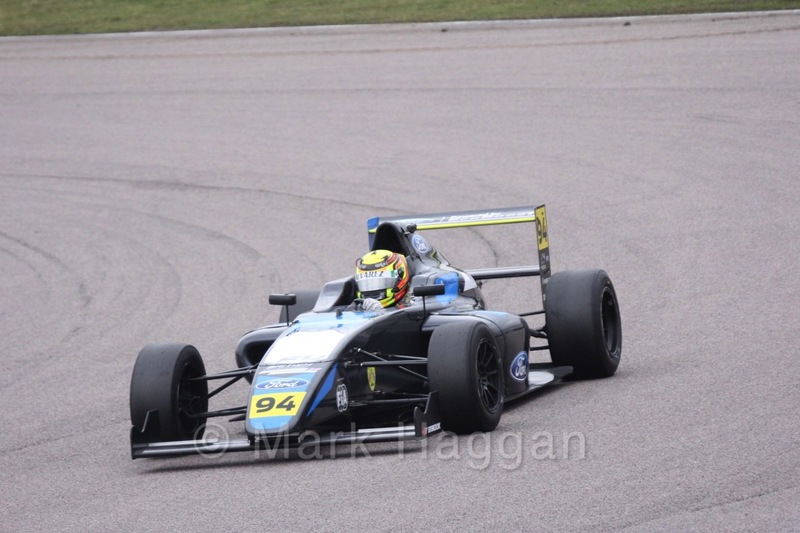 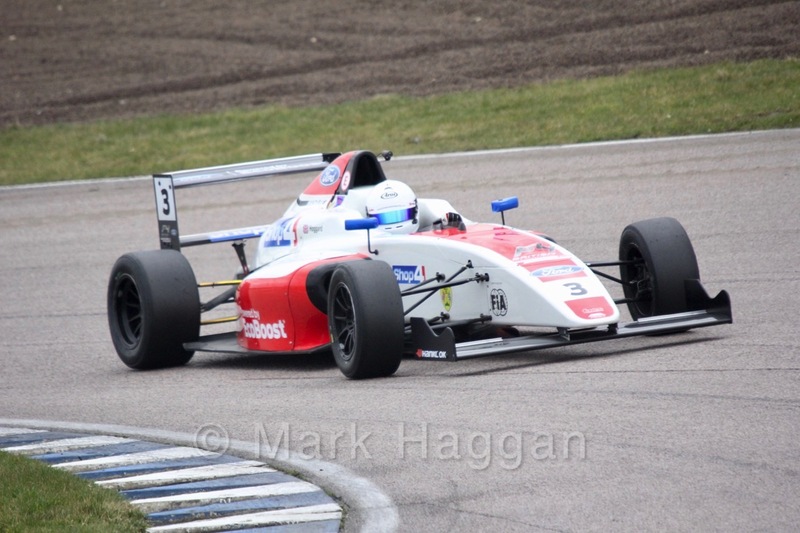 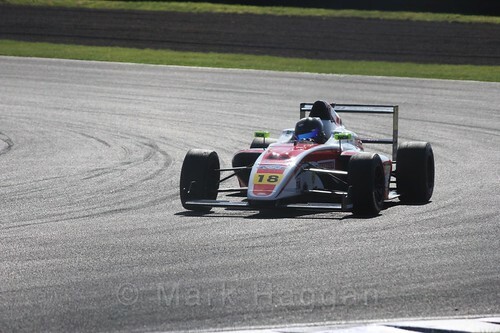 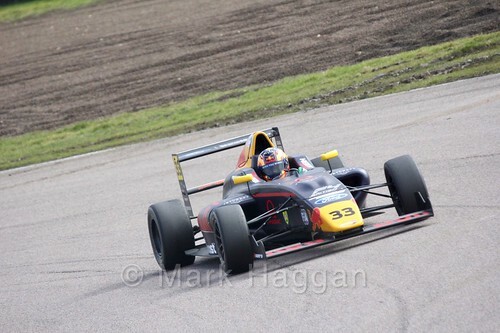 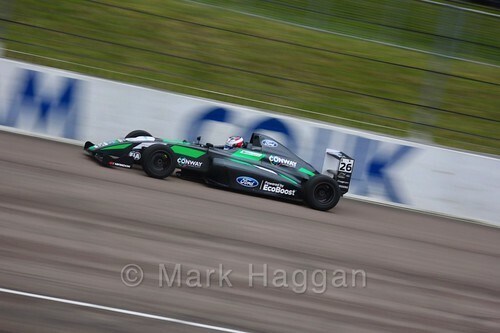 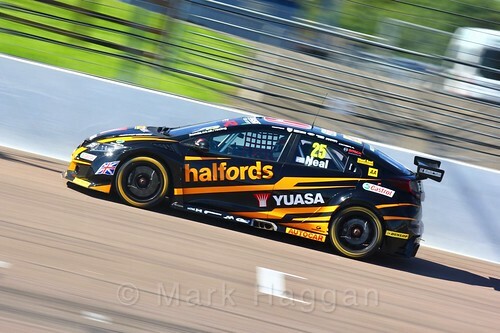 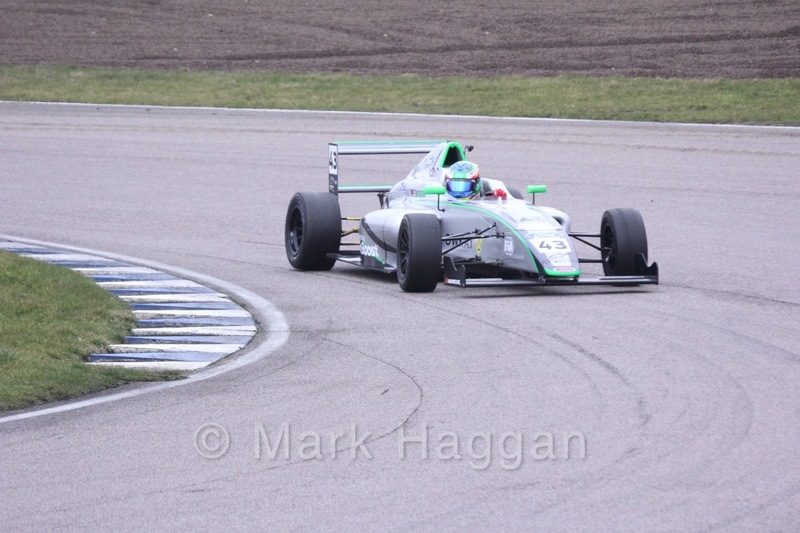 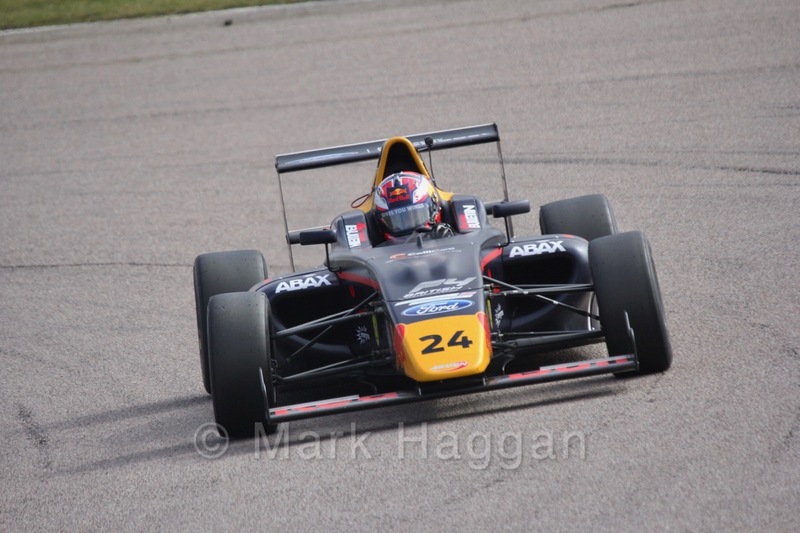 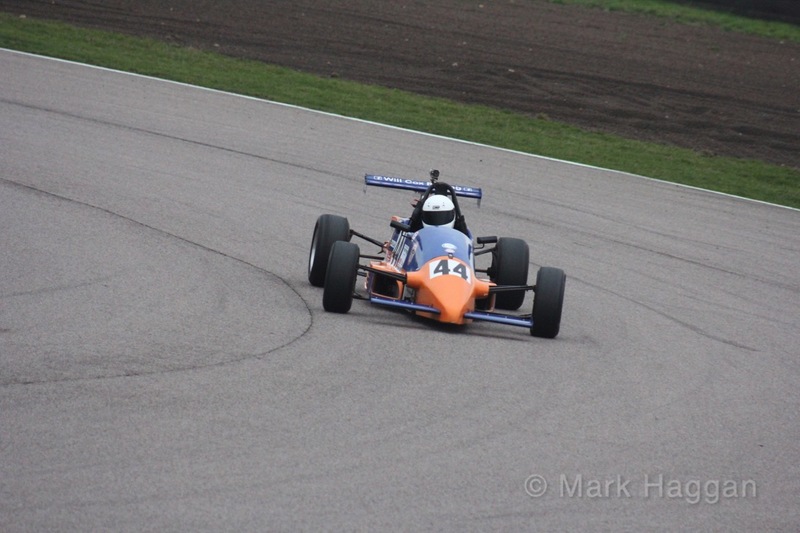 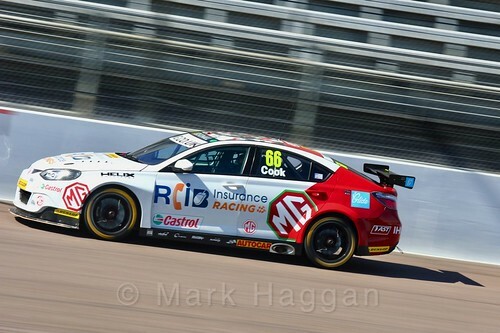 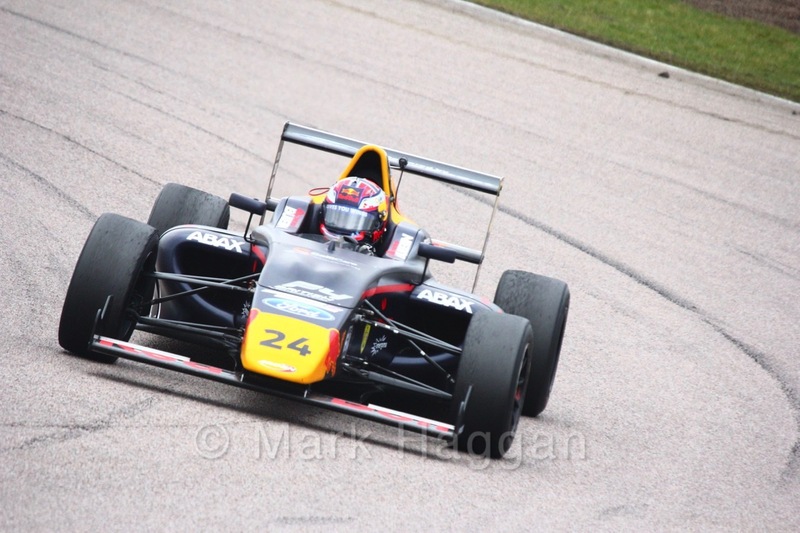 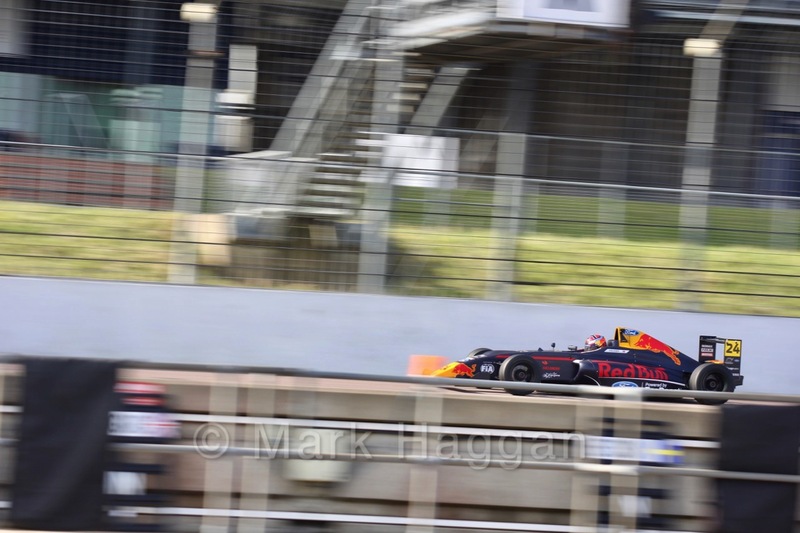 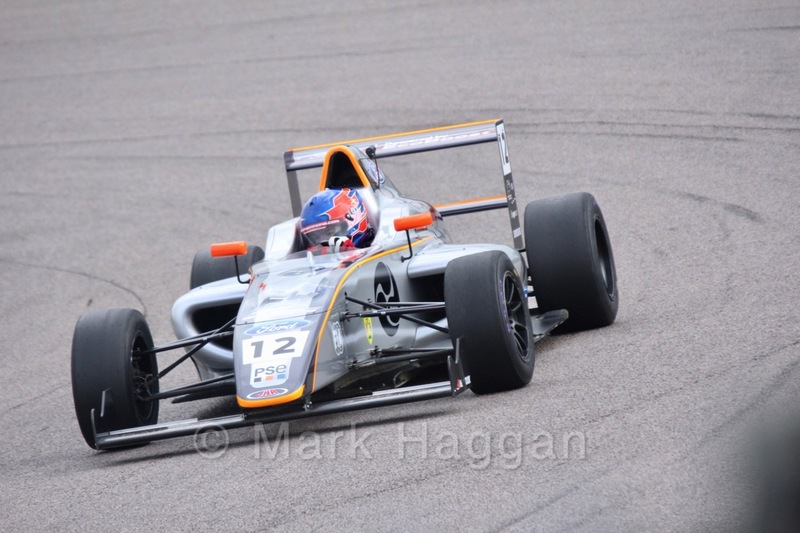 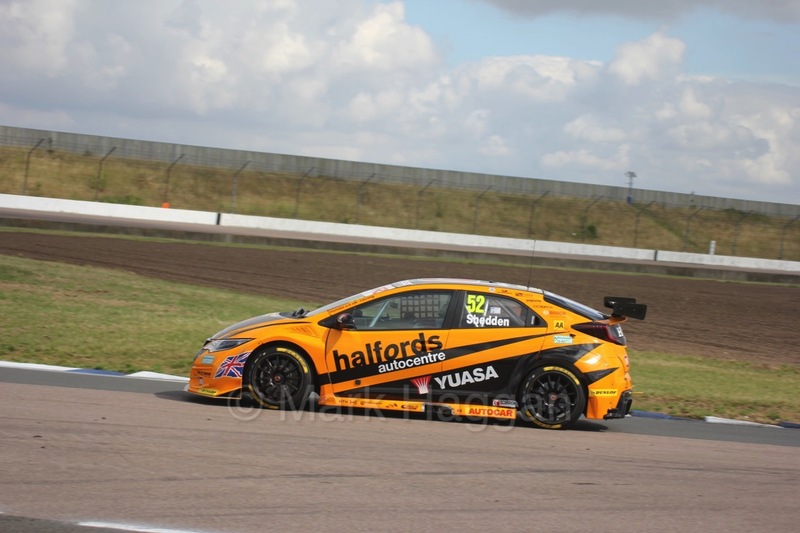 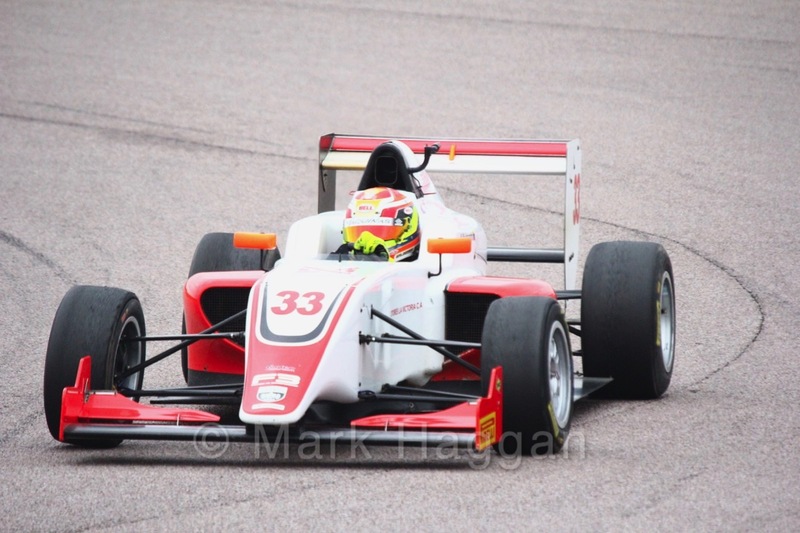 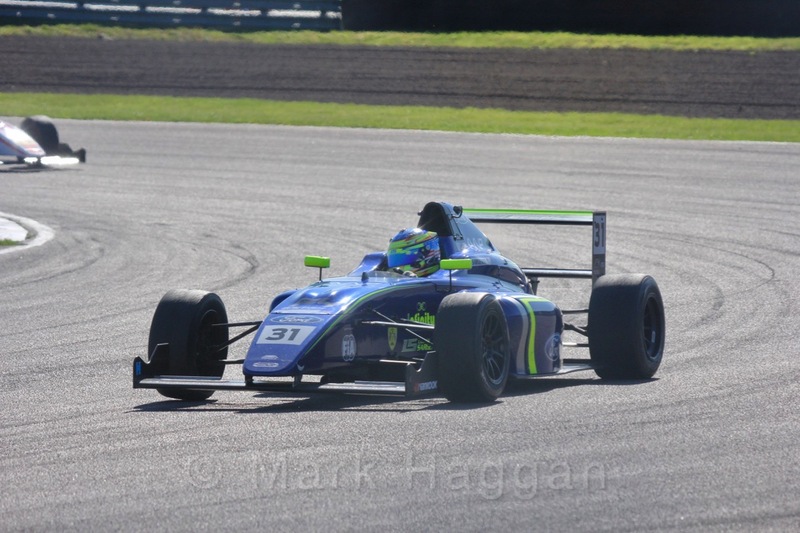 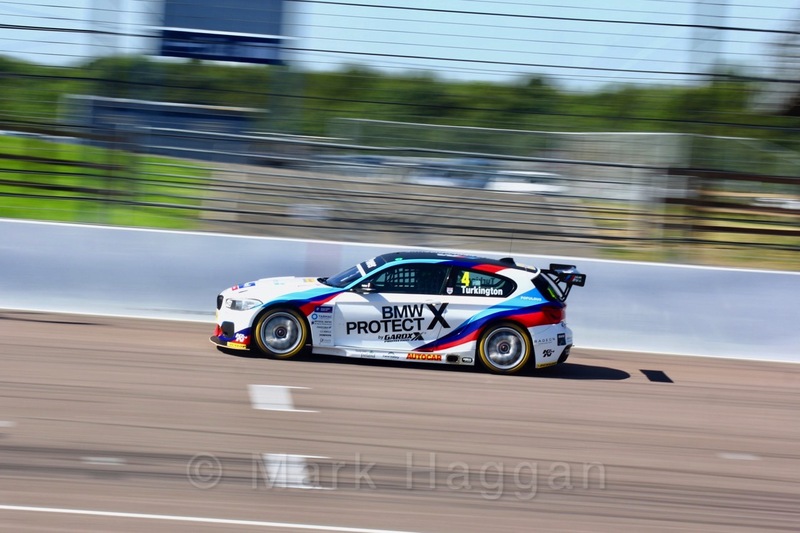 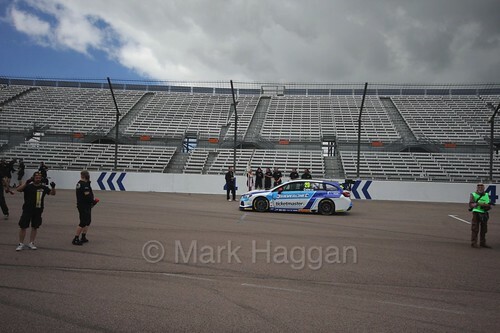 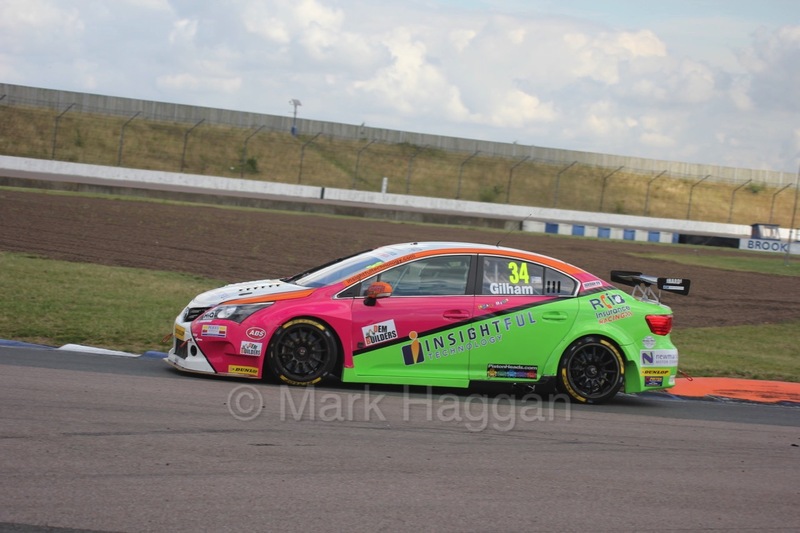 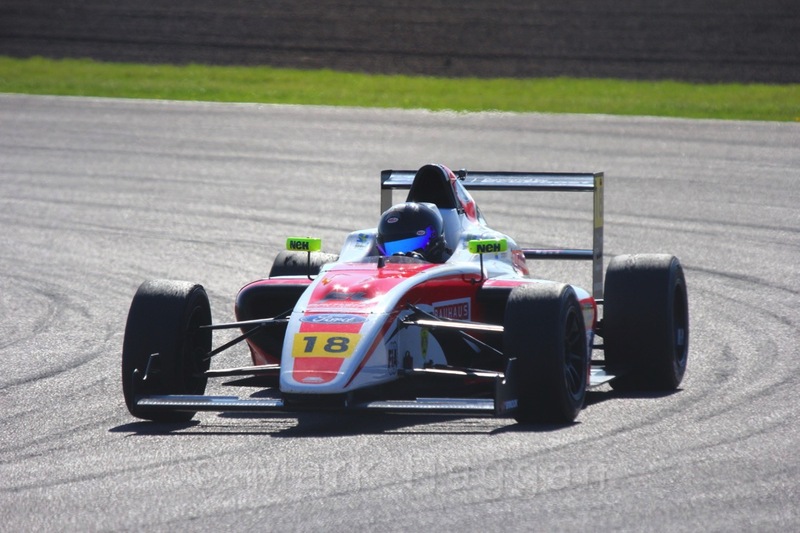 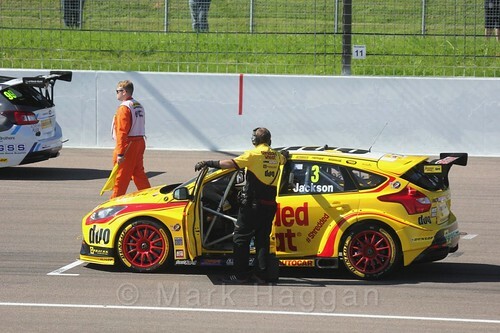 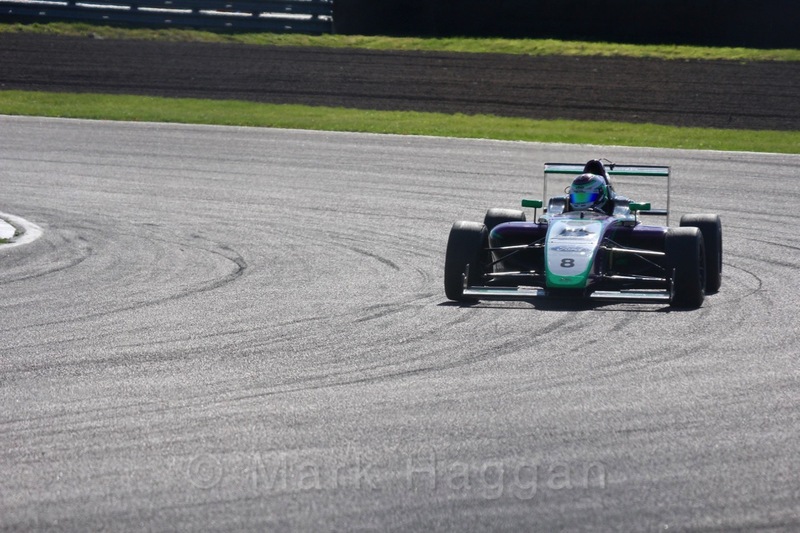 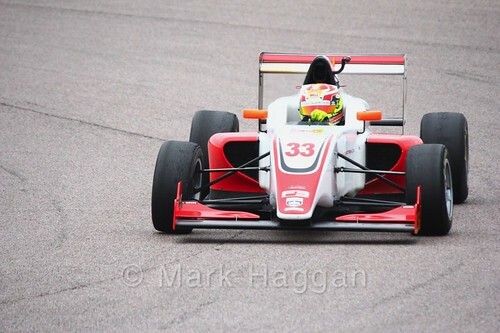 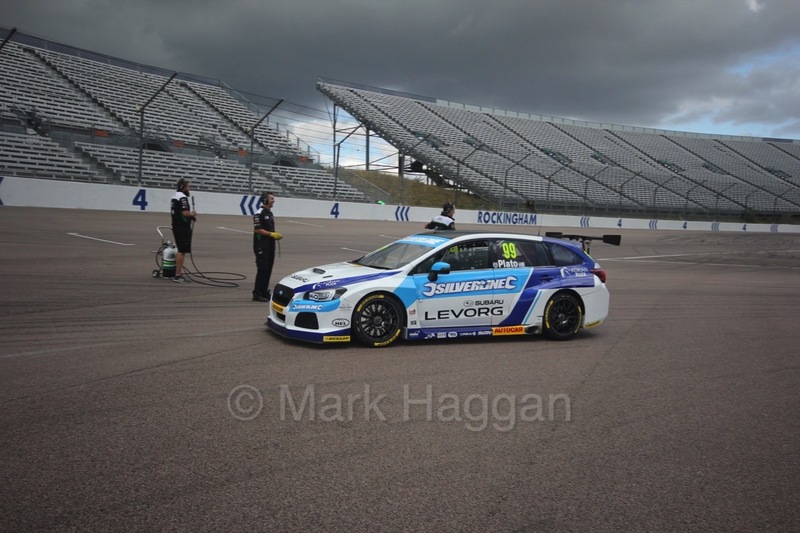 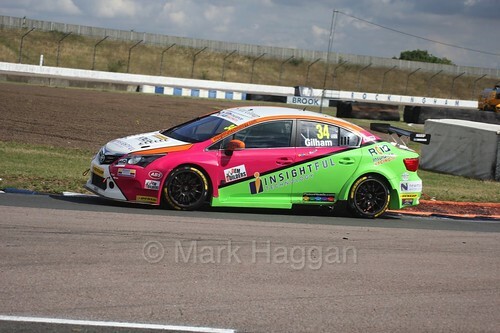 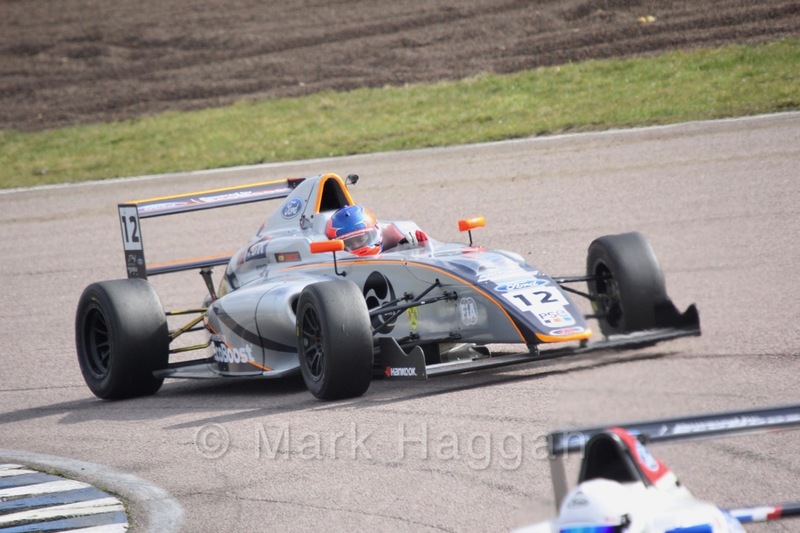 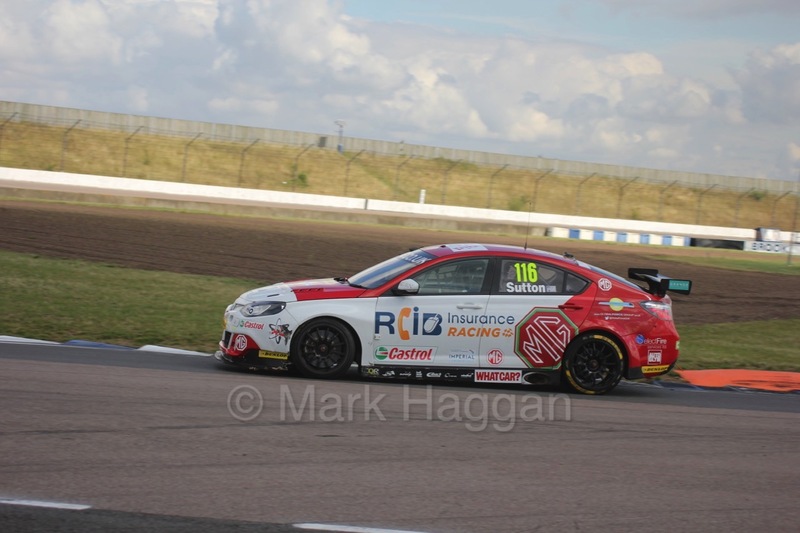 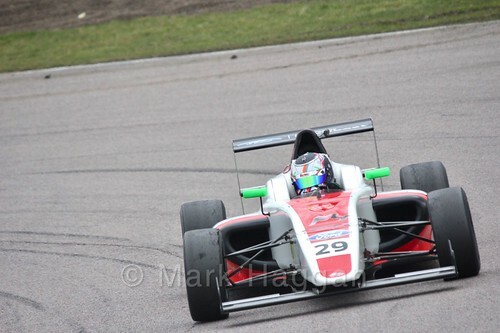 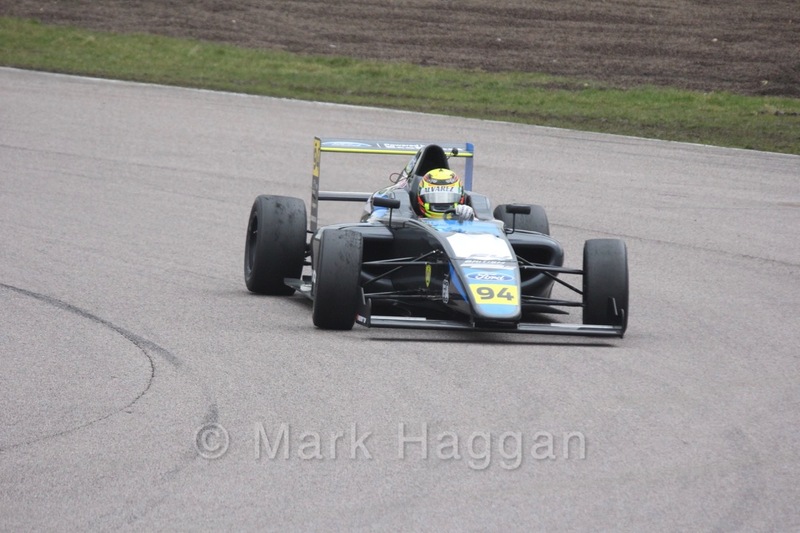 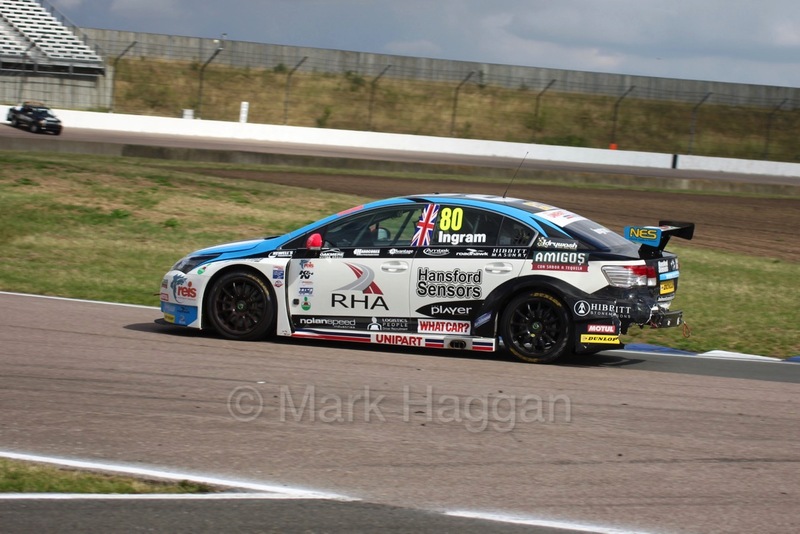 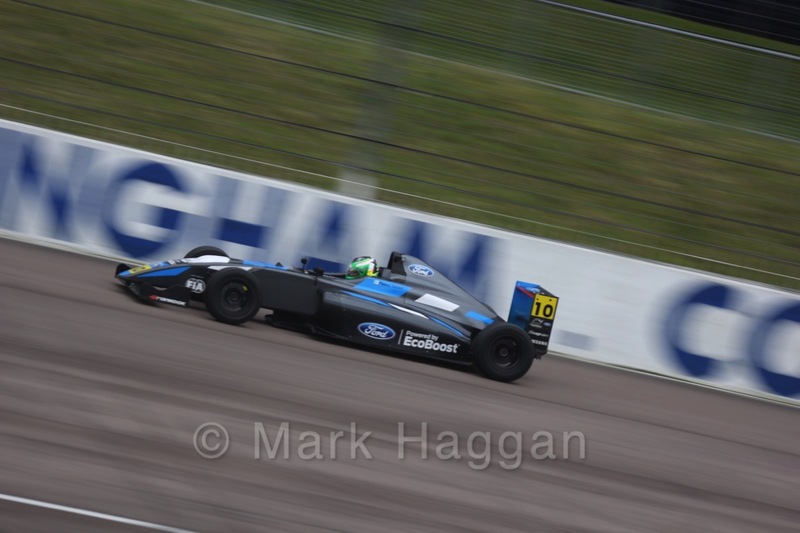 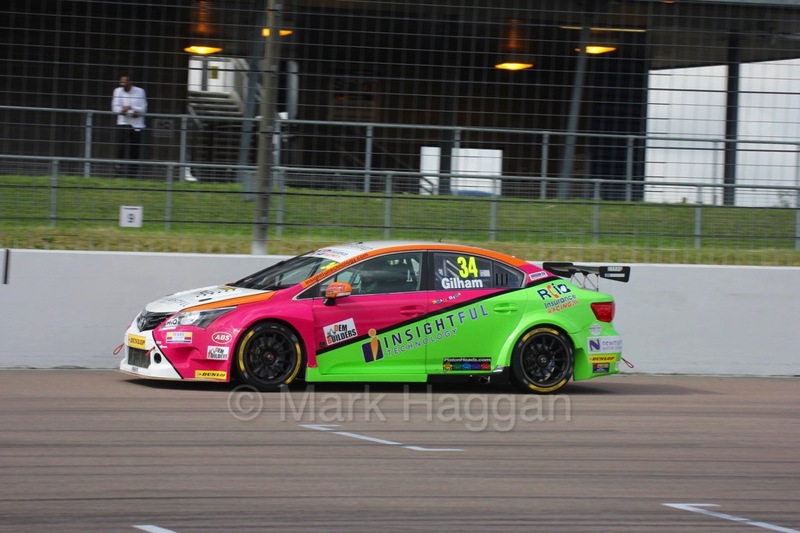 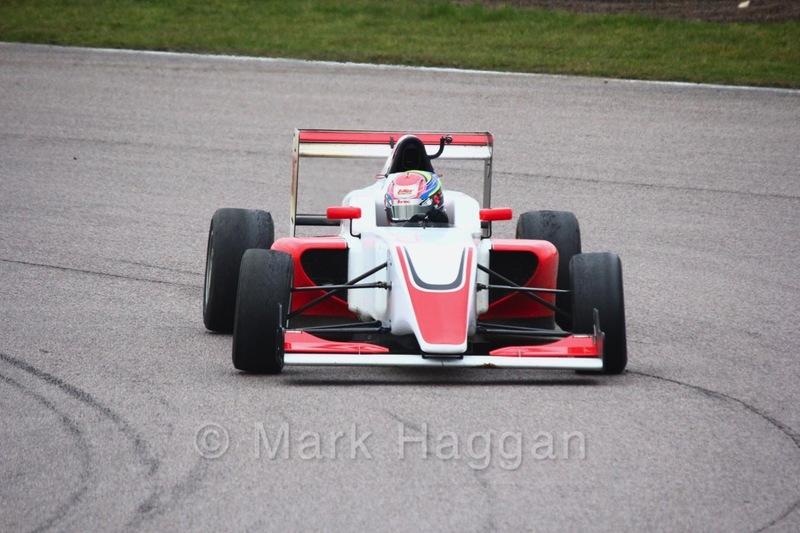 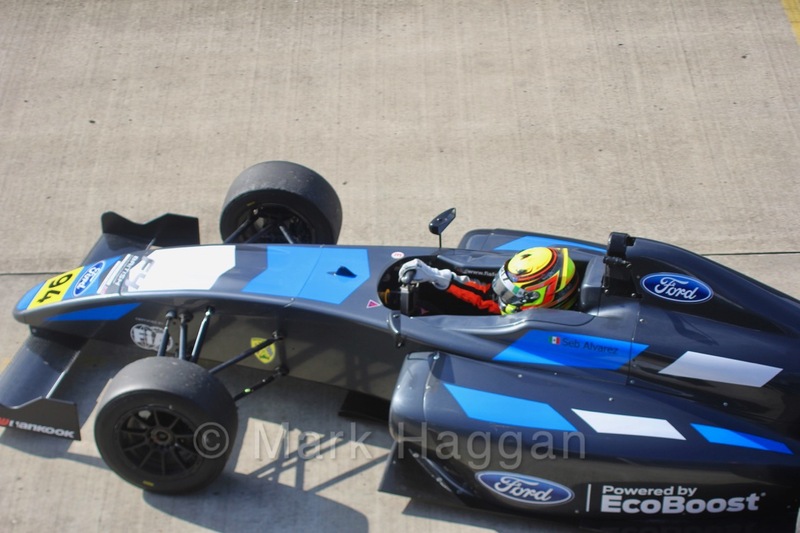 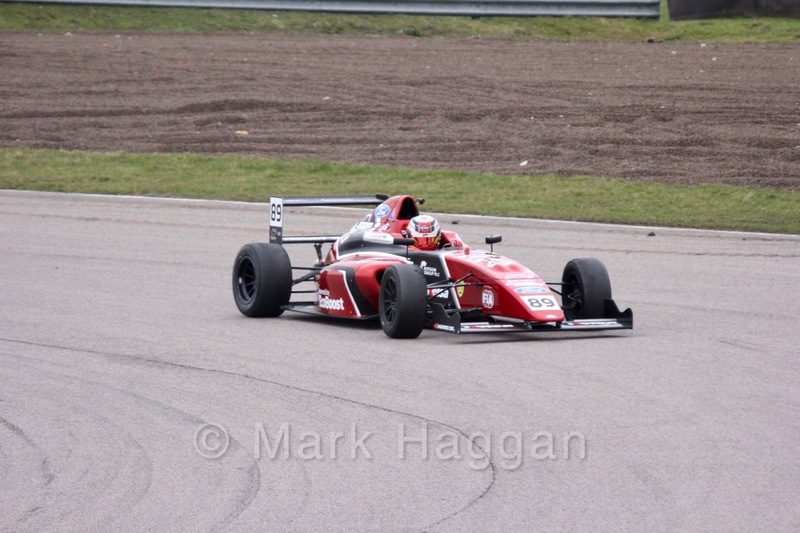 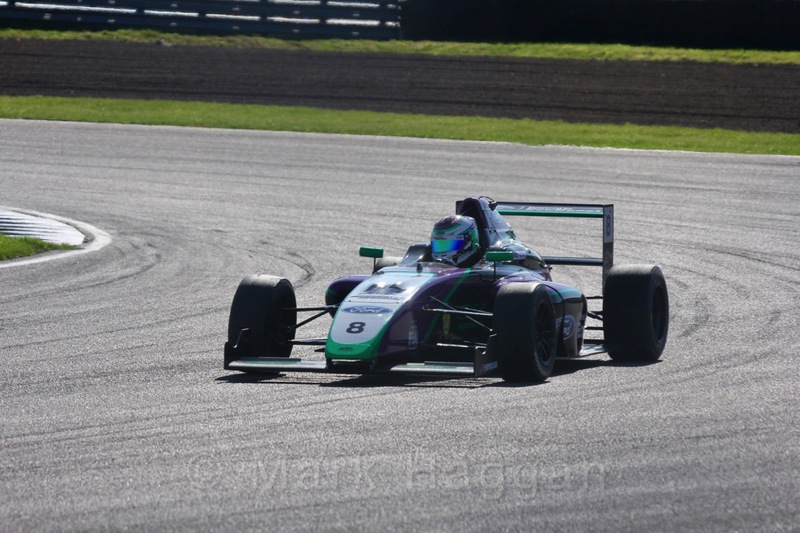 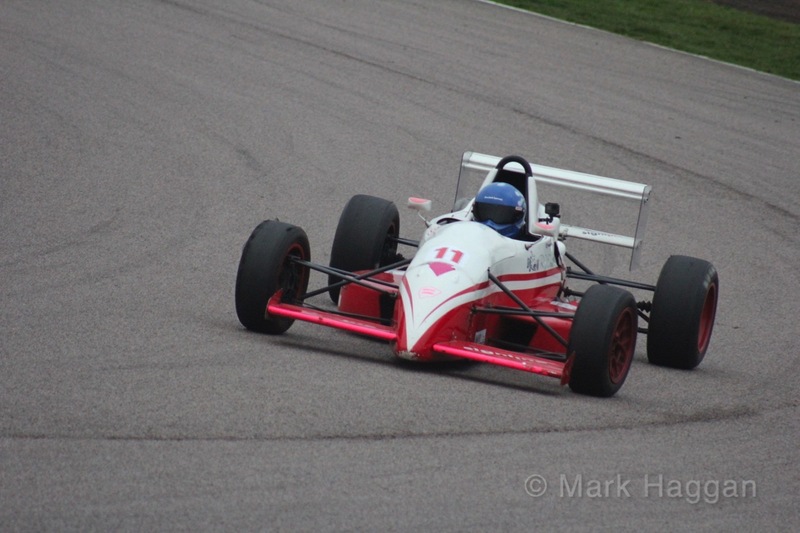 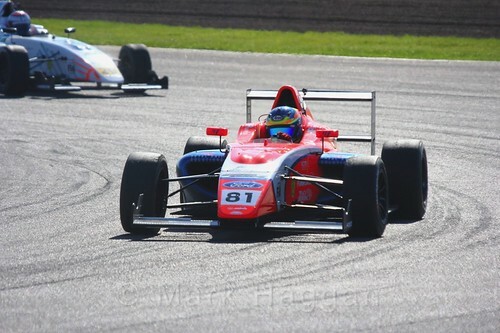 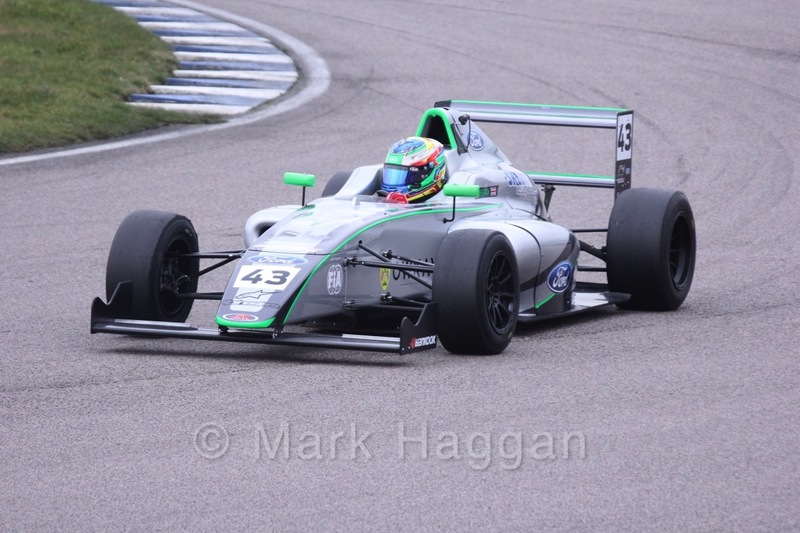 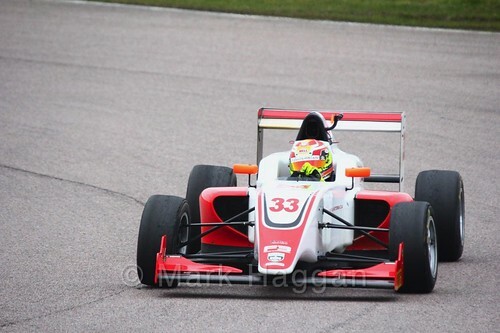 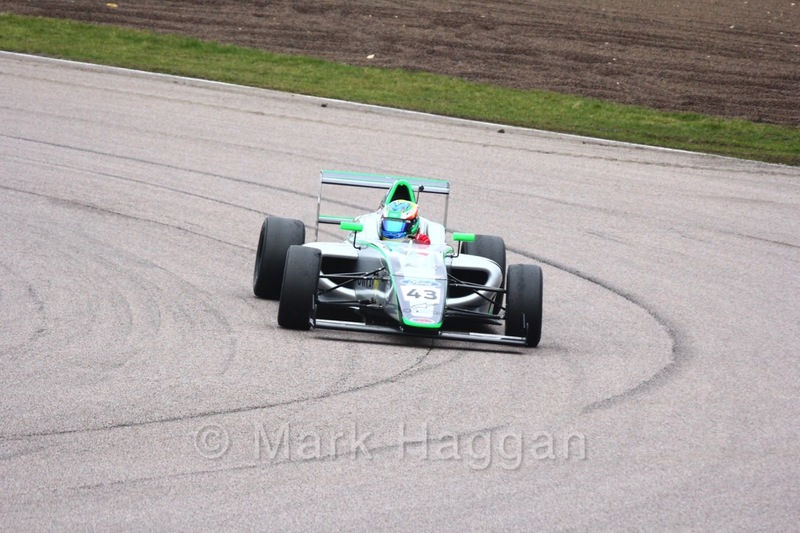 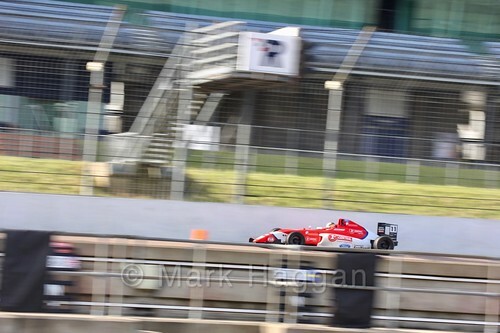 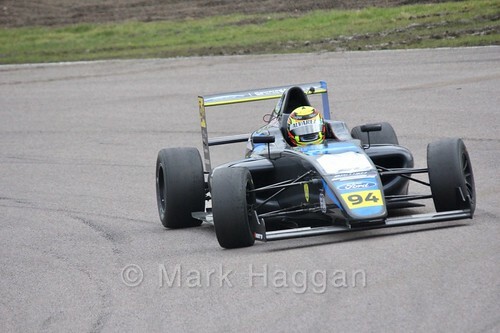 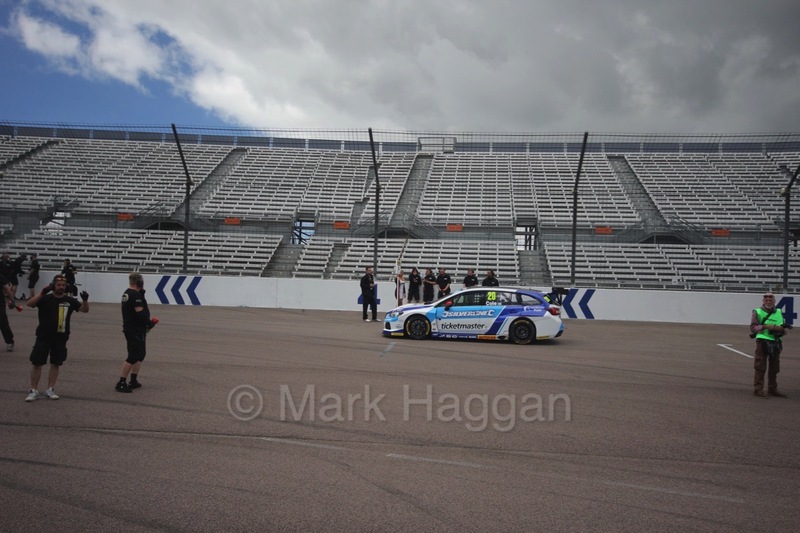 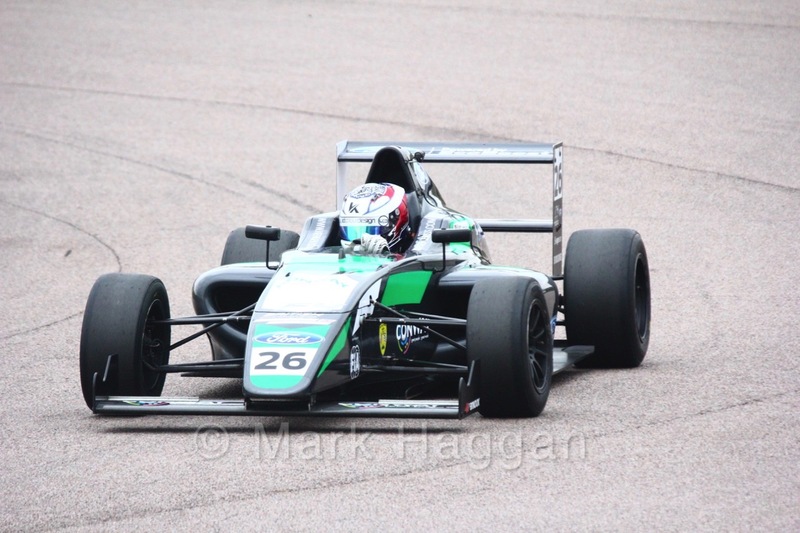 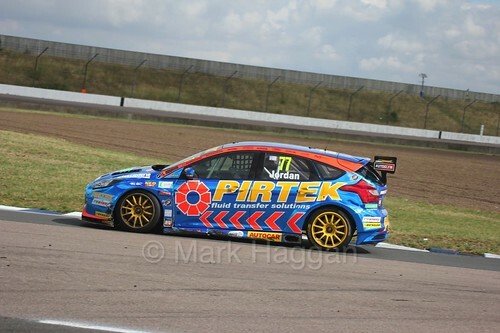 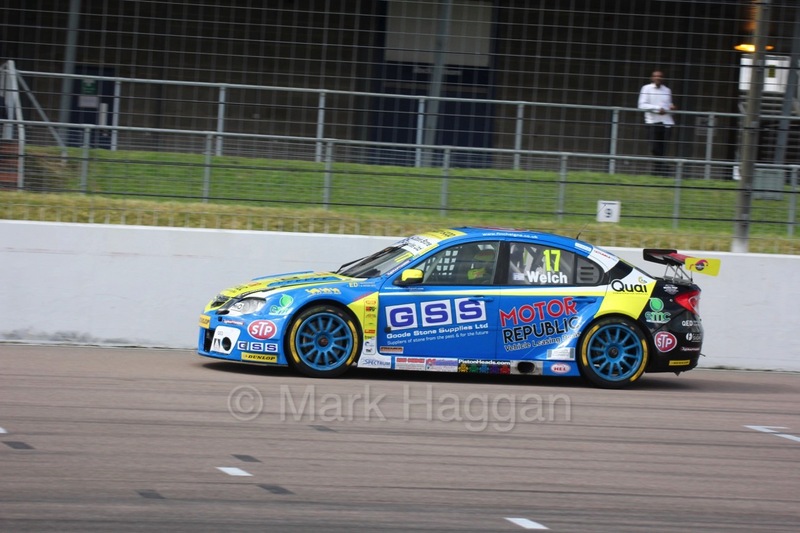 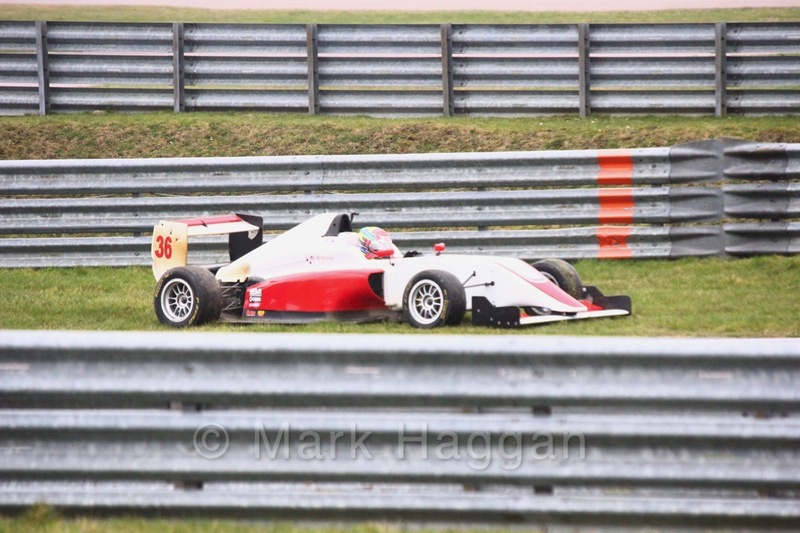 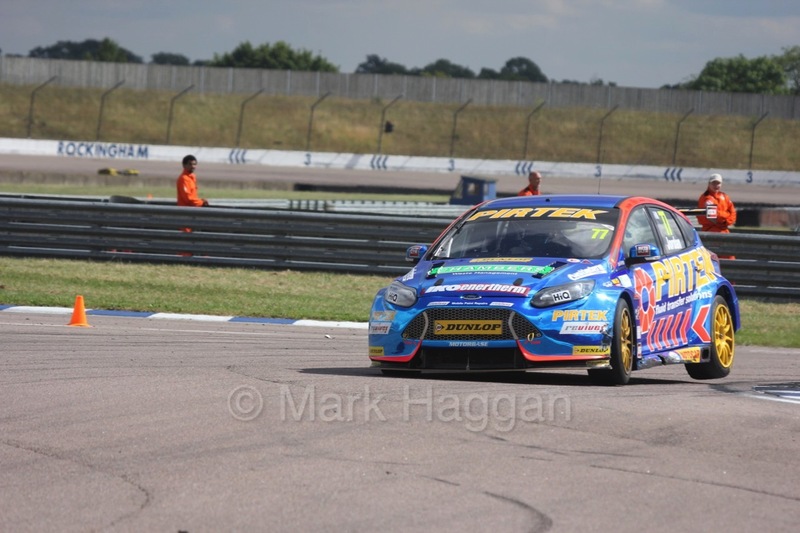 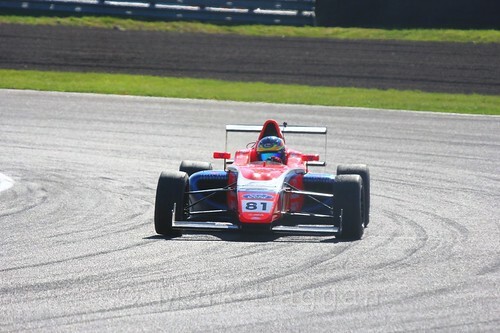 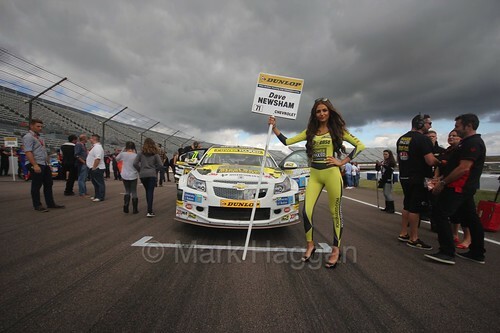 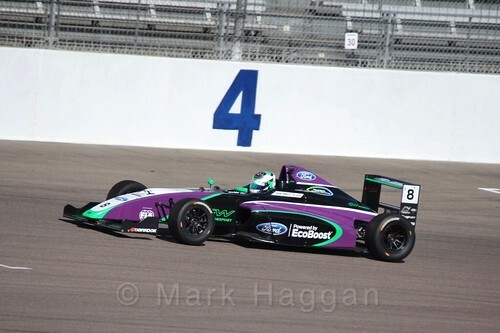 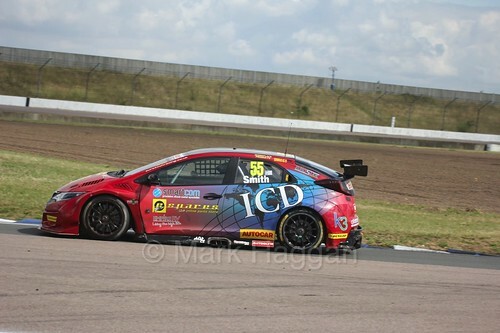 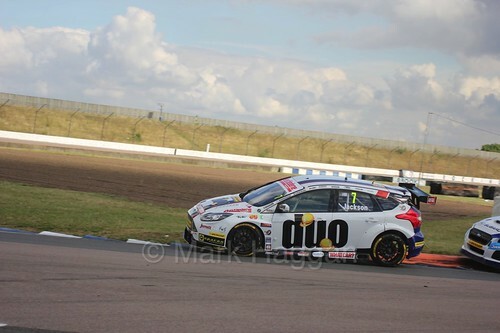 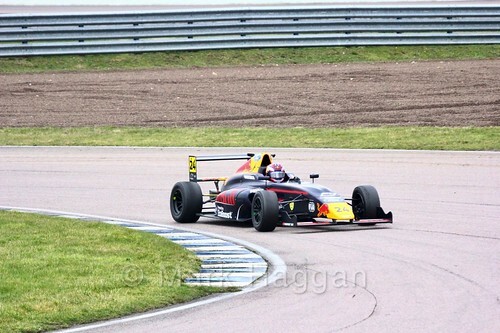 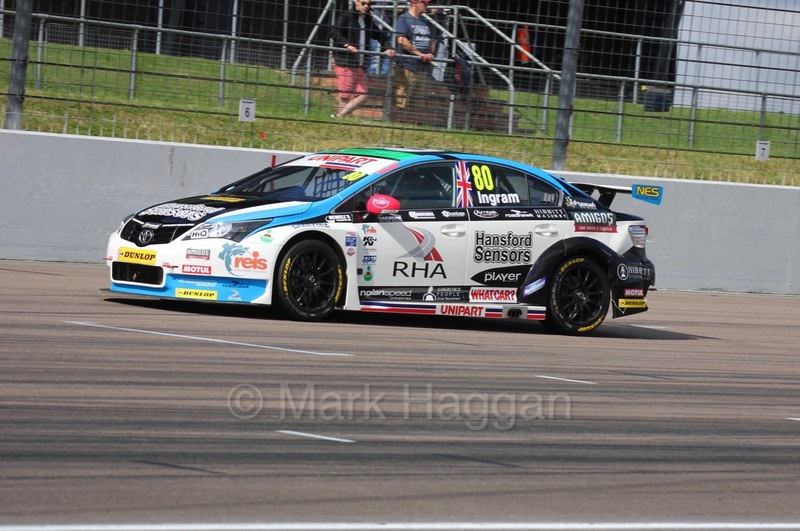 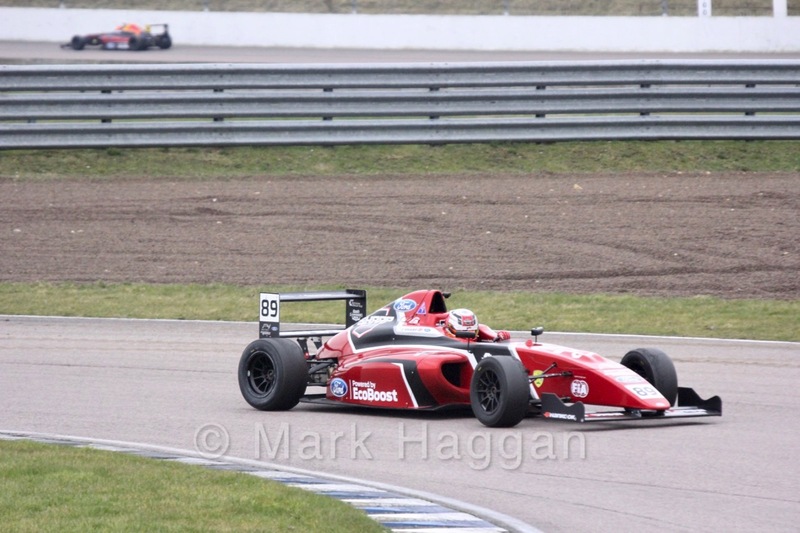 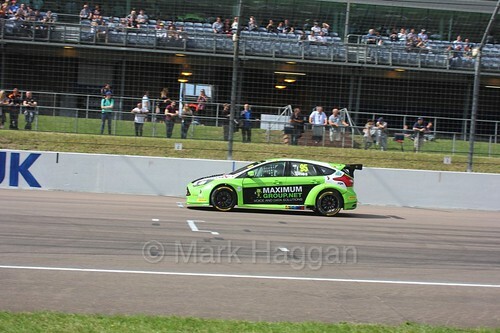 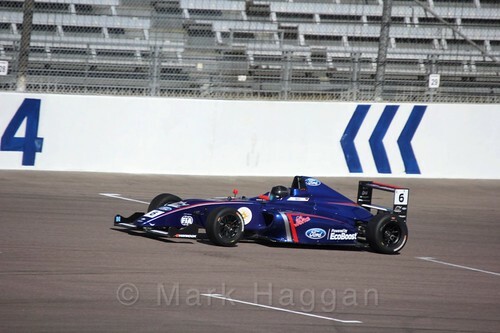 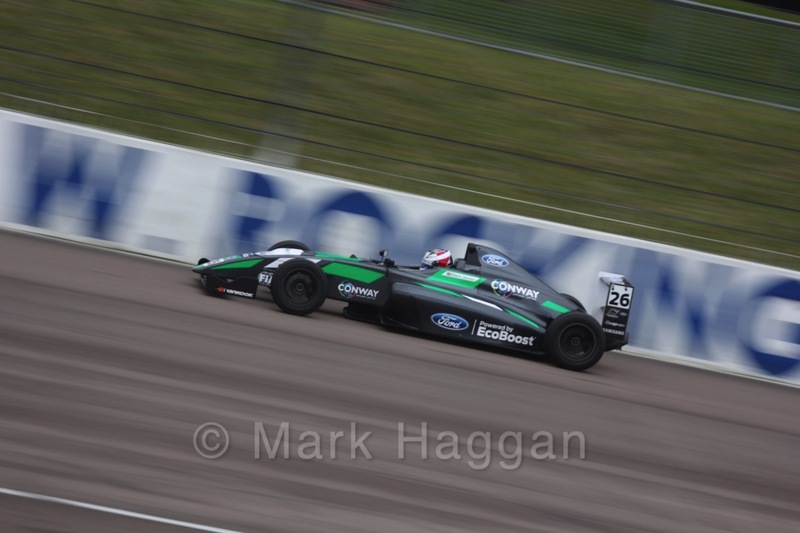 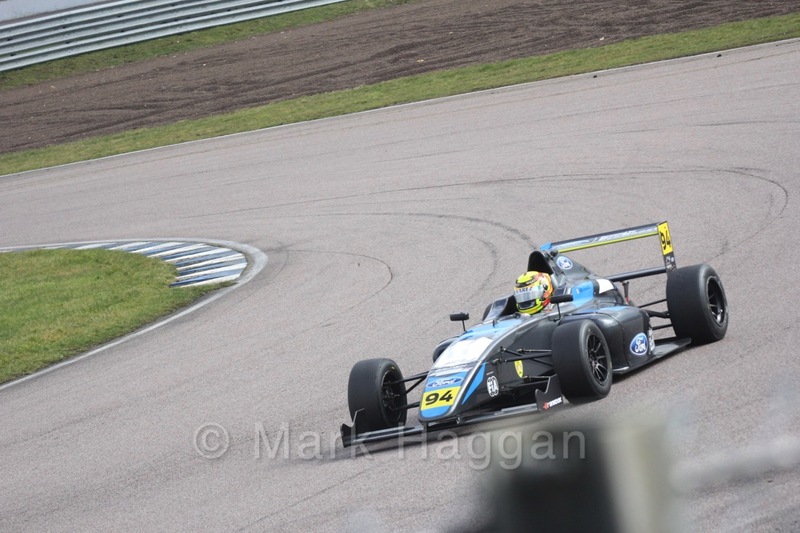 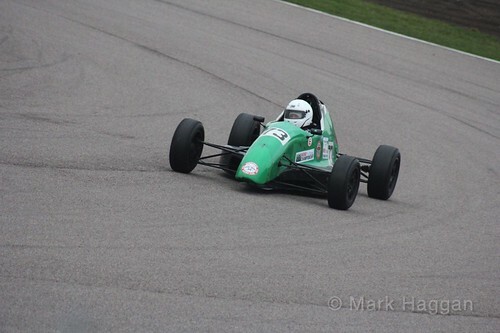 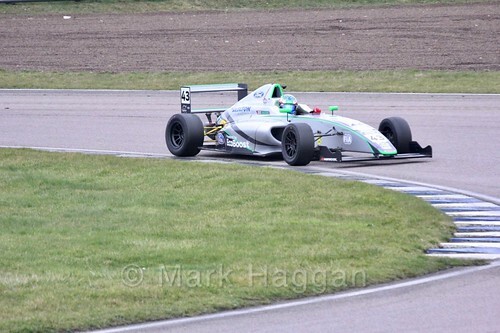 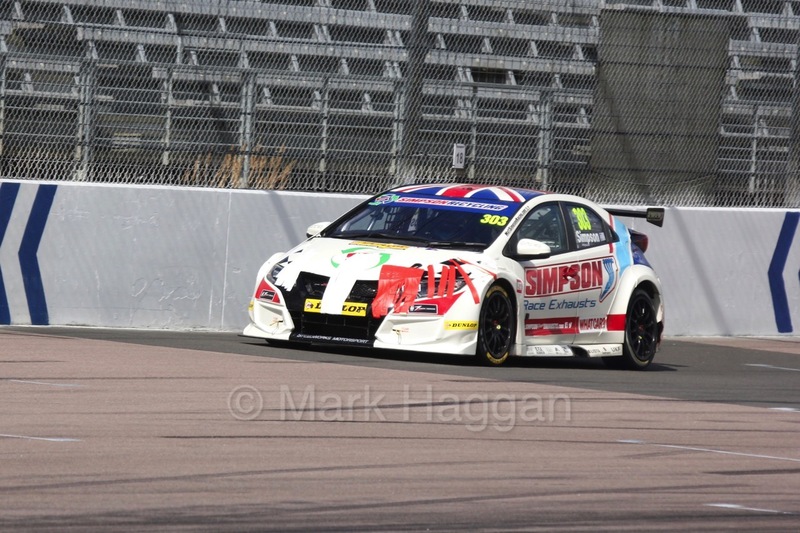 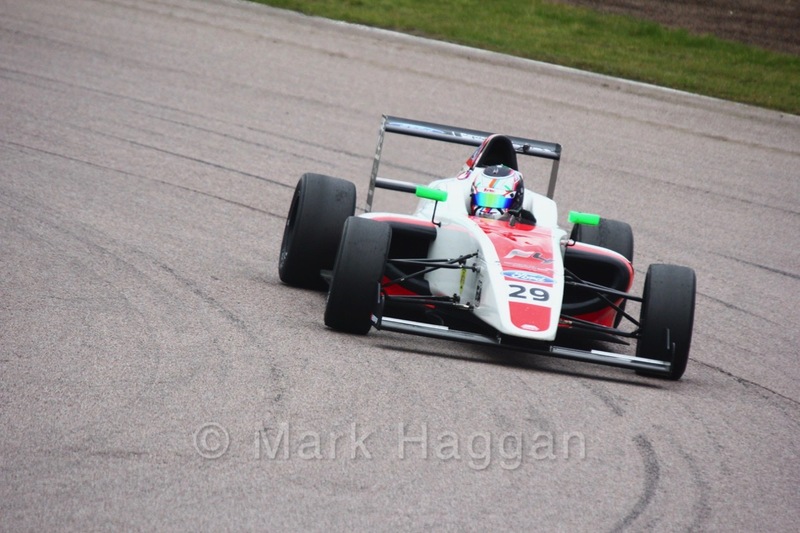 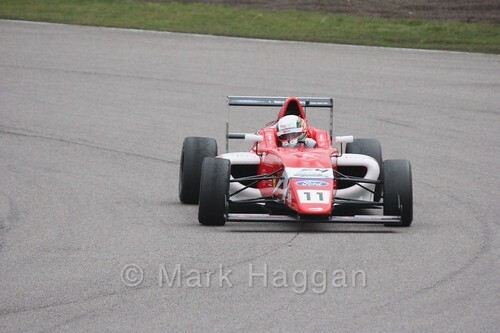 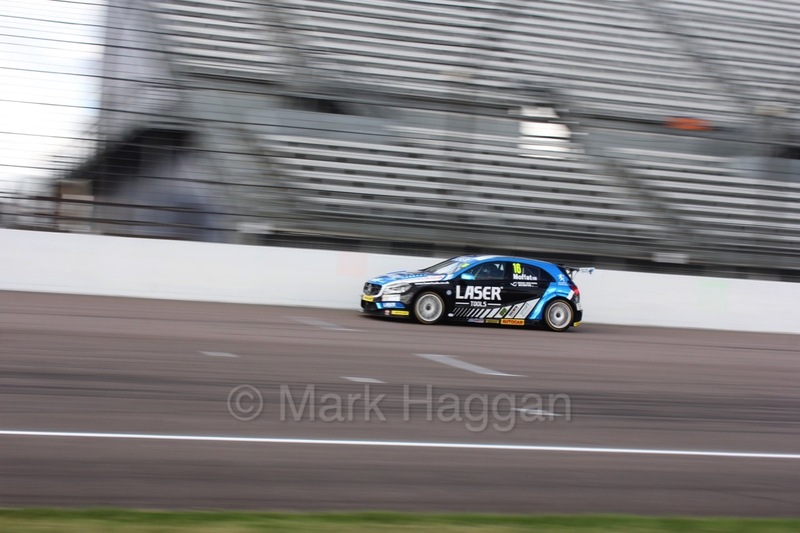 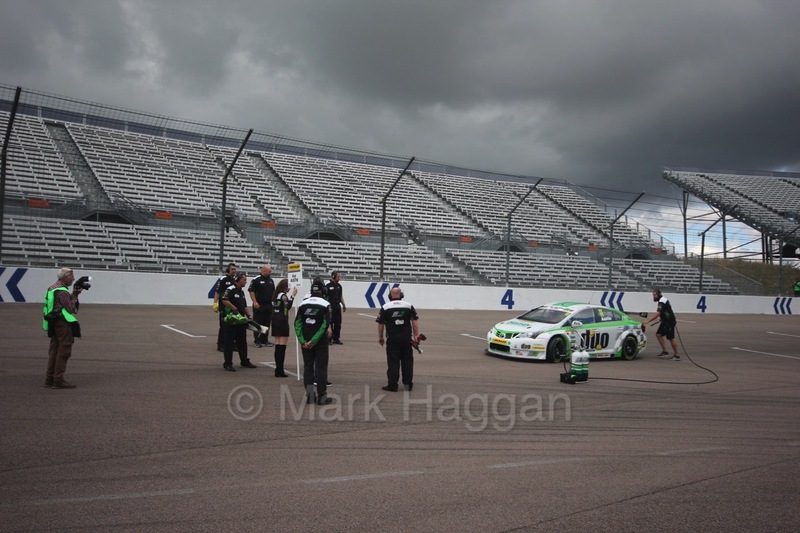 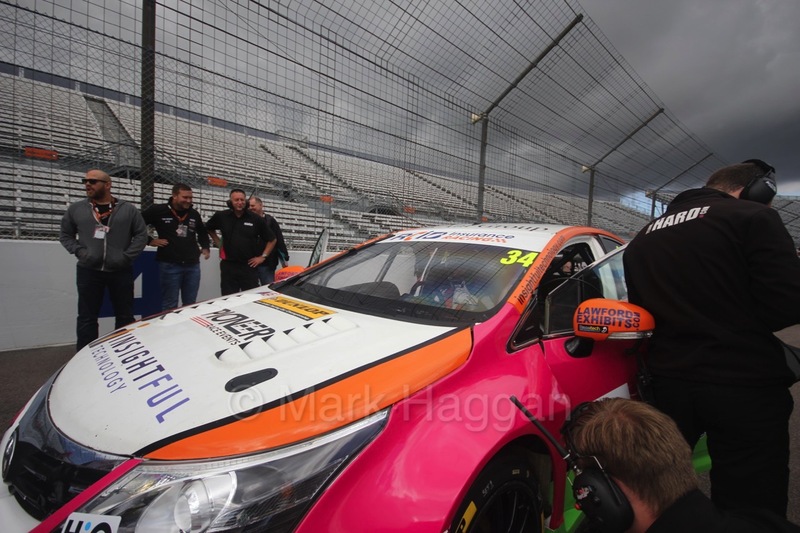 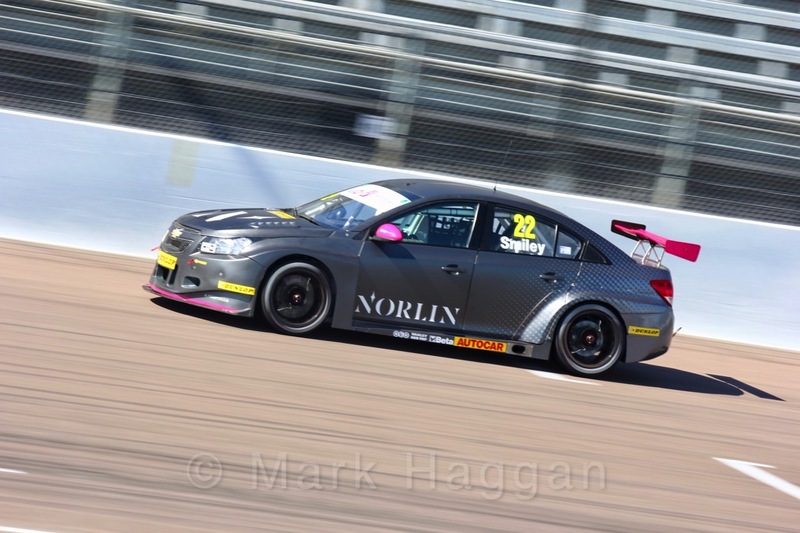 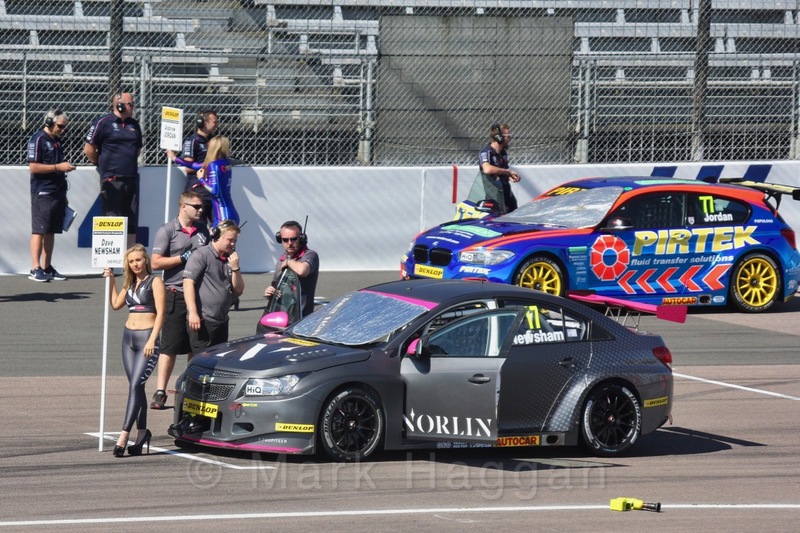 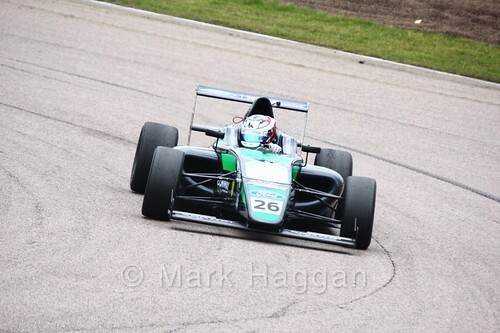 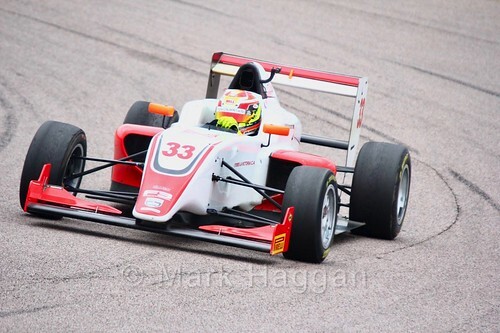 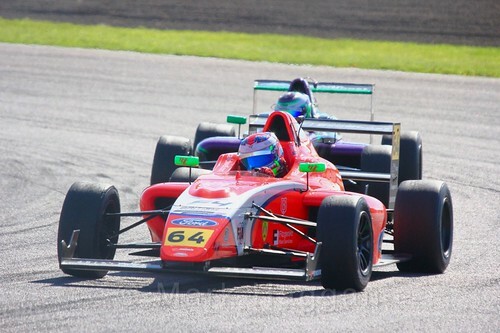 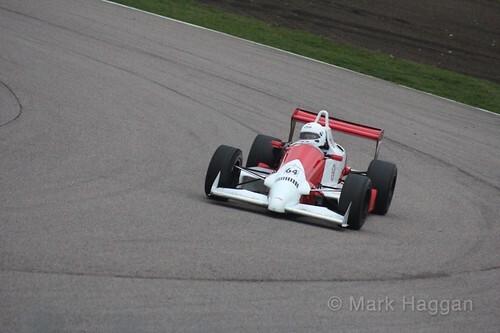 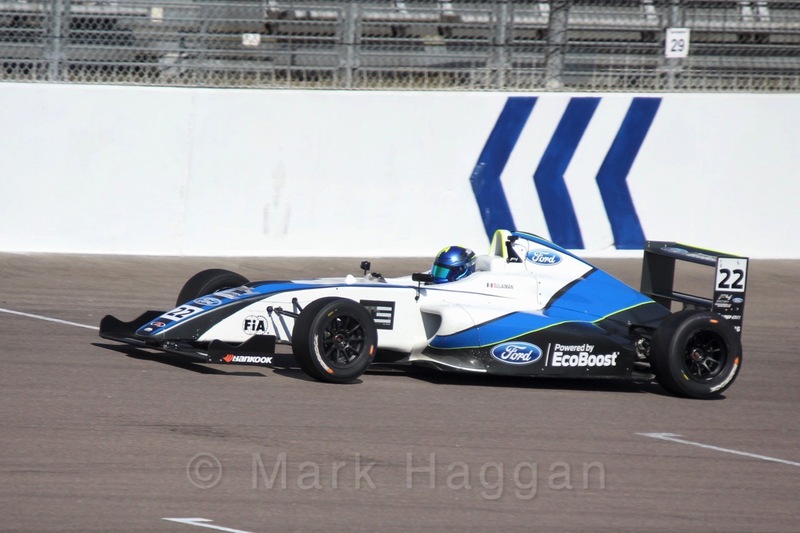 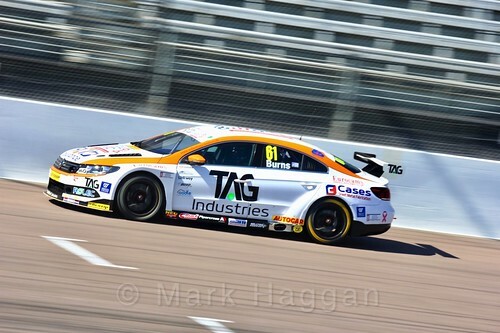 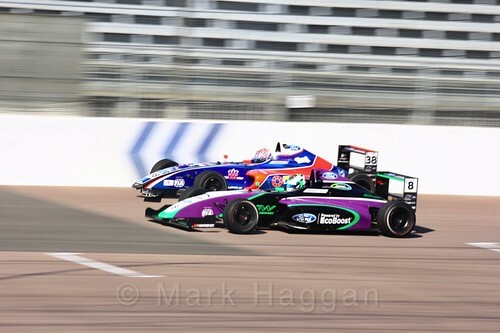 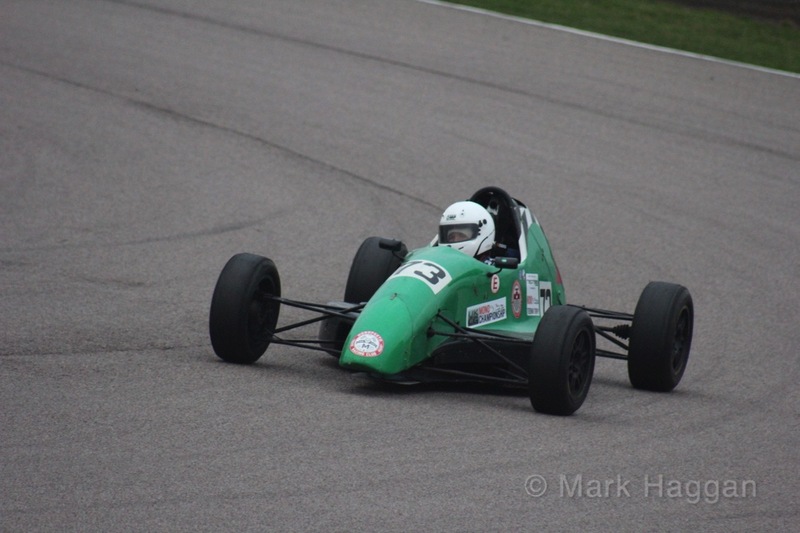 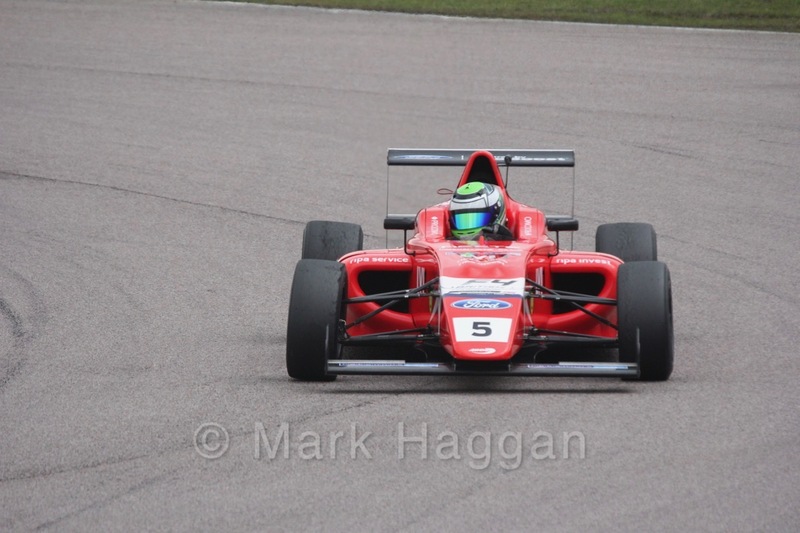 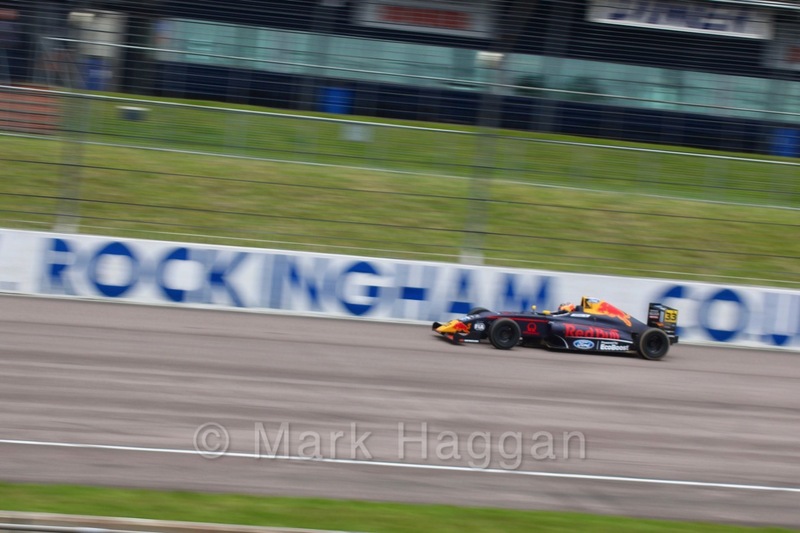 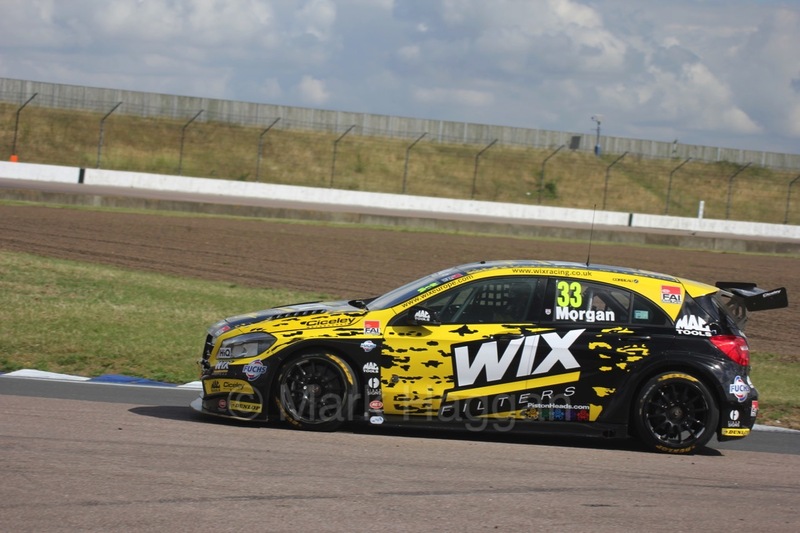 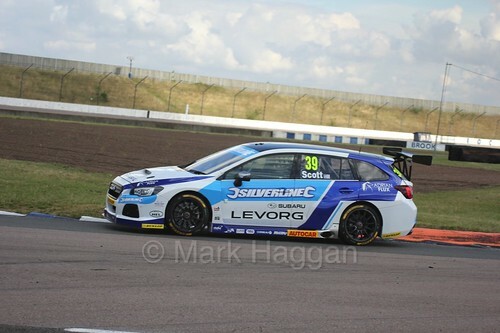 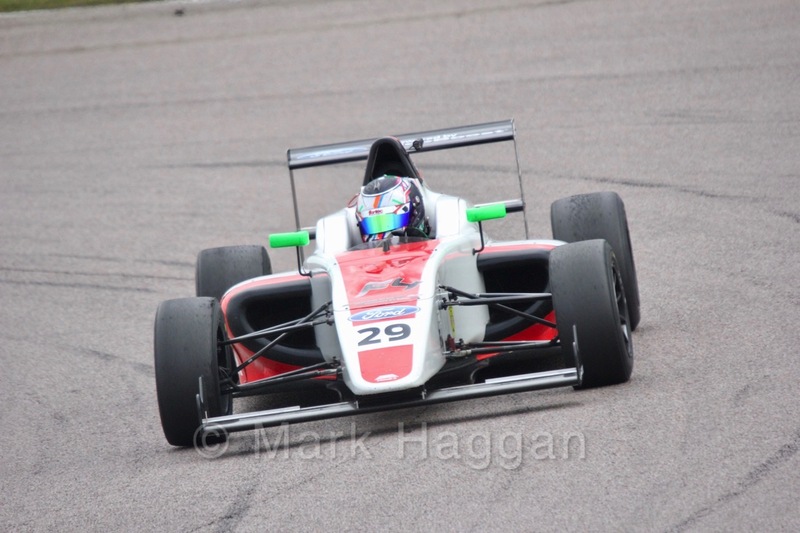 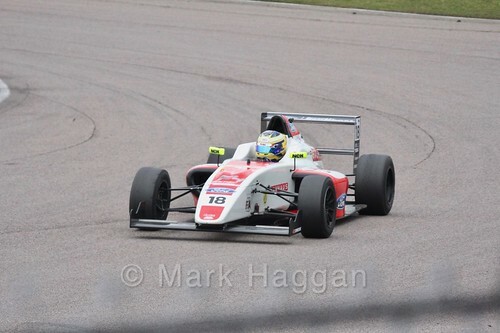 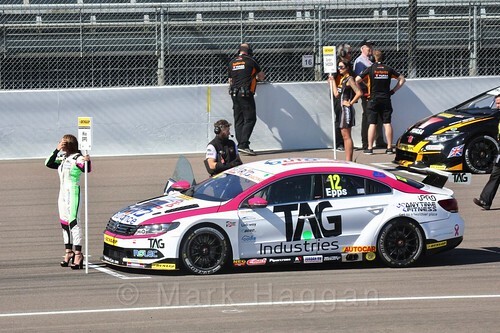 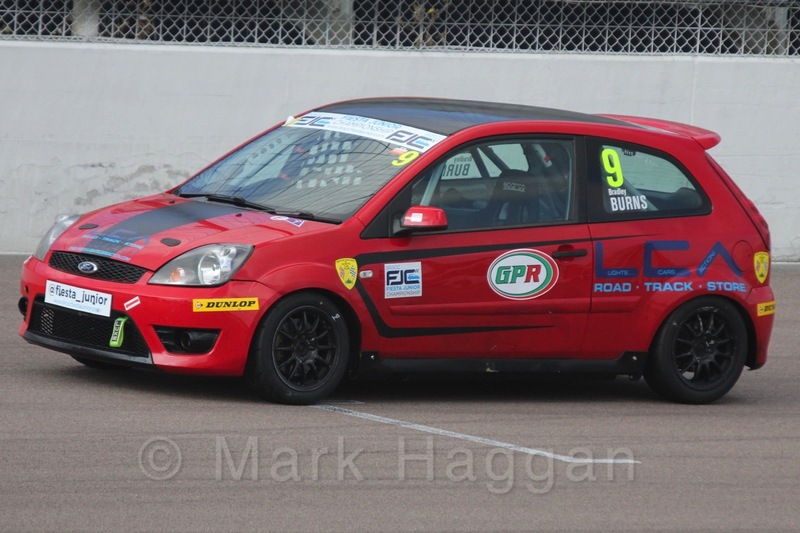 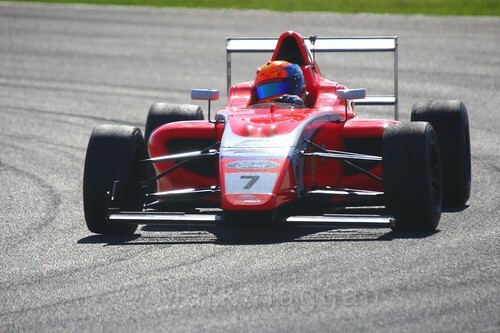 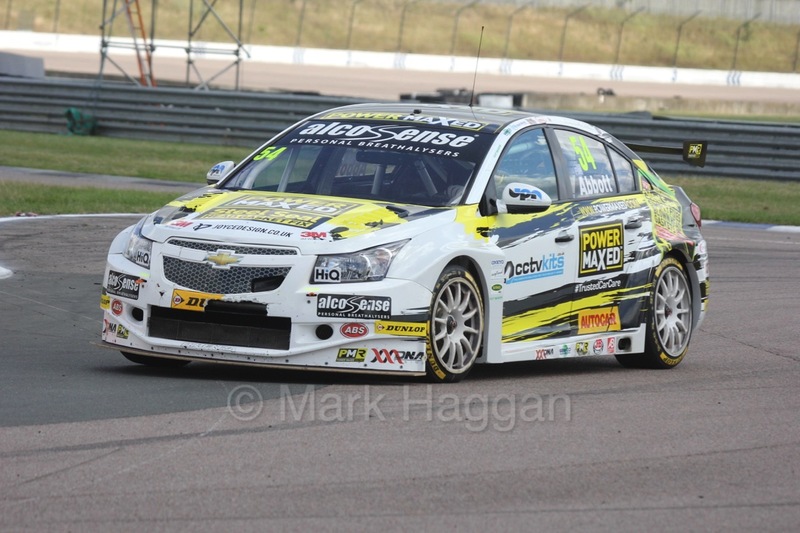 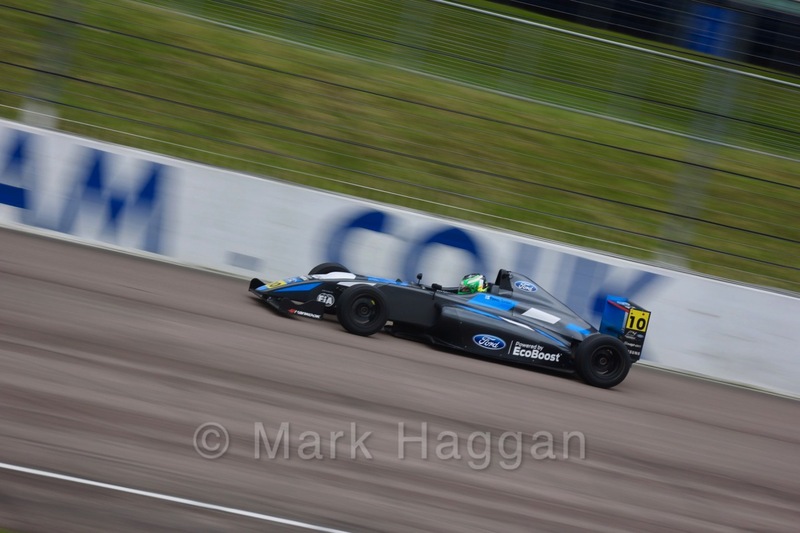 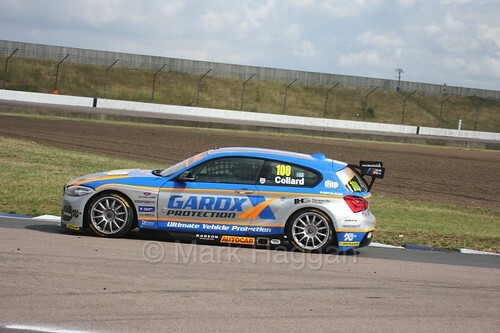 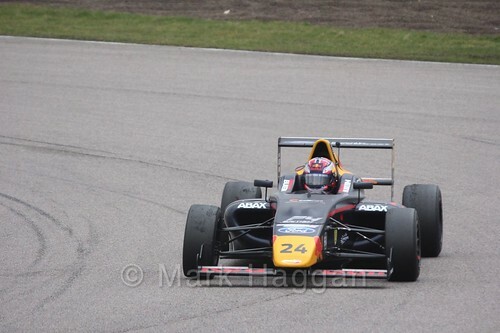 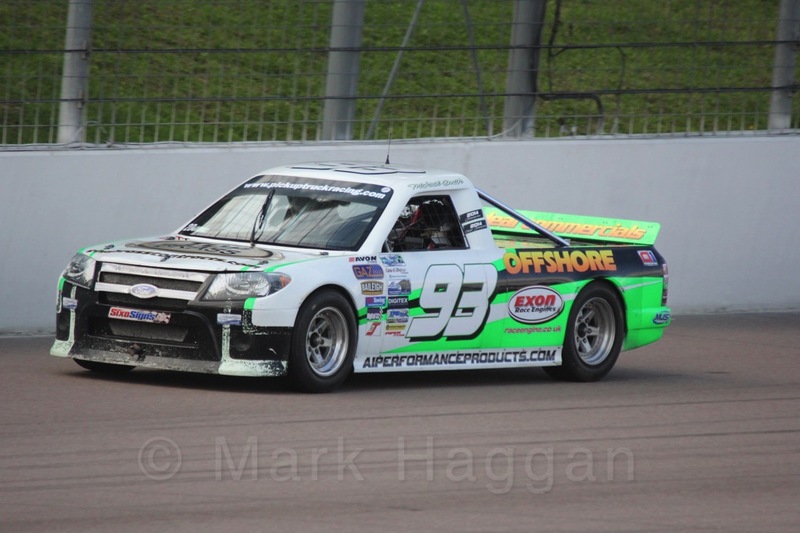 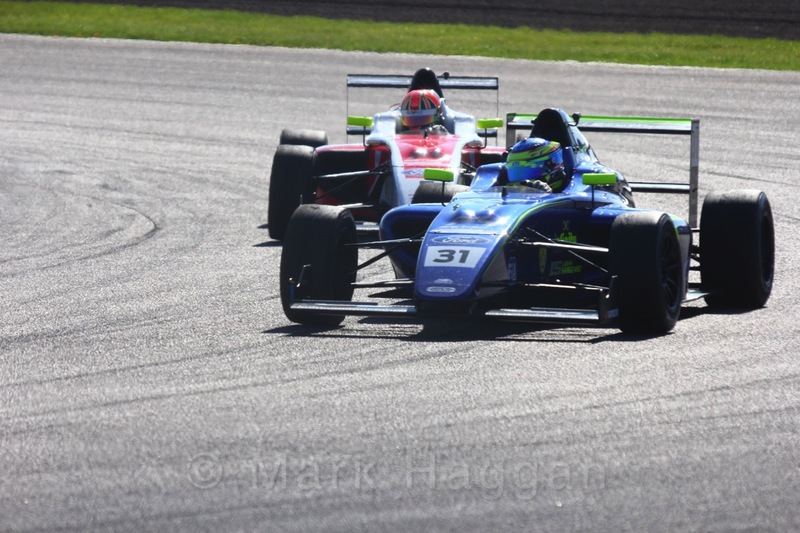 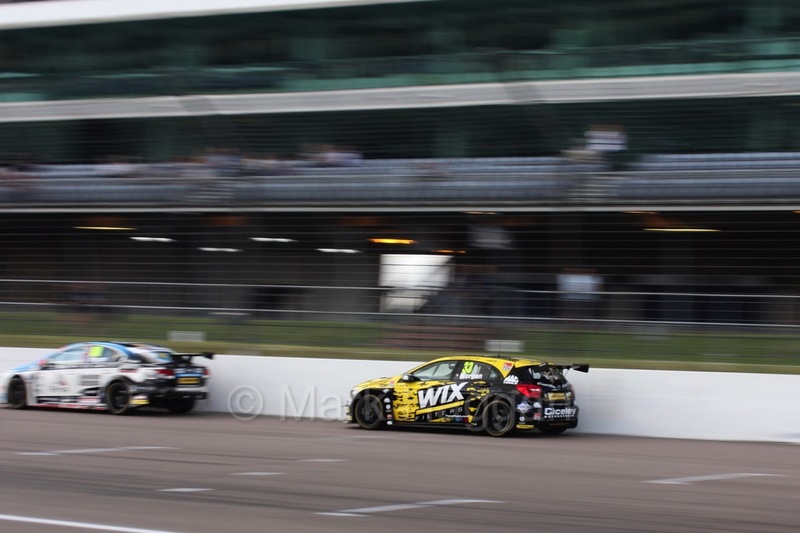 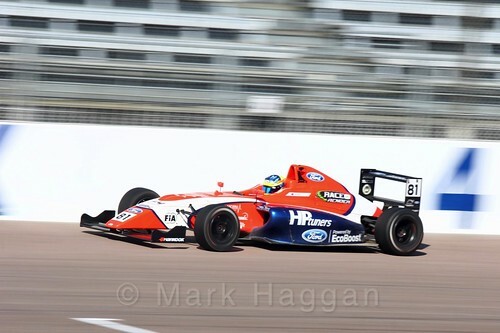 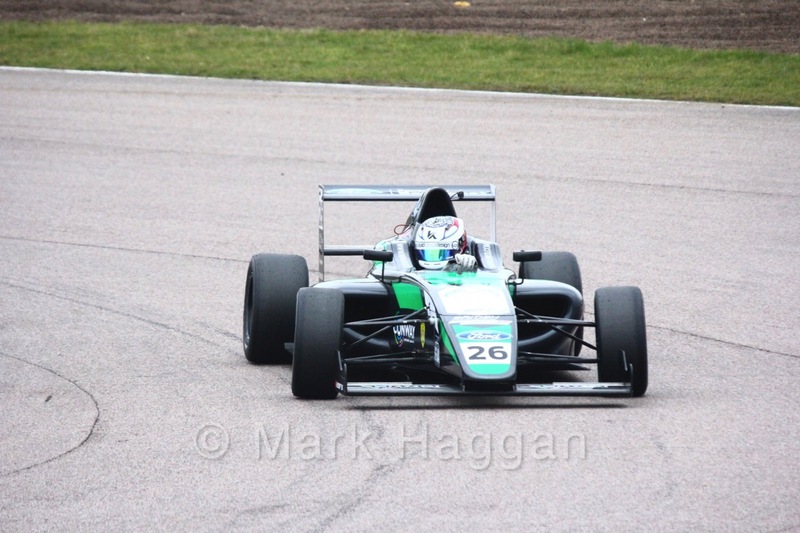 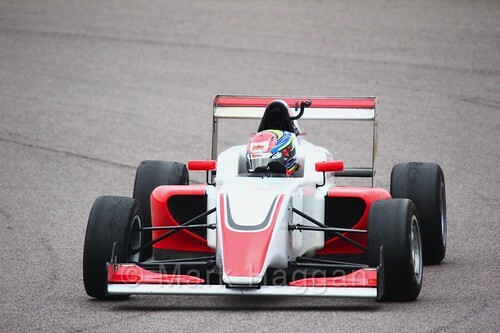 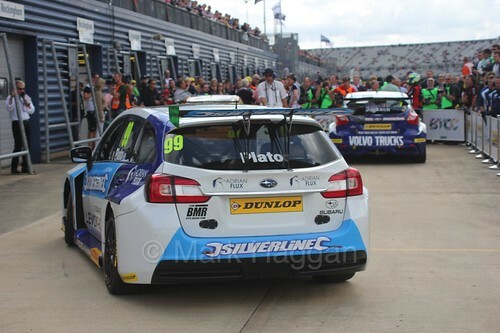 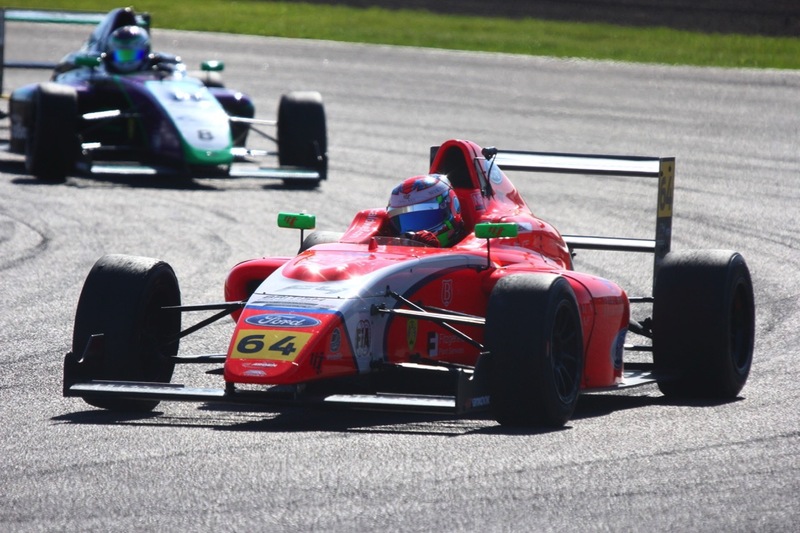 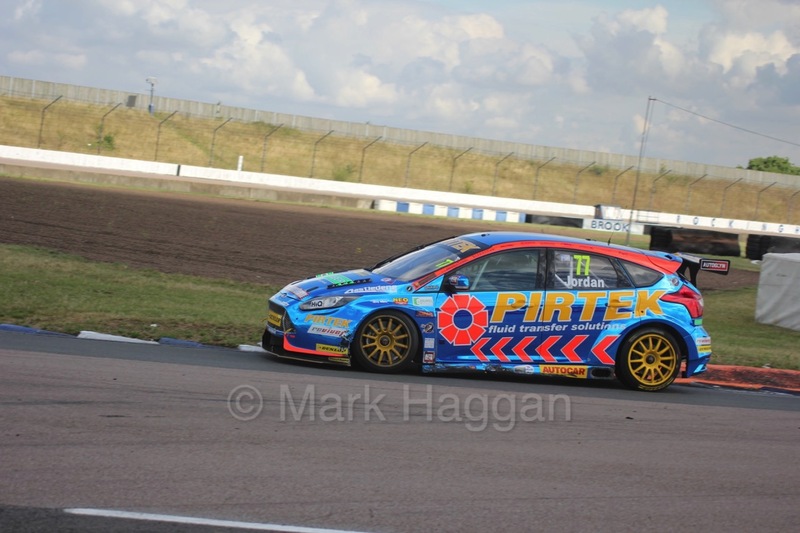 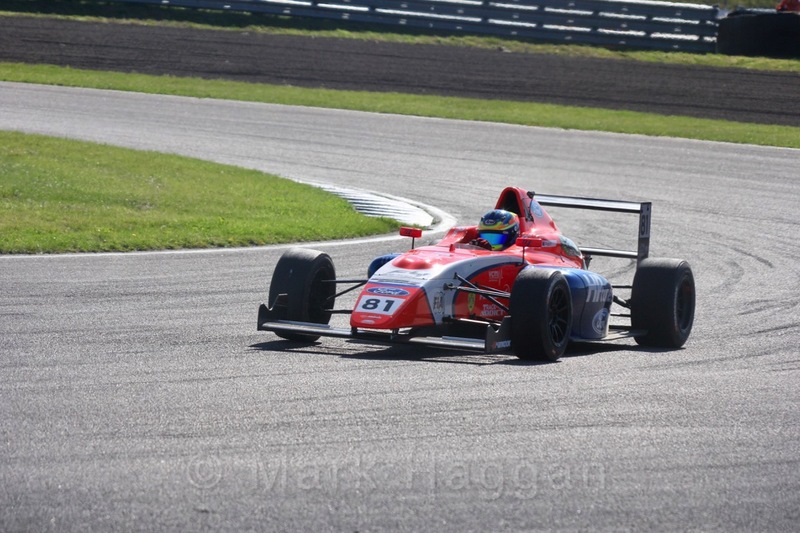 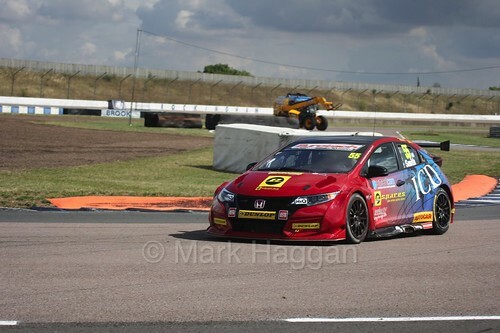 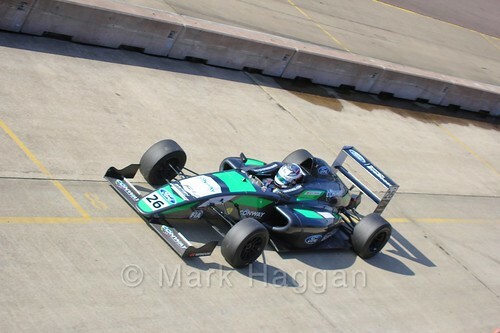 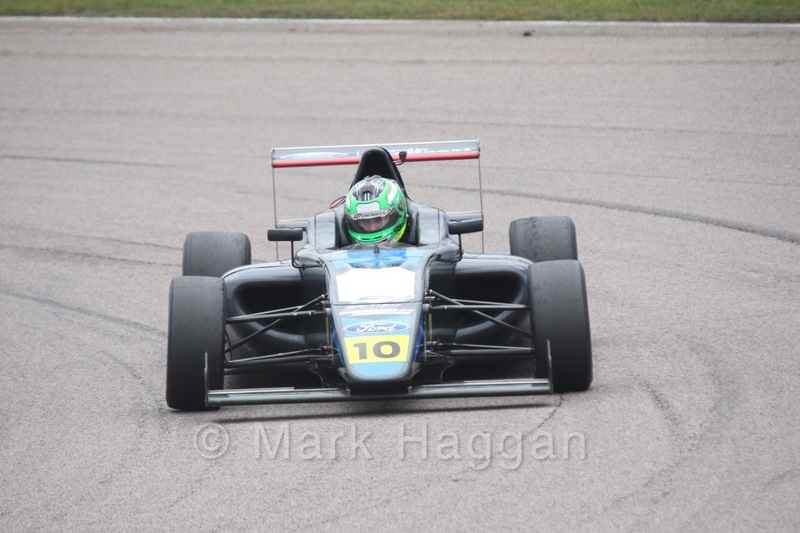 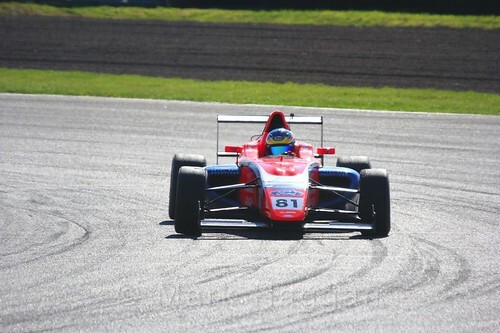 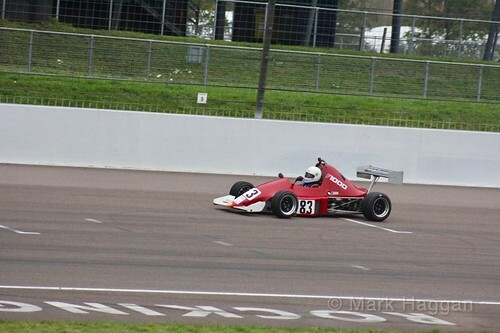 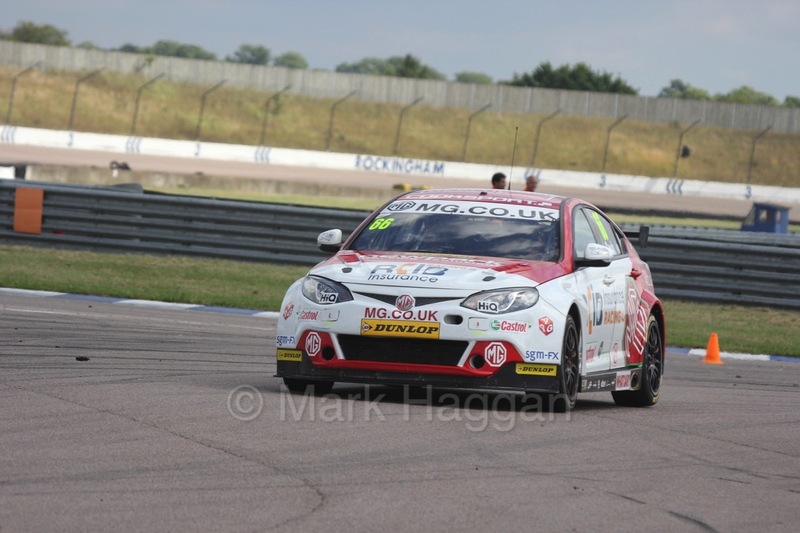 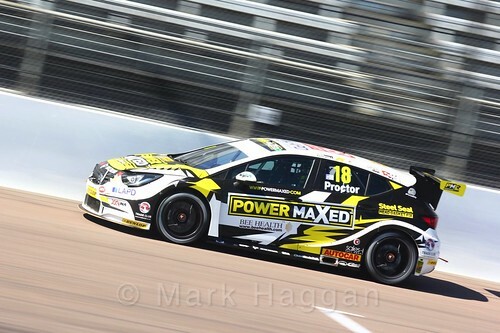 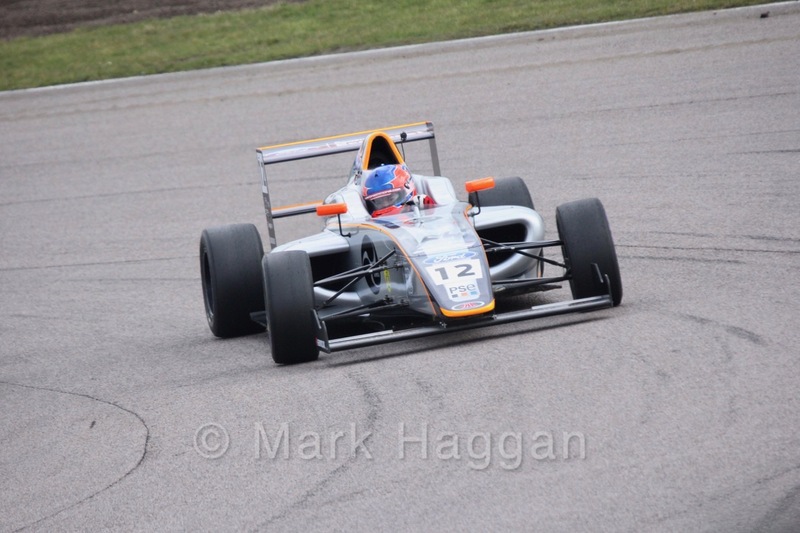 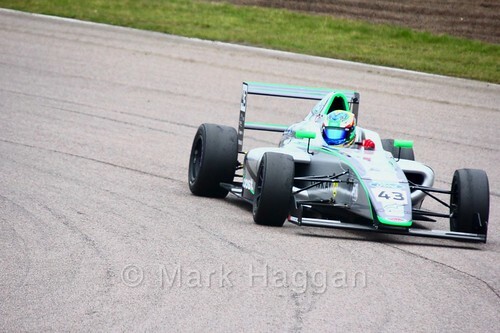 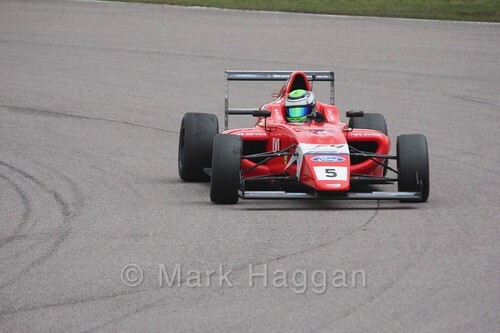 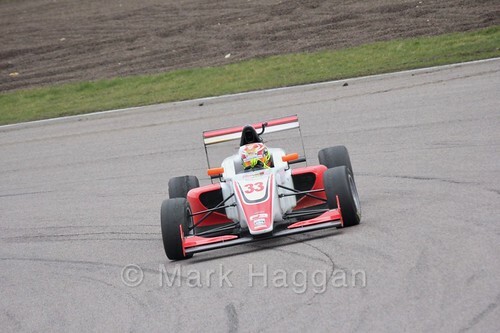 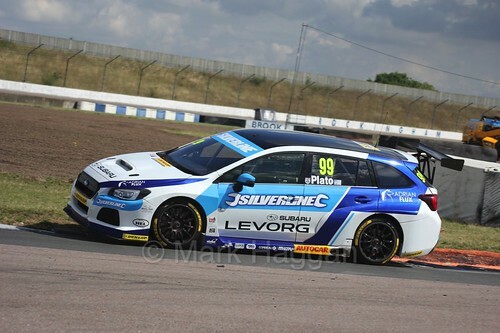 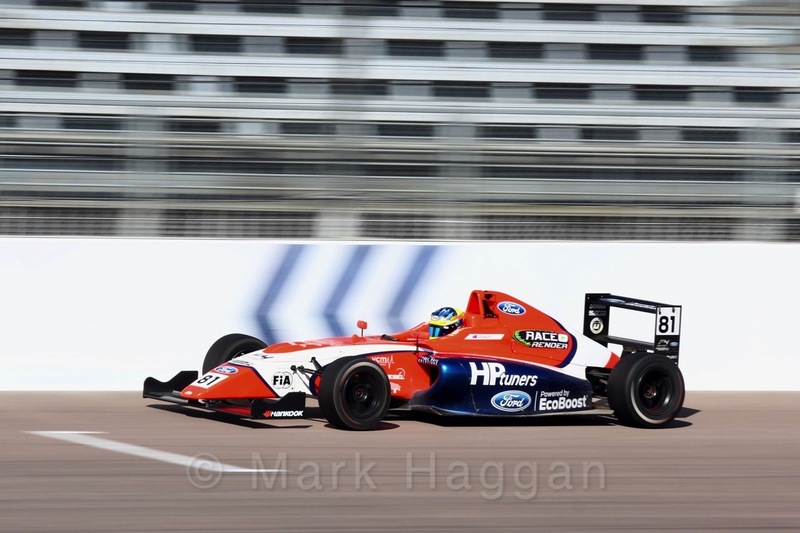 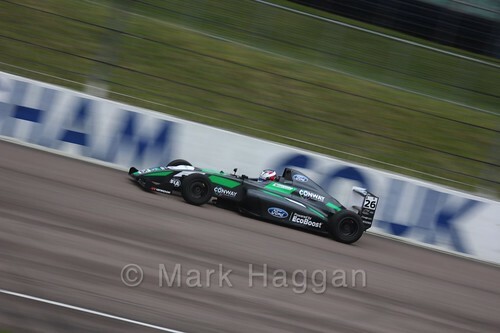 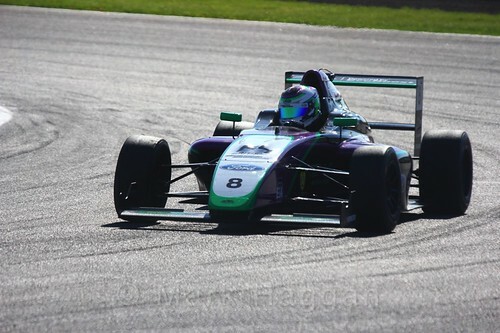 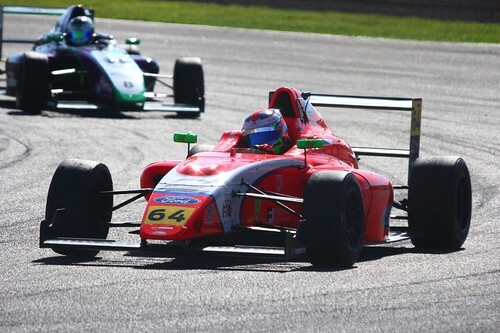 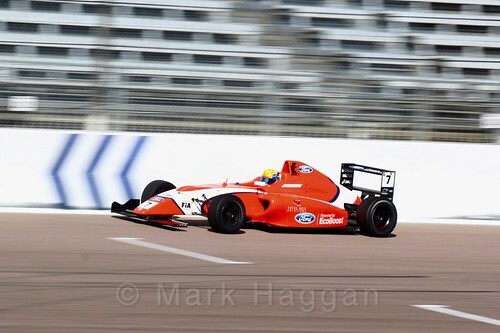 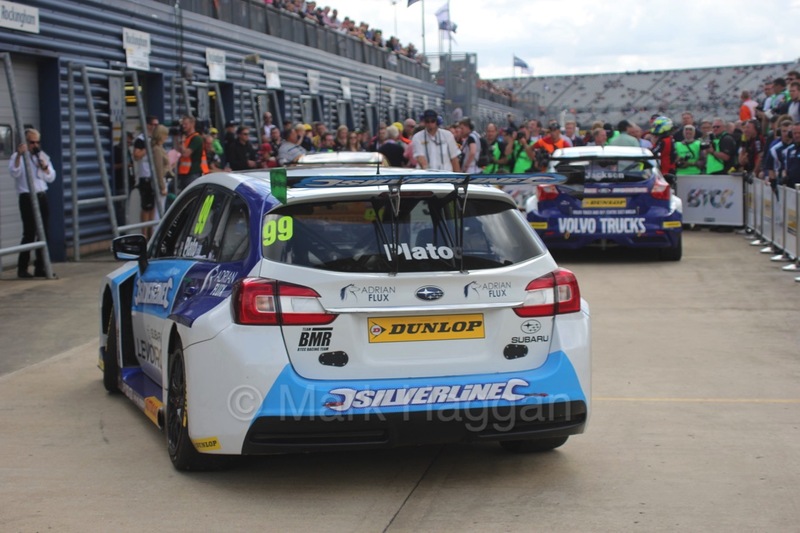 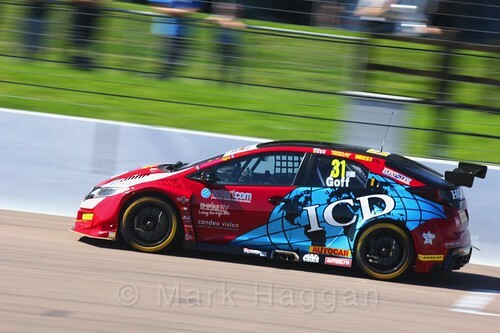 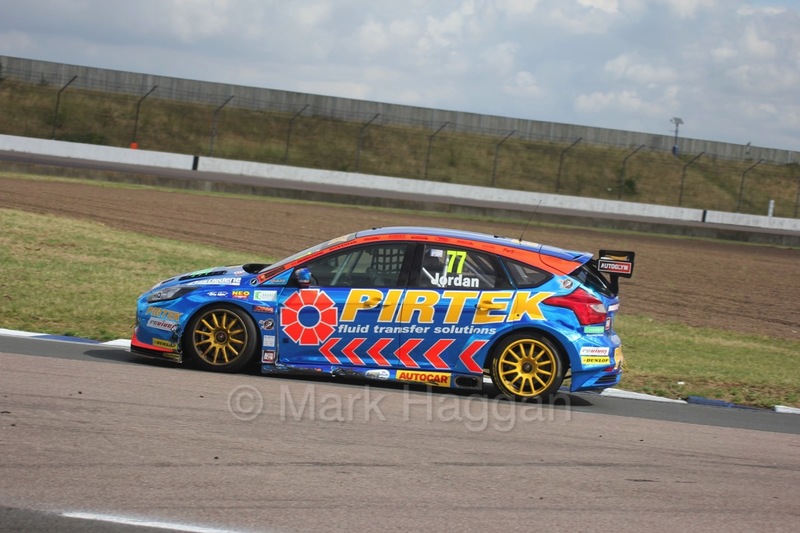 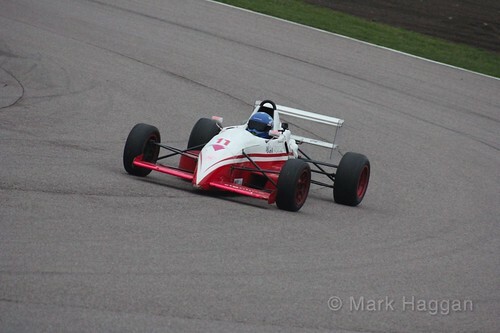 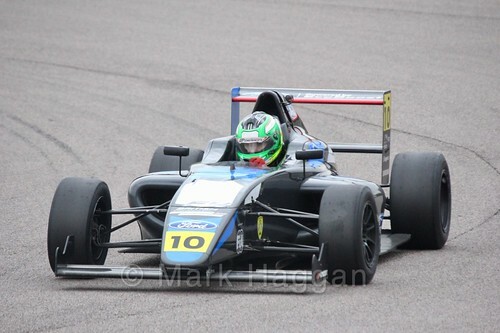 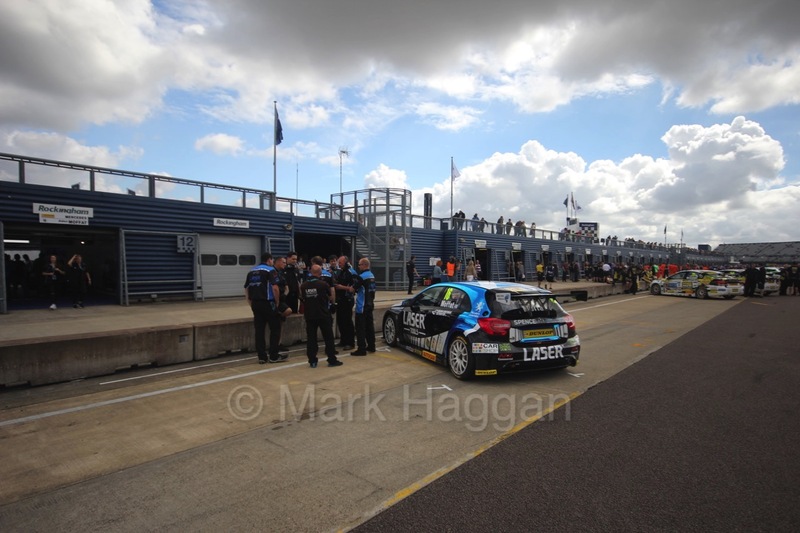 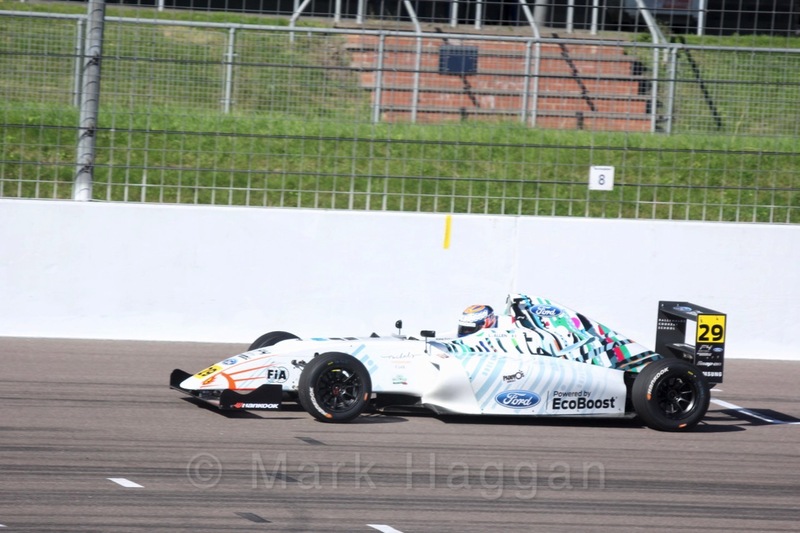 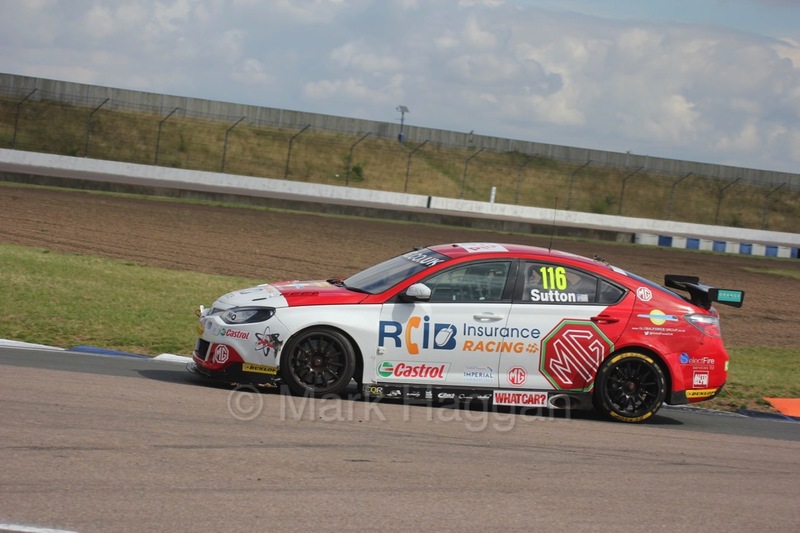 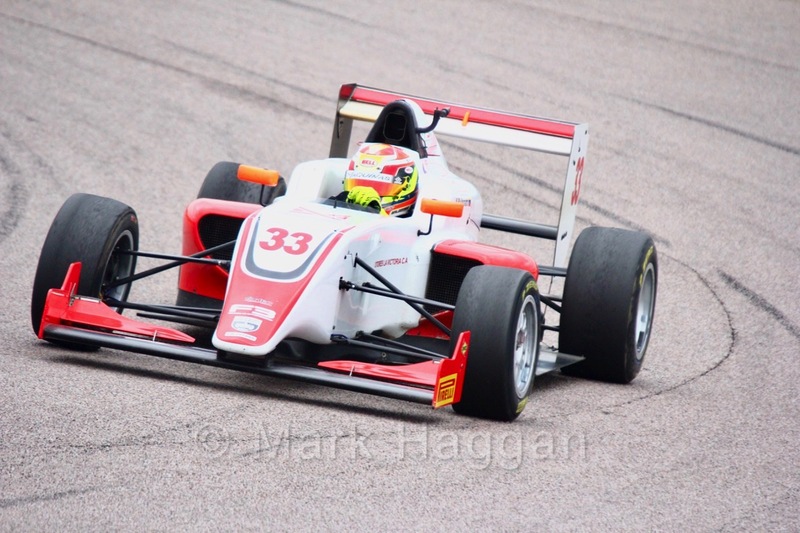 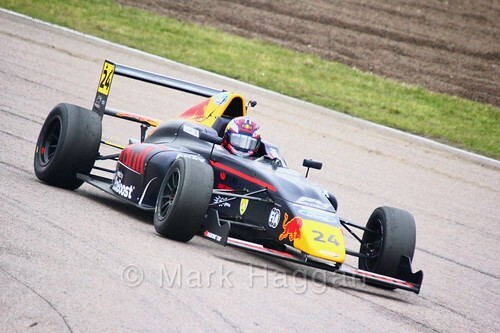 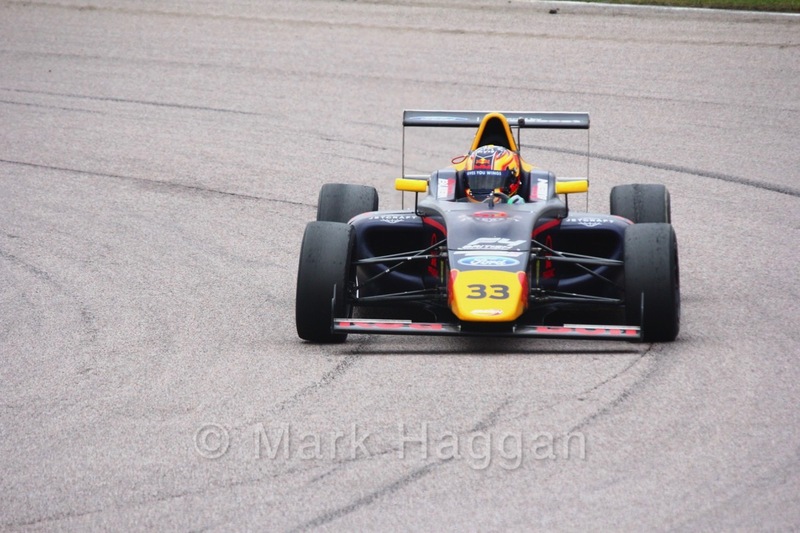 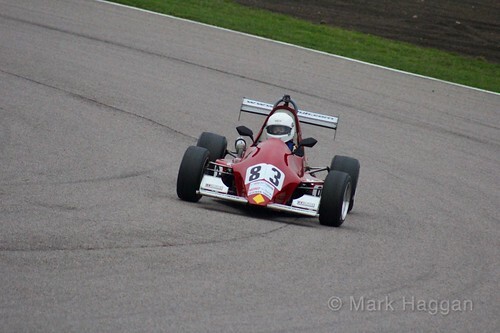 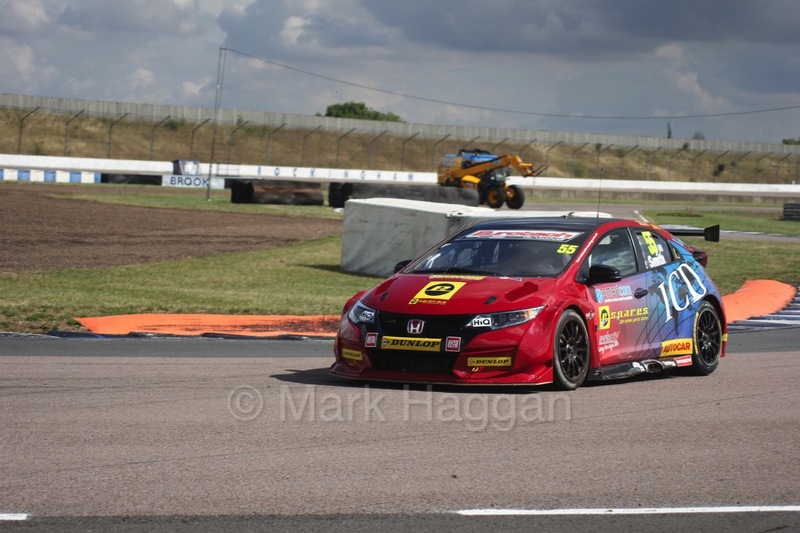 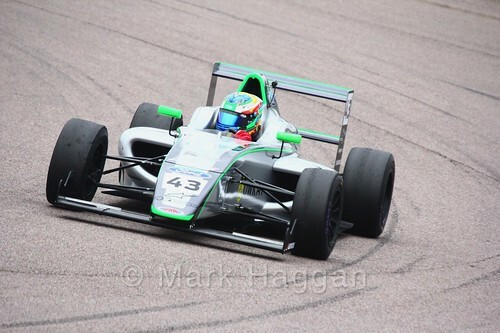 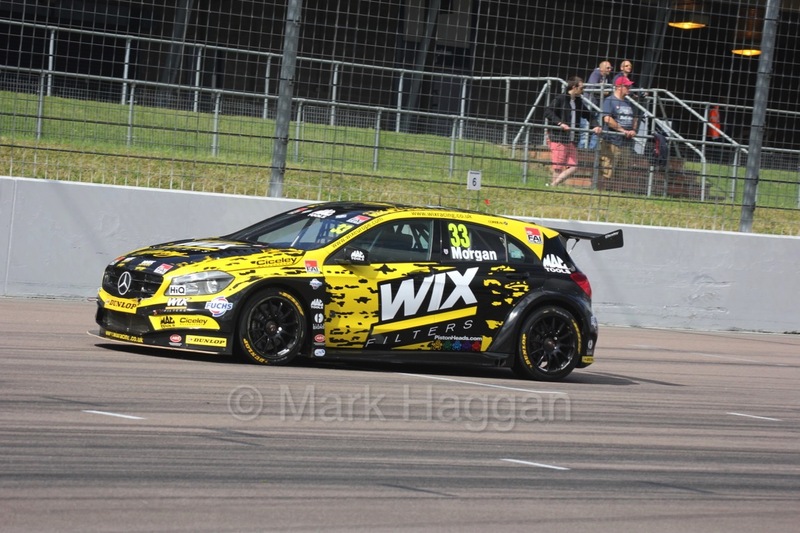 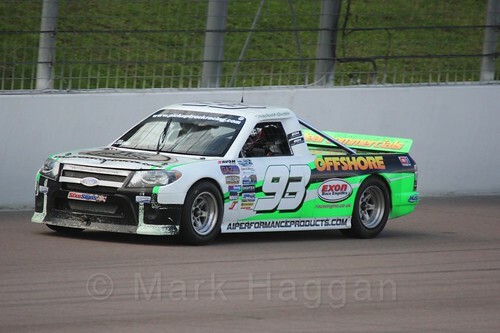 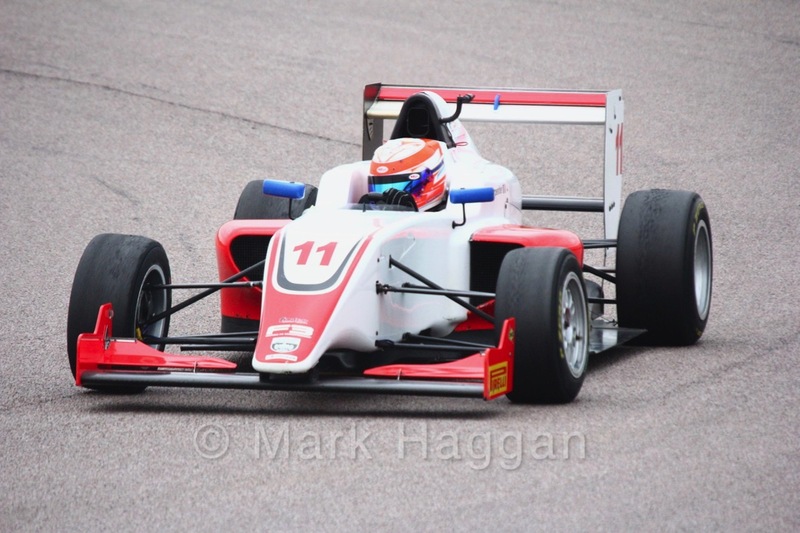 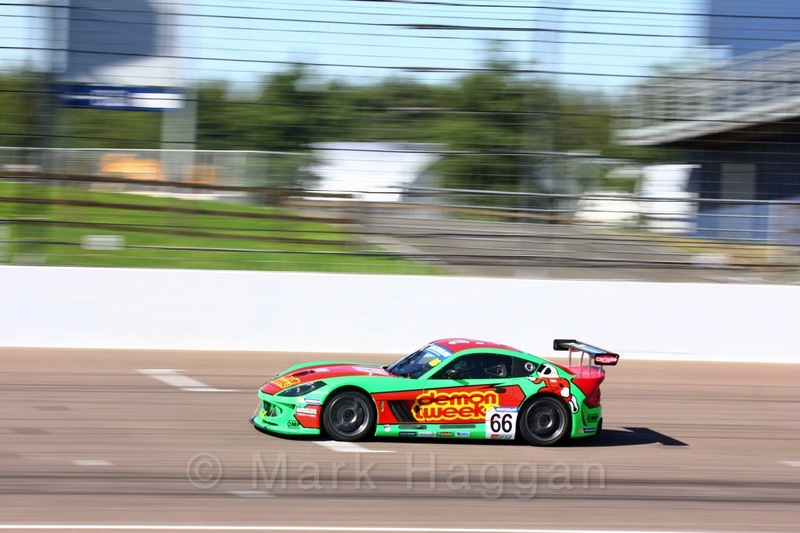 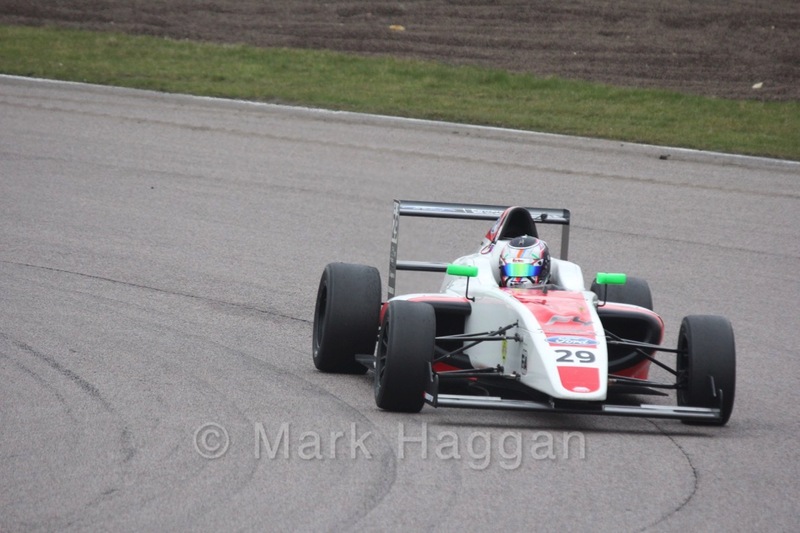 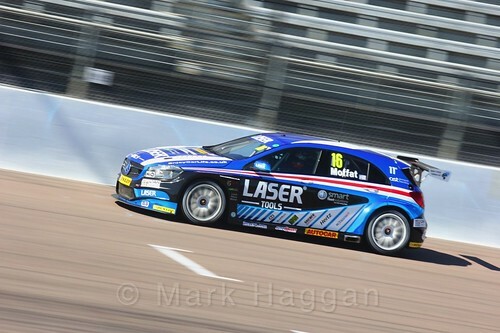 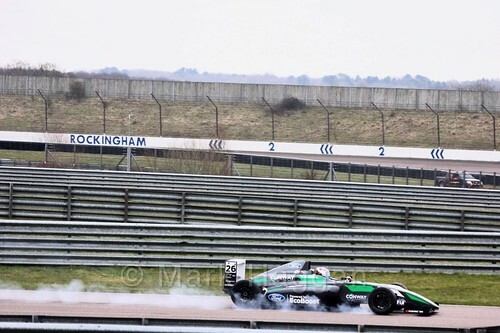 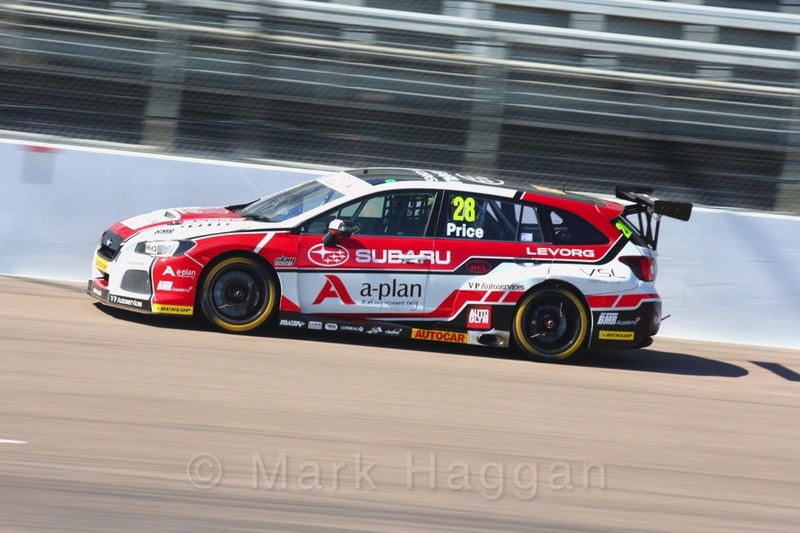 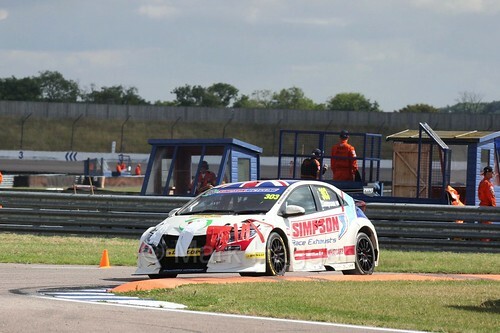 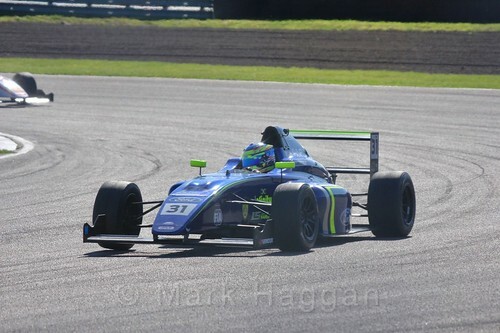 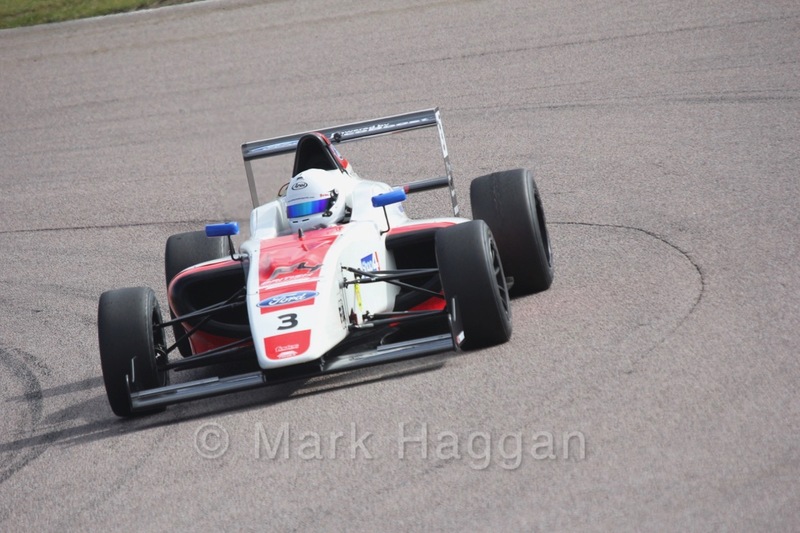 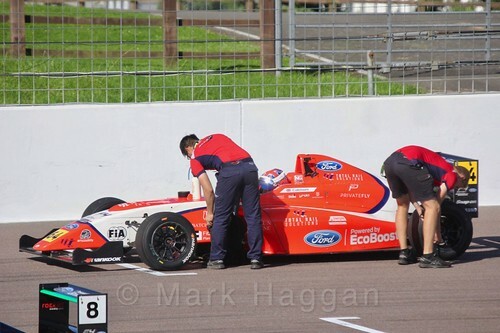 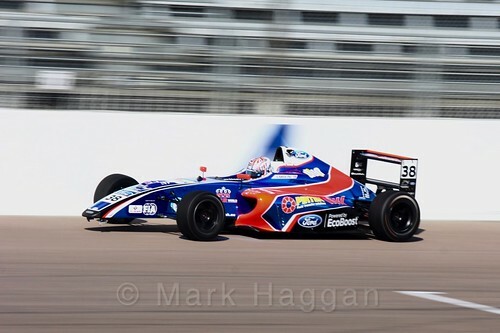 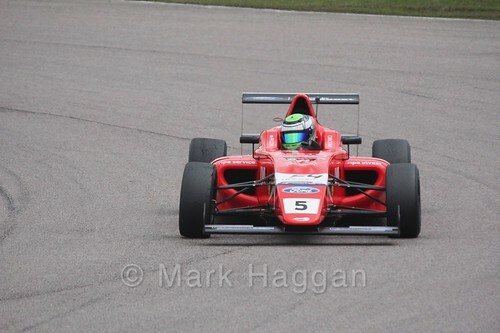 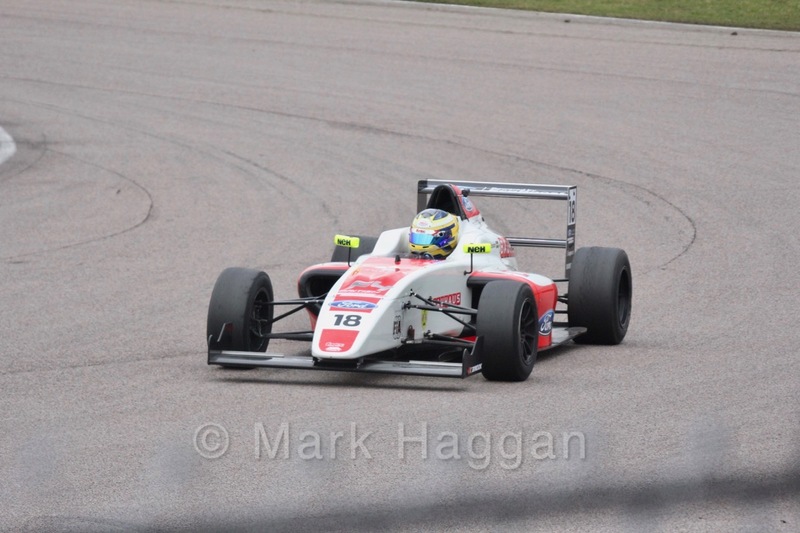 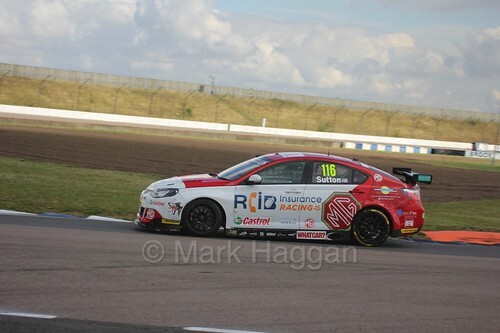 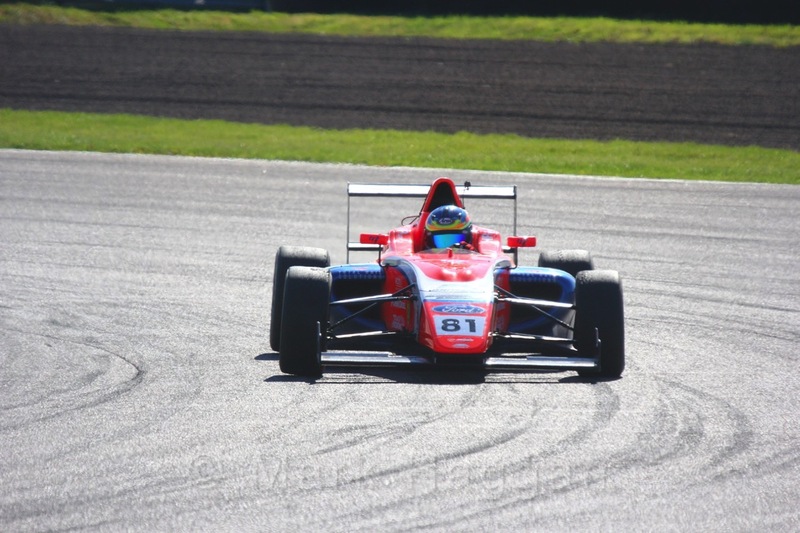 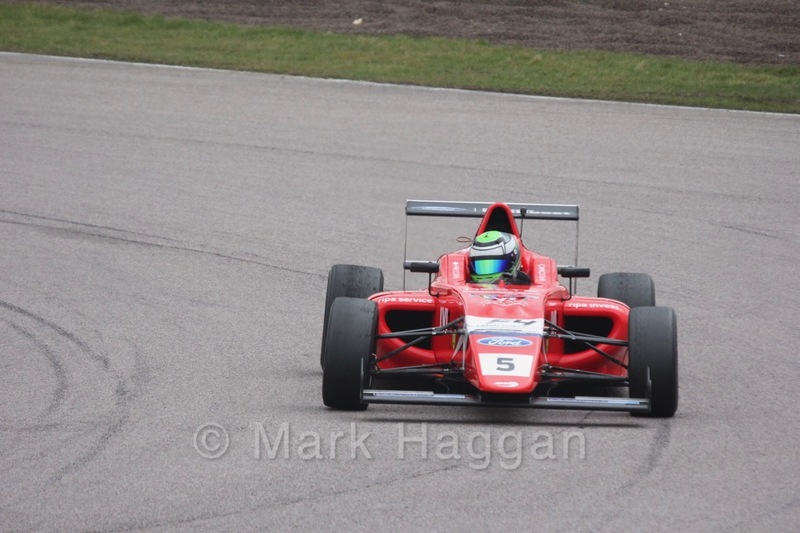 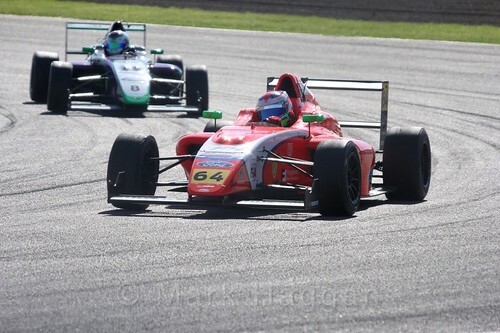 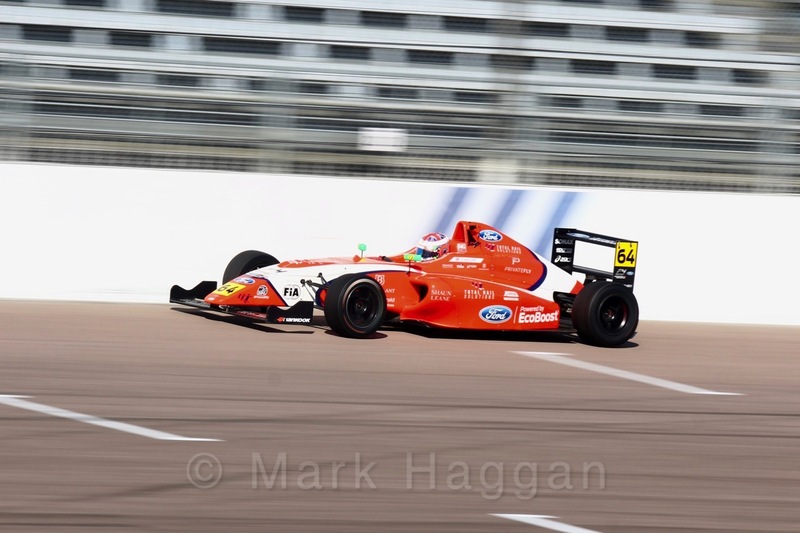 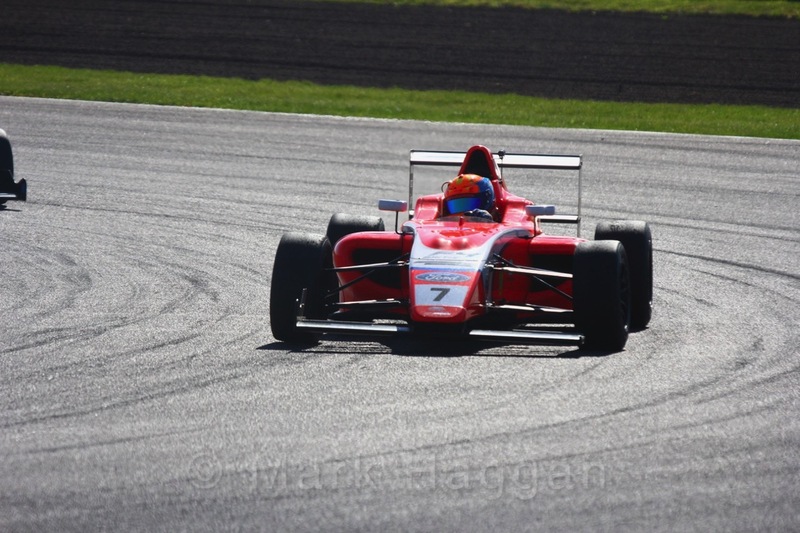 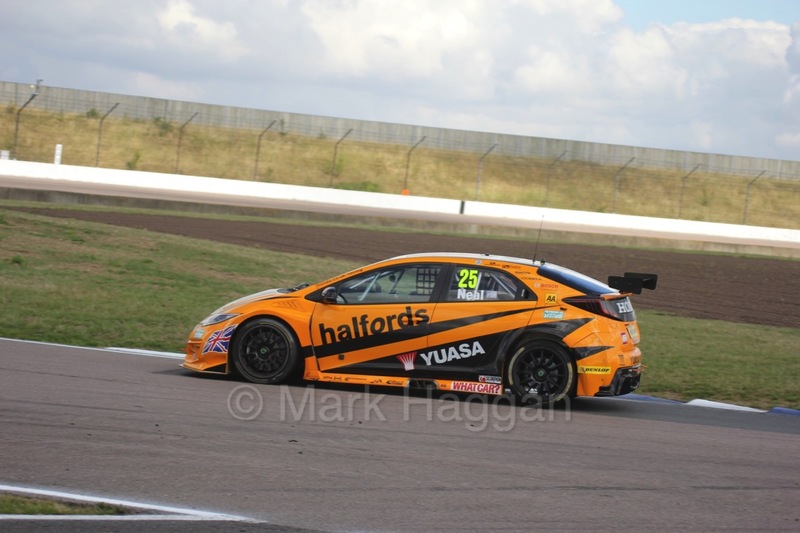 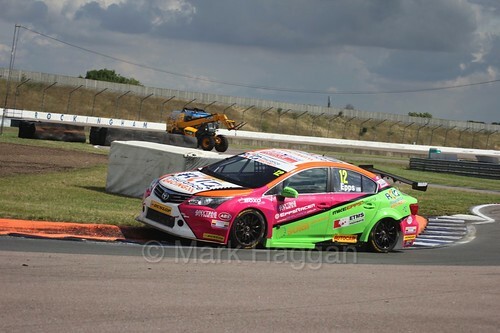 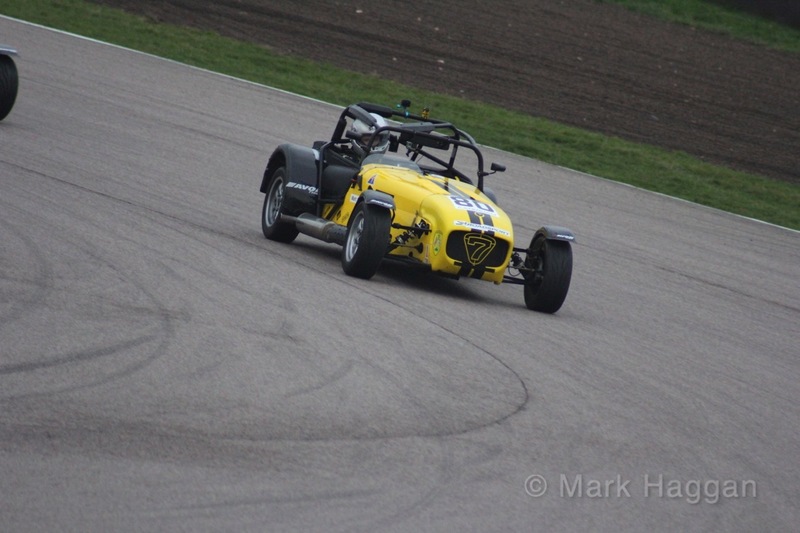 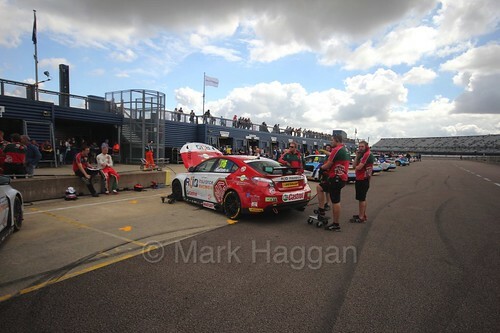 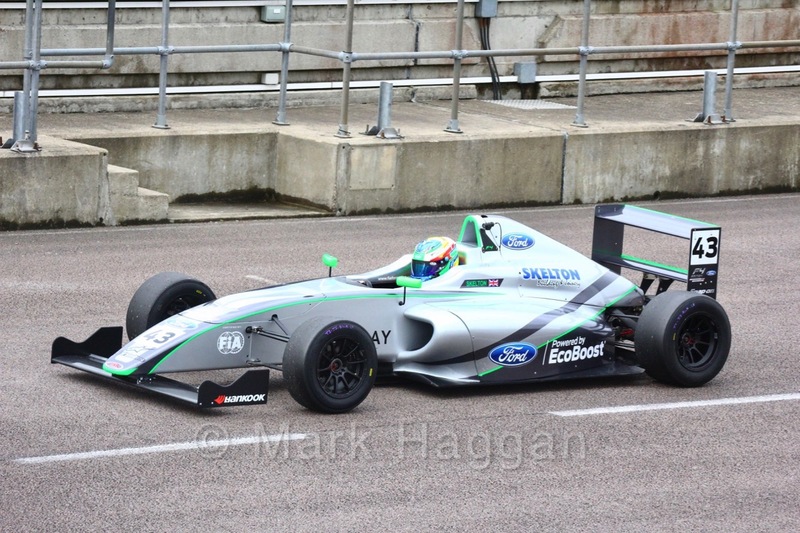 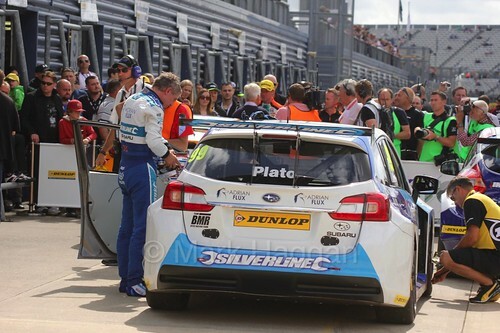 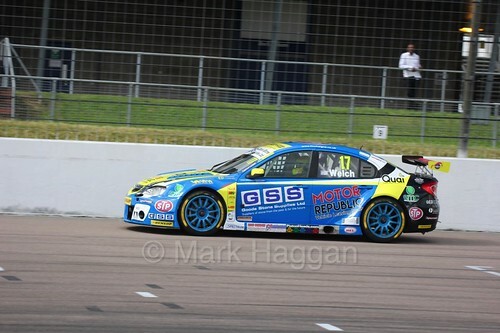 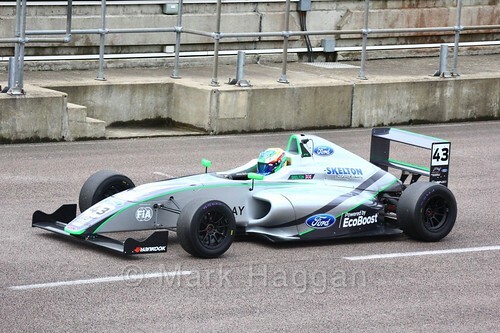 Motor Racing 2018, Motor Racing, Motor Sport, Northamptonshire, Rockingham, Rockingham Motor Speedway. permalink.